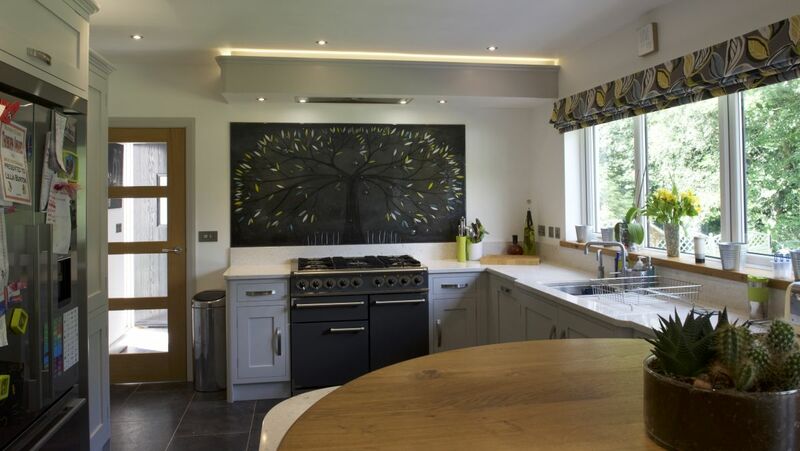 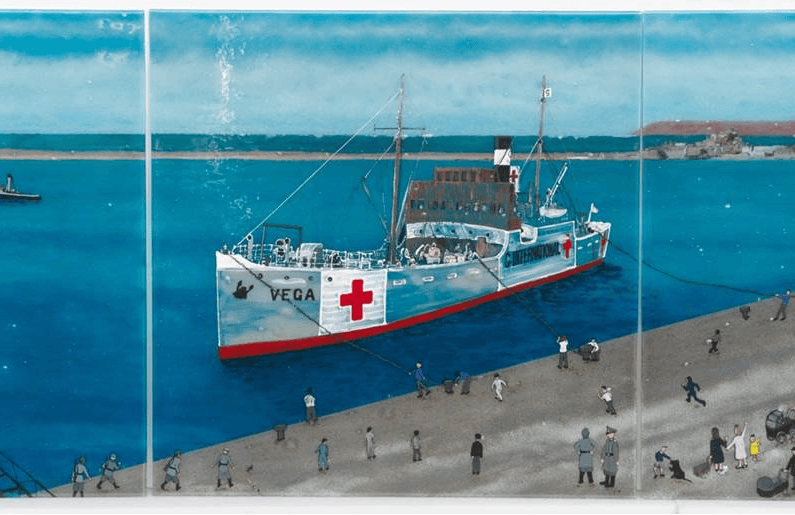 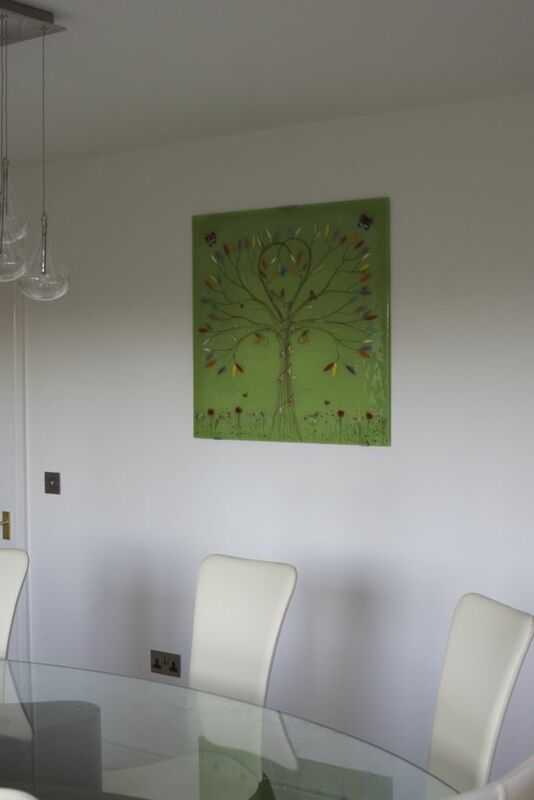 Here’s some lovely wall art from Appleton Thorn, The story behind these particular pieces is a fairly simple one, but it’s one we’d like to revisit today. 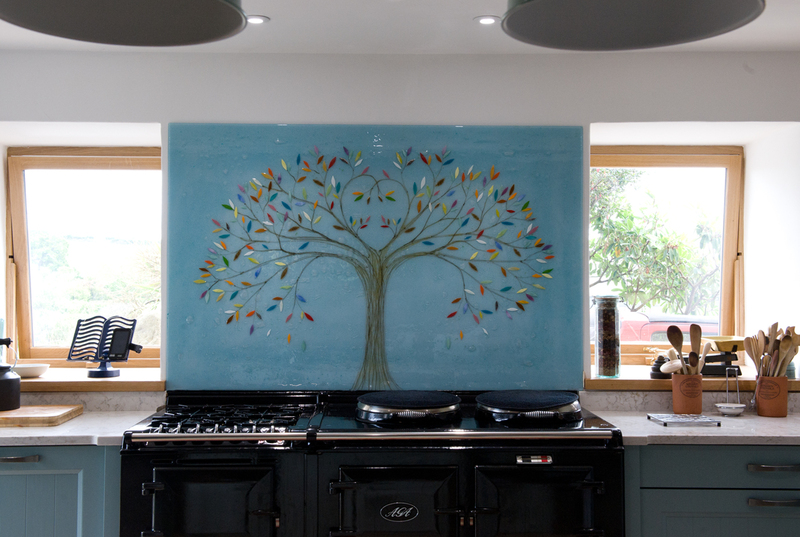 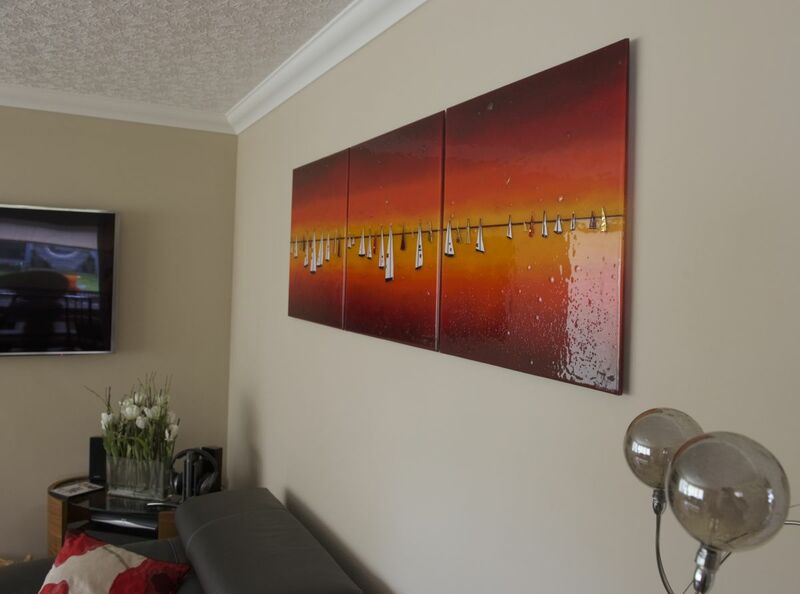 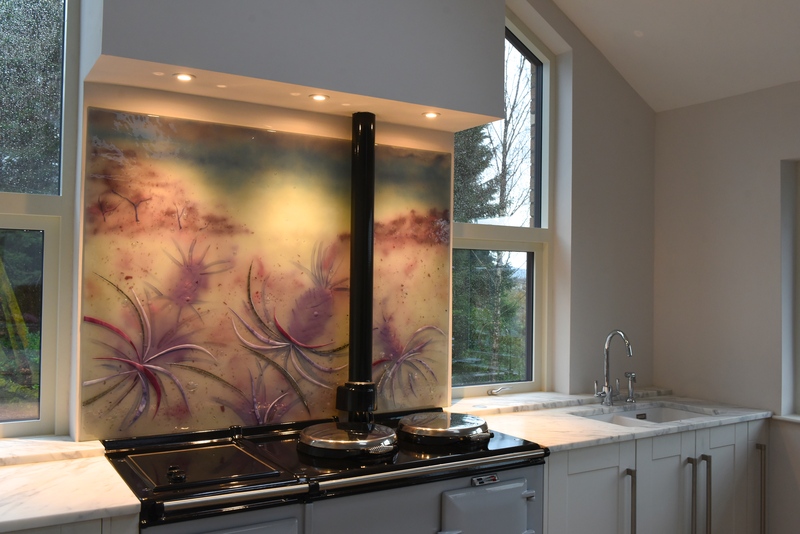 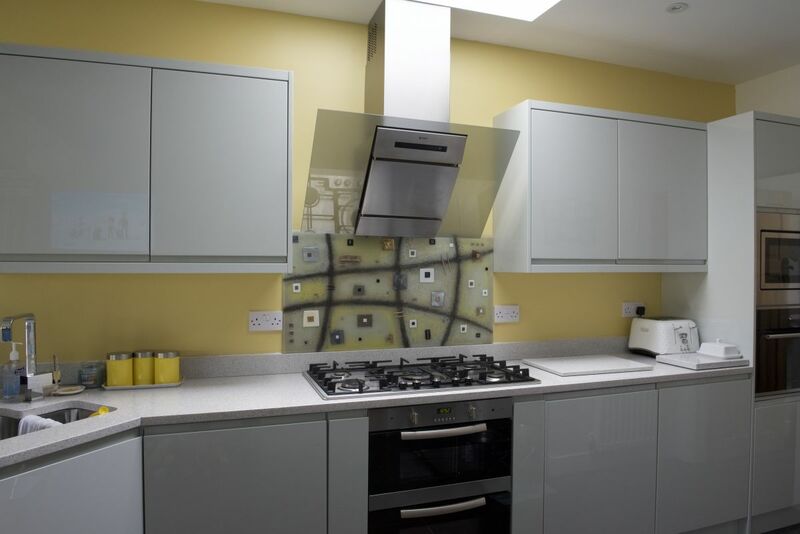 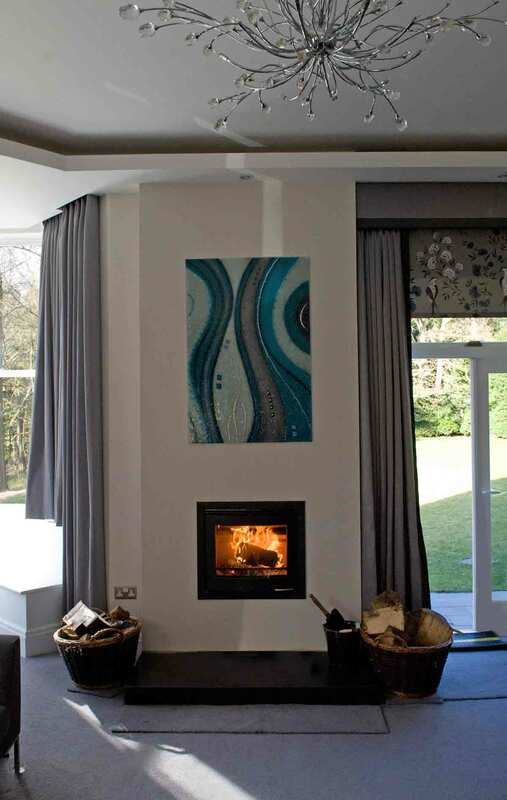 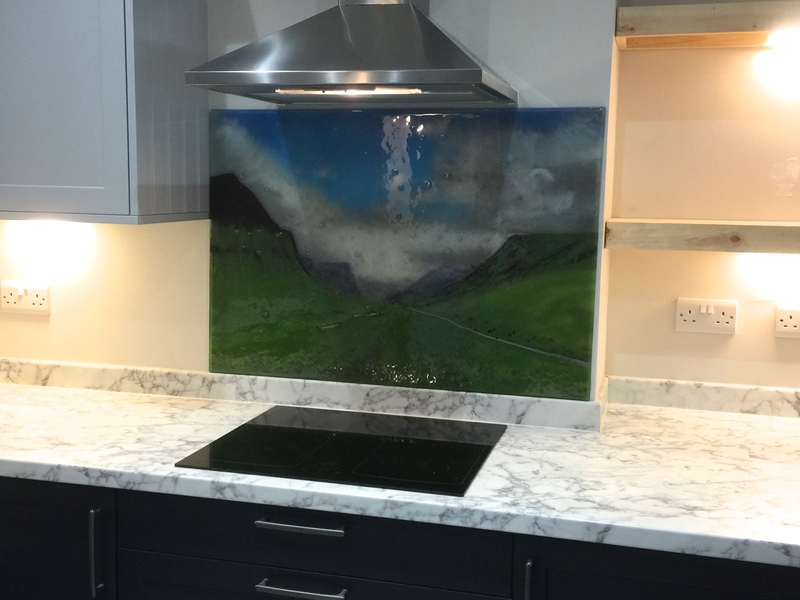 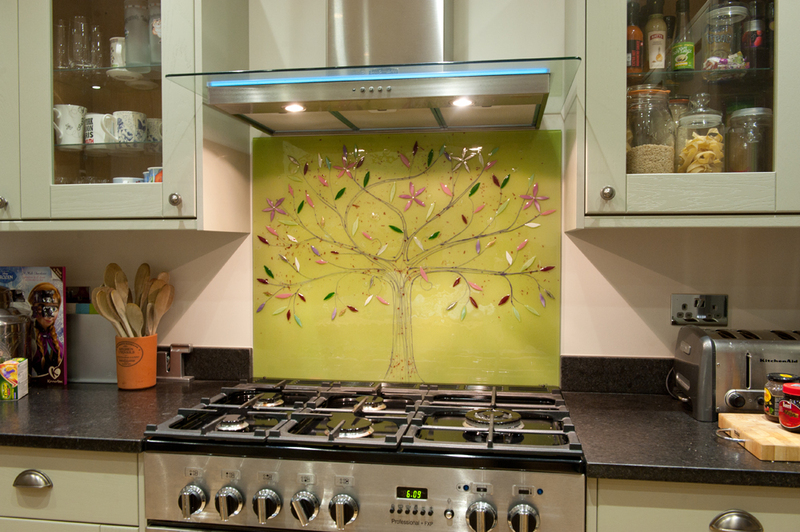 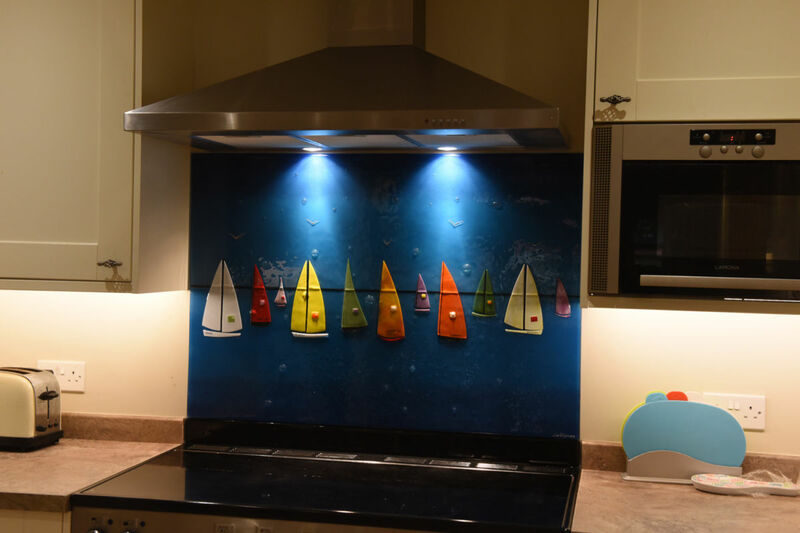 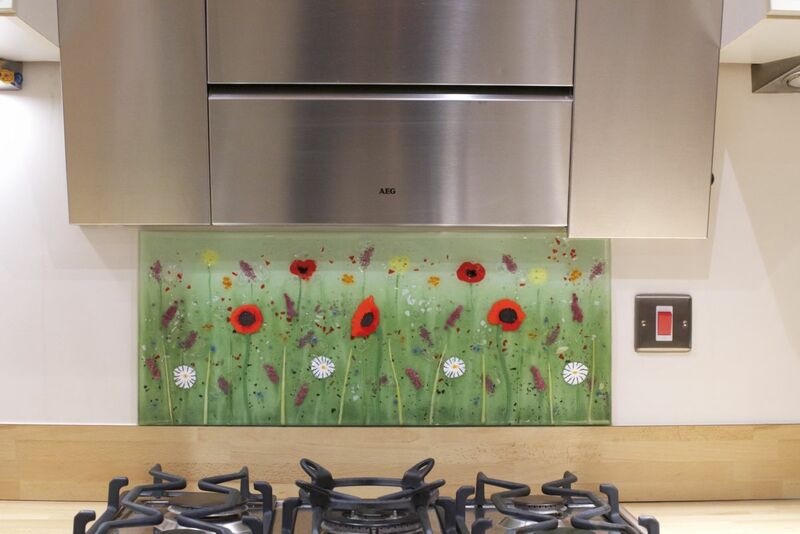 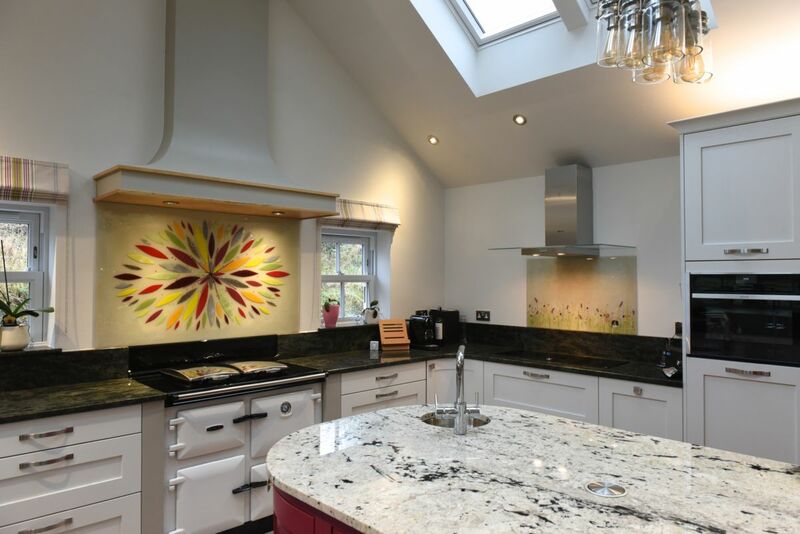 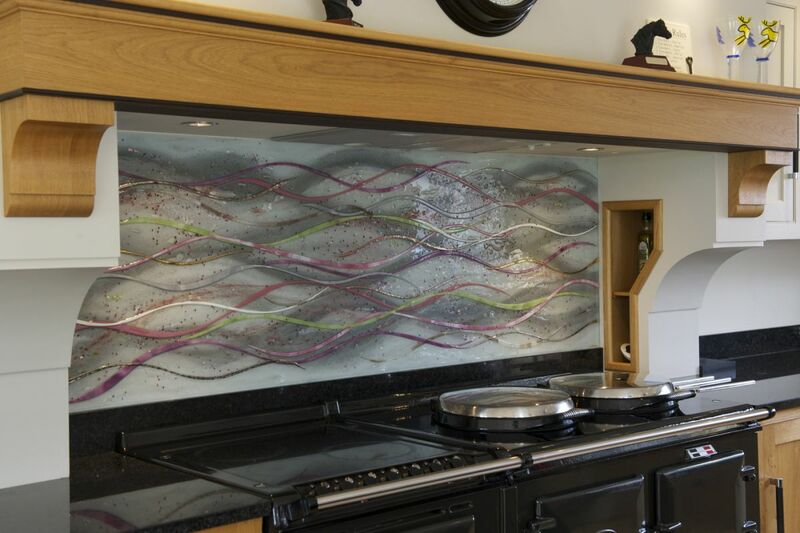 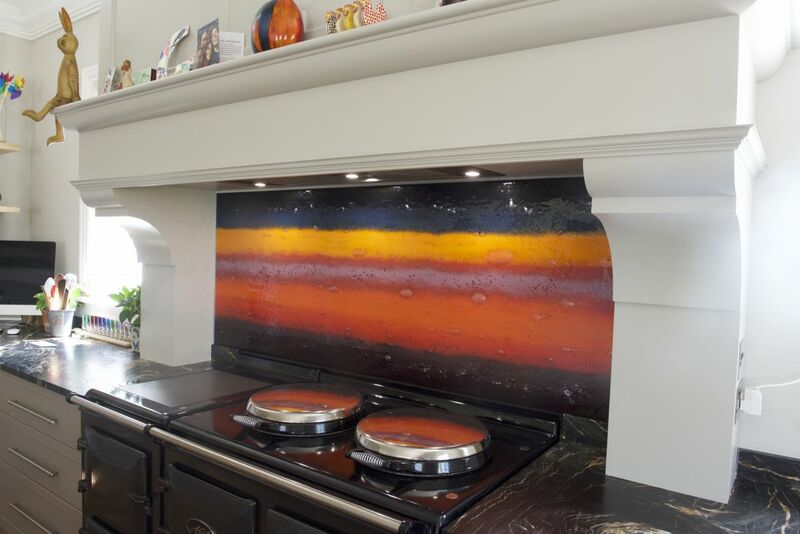 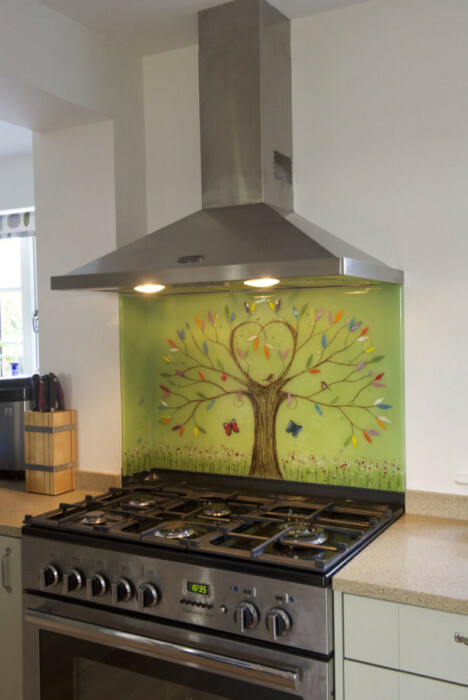 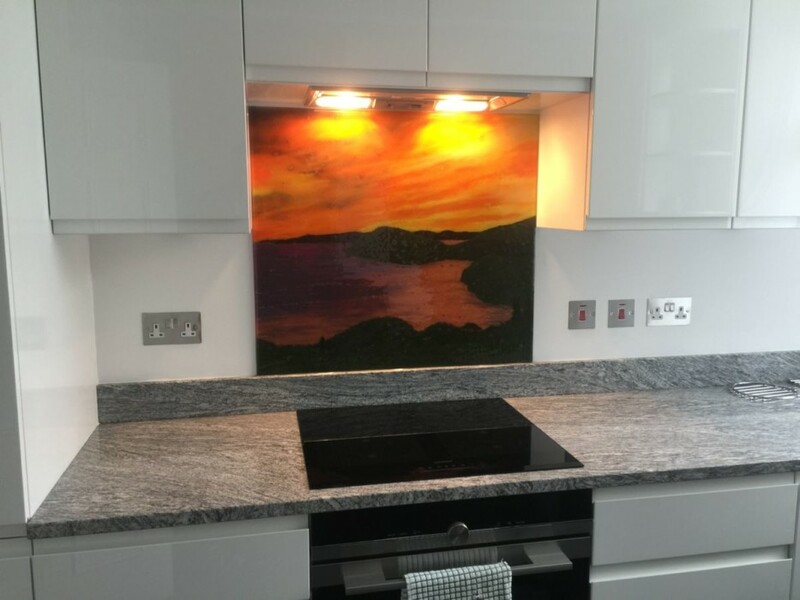 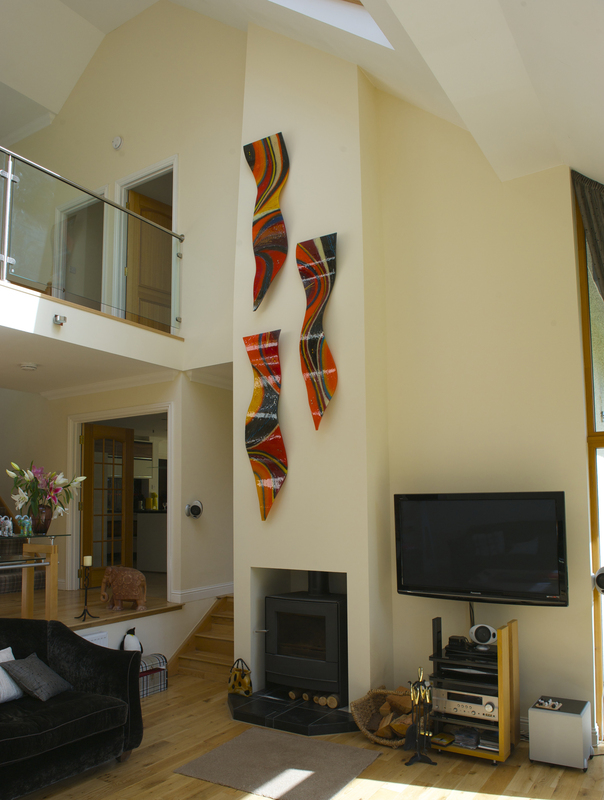 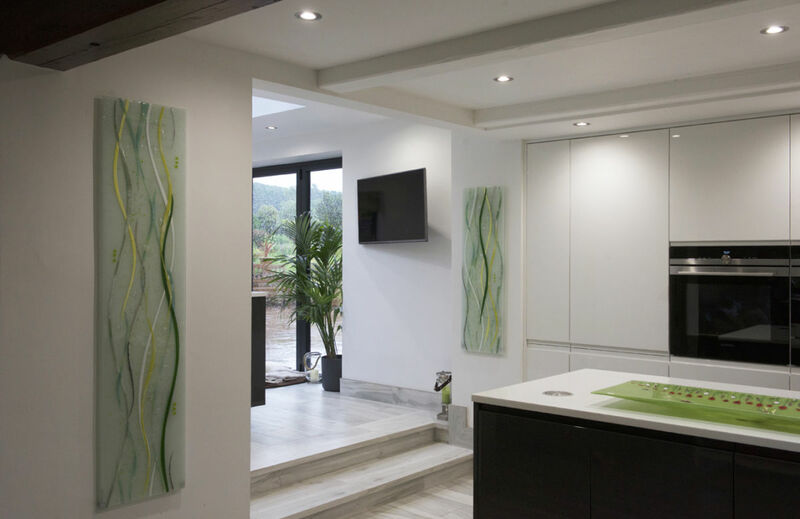 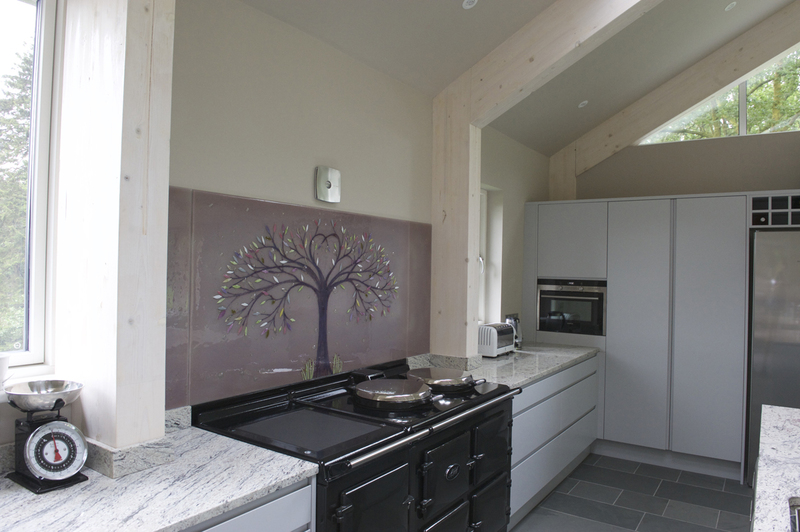 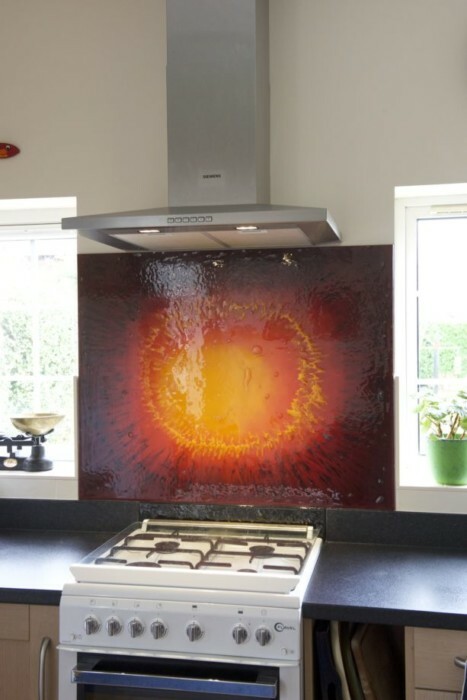 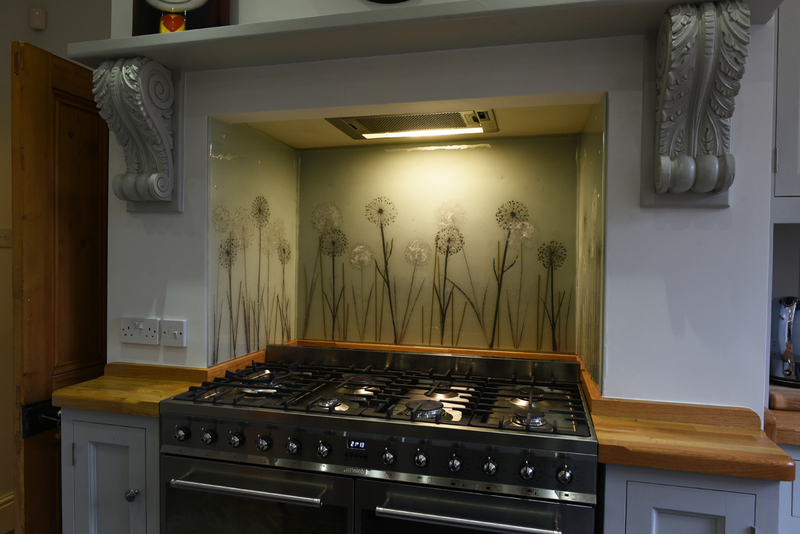 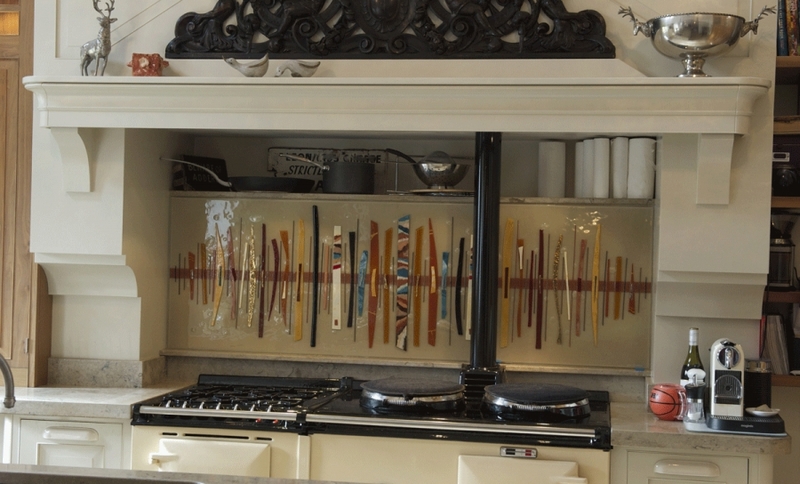 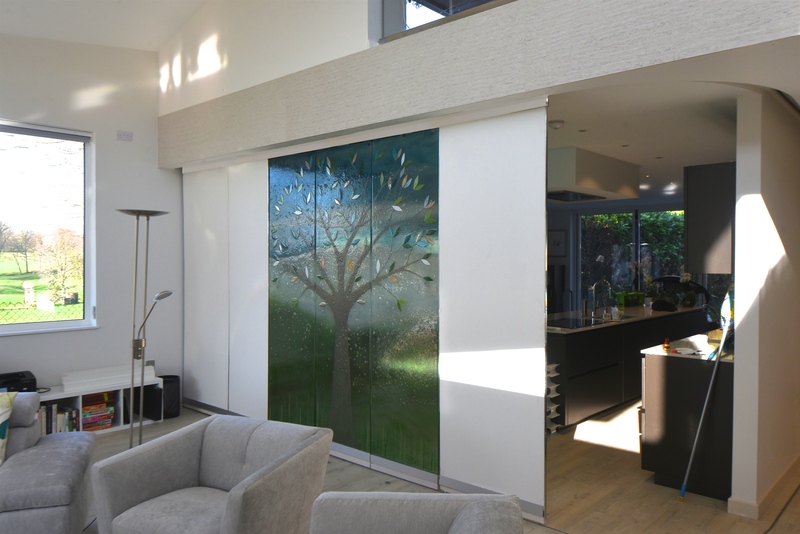 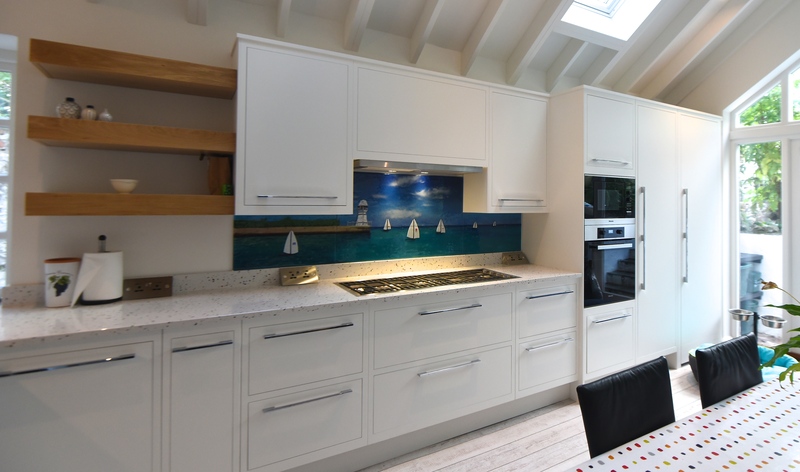 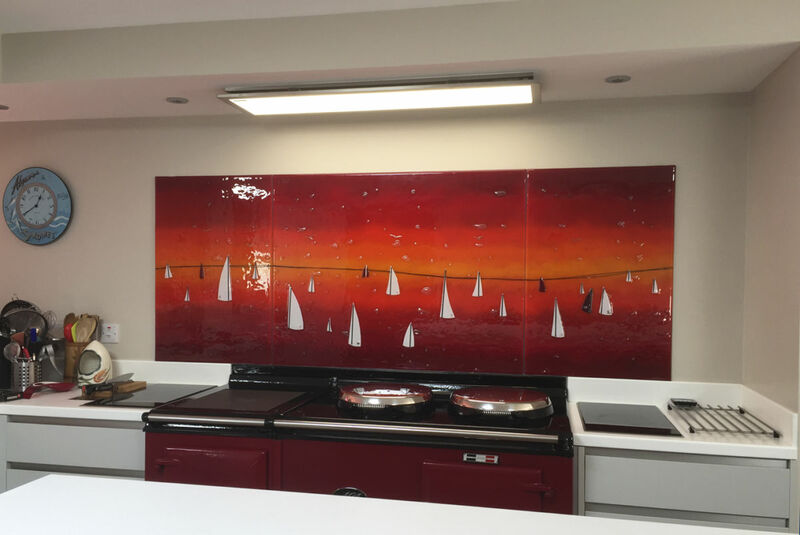 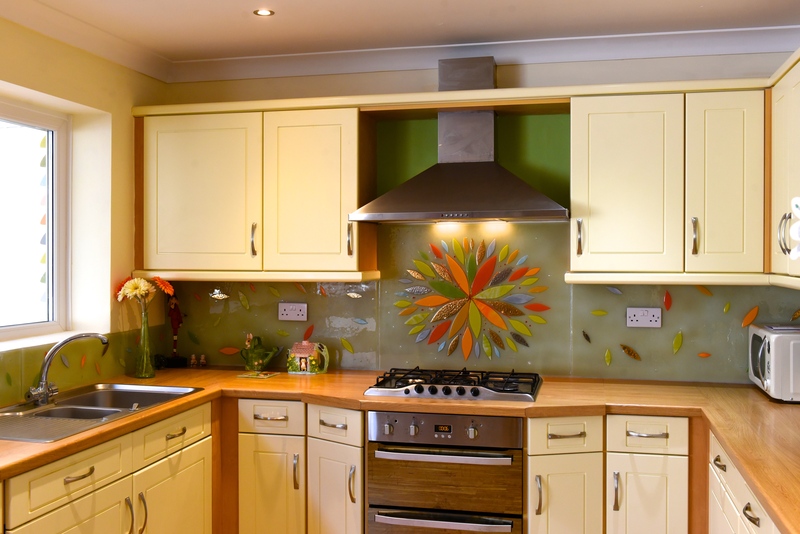 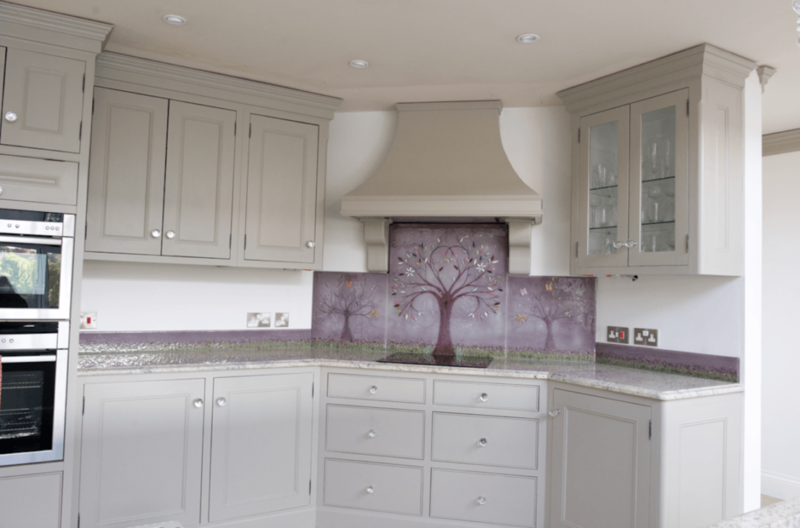 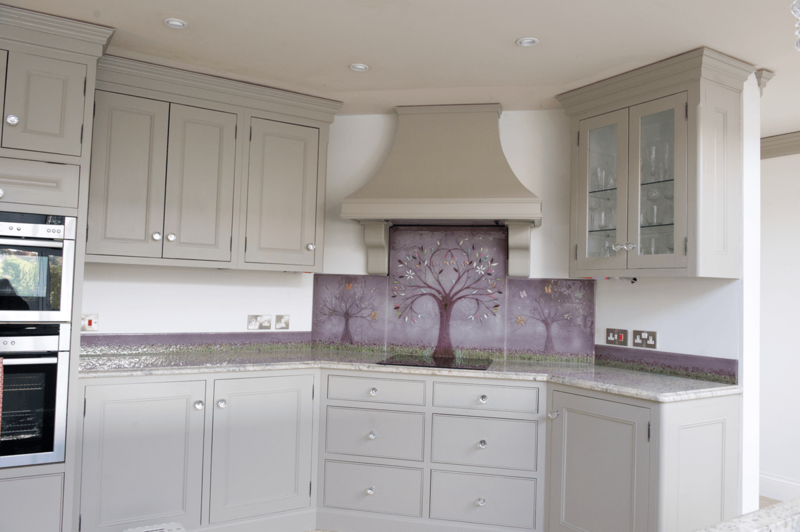 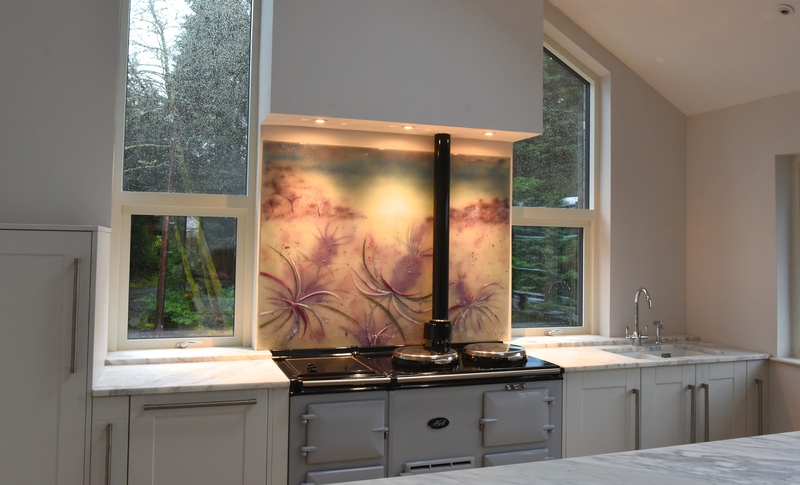 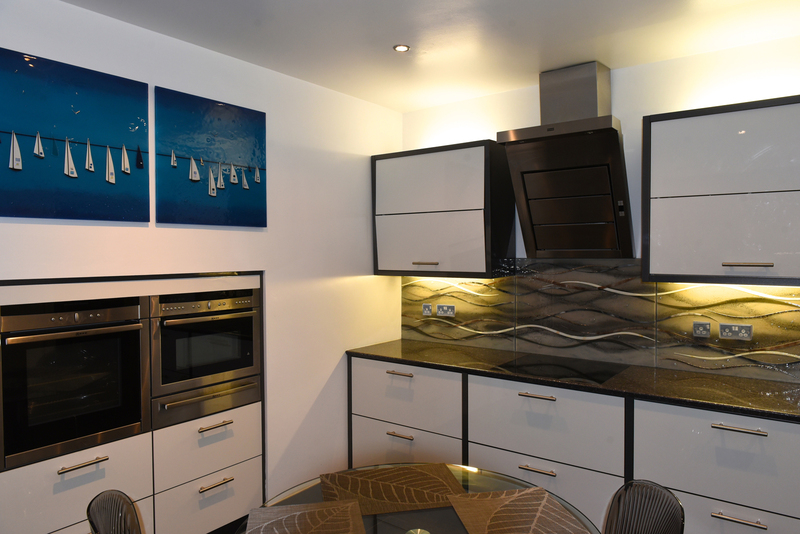 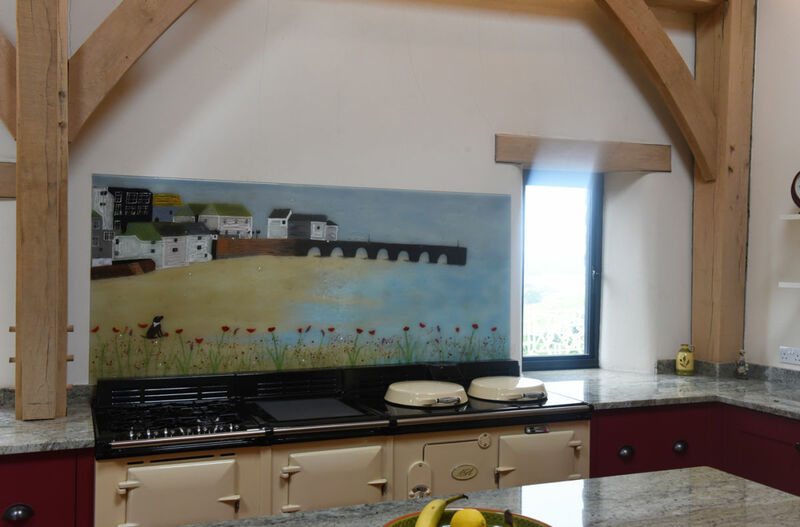 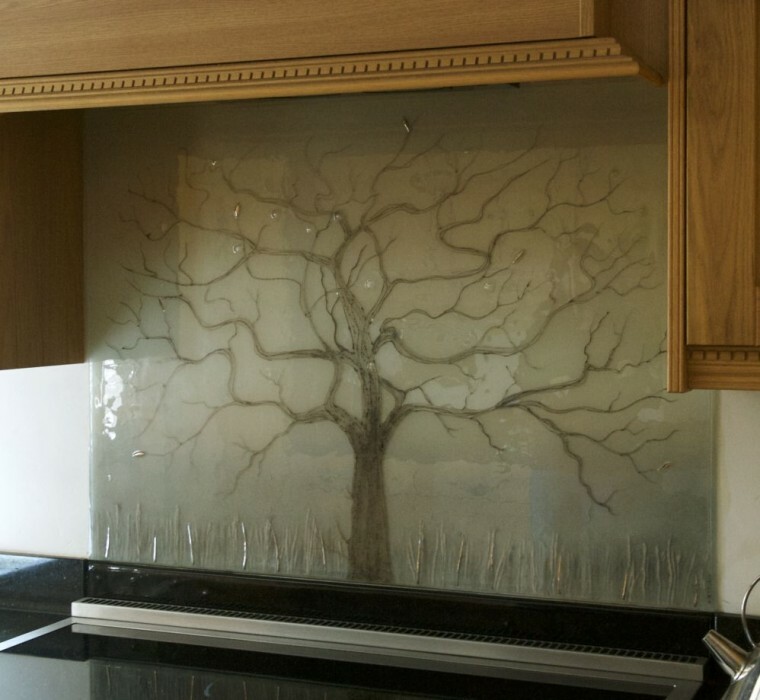 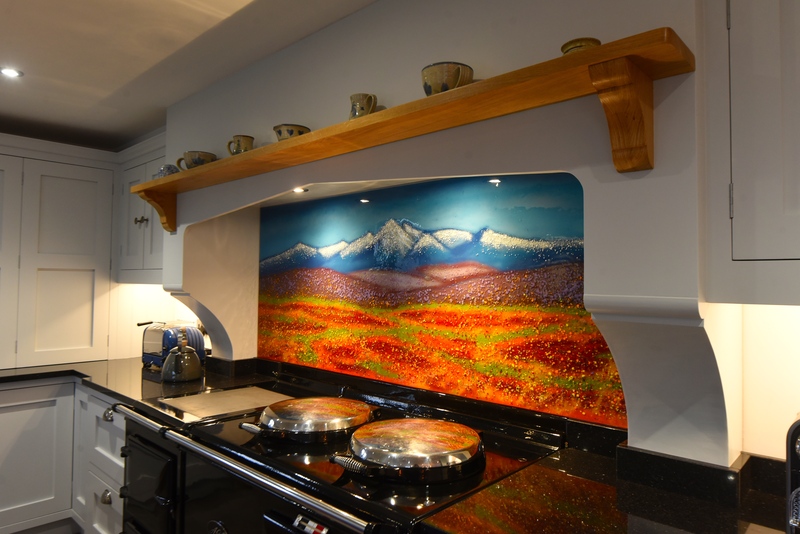 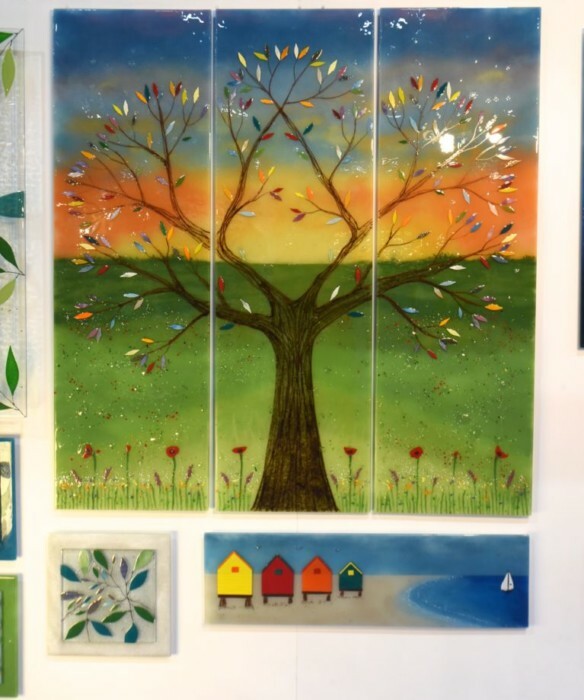 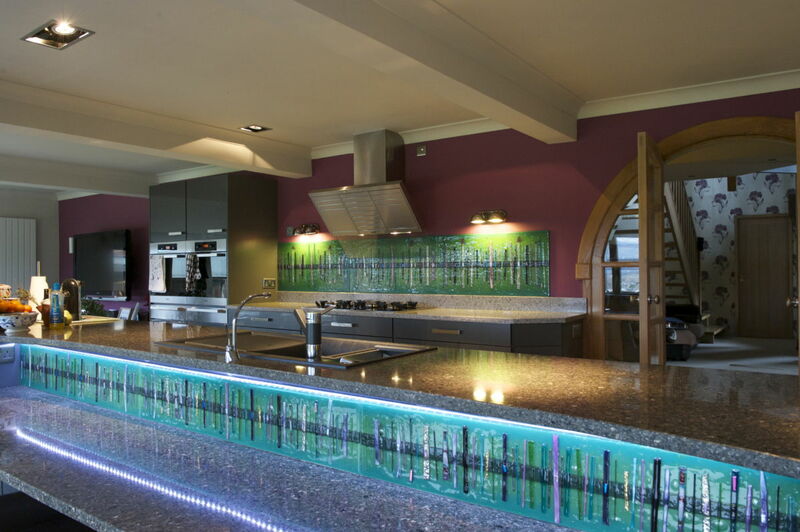 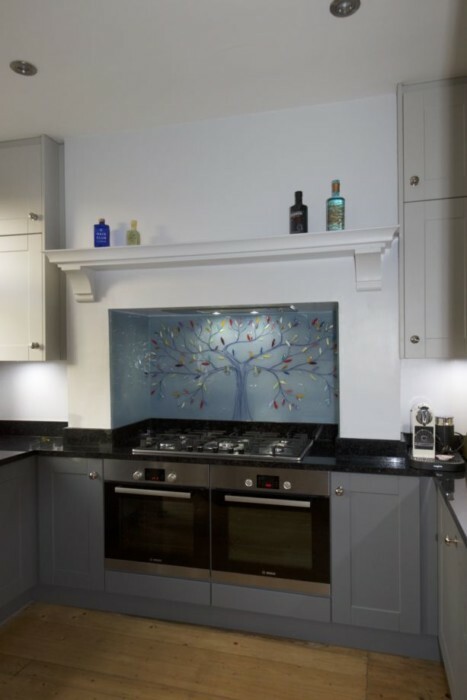 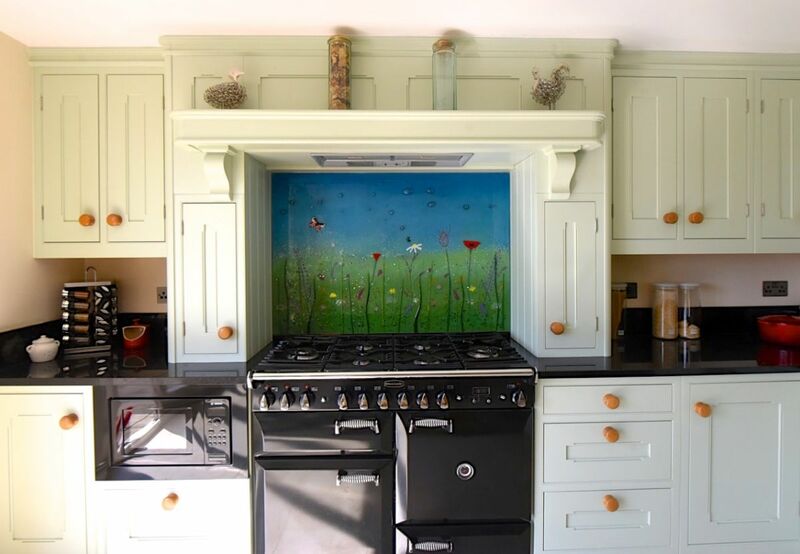 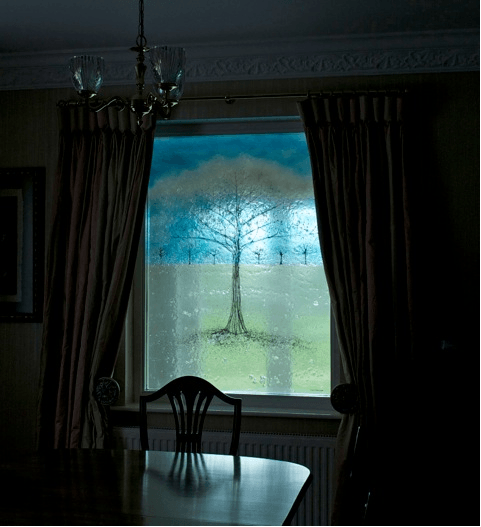 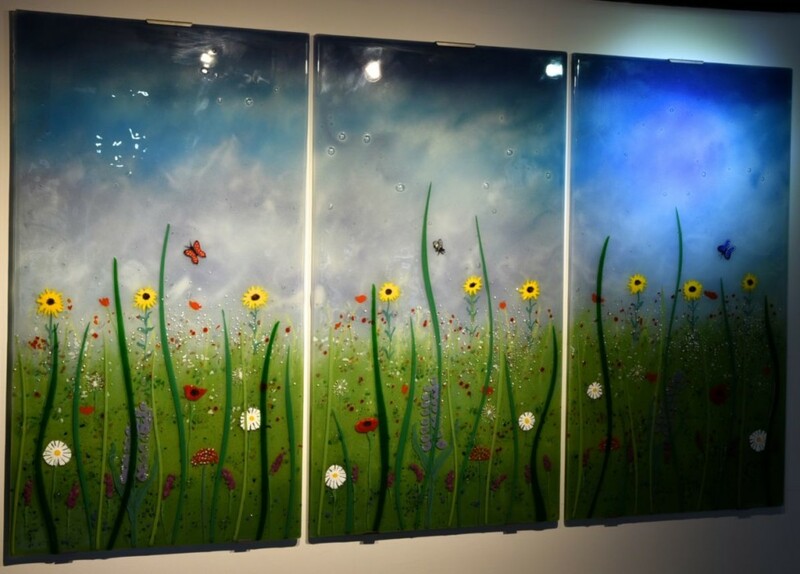 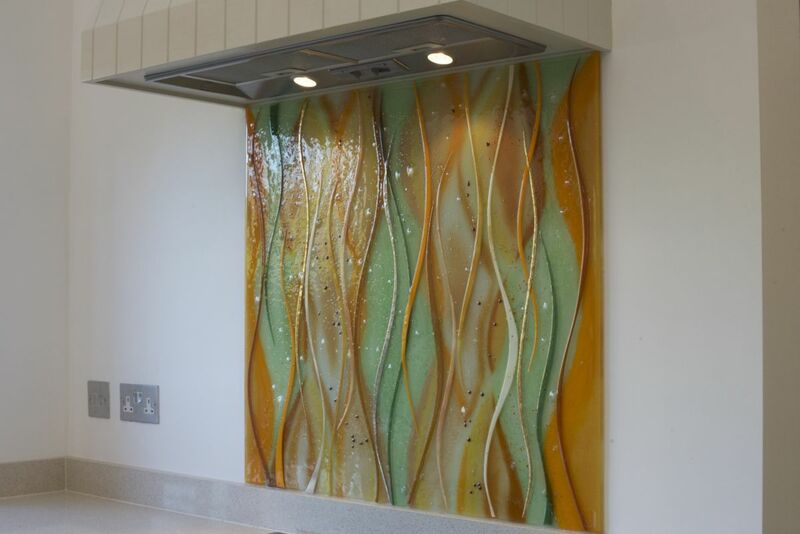 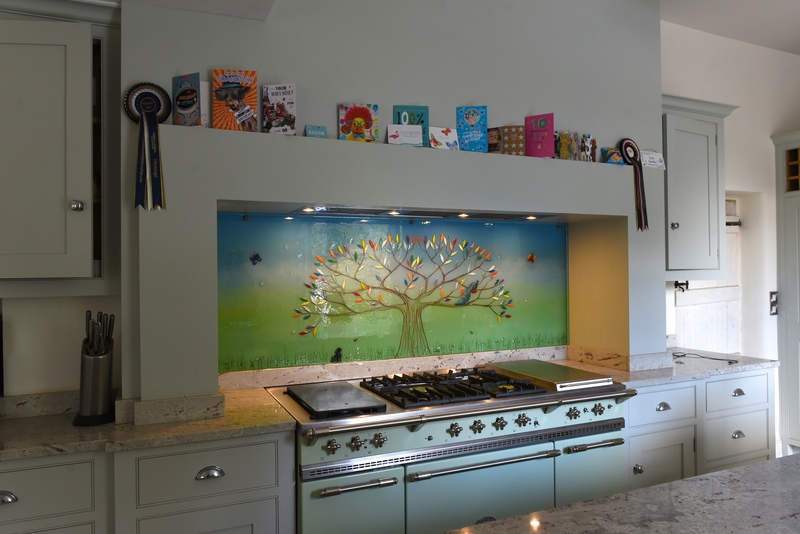 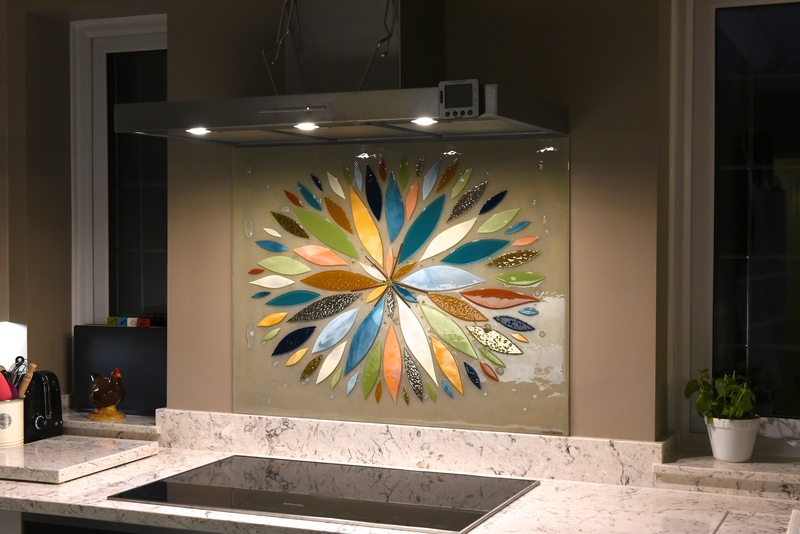 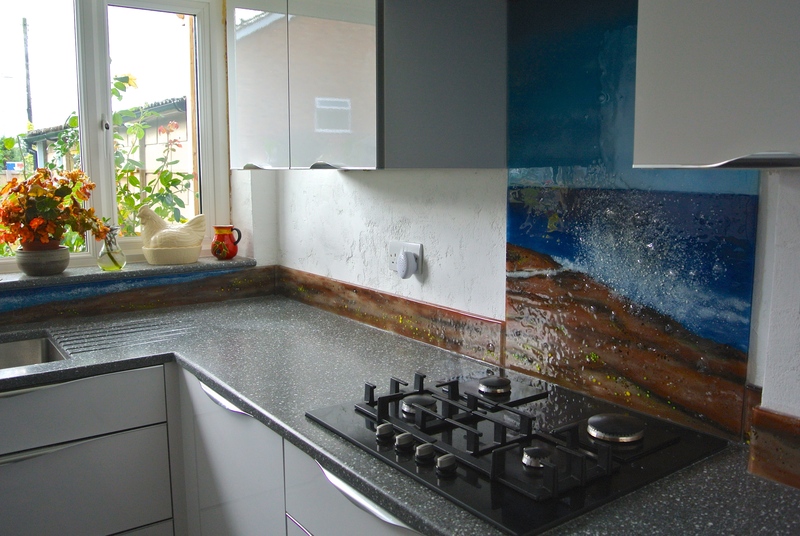 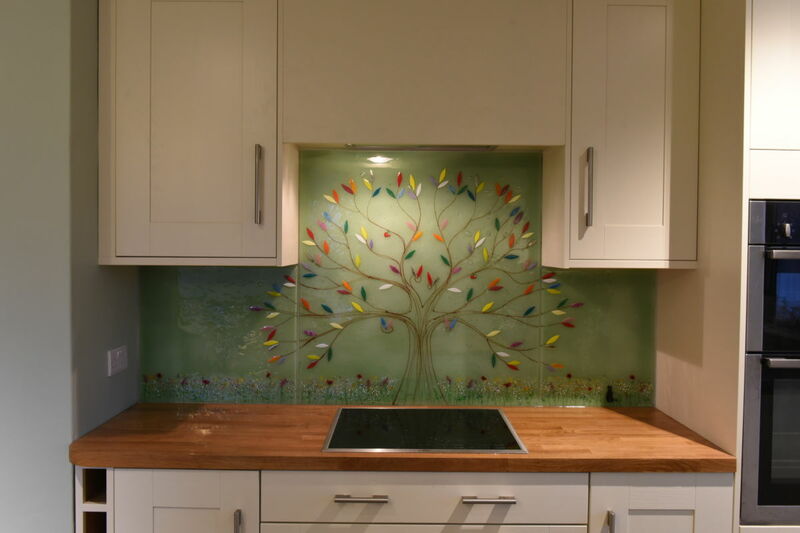 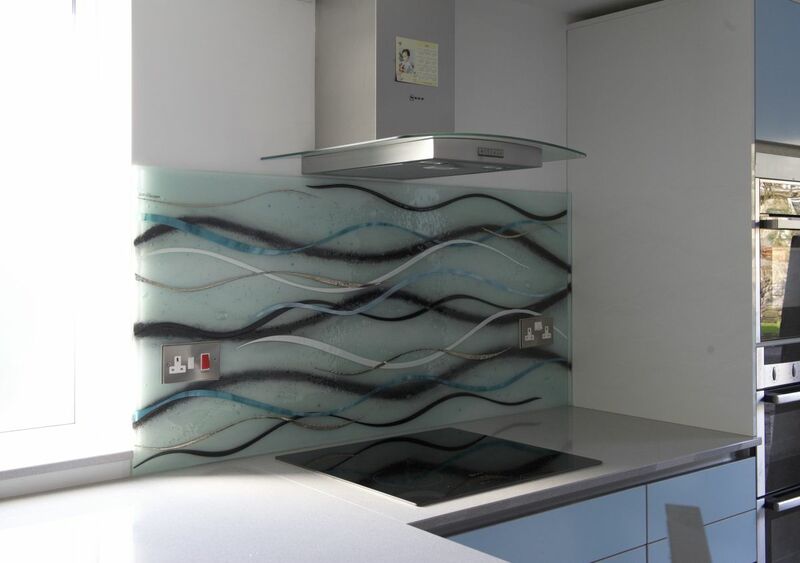 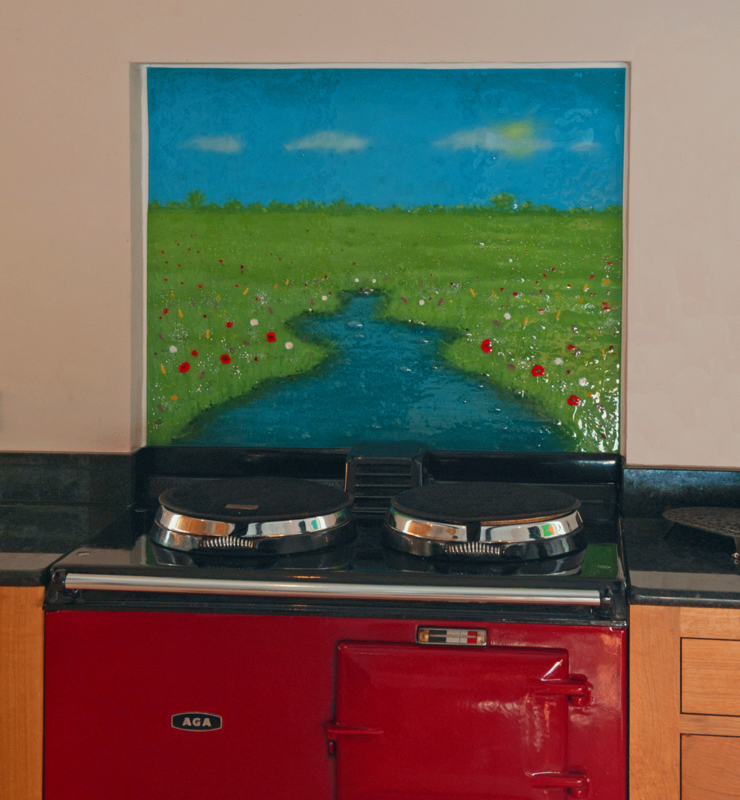 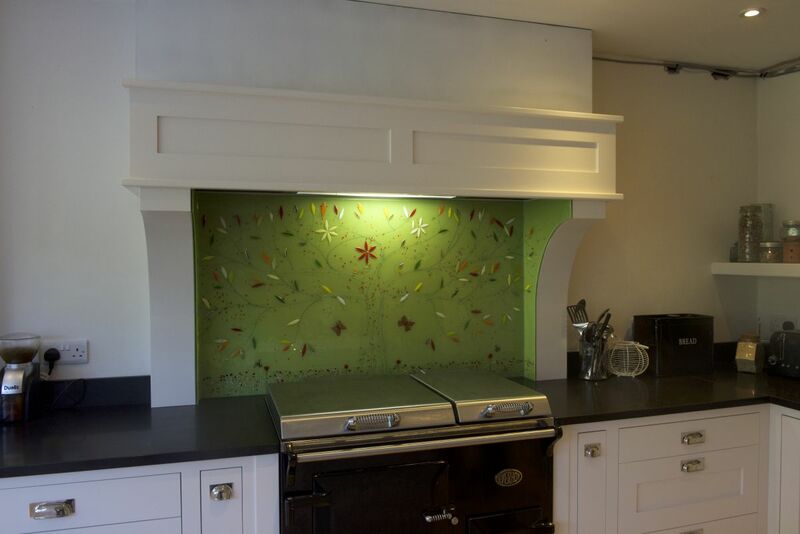 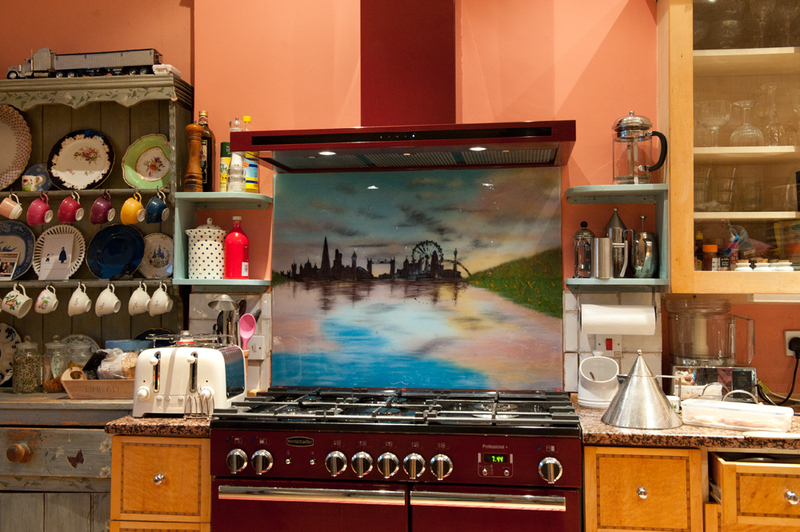 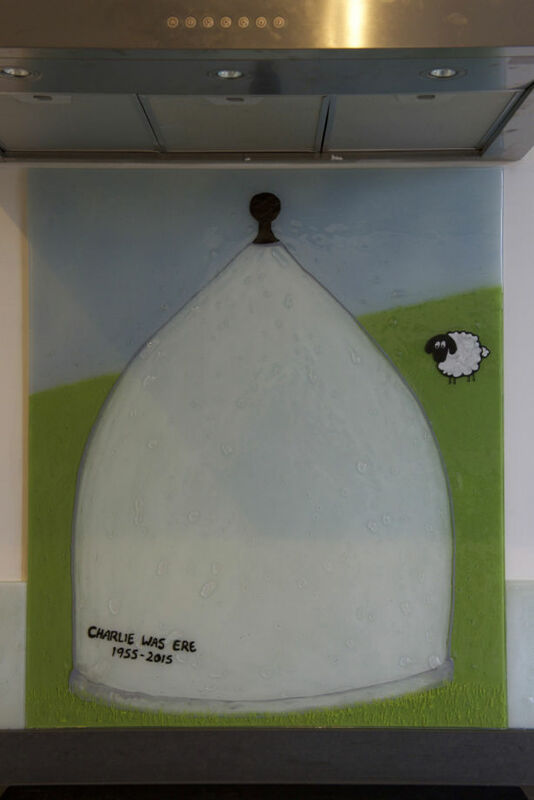 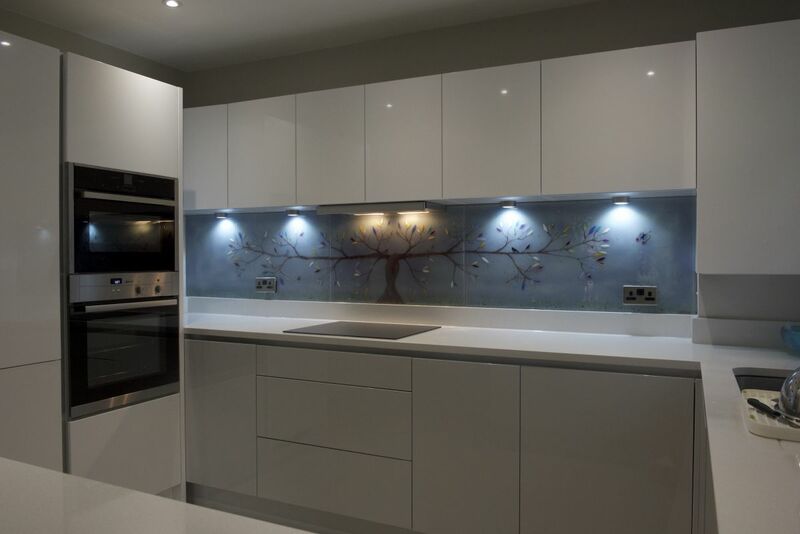 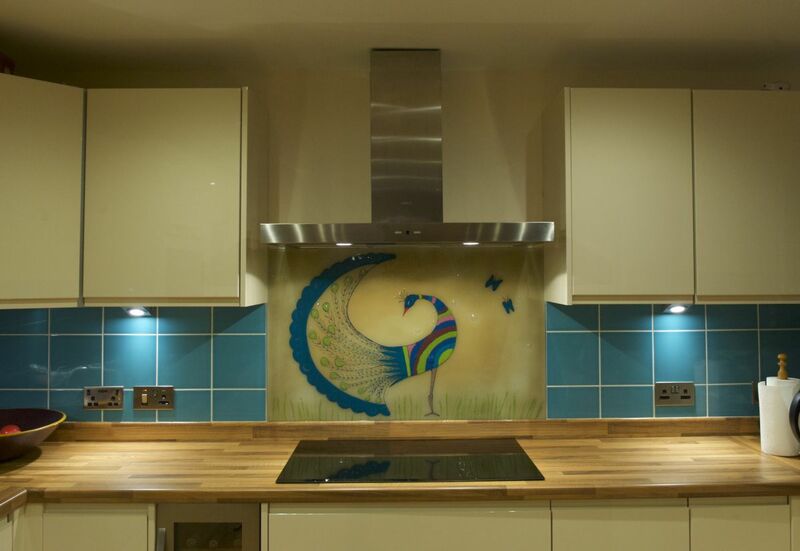 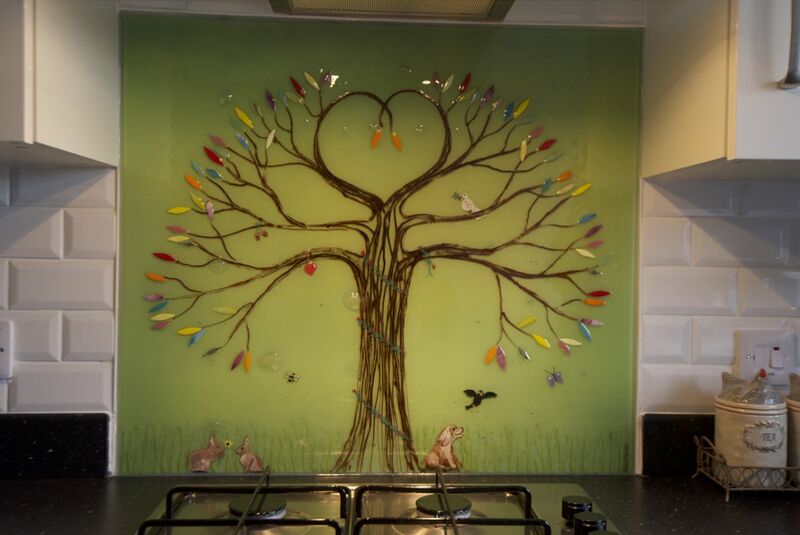 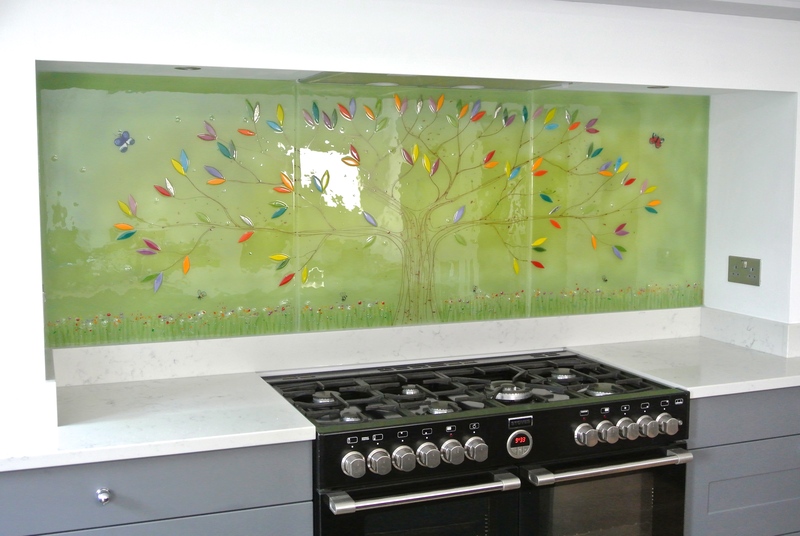 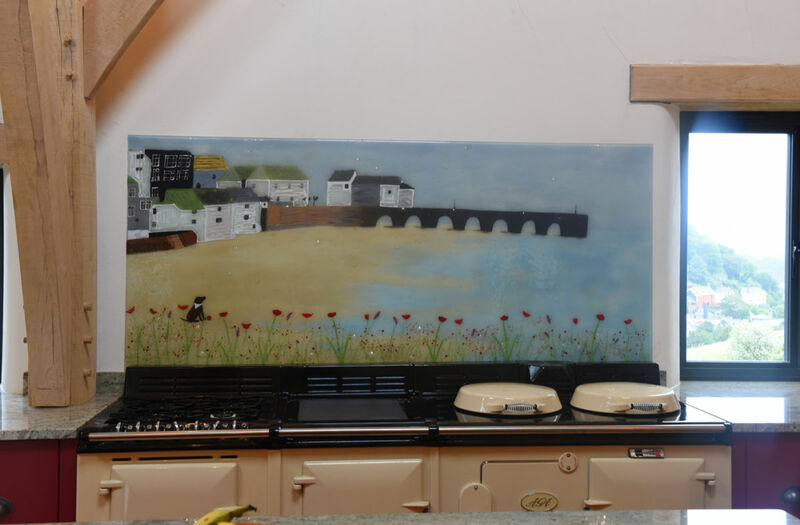 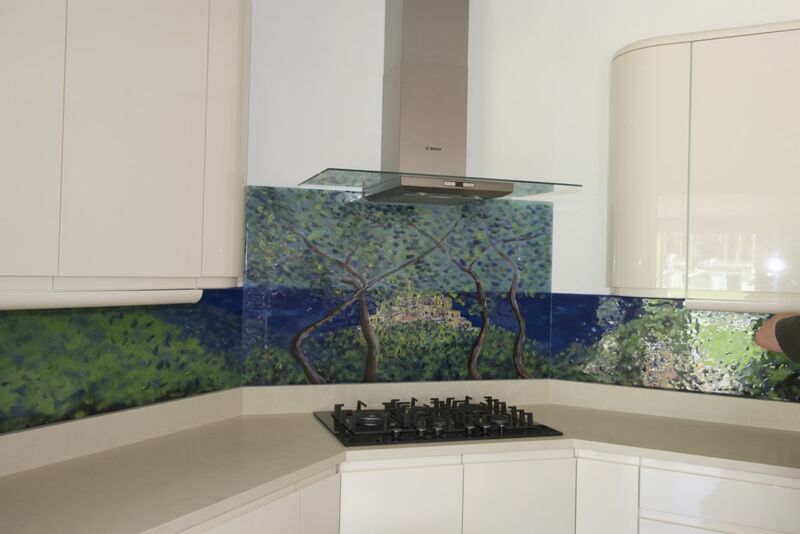 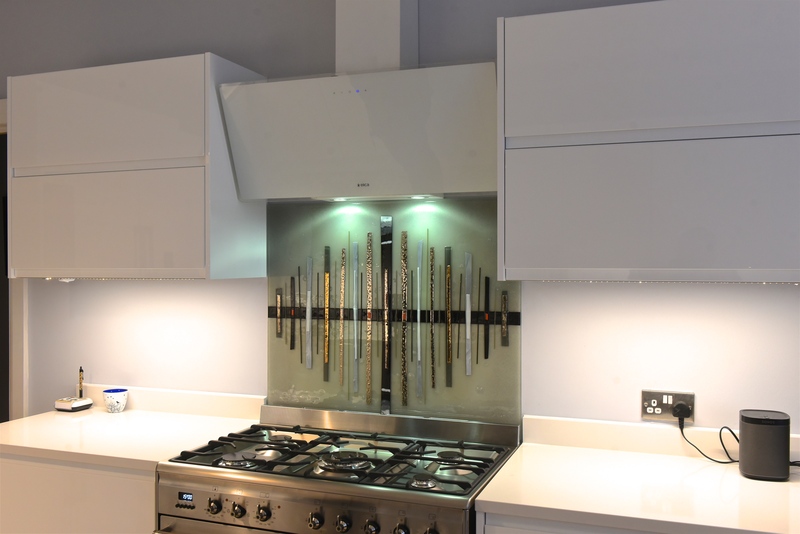 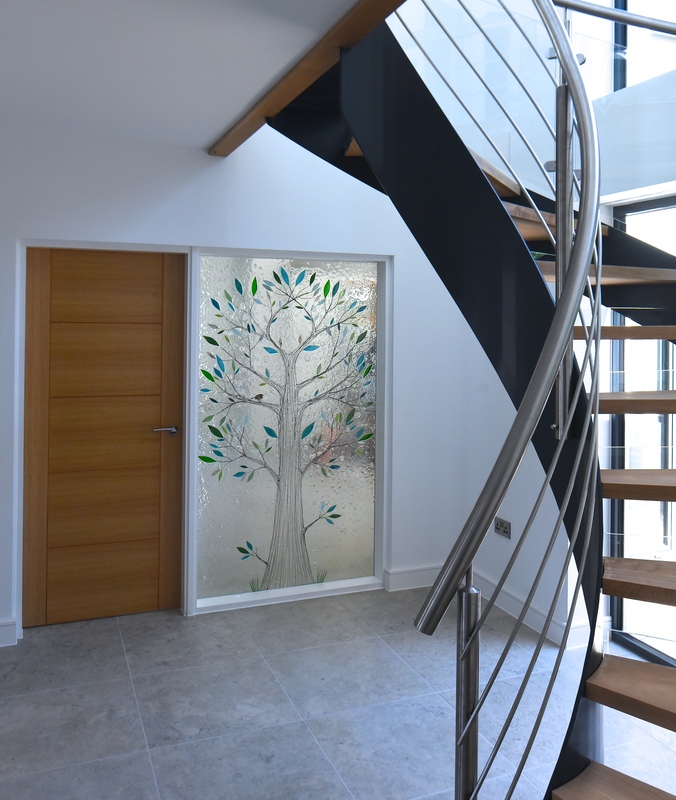 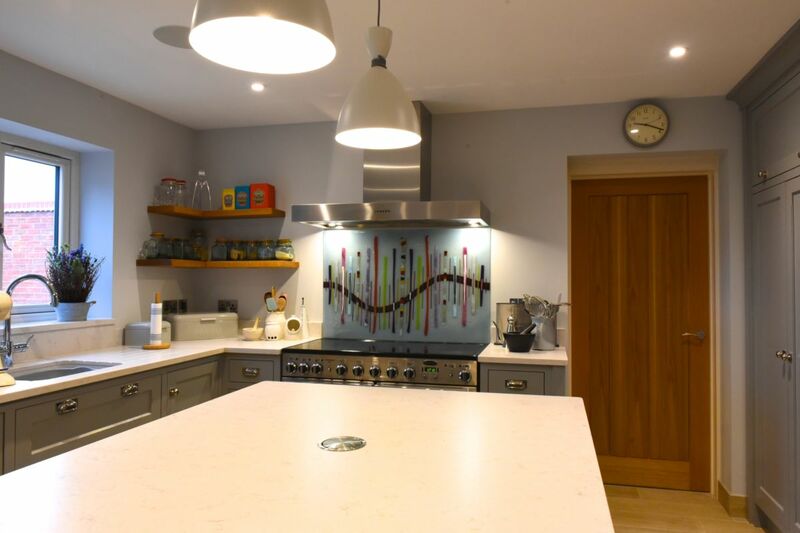 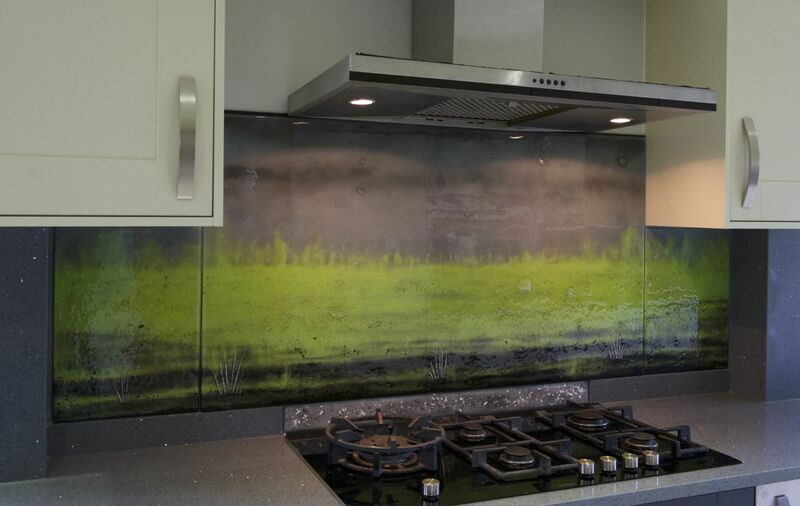 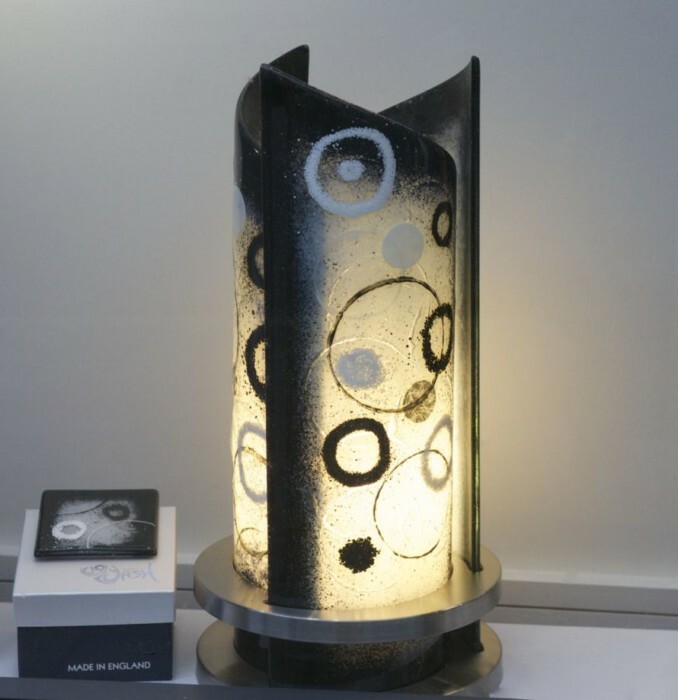 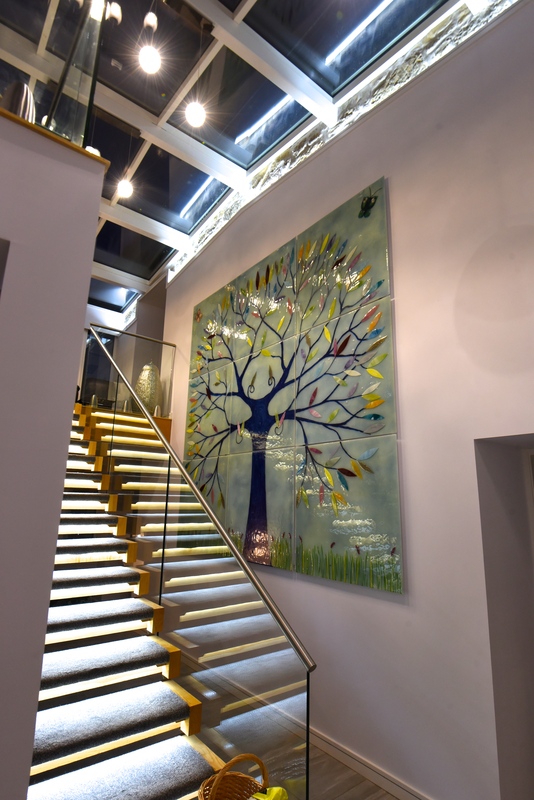 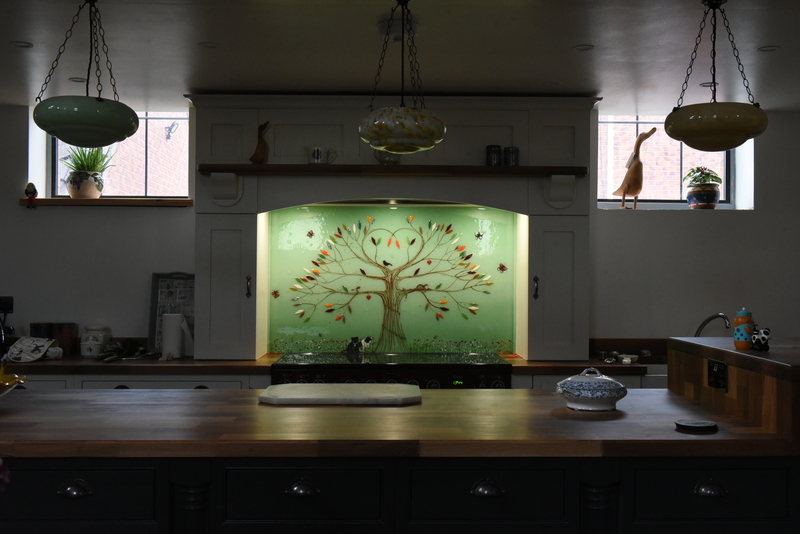 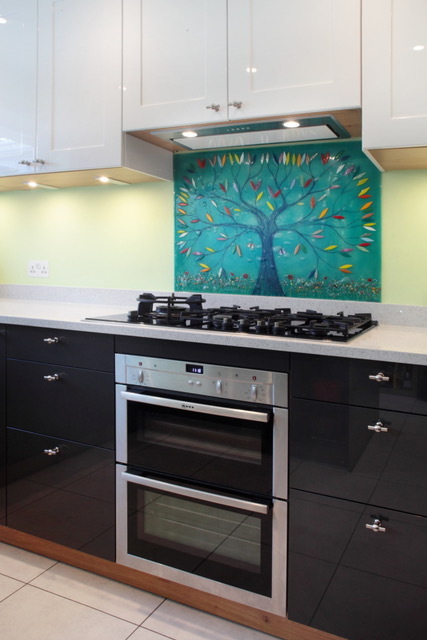 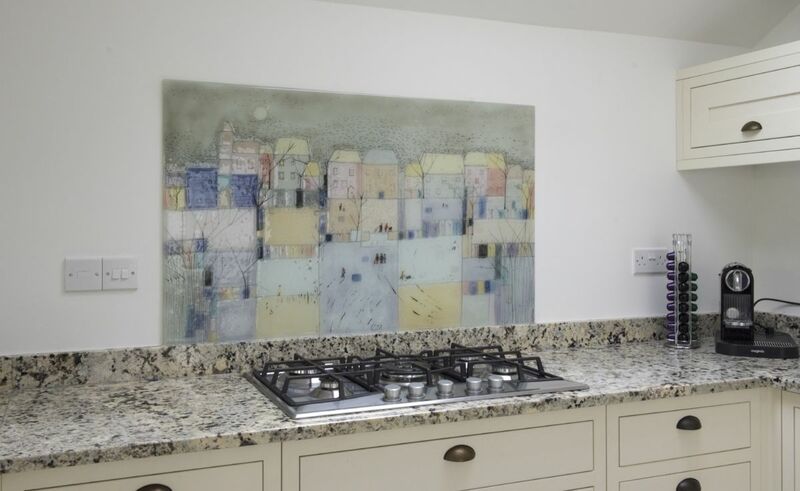 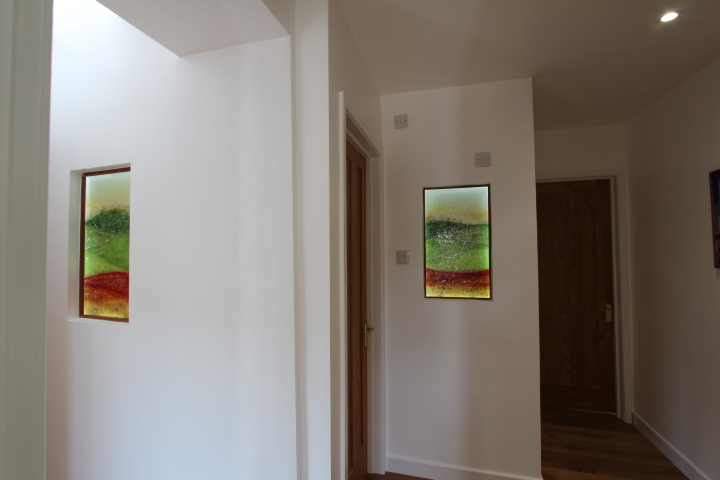 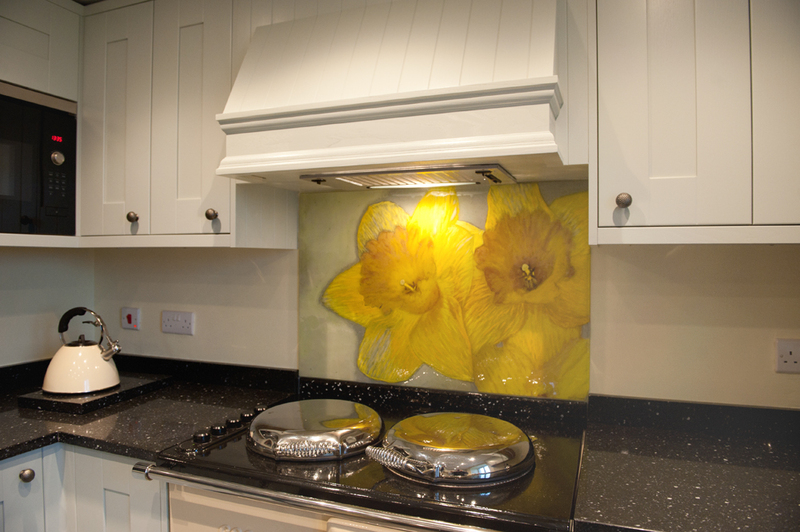 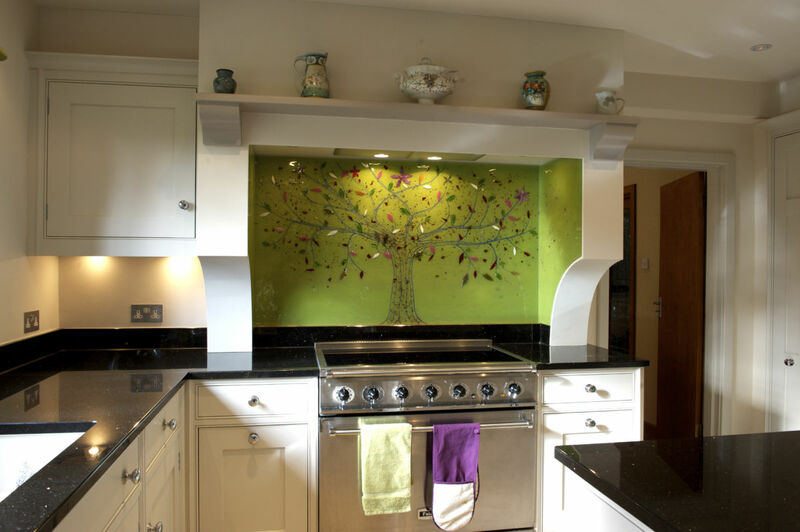 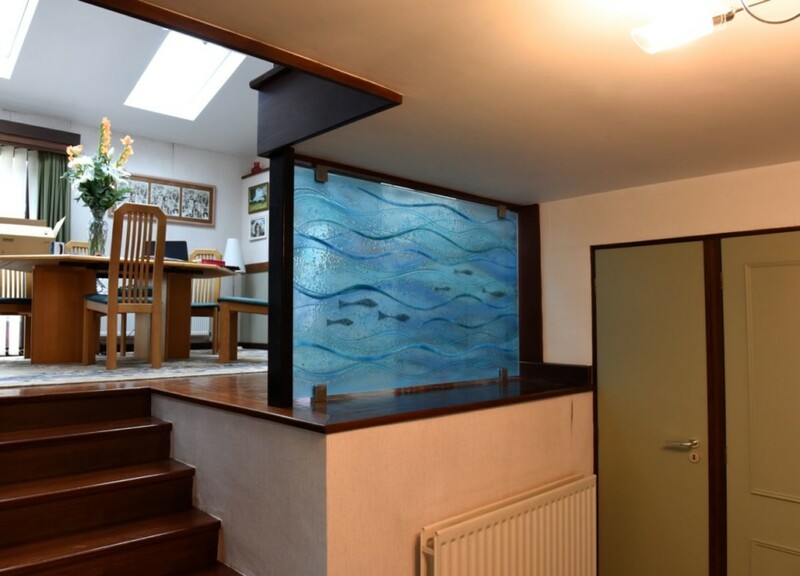 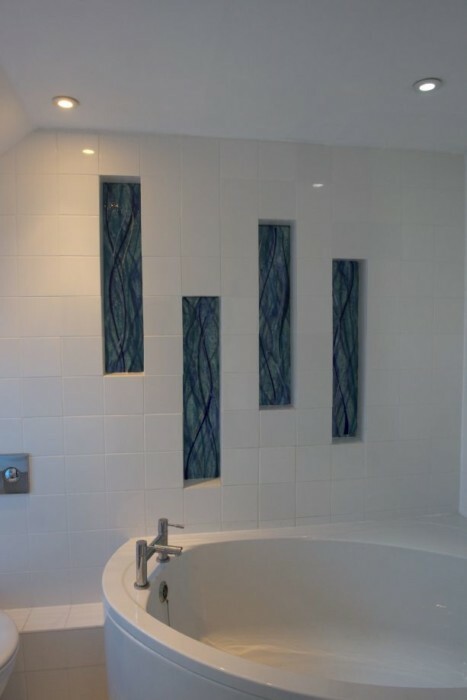 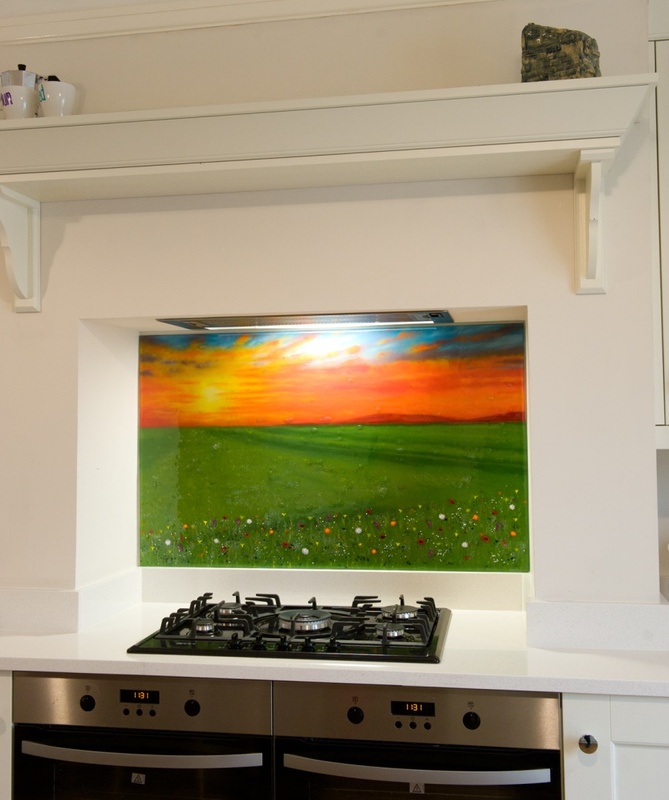 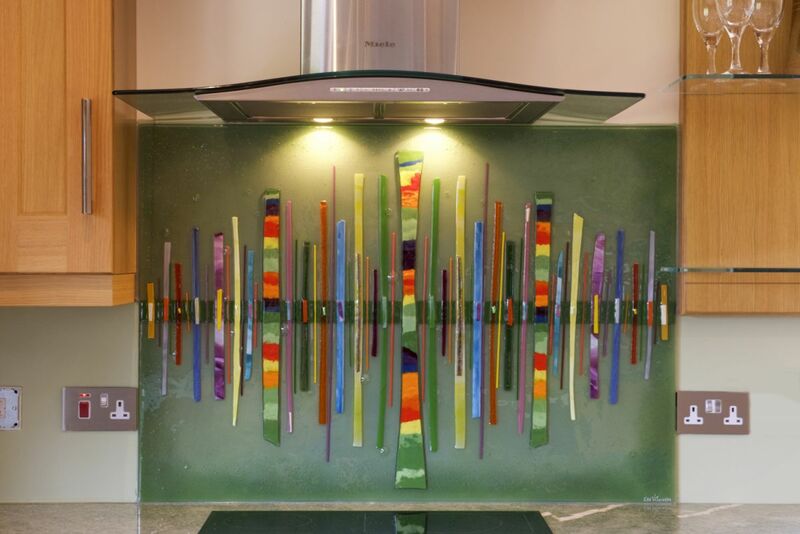 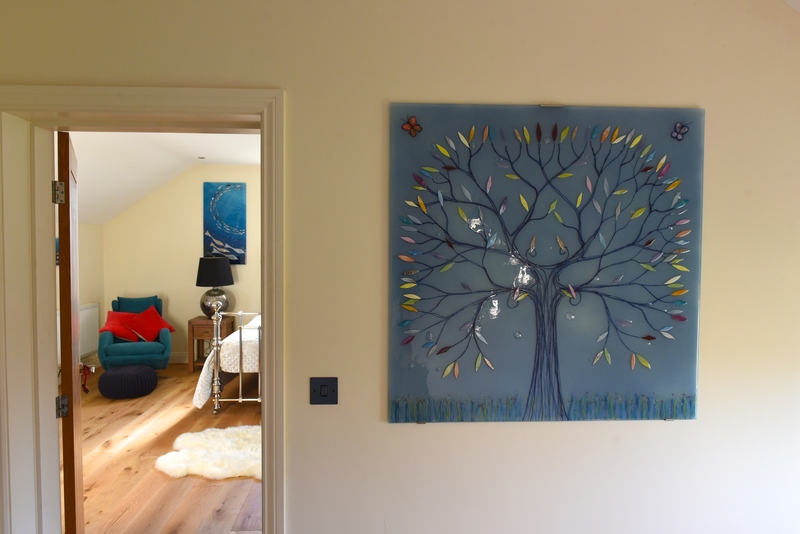 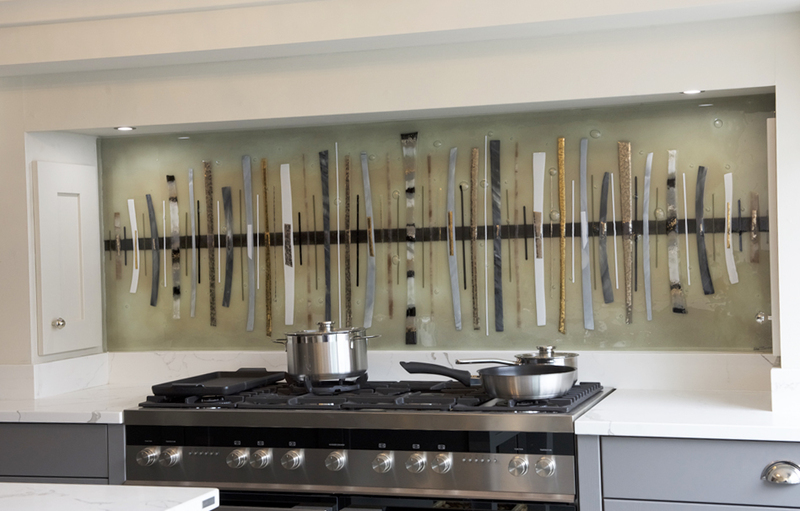 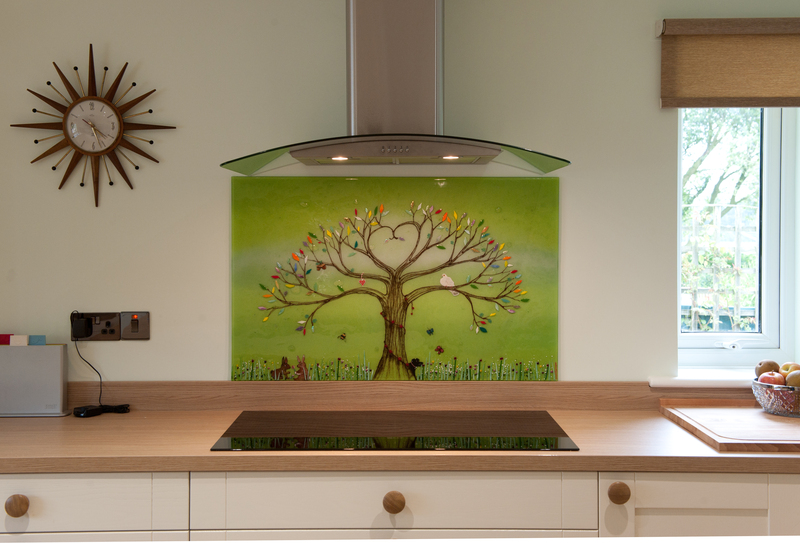 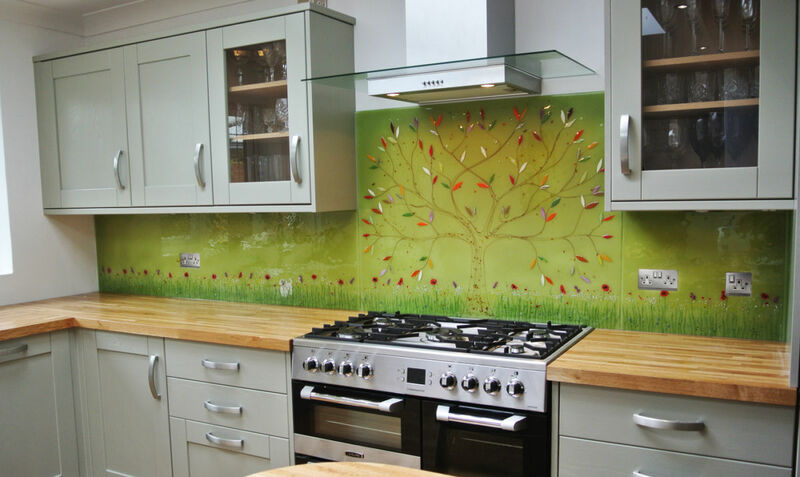 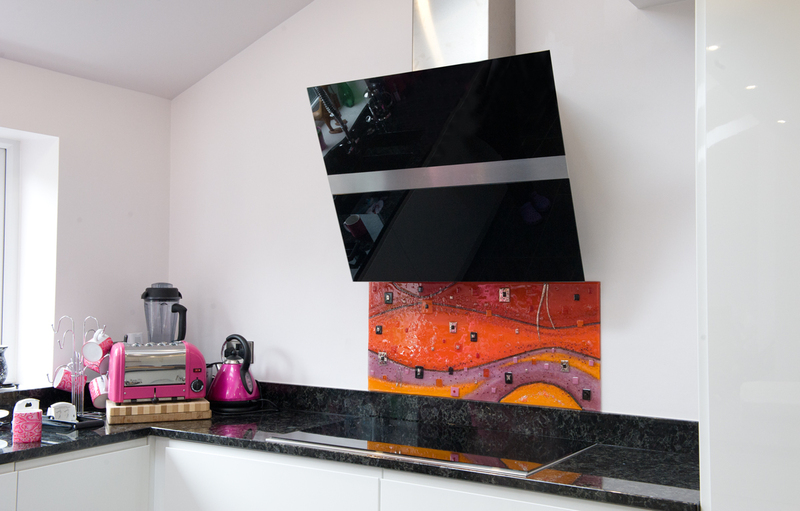 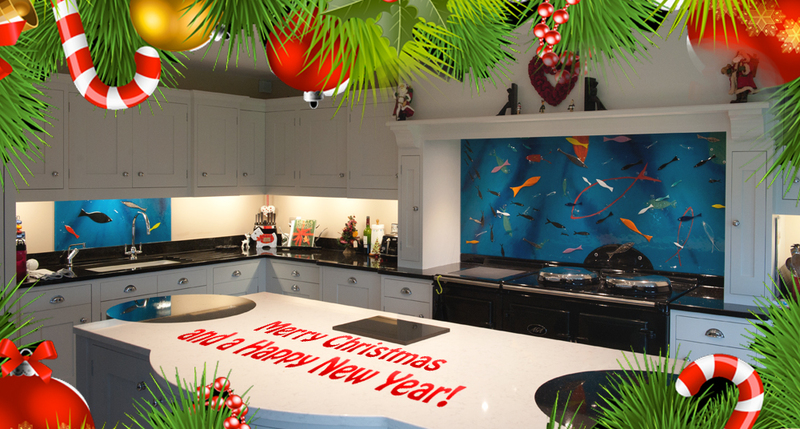 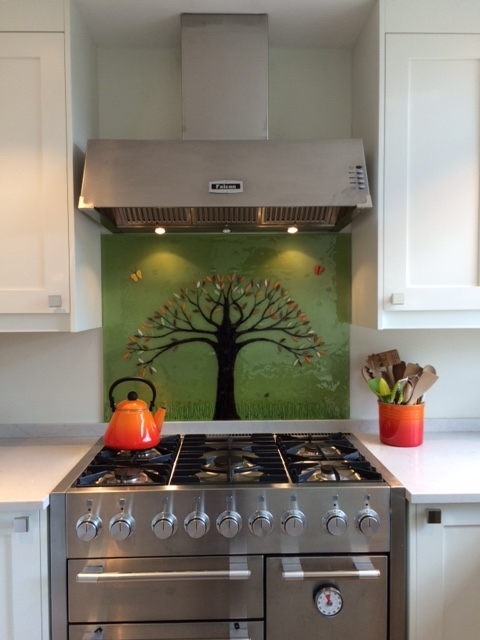 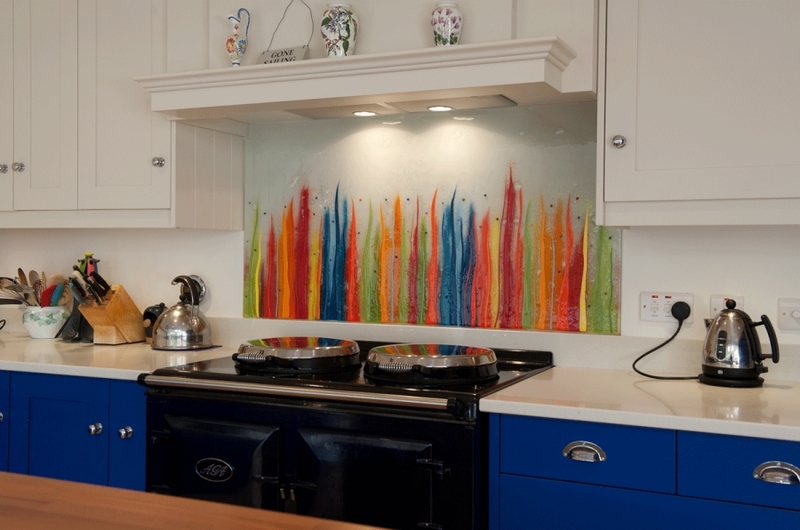 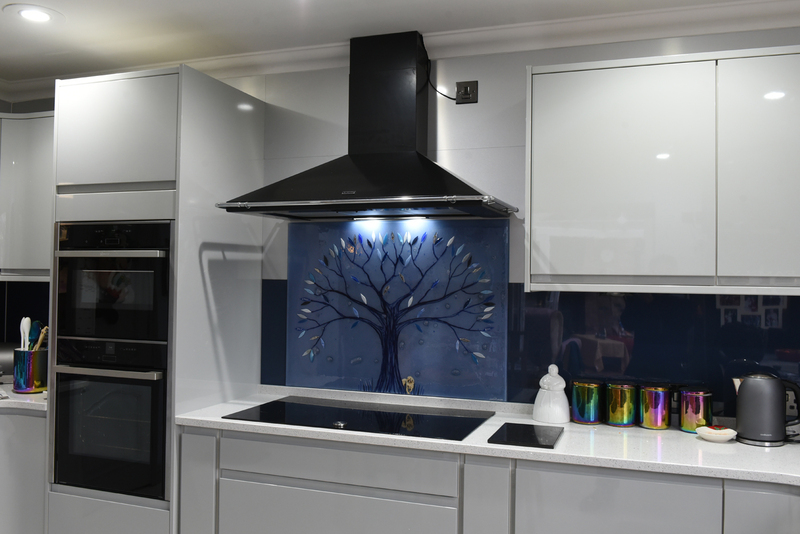 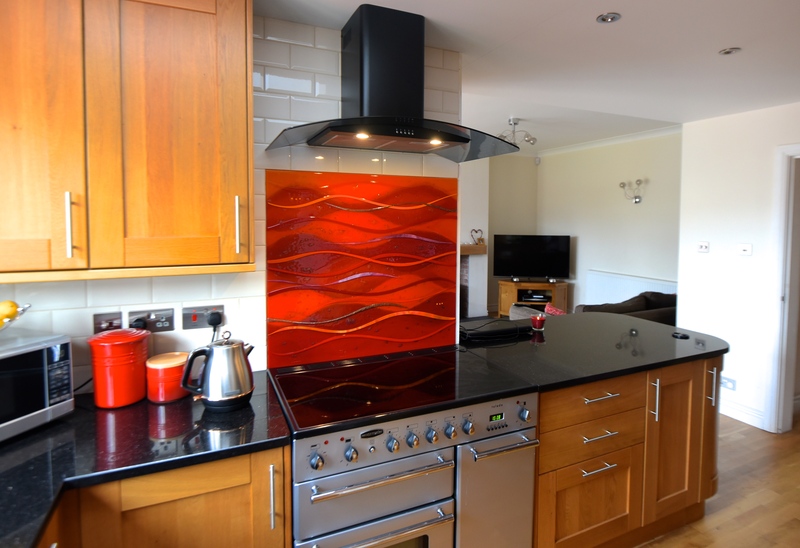 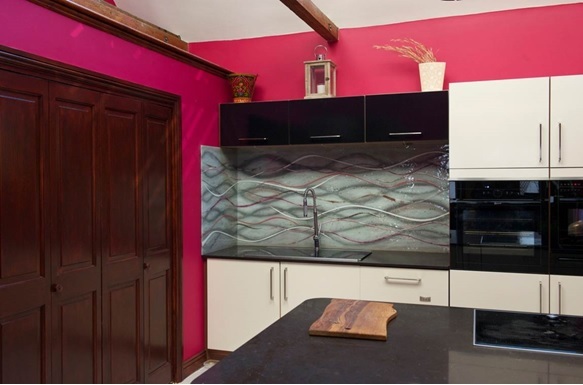 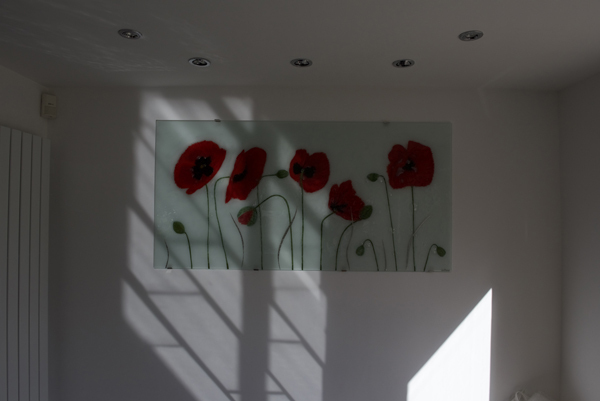 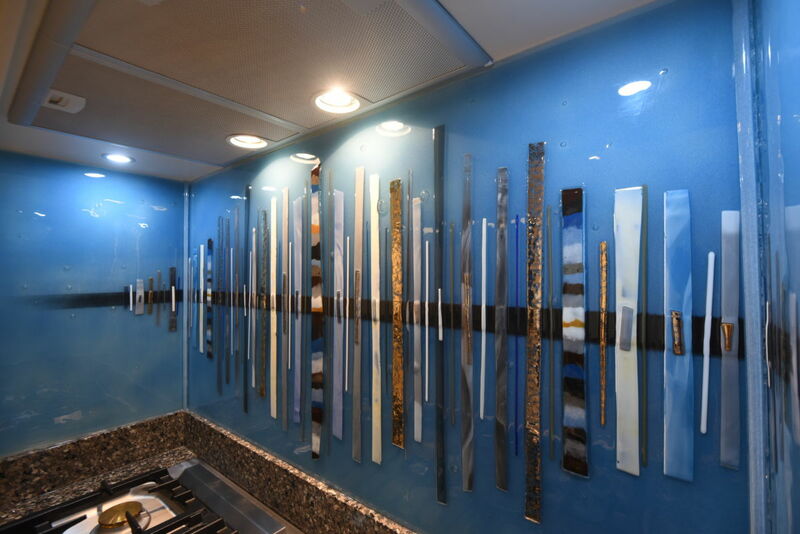 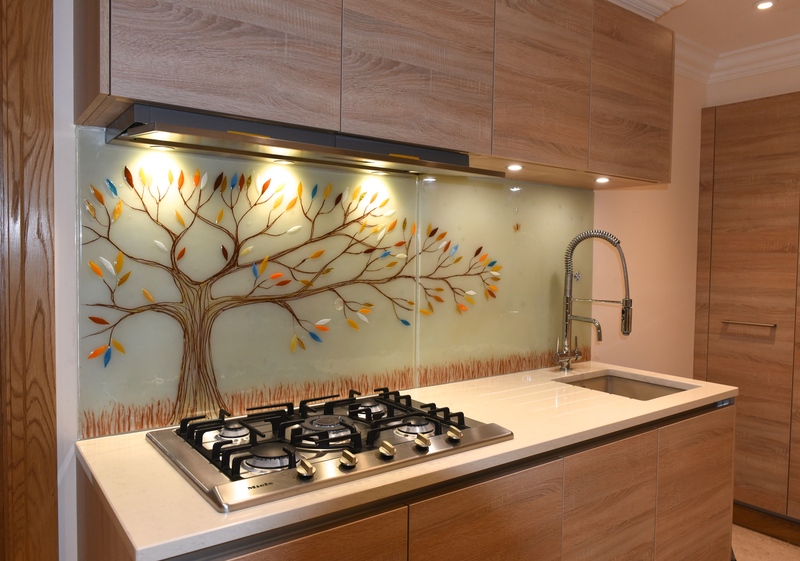 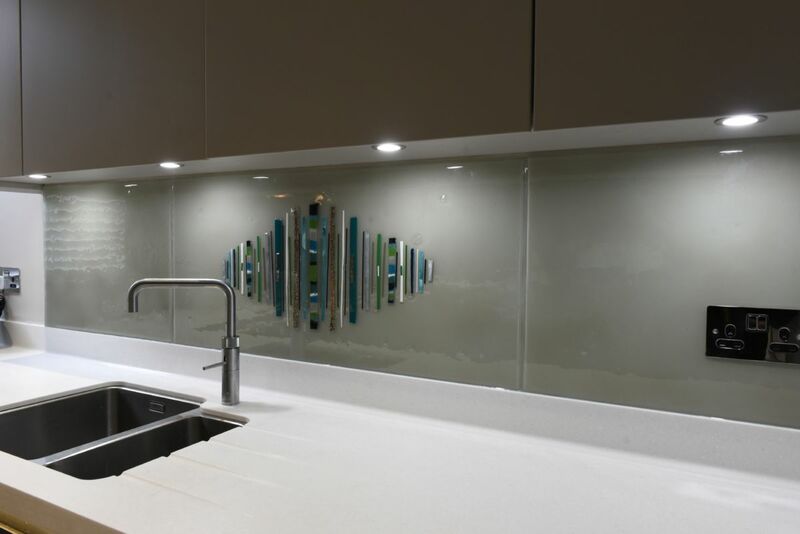 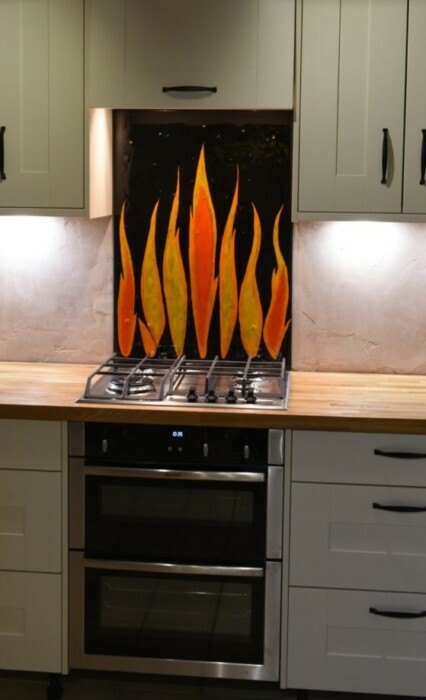 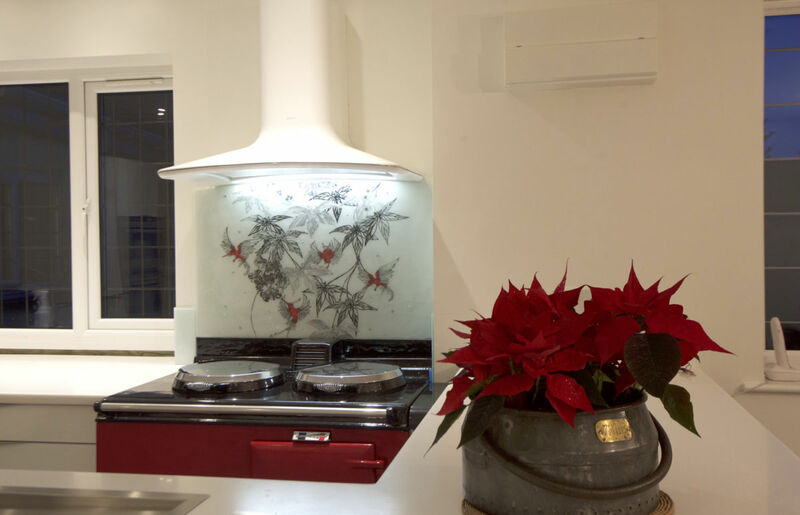 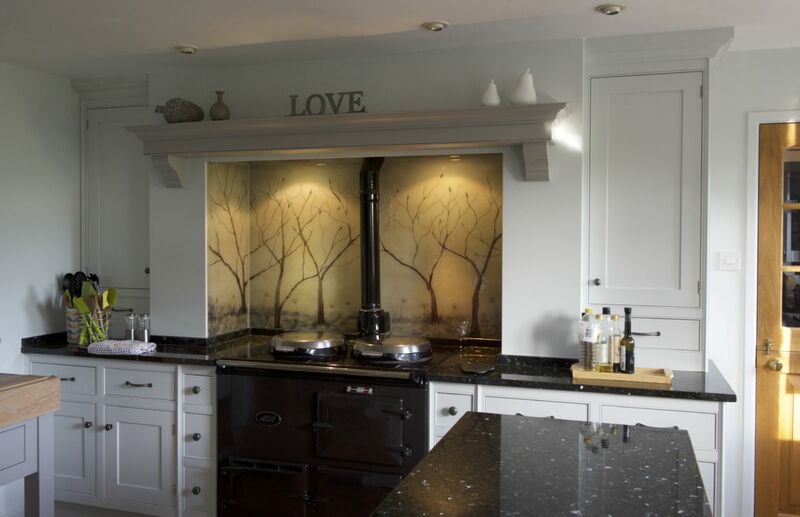 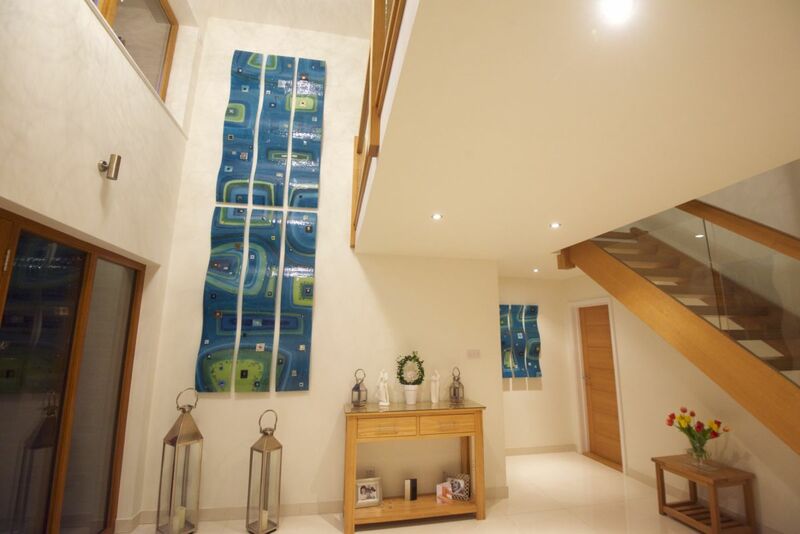 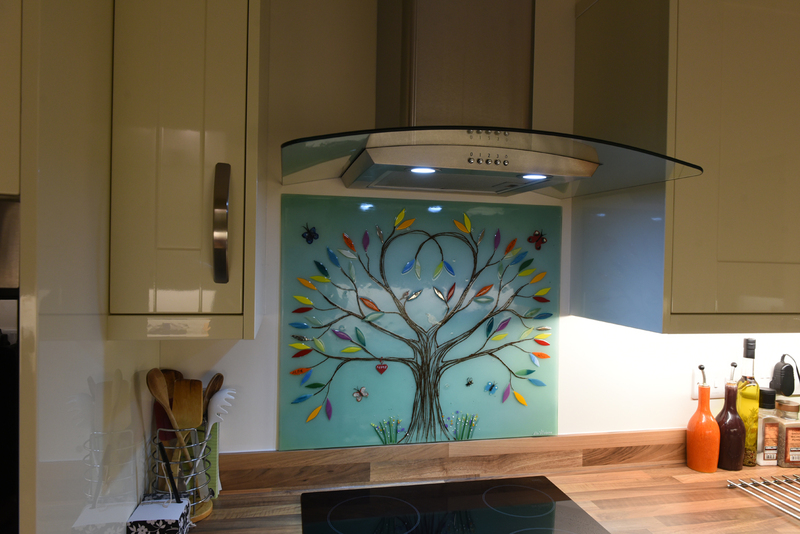 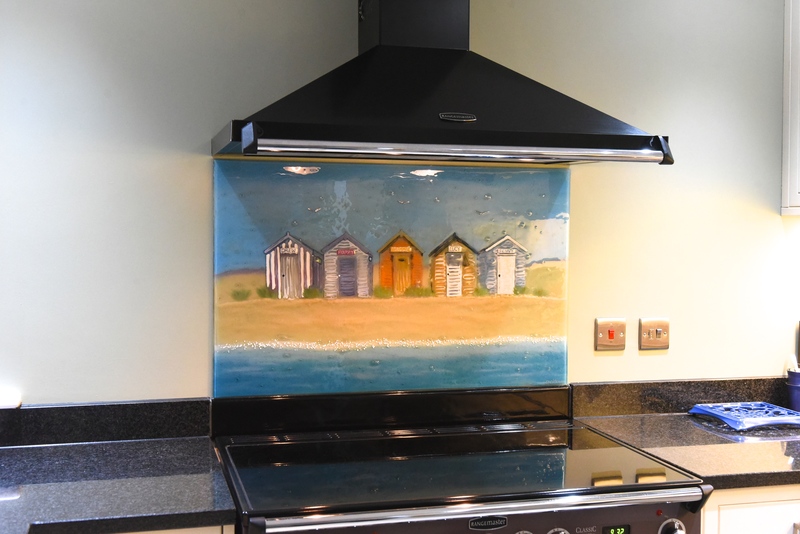 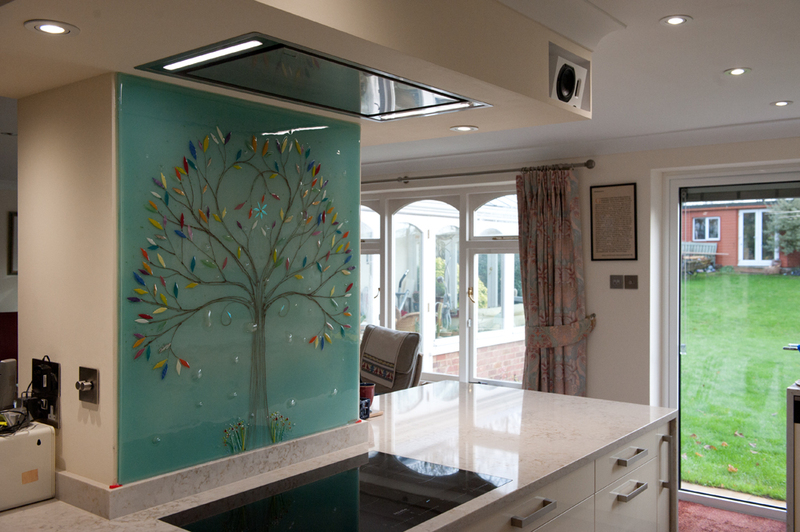 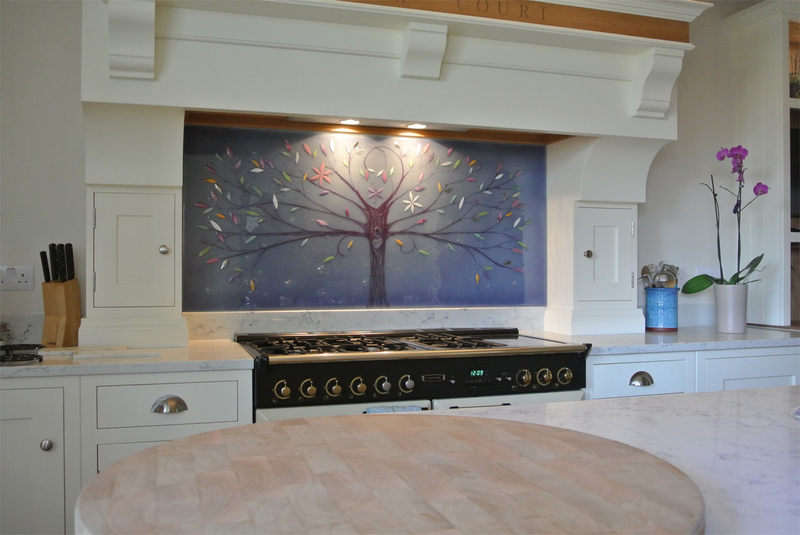 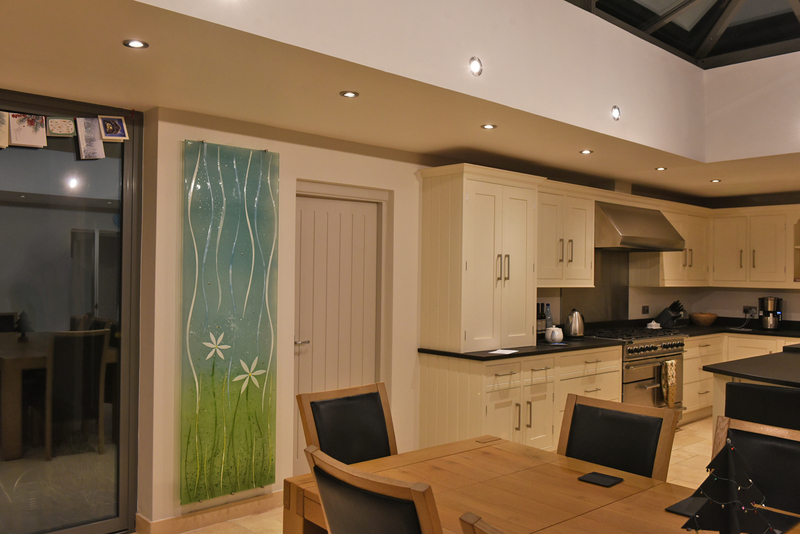 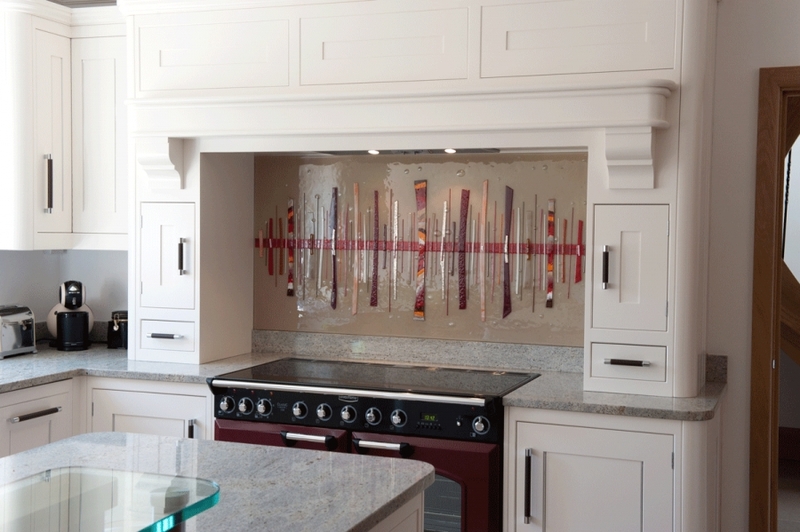 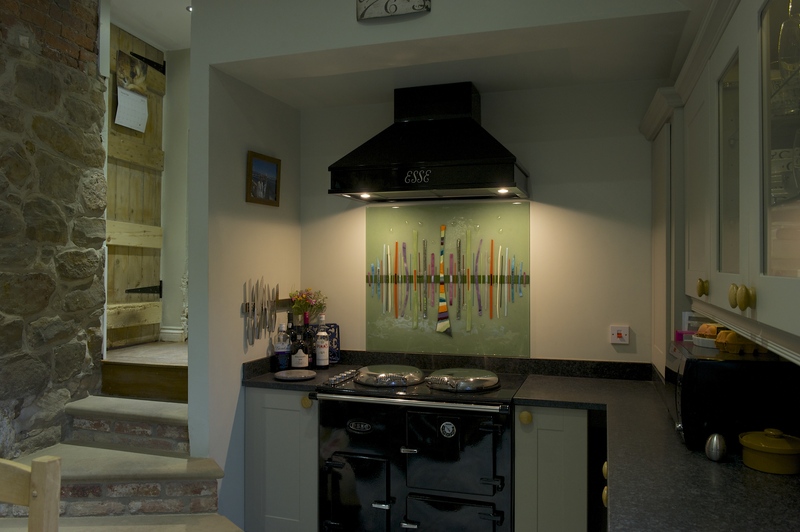 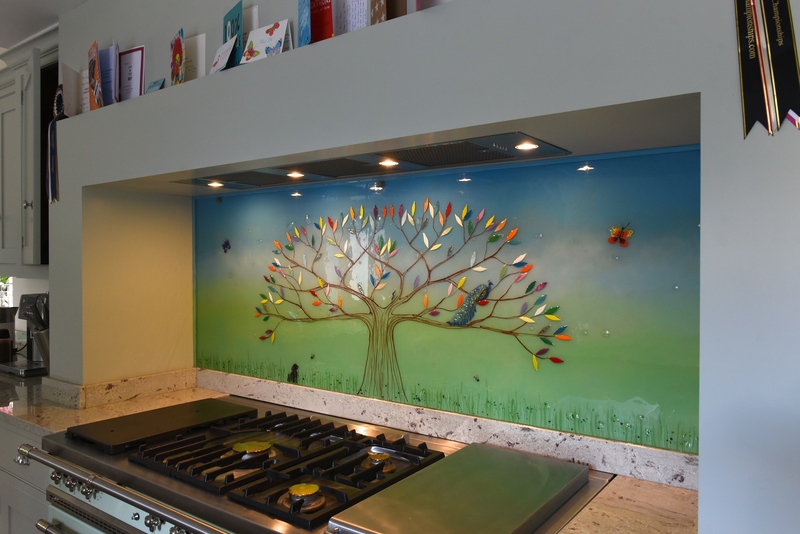 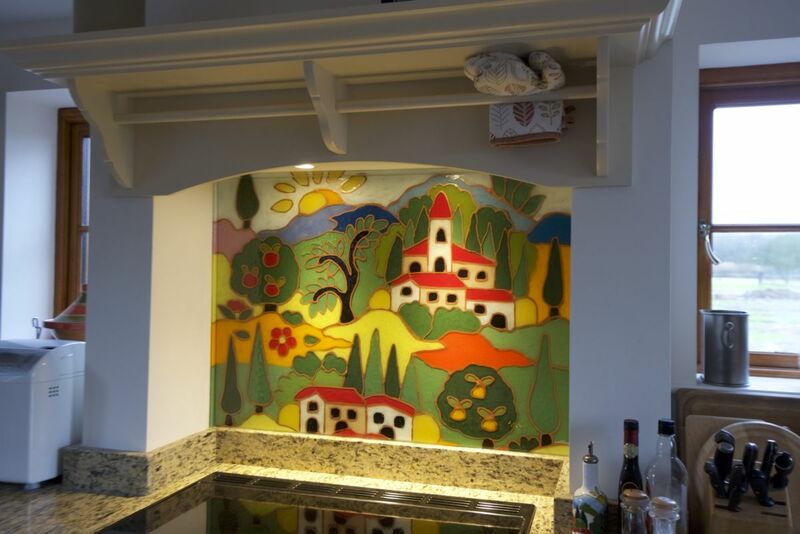 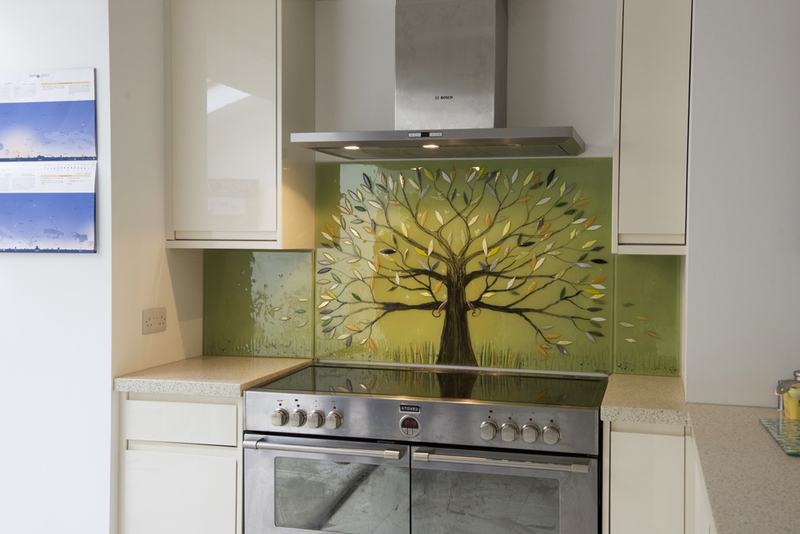 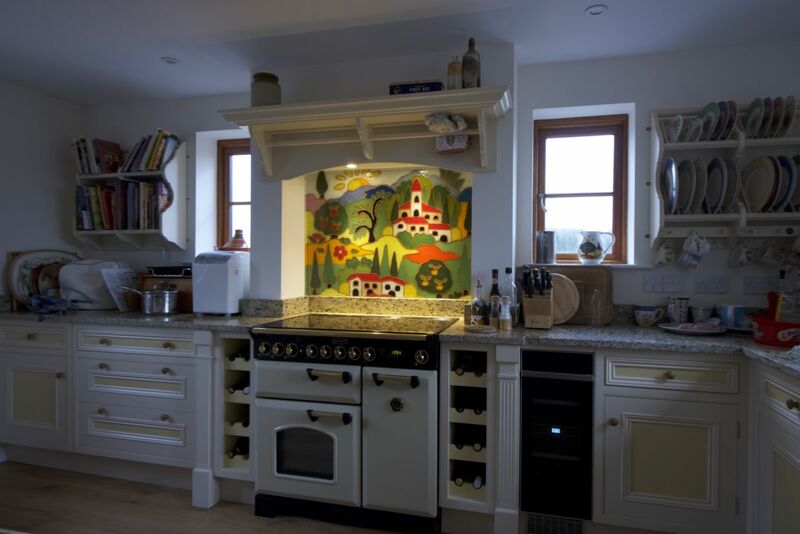 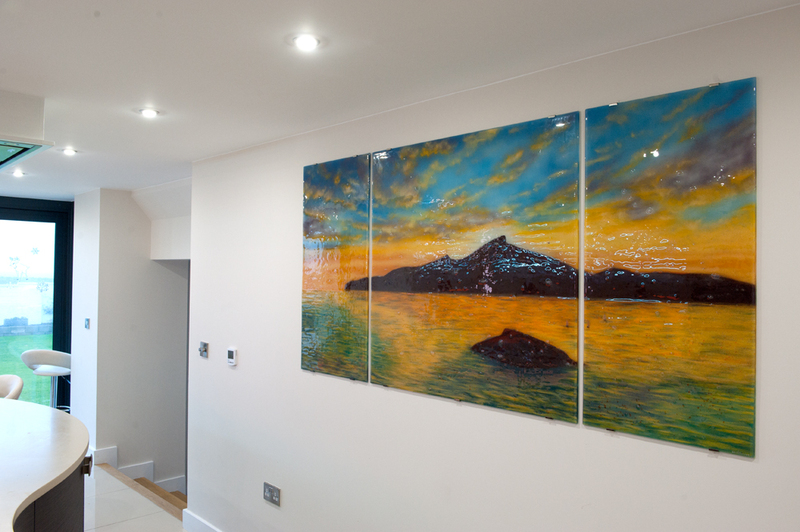 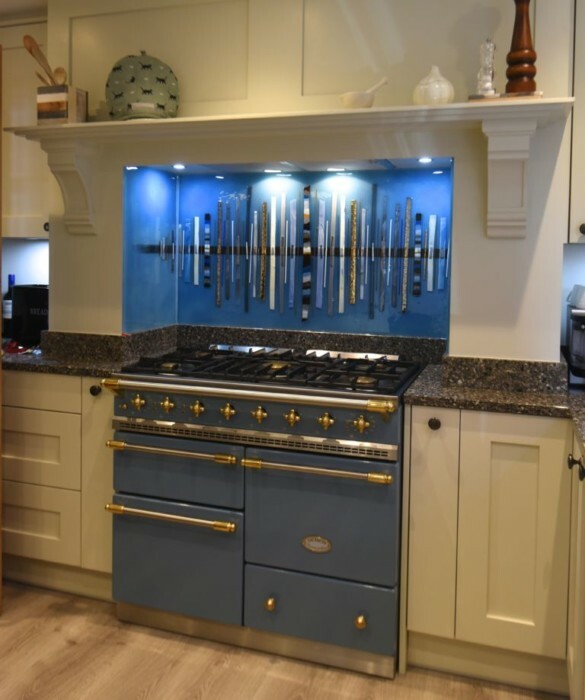 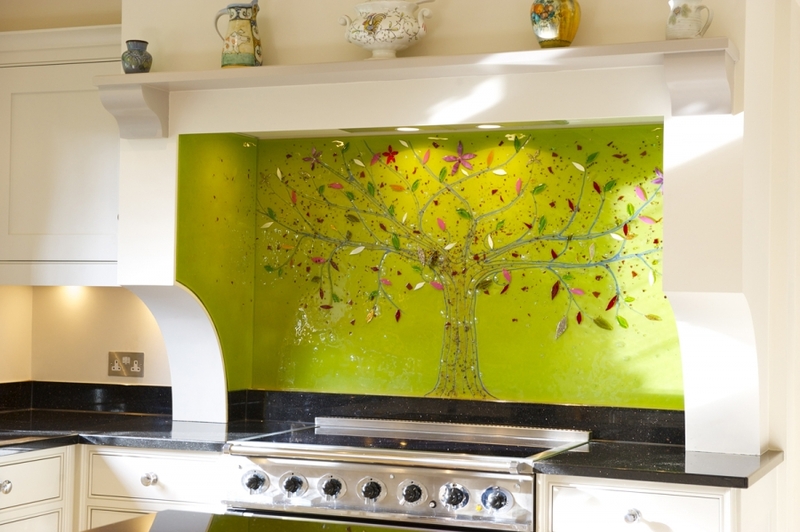 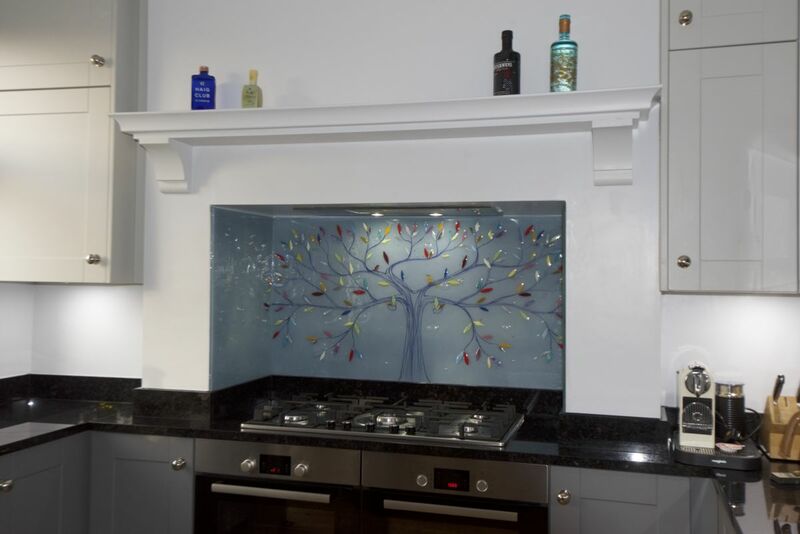 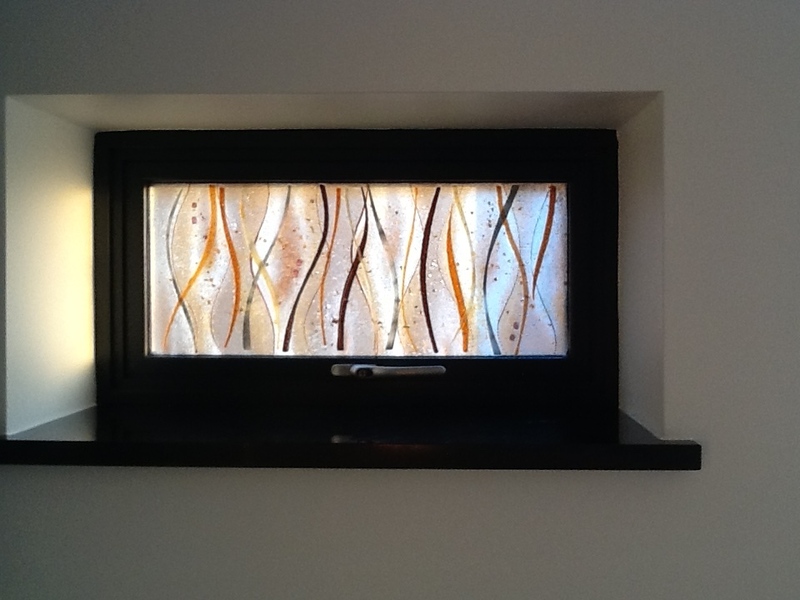 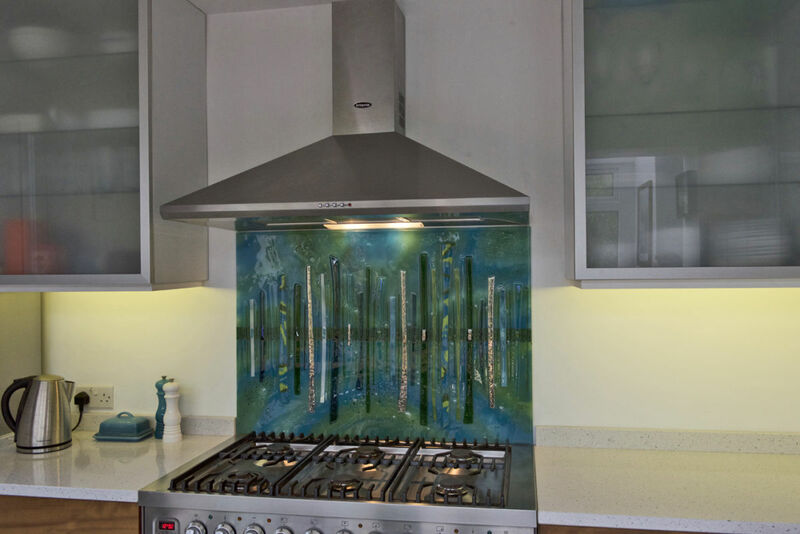 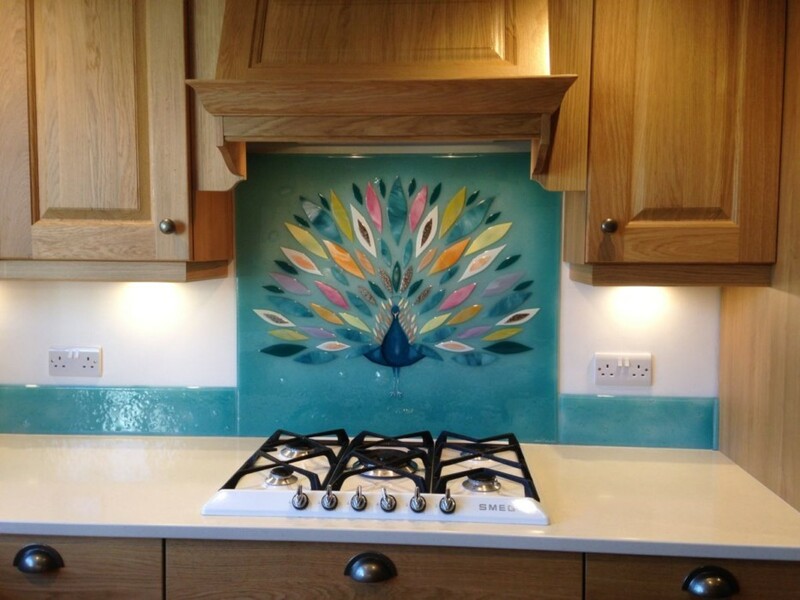 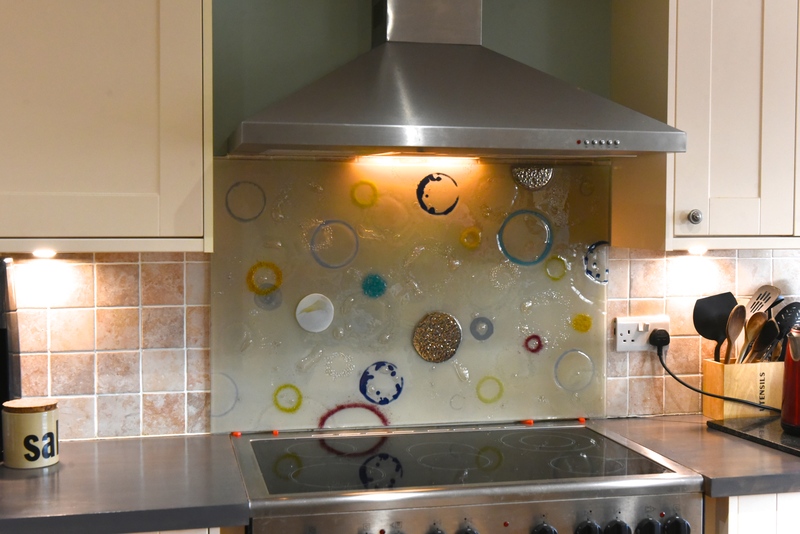 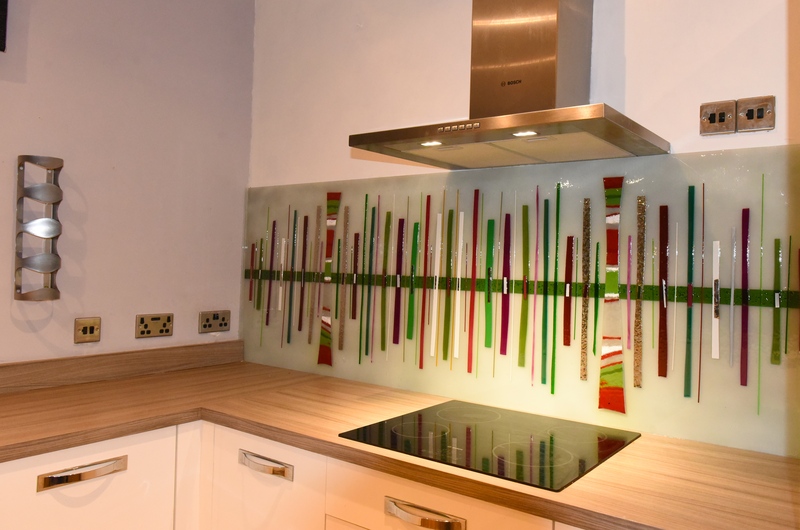 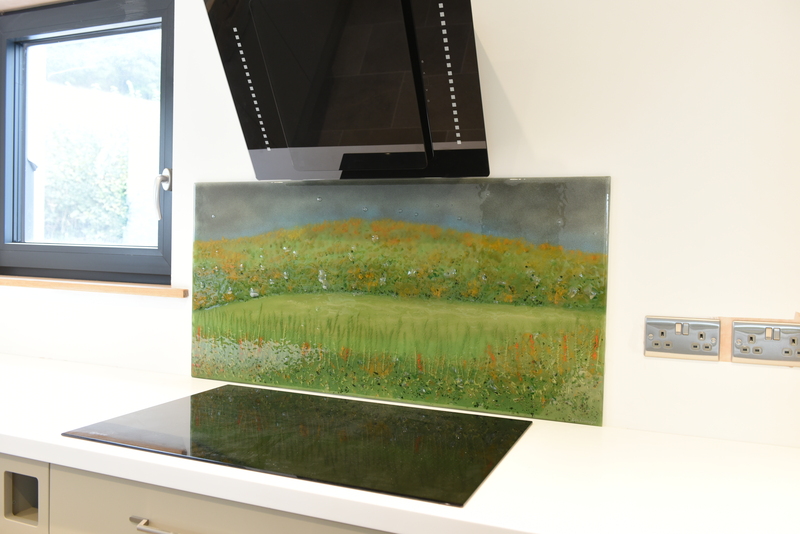 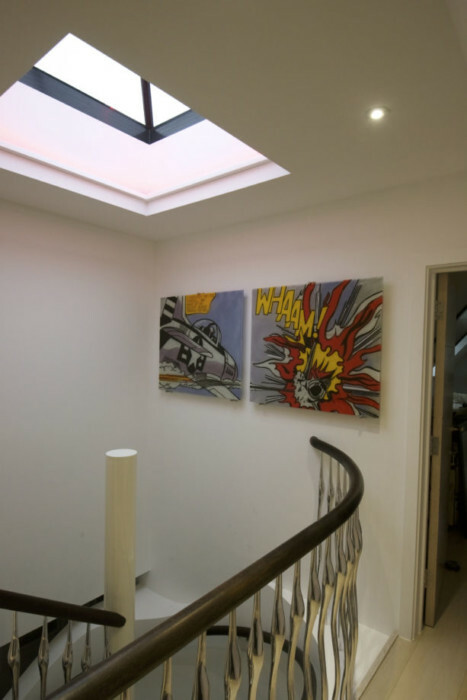 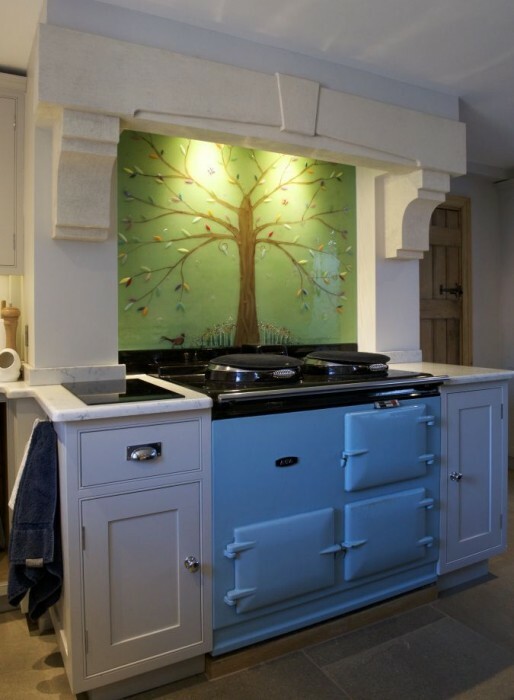 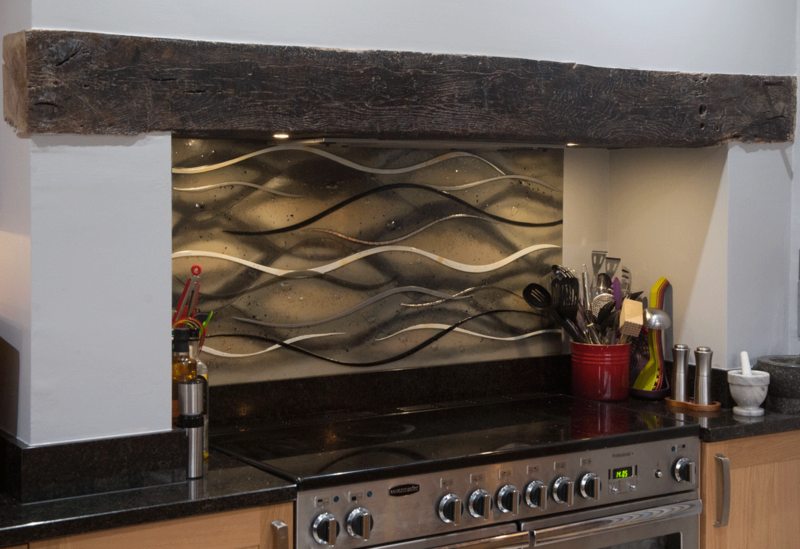 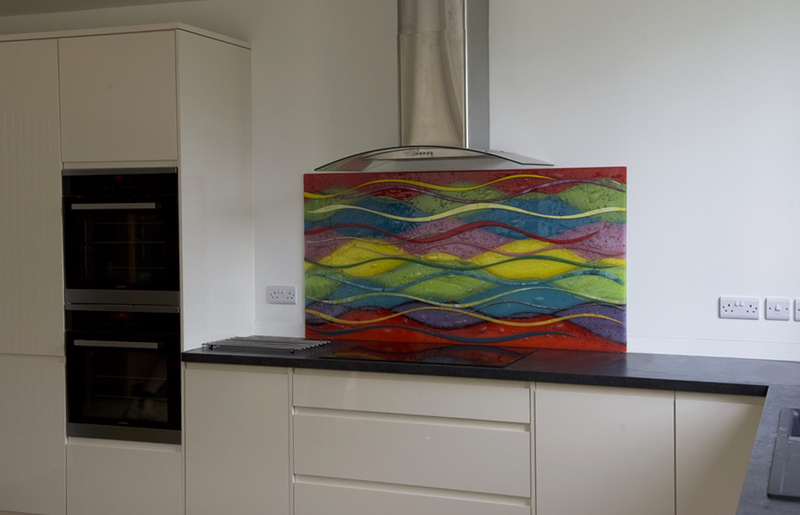 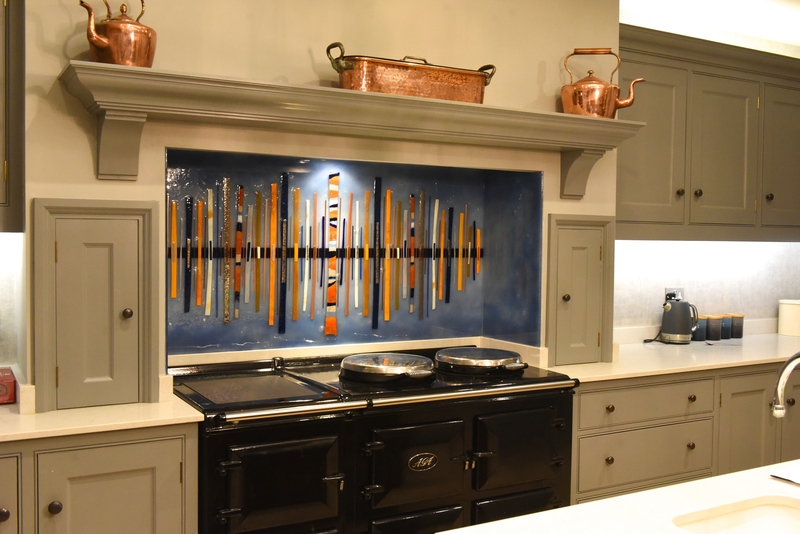 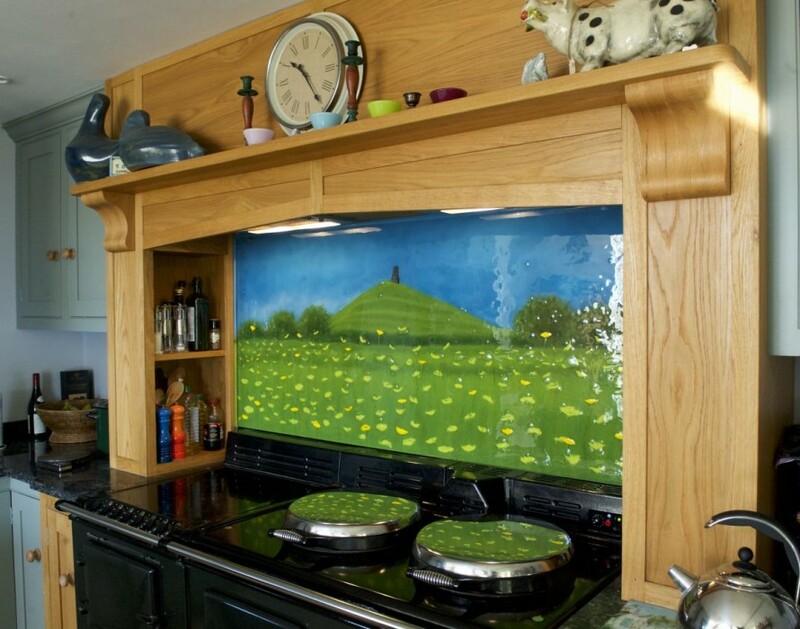 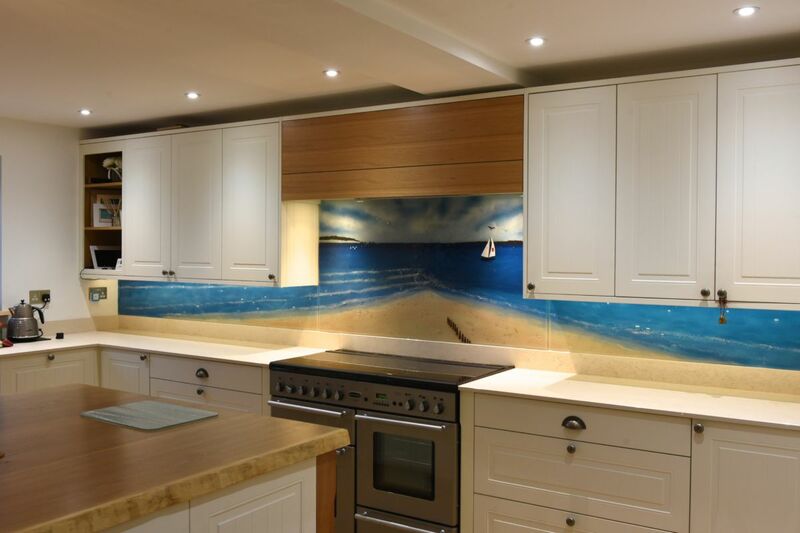 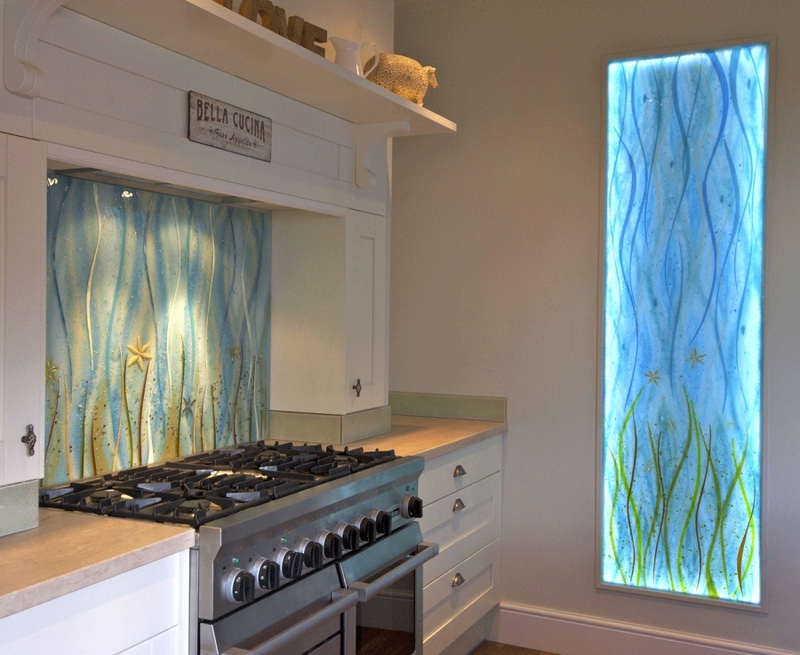 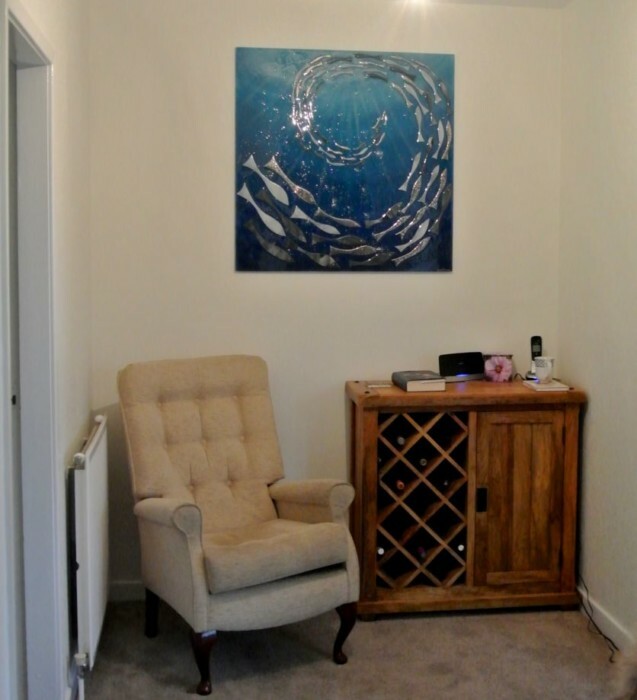 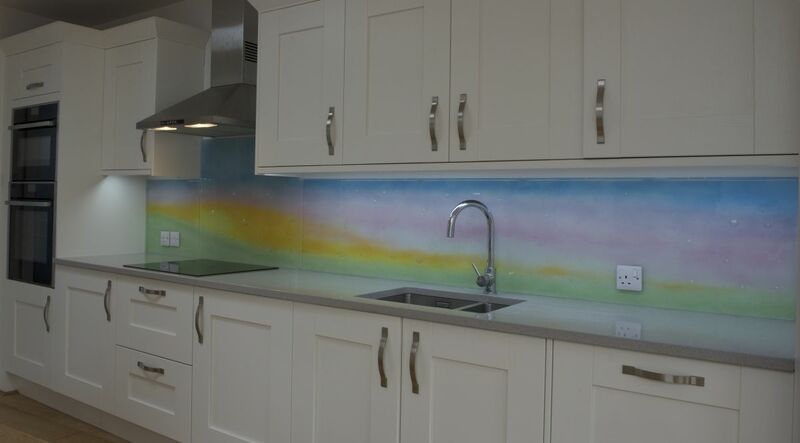 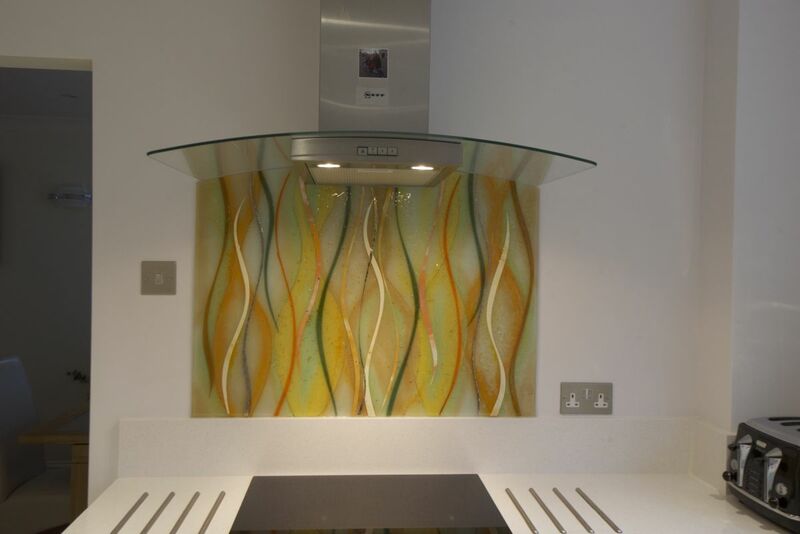 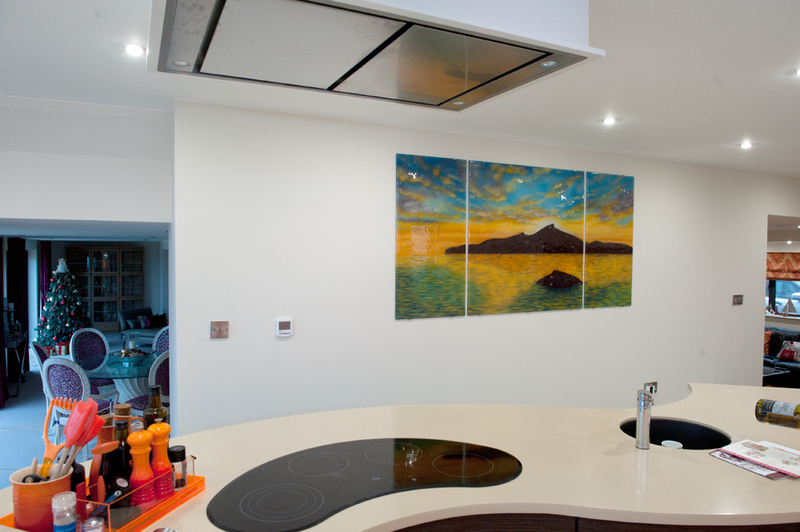 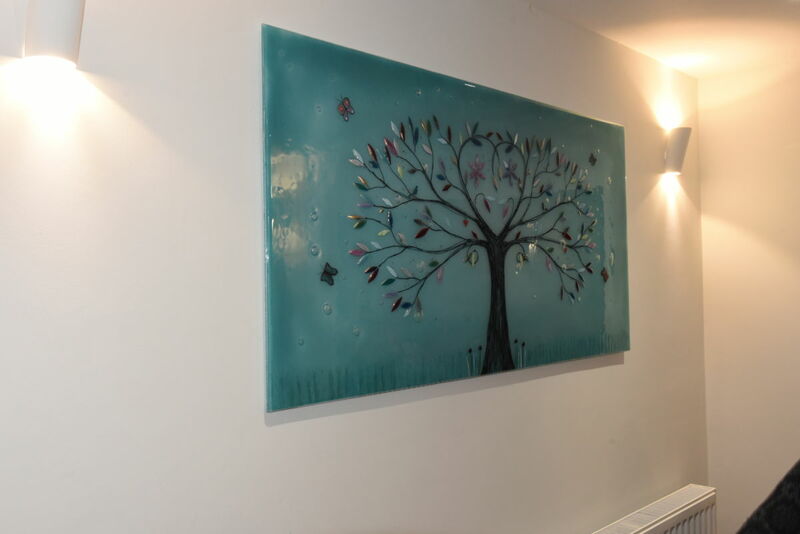 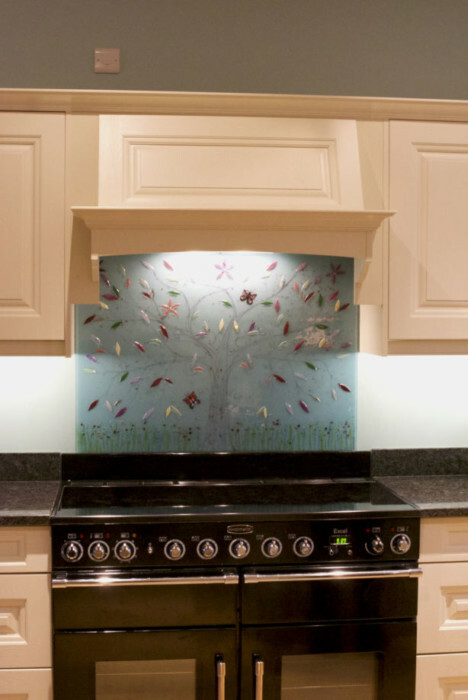 Some time ago now, the customer had visited us at the Ideal Home Show and had bought some of the glass wall art panels we were displaying in order to put them above her fireplace. 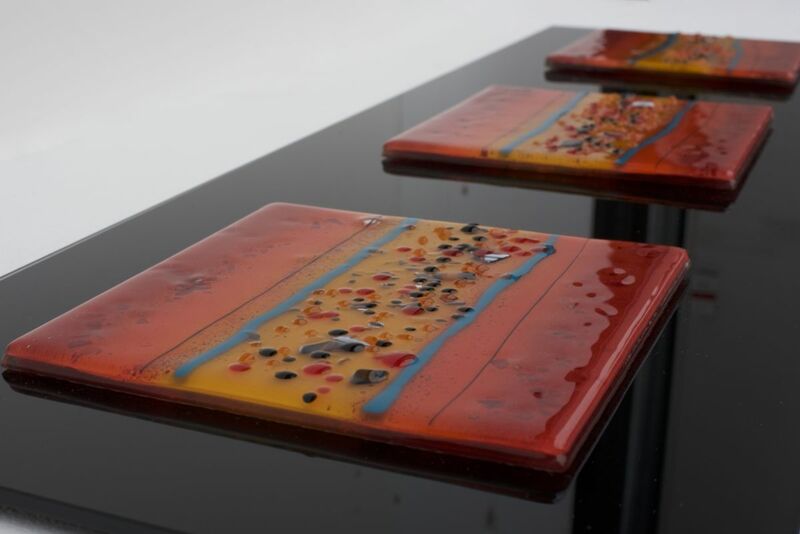 She loved the design so much that she even wanted some coasters to match, which worked a treat in tying the décor together. 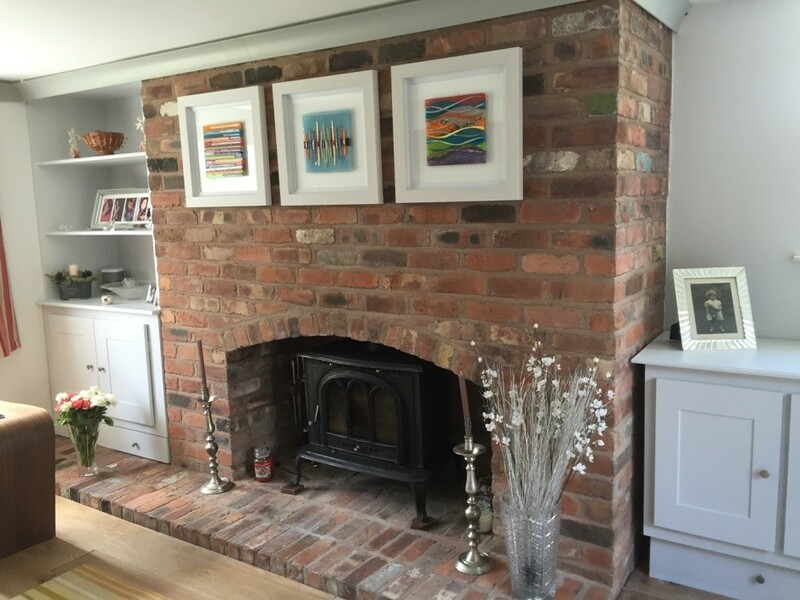 As you can see from the images above, the framed pieces look at home with the style of the room and look as if they had always been there. 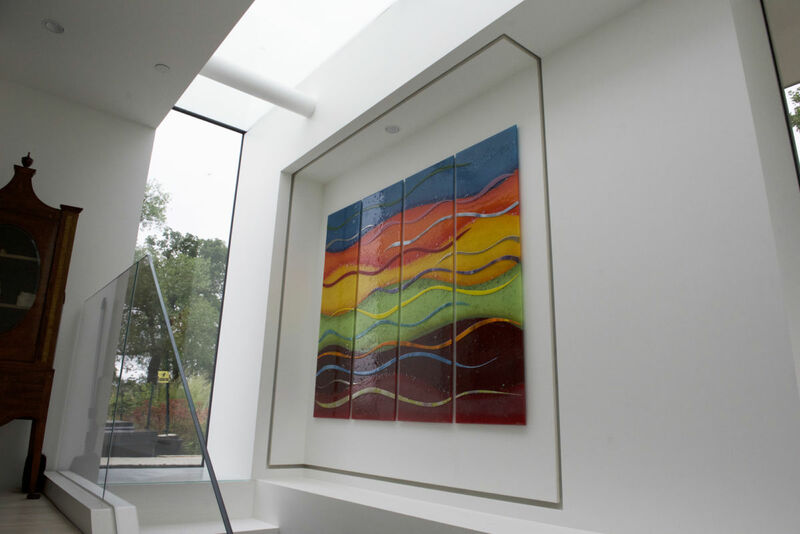 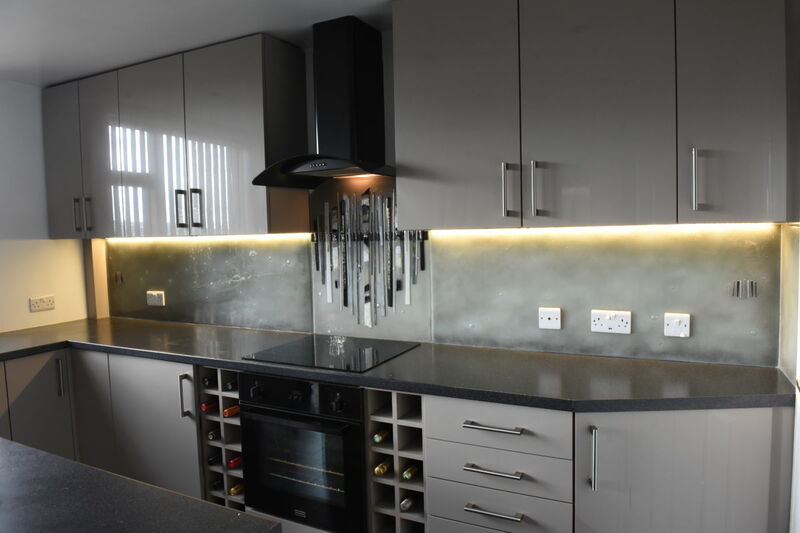 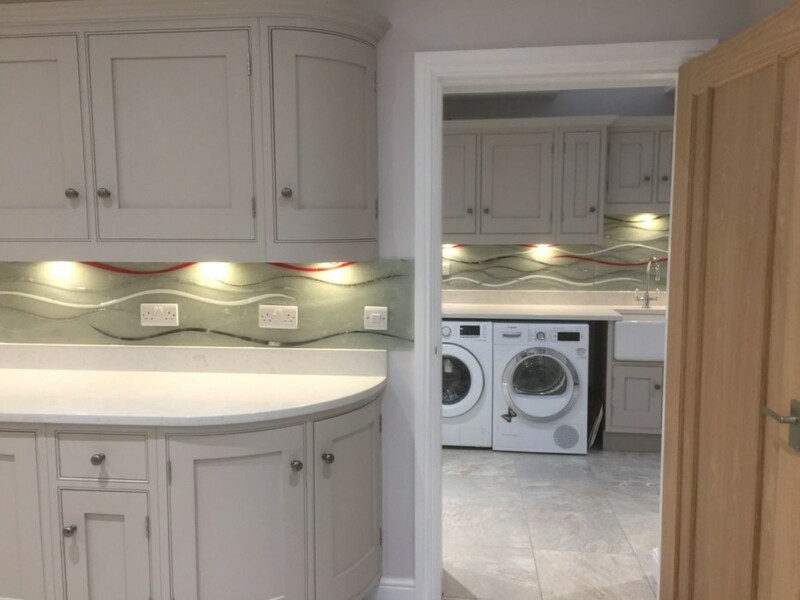 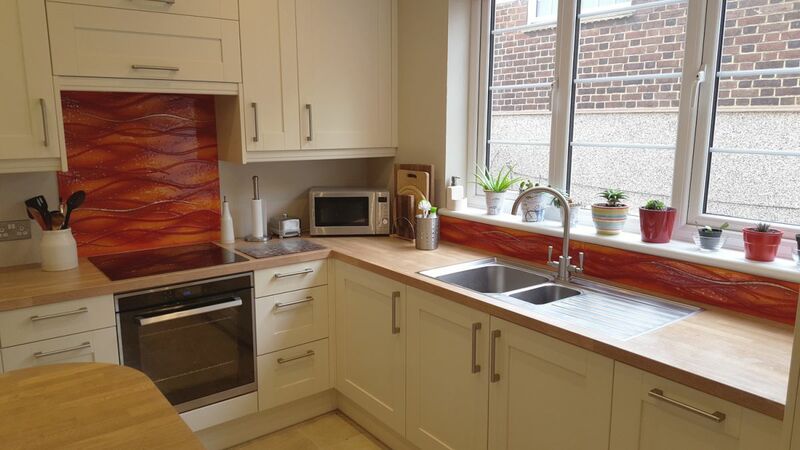 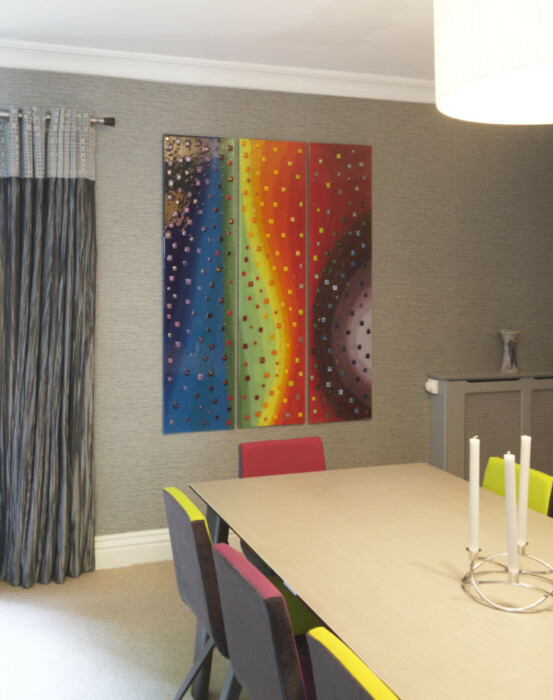 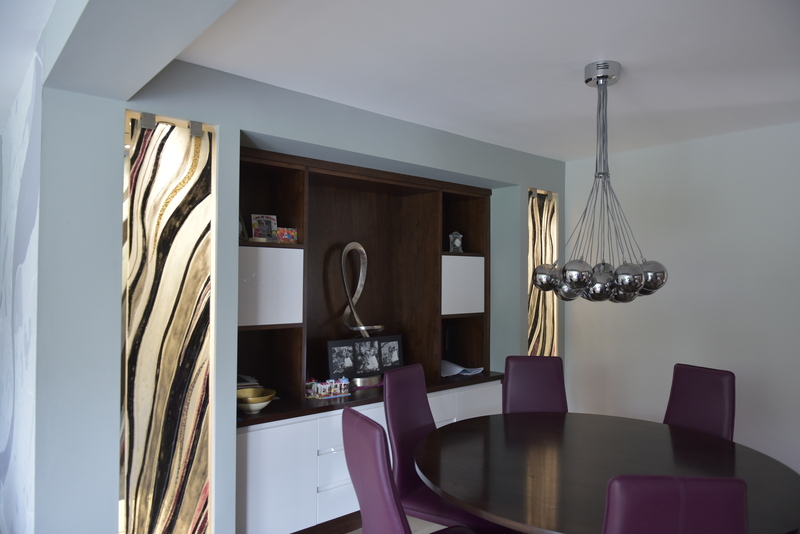 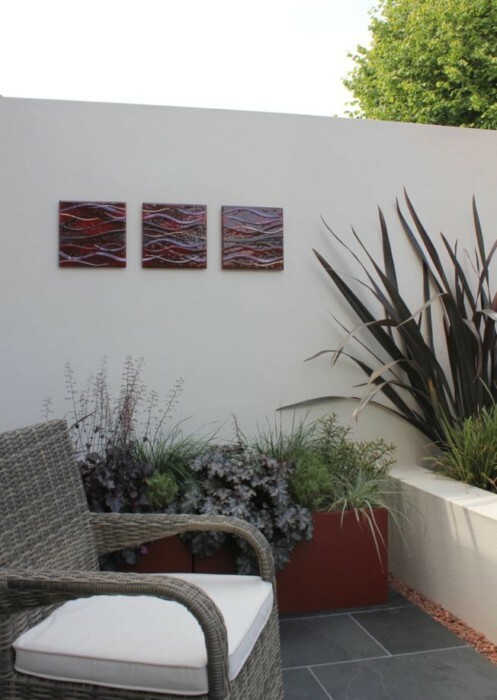 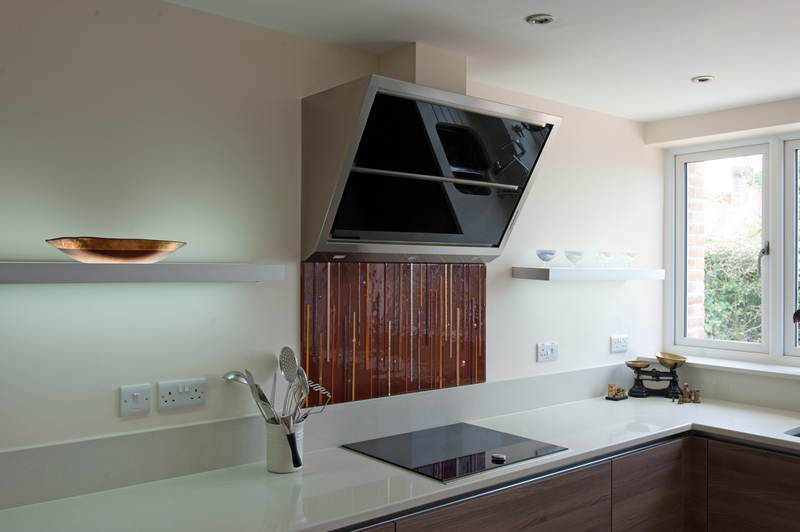 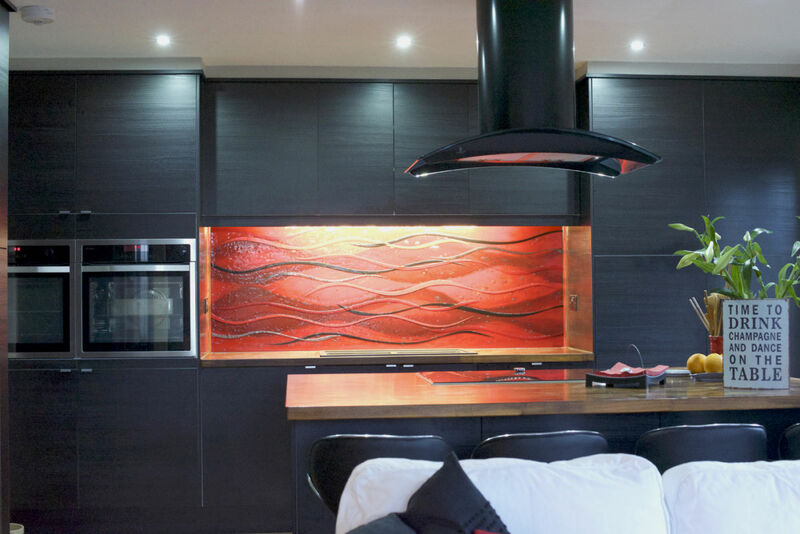 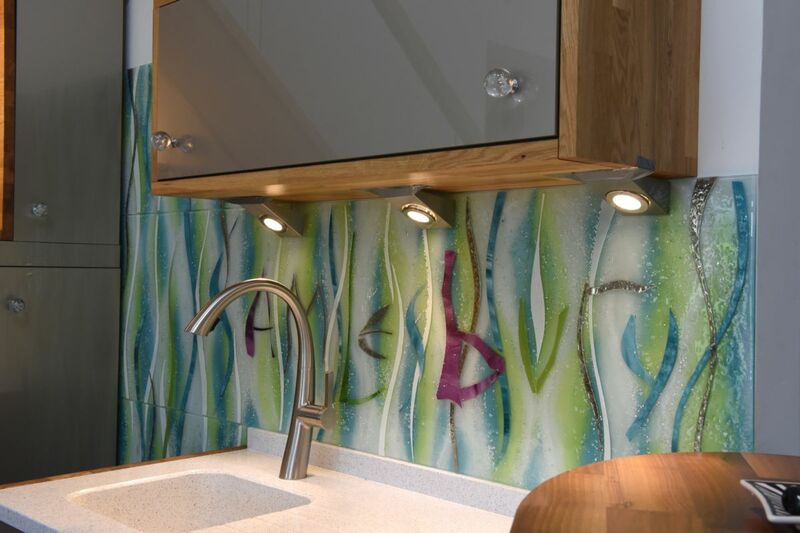 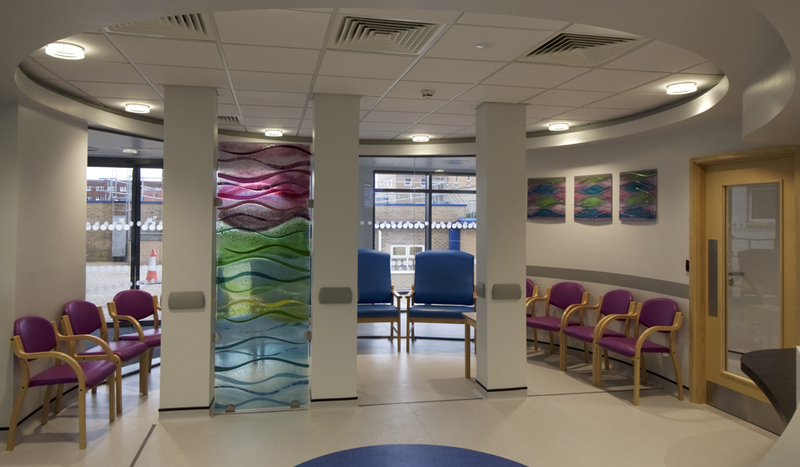 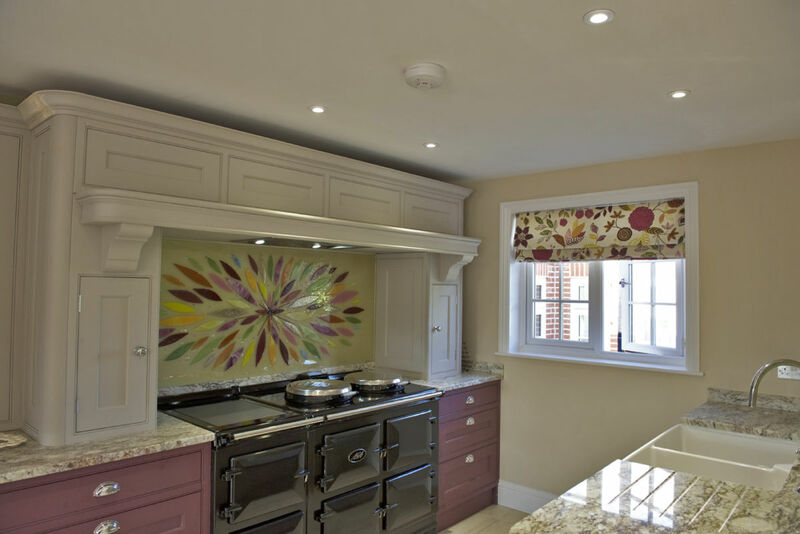 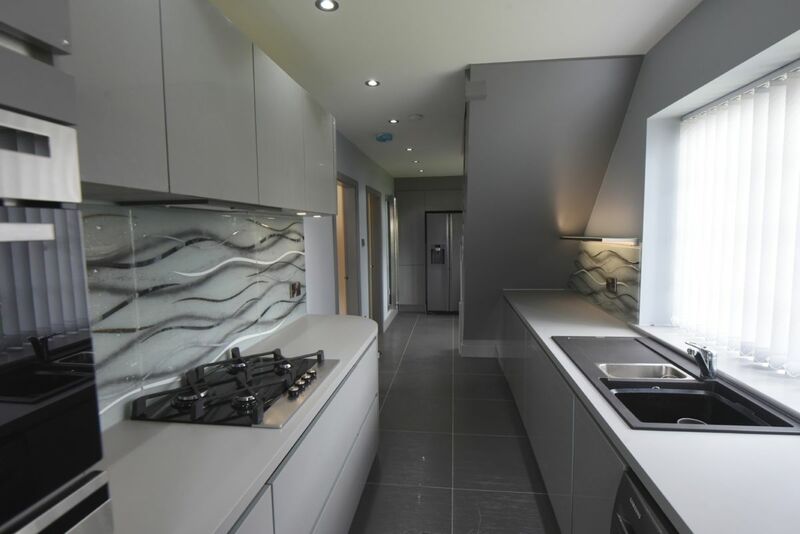 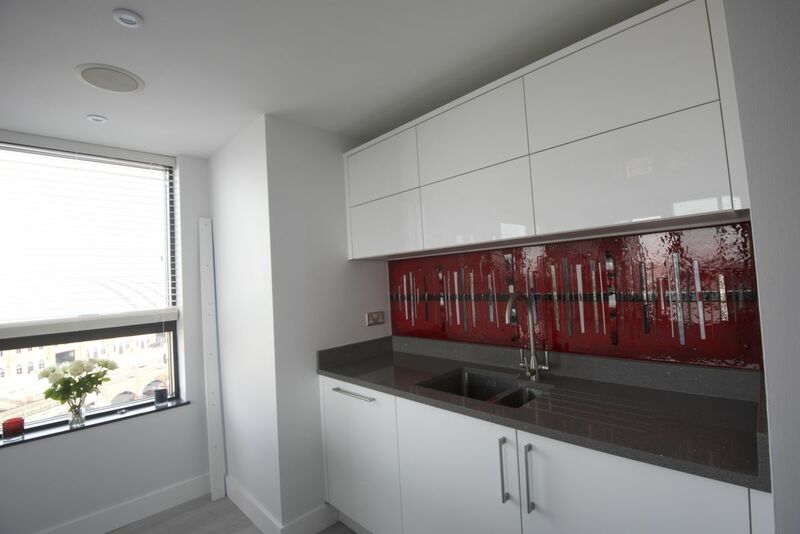 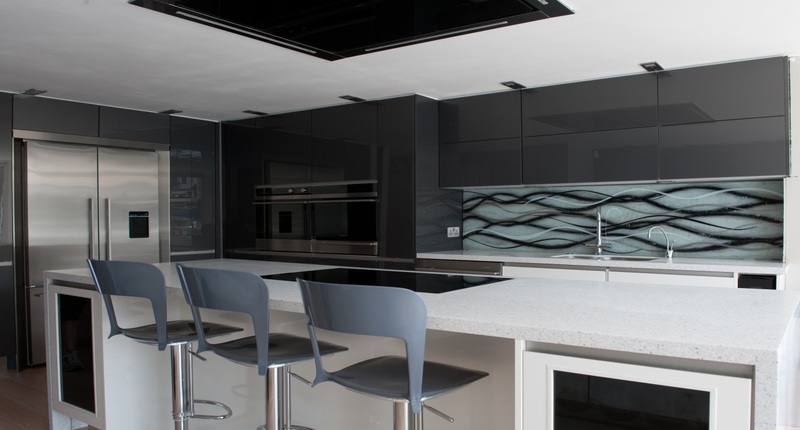 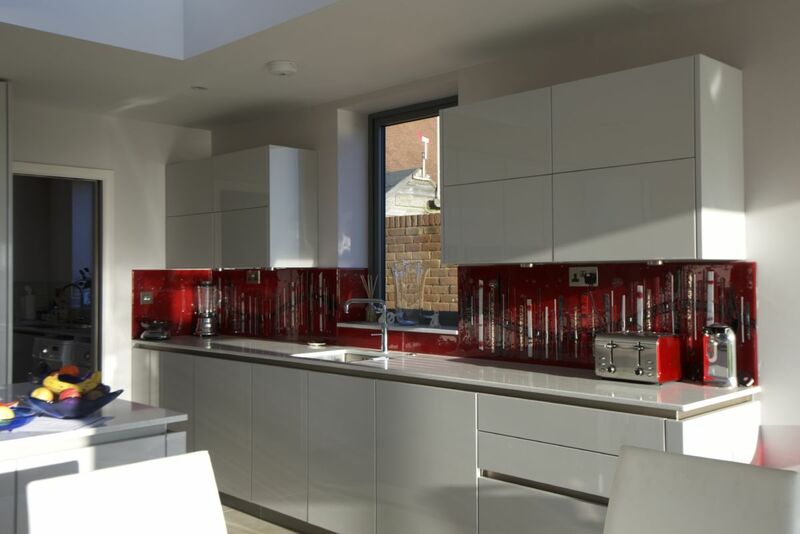 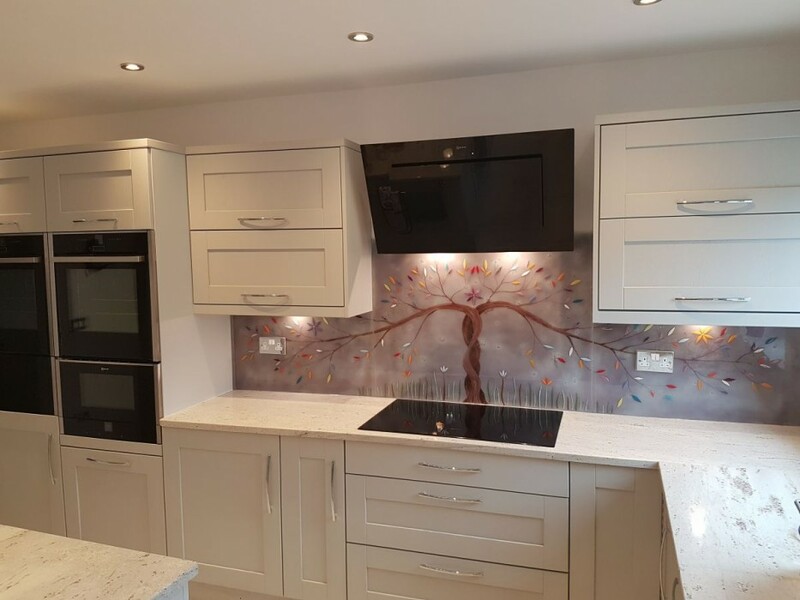 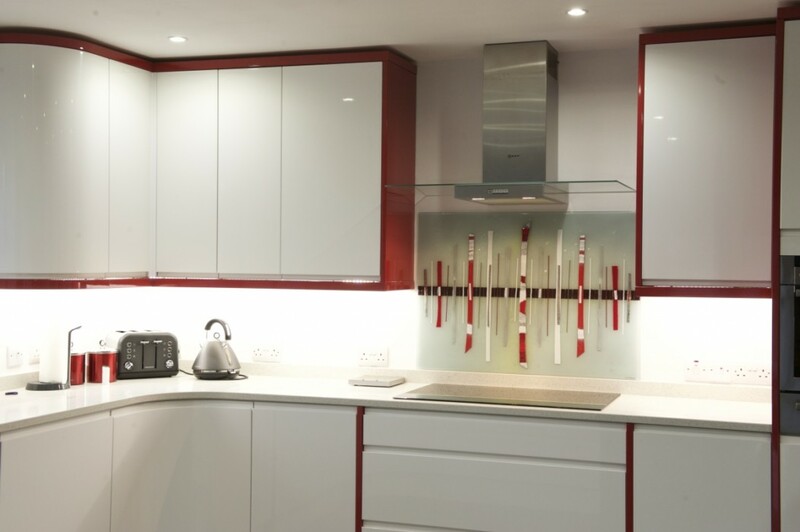 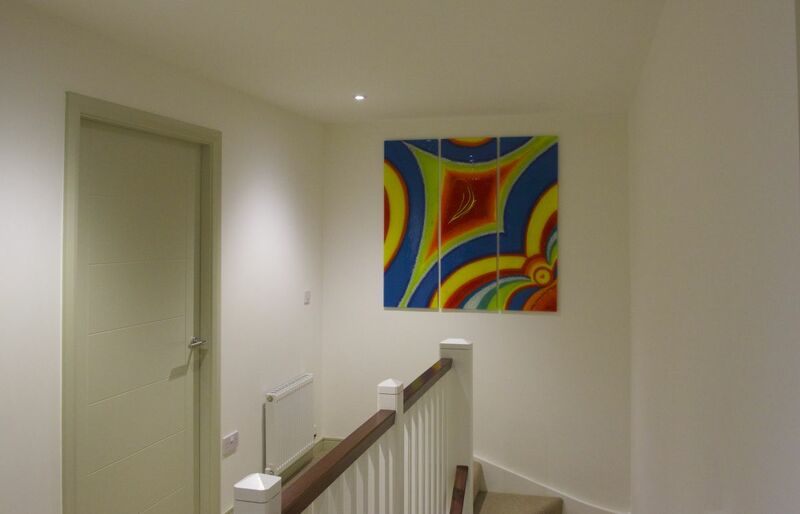 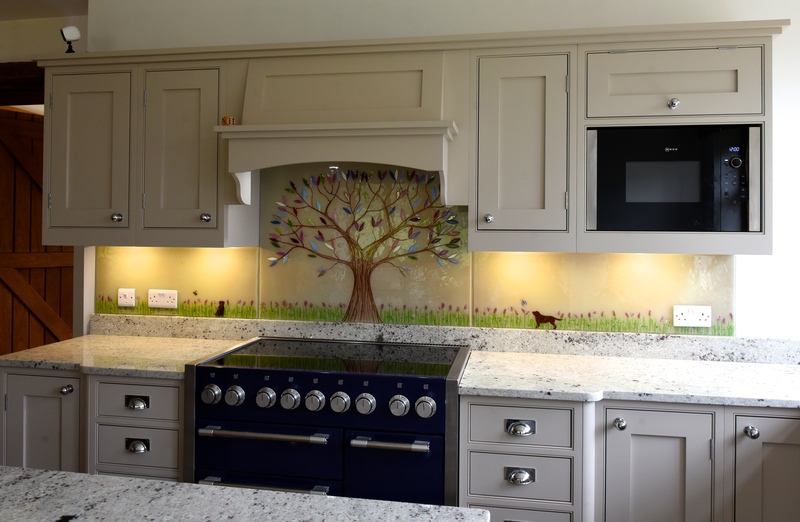 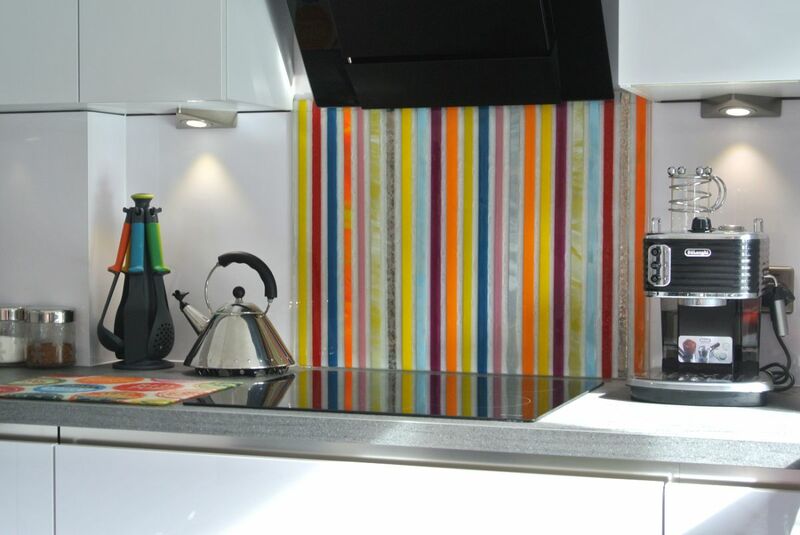 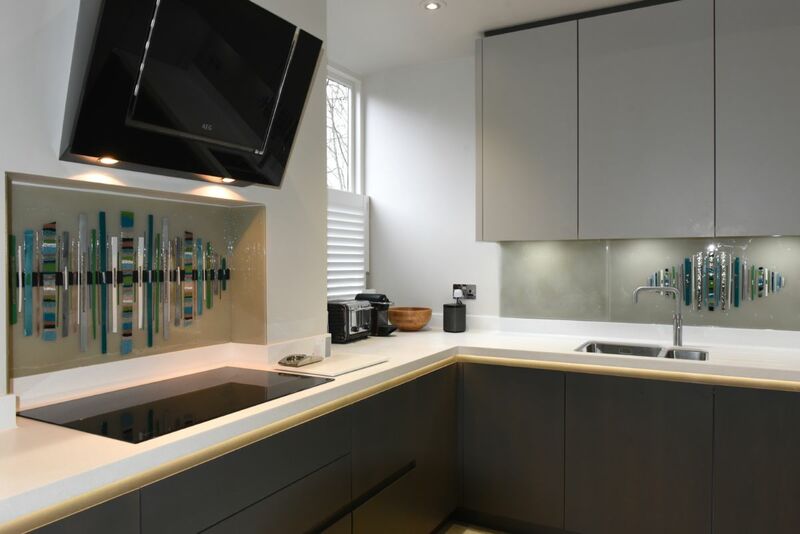 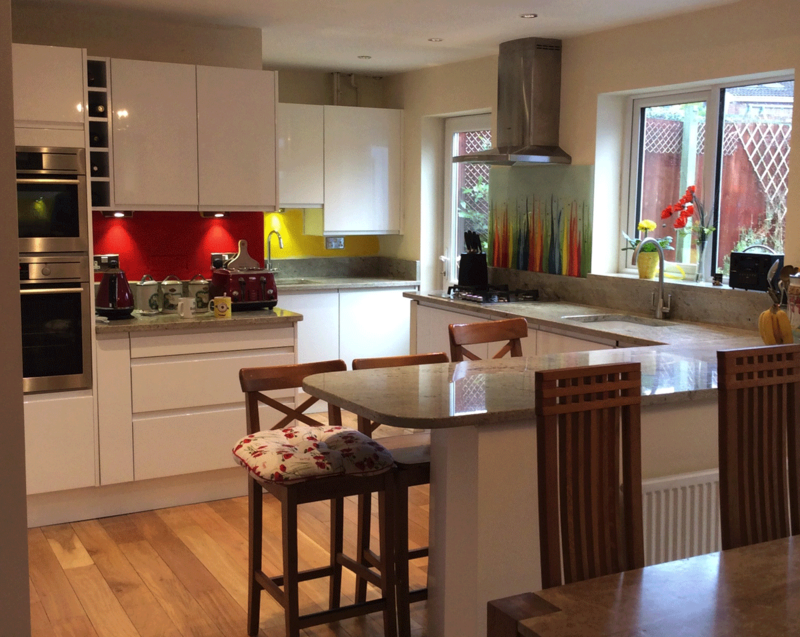 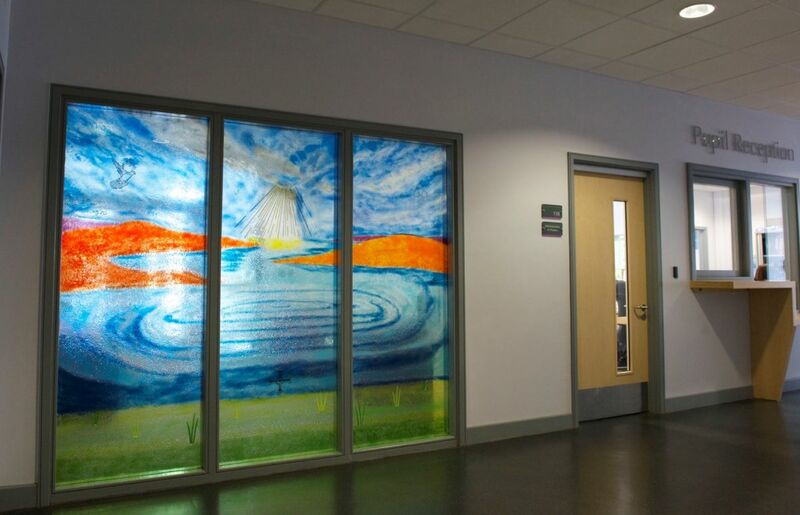 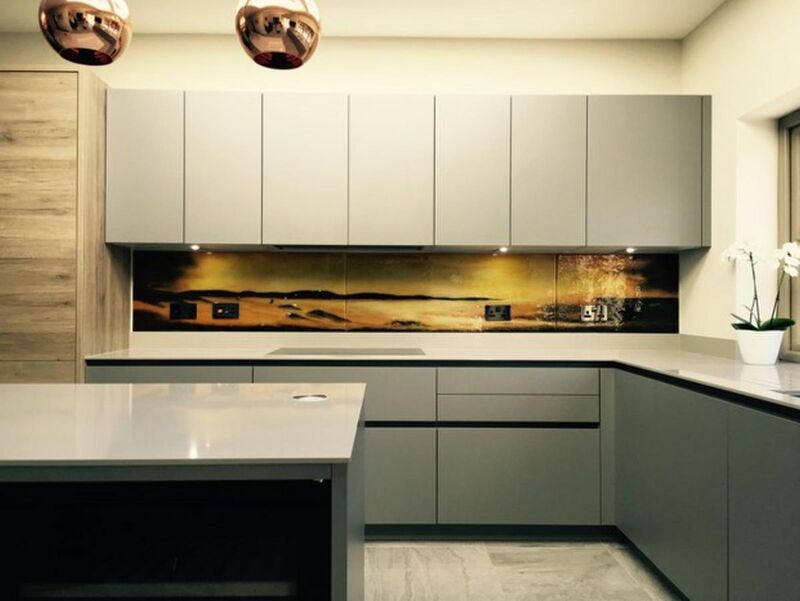 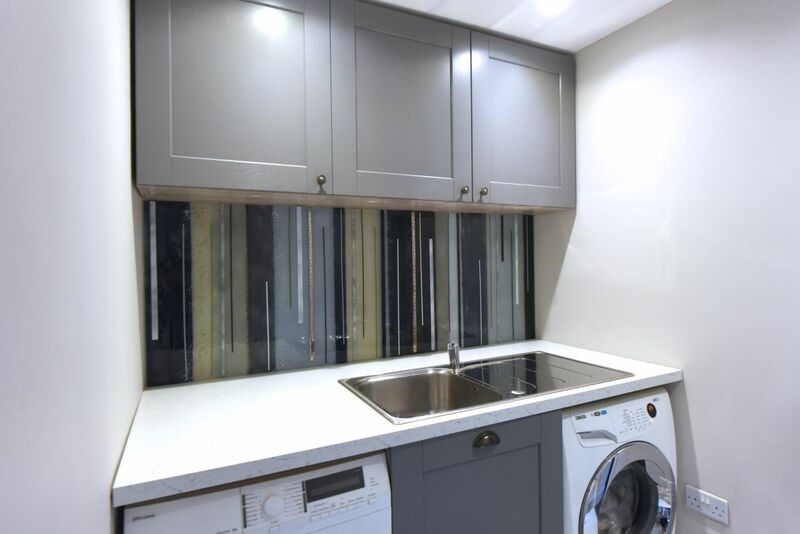 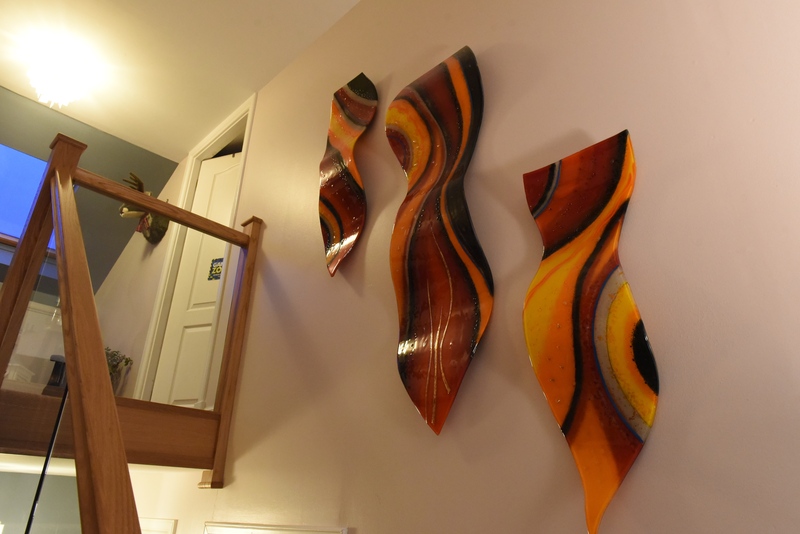 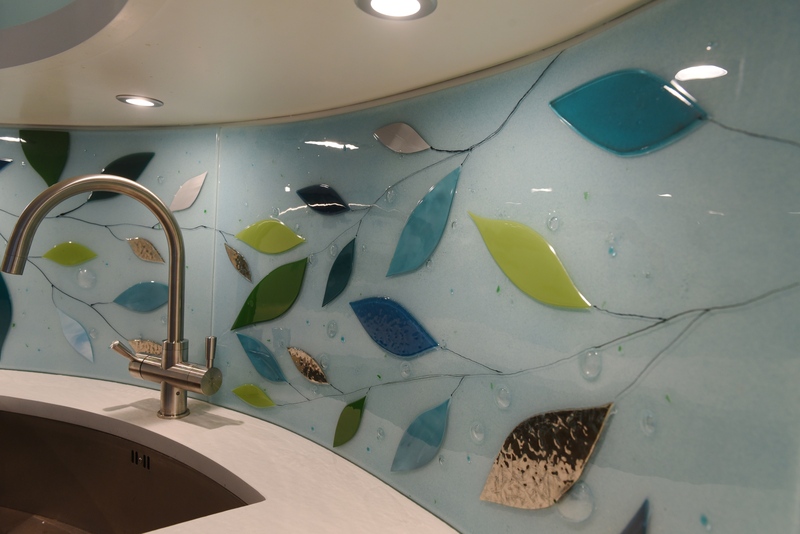 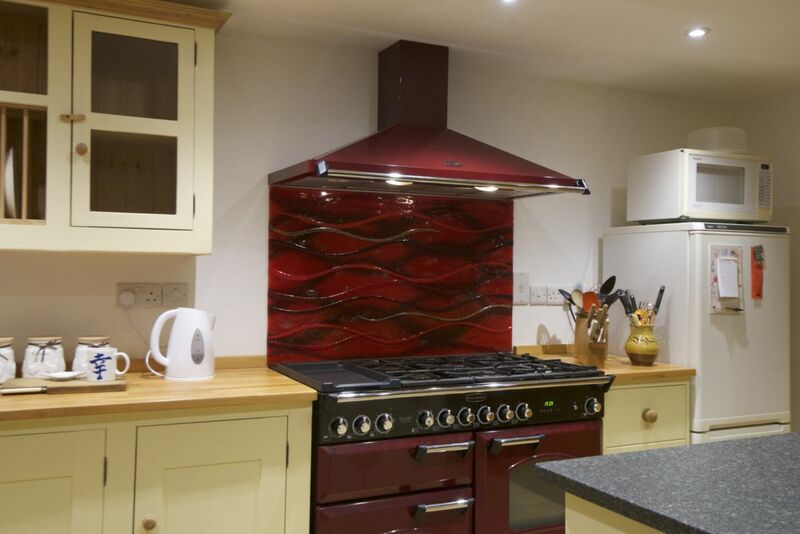 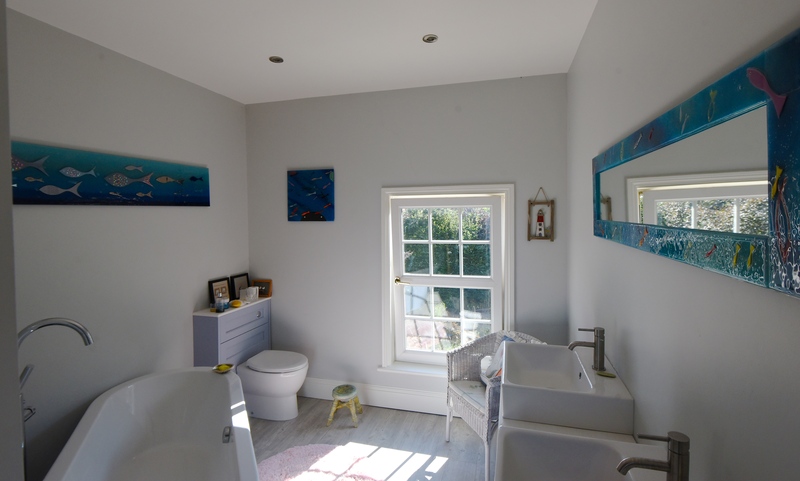 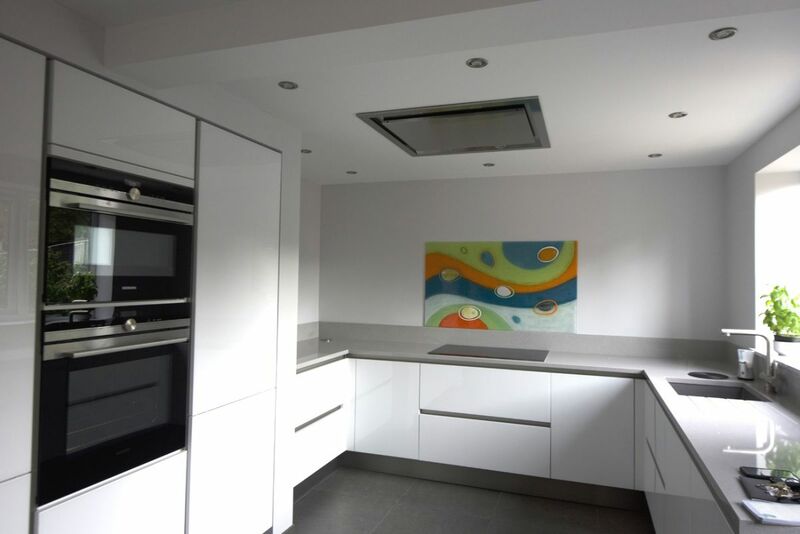 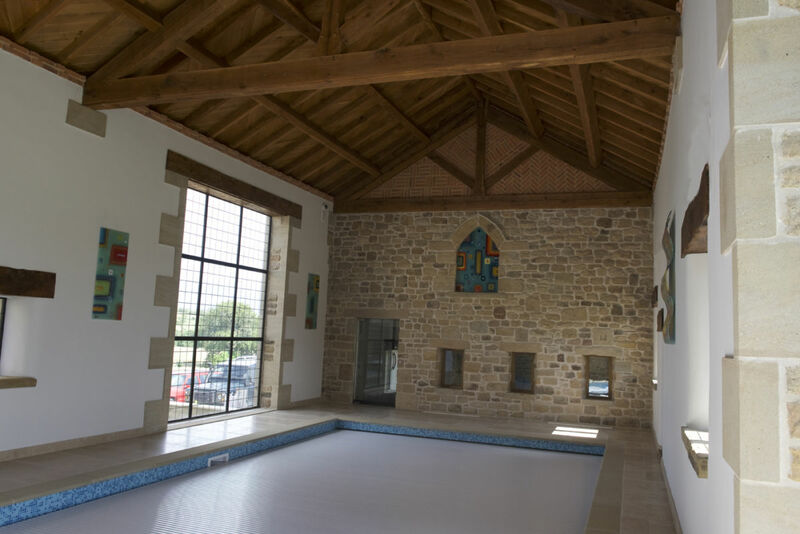 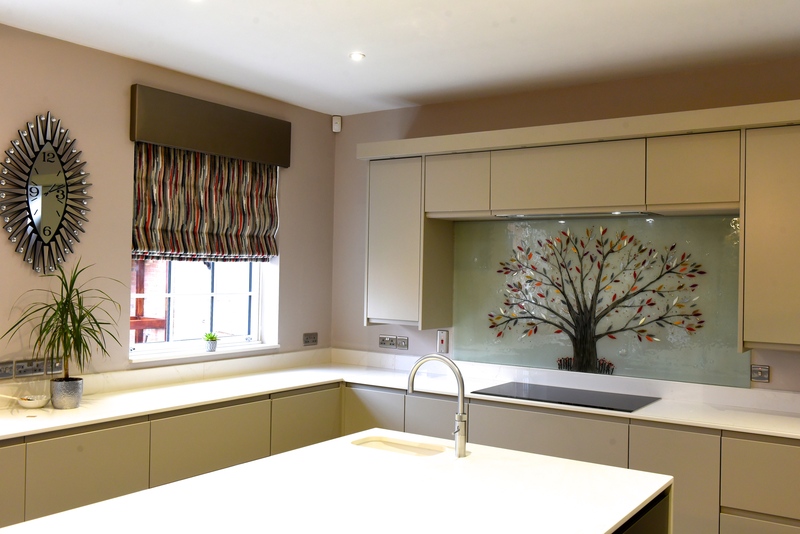 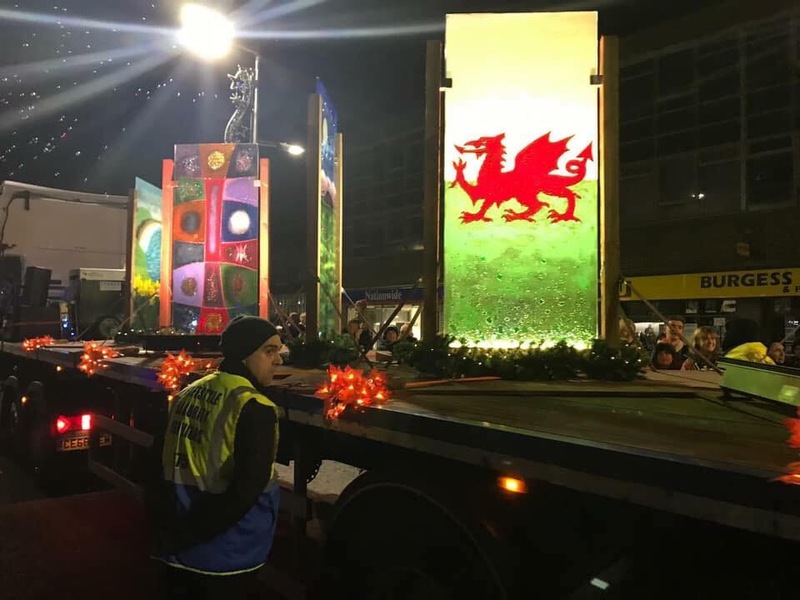 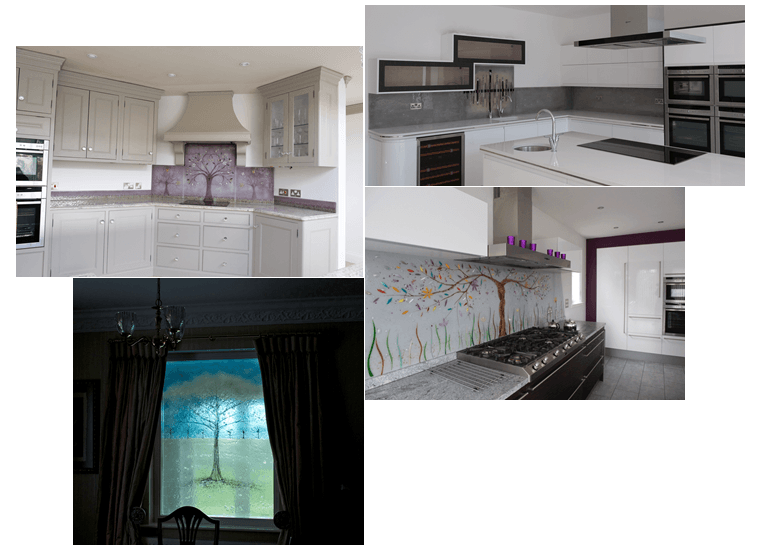 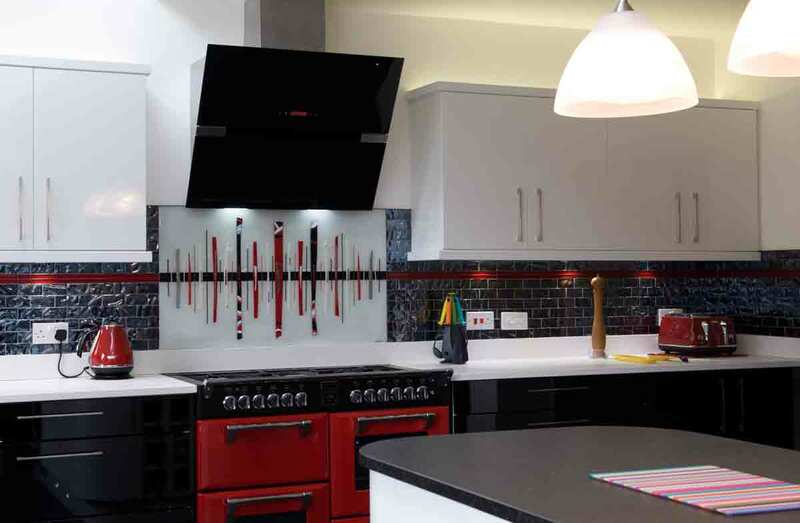 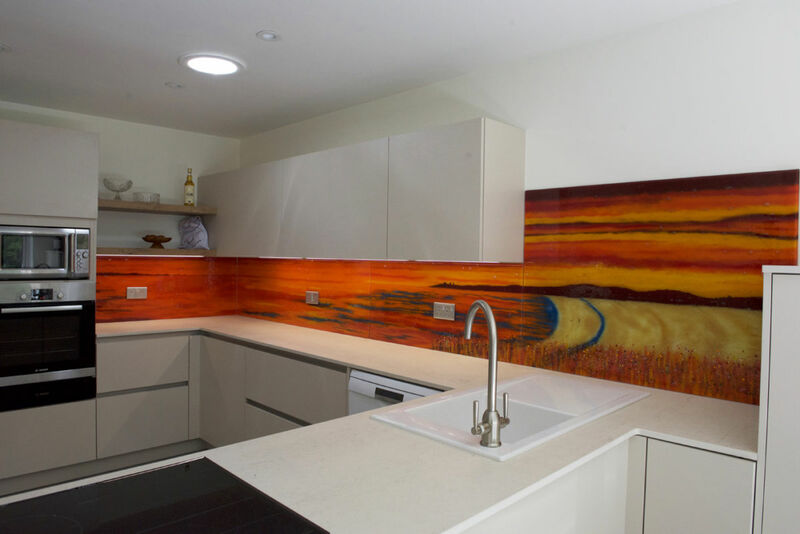 Each of the three panels features a different design, but they all utilise a wide range of exciting and vivid colours to make the wall really stand out. 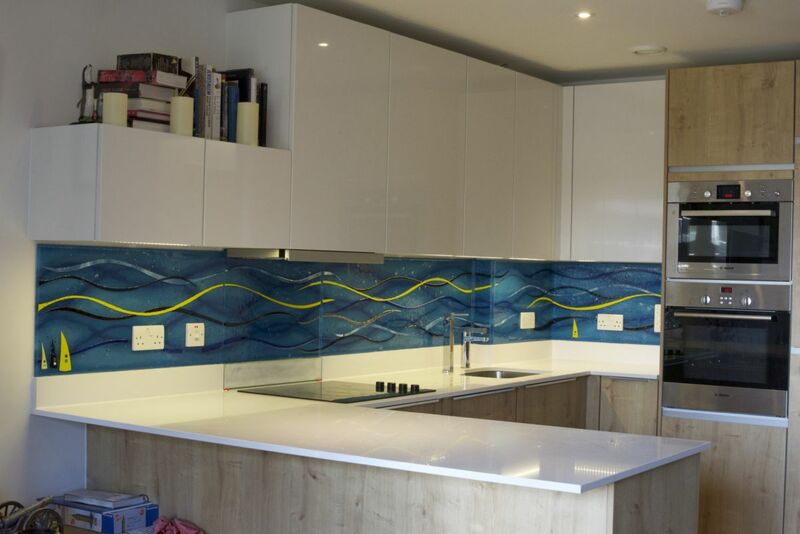 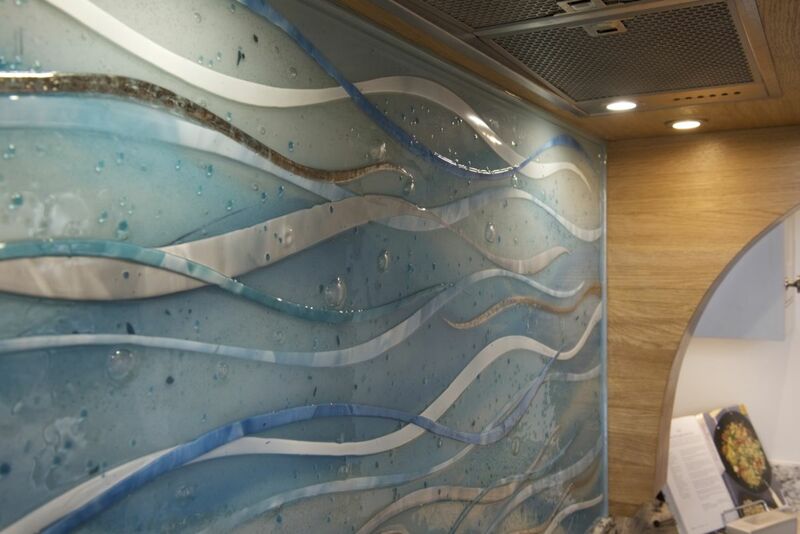 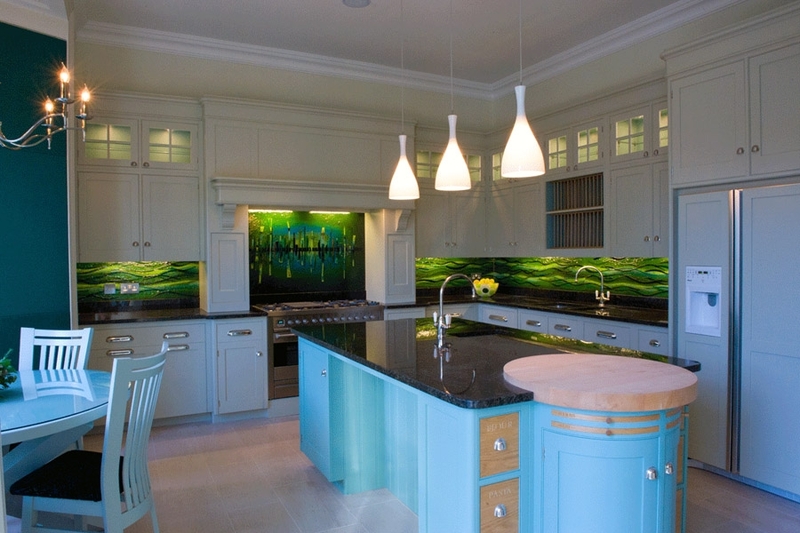 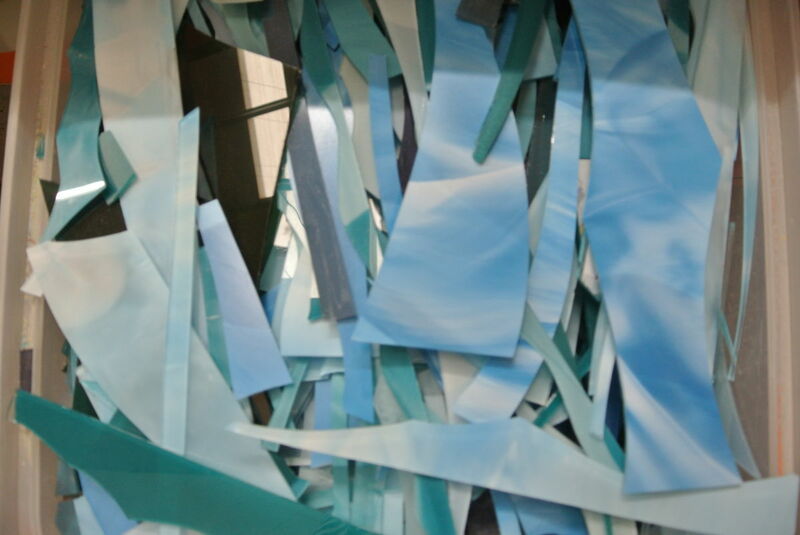 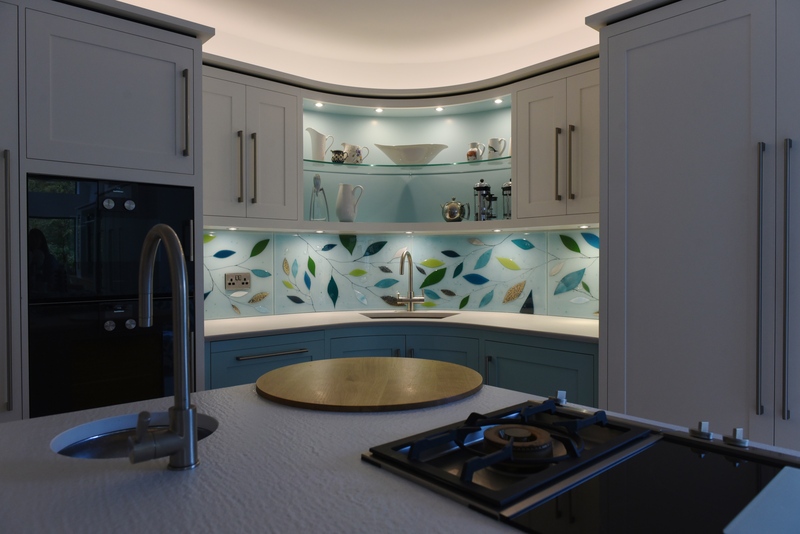 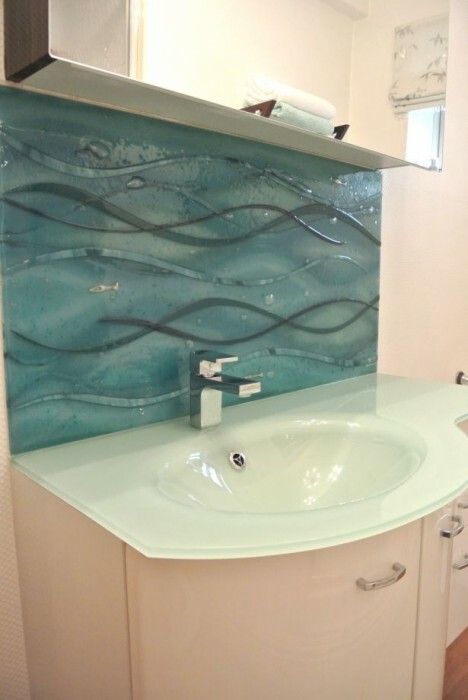 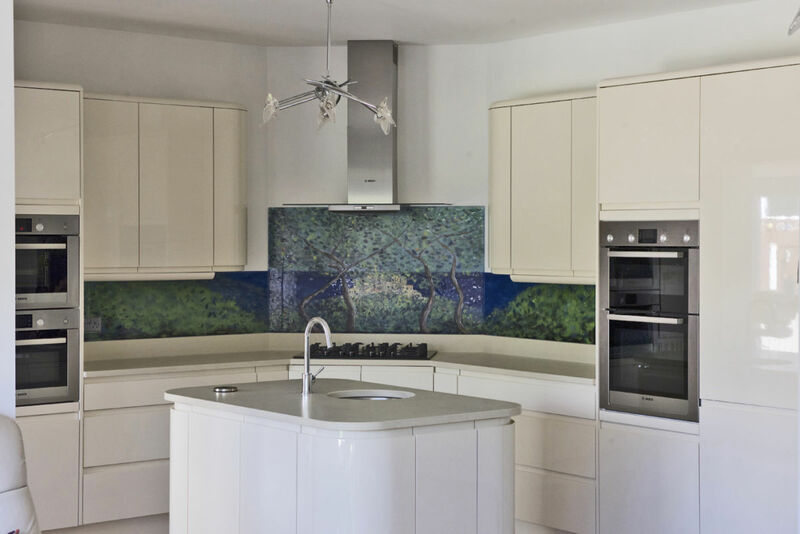 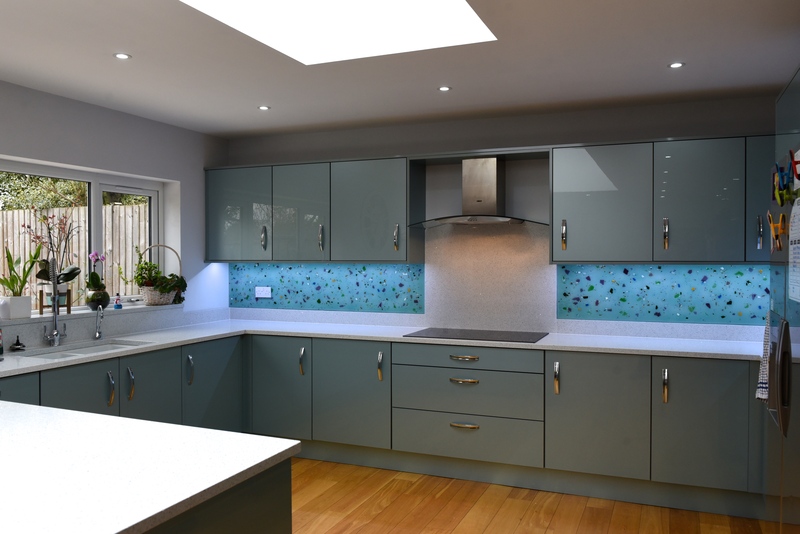 The rightmost piece is a multicolour wave with a tropical flavour, while the central panel is a gorgeously exciting Dalaman built on a soft background of turquoise. 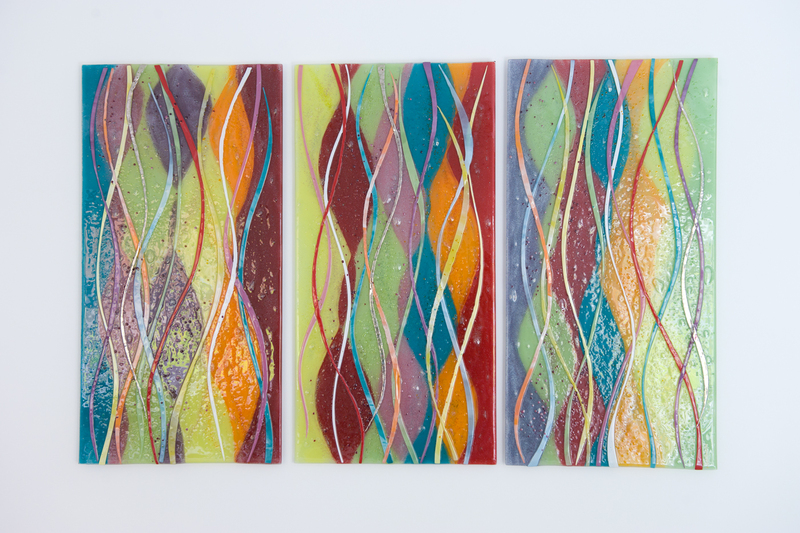 On the left, there’s a stripey piece that finishes the row of colour off in style. 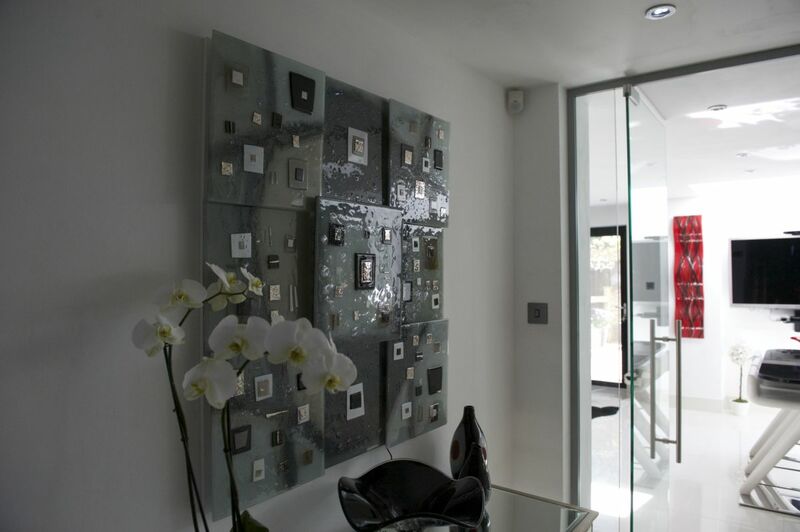 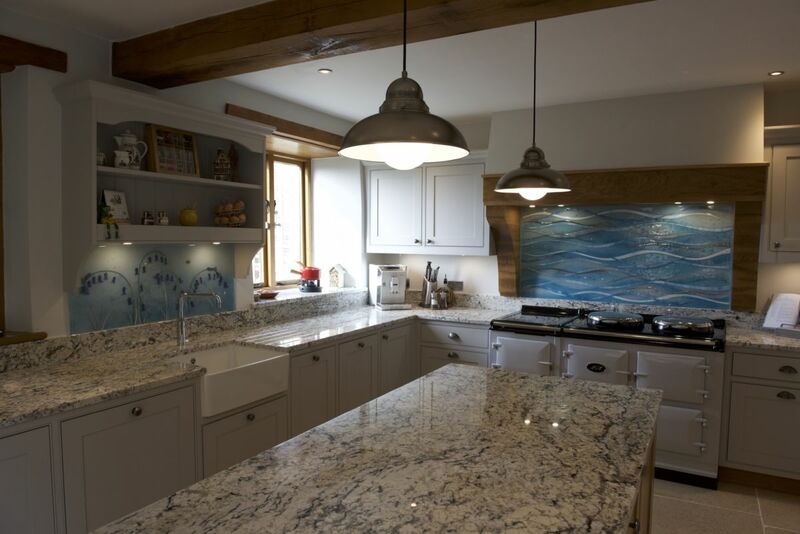 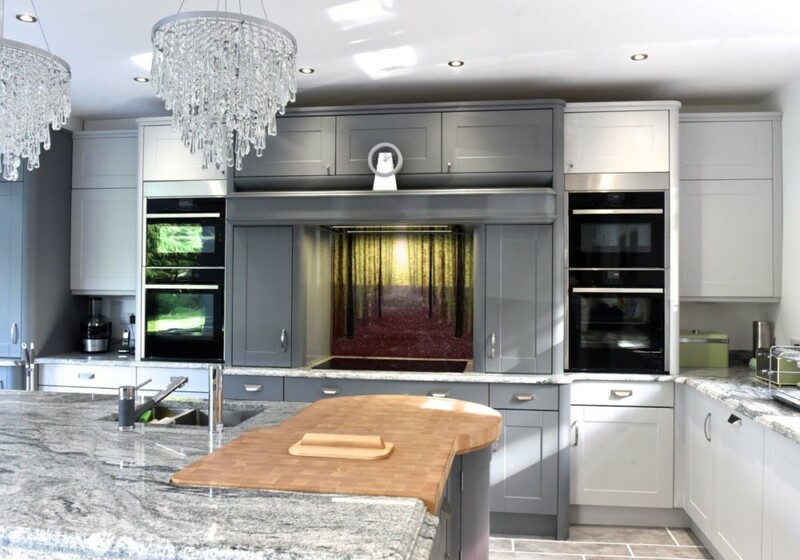 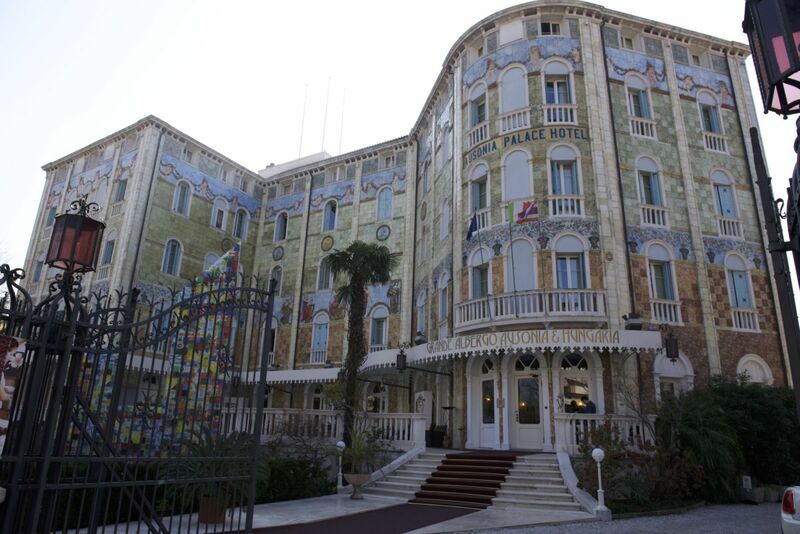 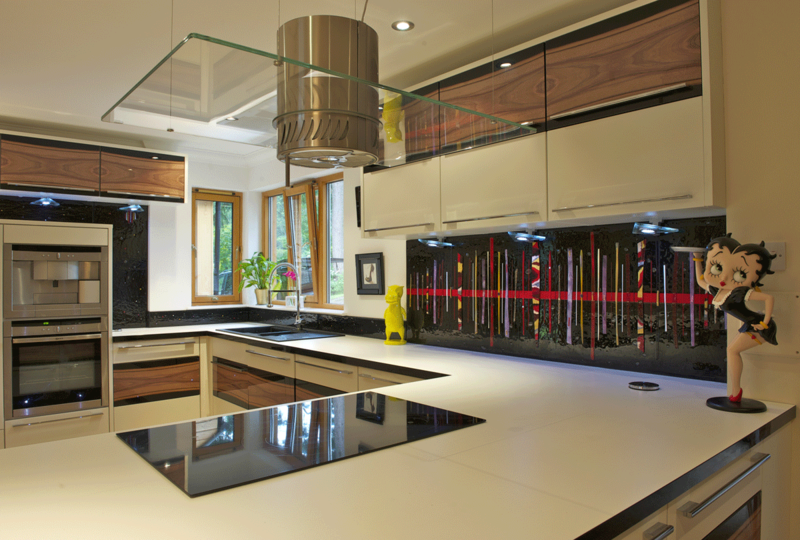 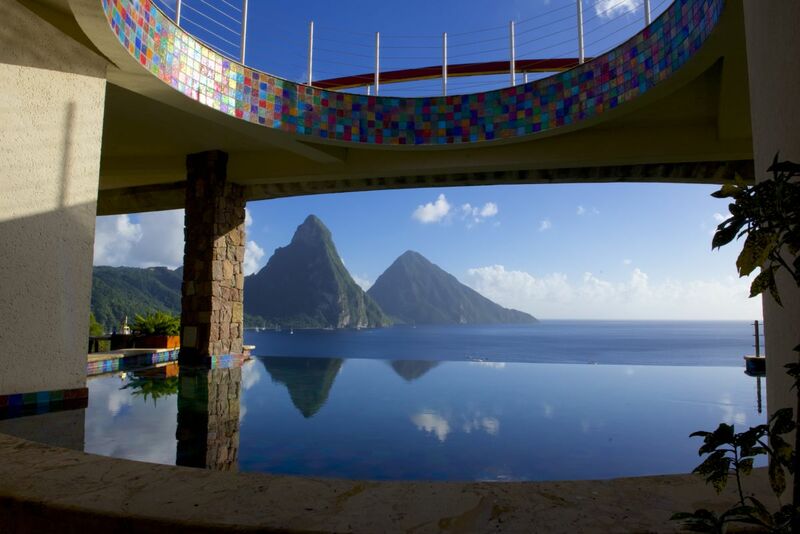 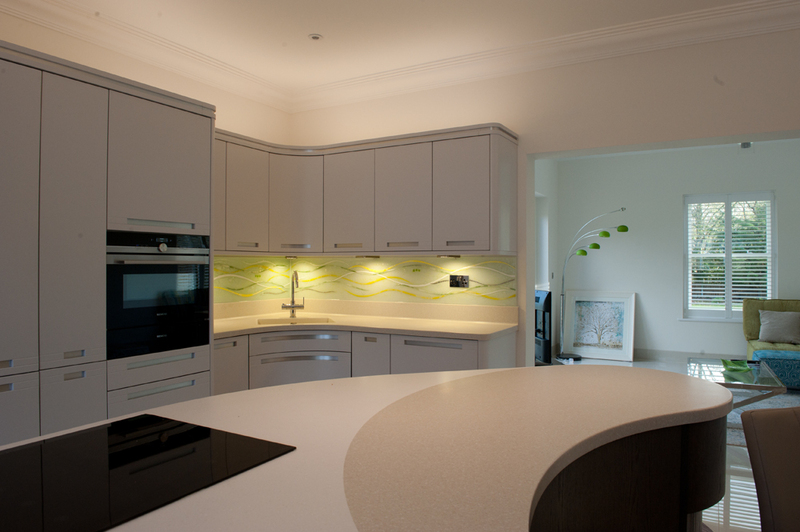 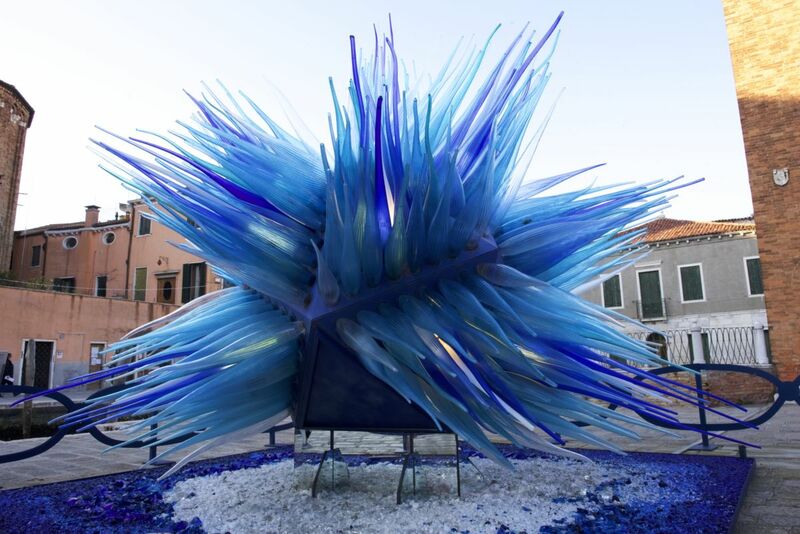 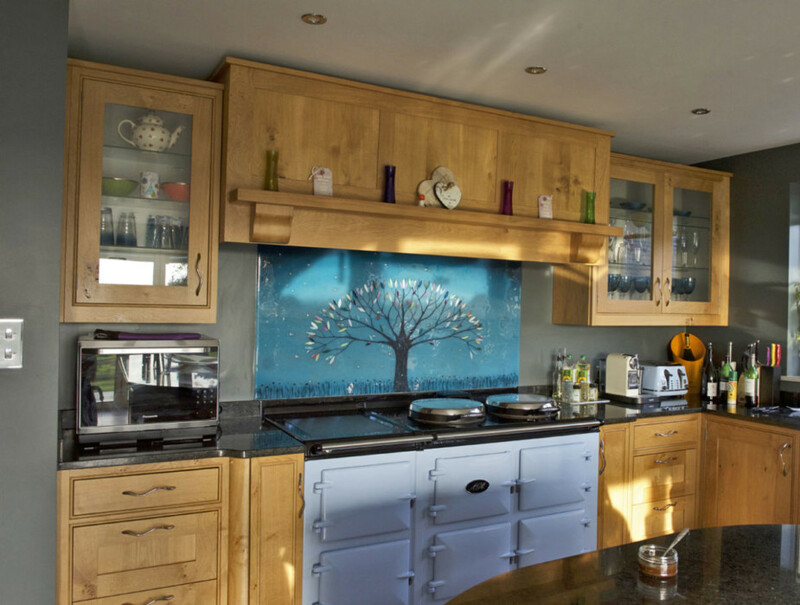 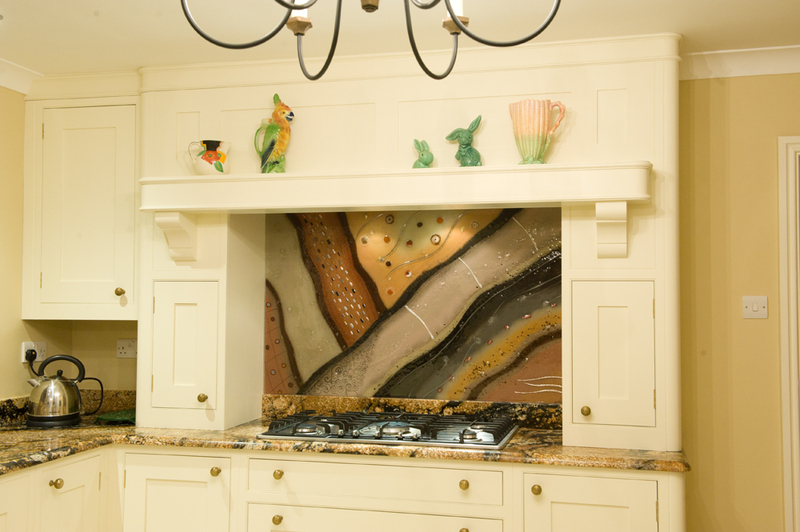 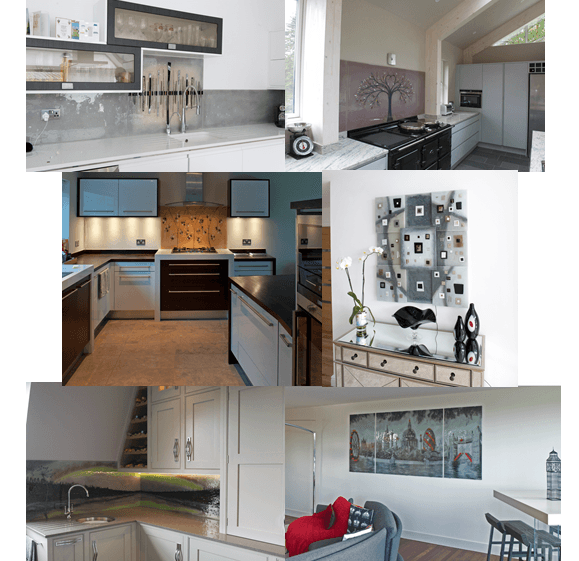 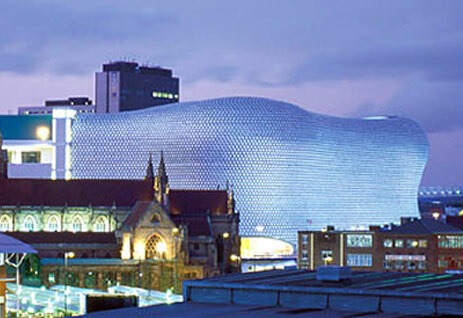 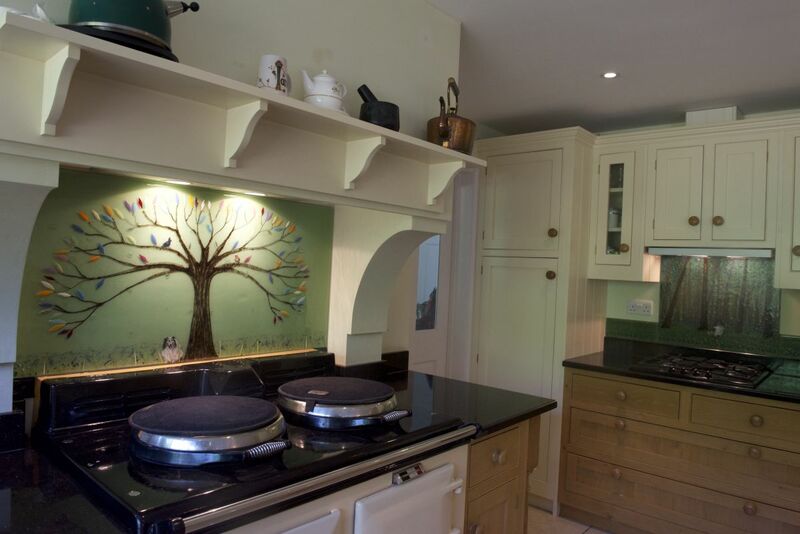 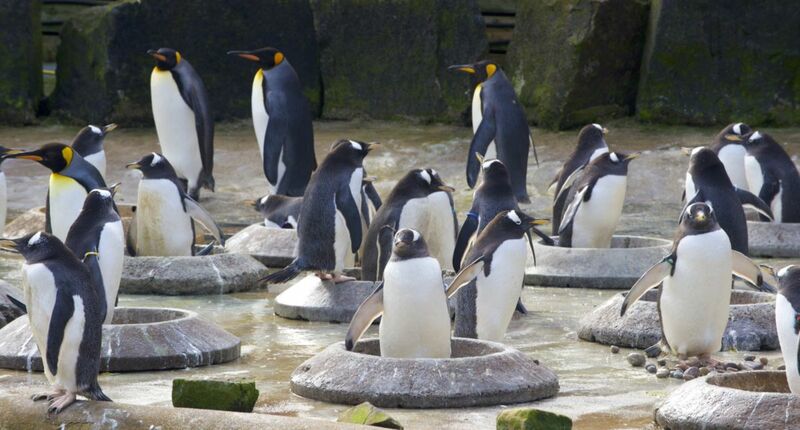 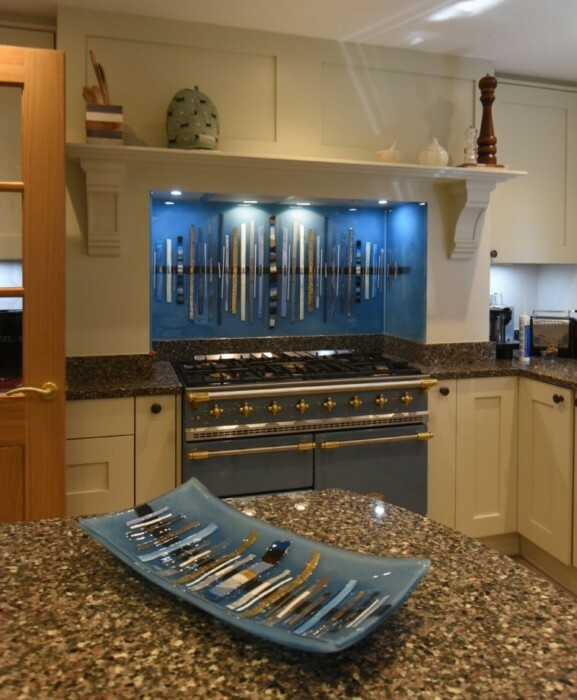 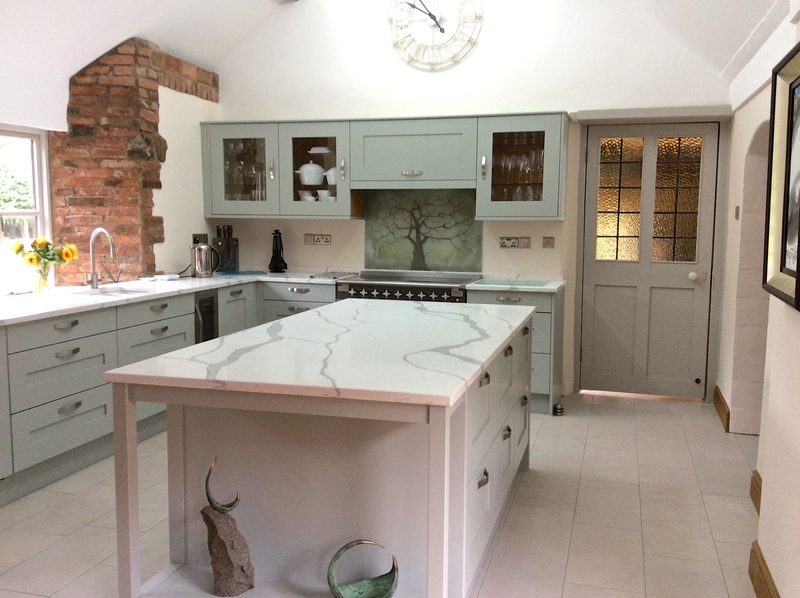 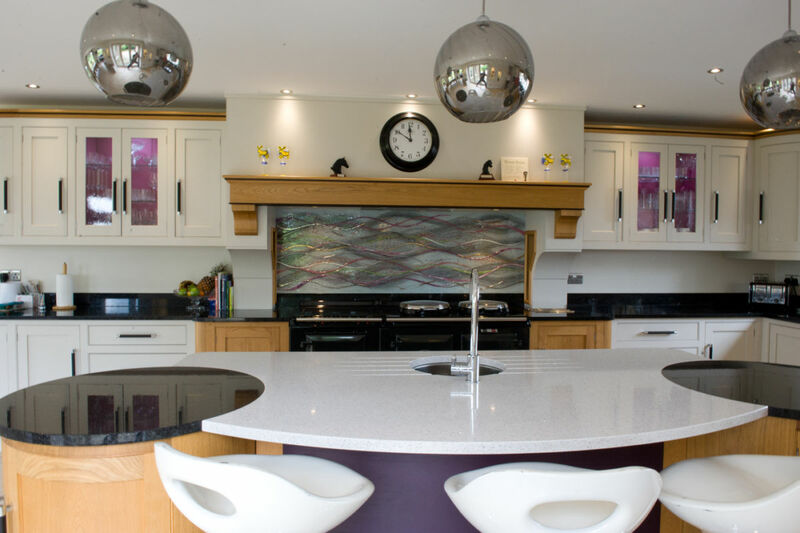 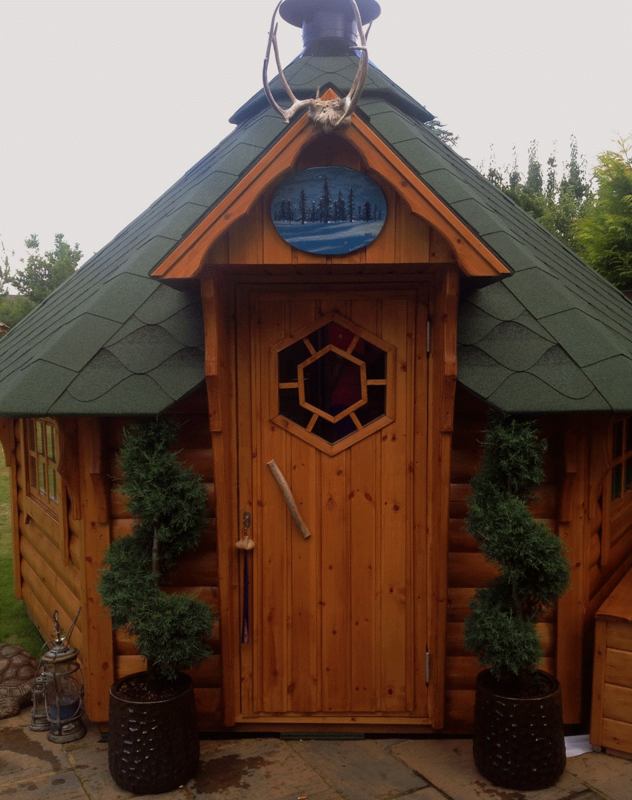 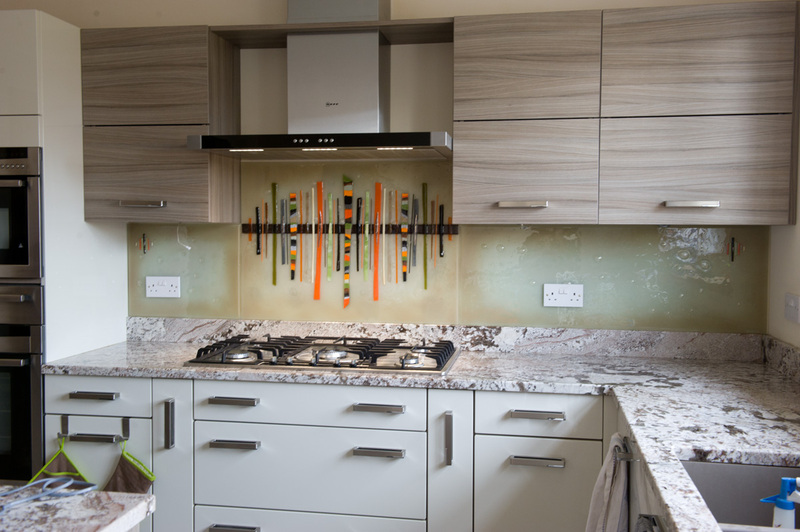 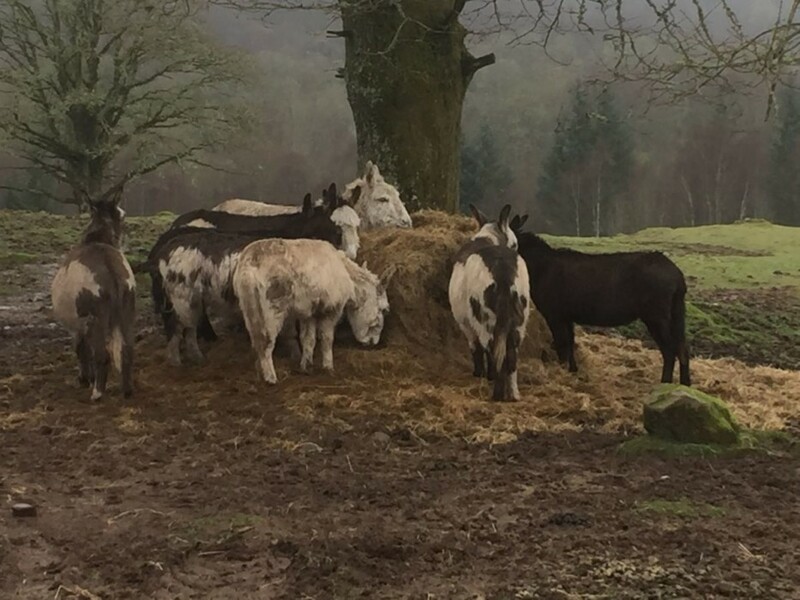 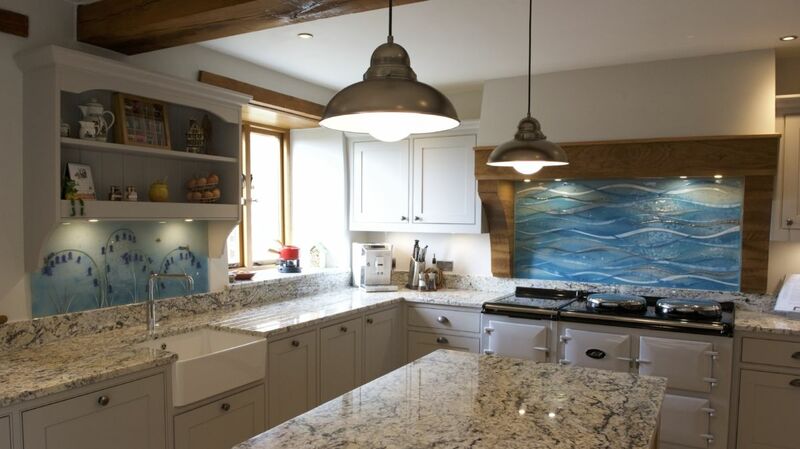 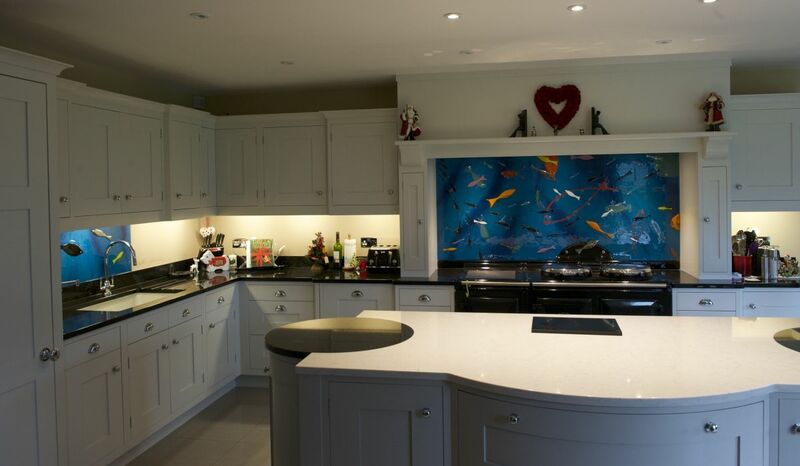 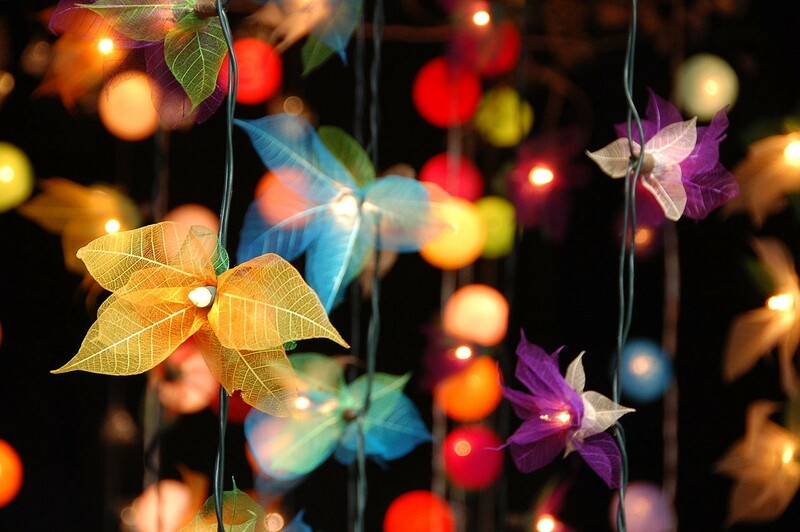 Its a wonderful display that showcases variety and aesthetic in equal measure. 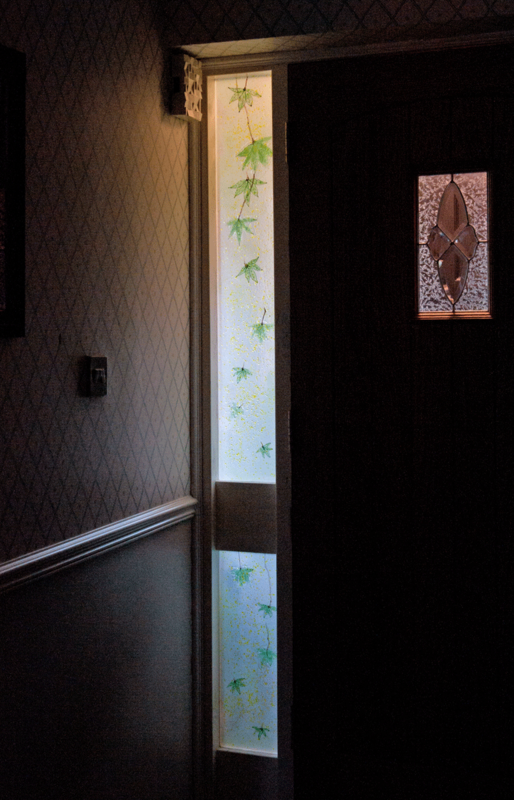 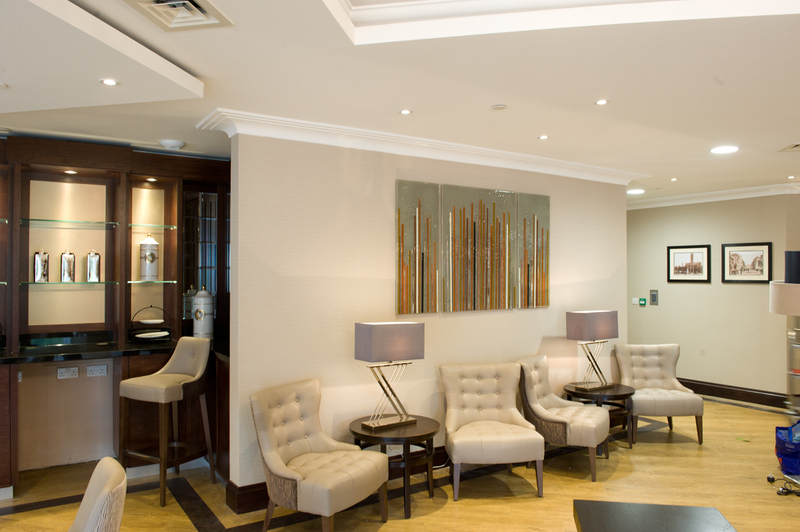 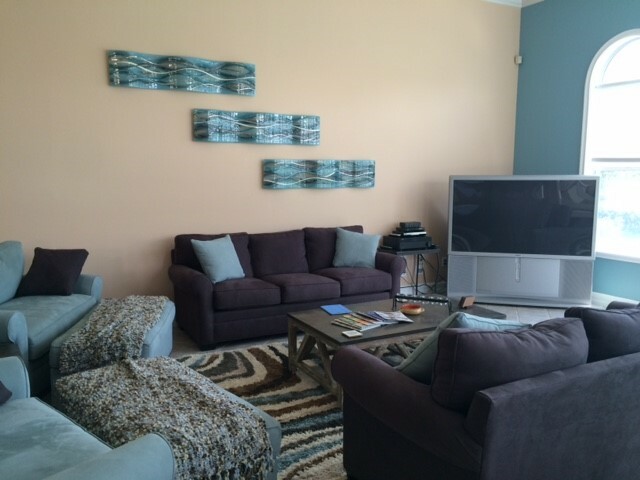 We’re sure that when guests come into the room, there’ll definitely always be something to talk about! 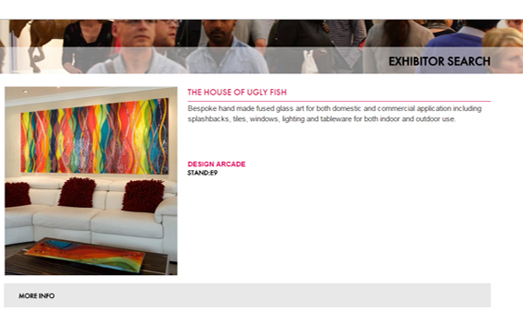 Here at The House of Ugly Fish, beauty is just waiting to find a place in your home. 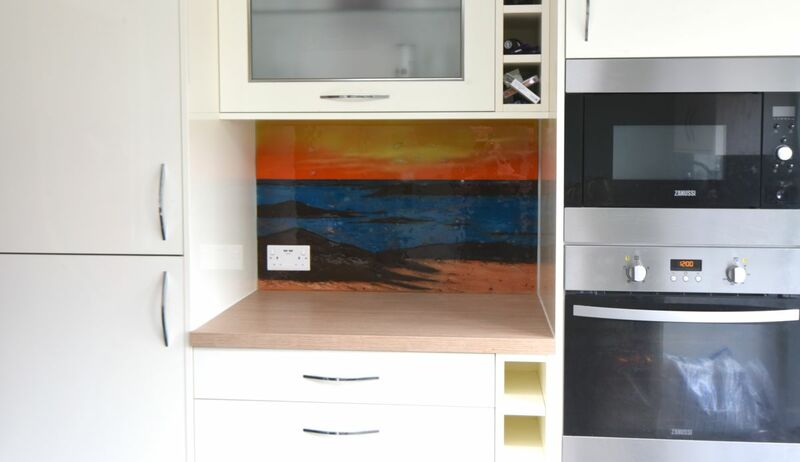 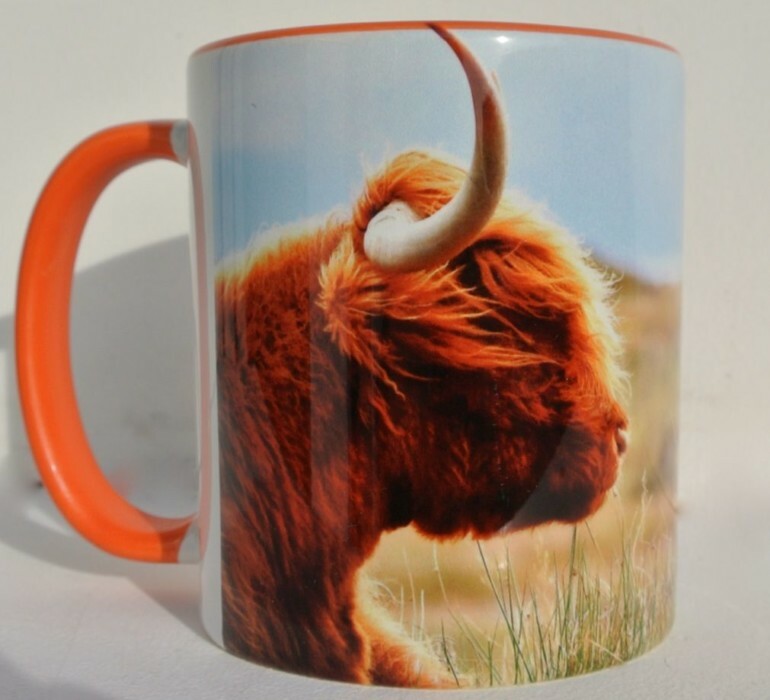 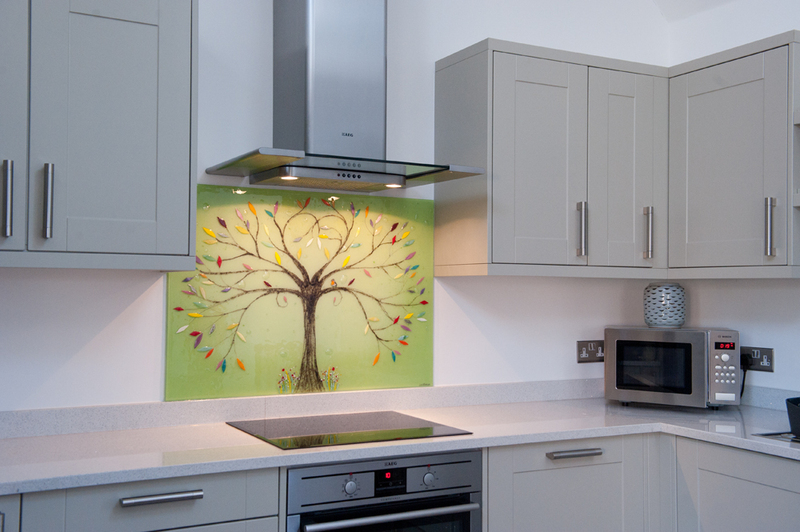 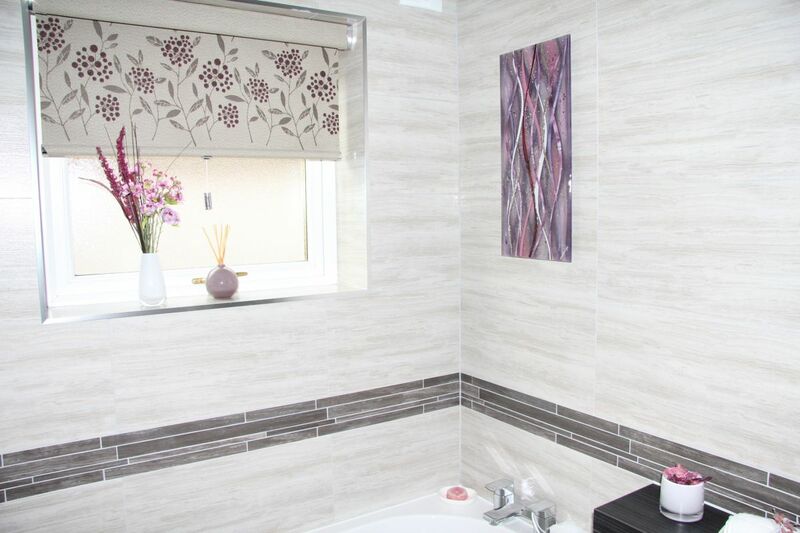 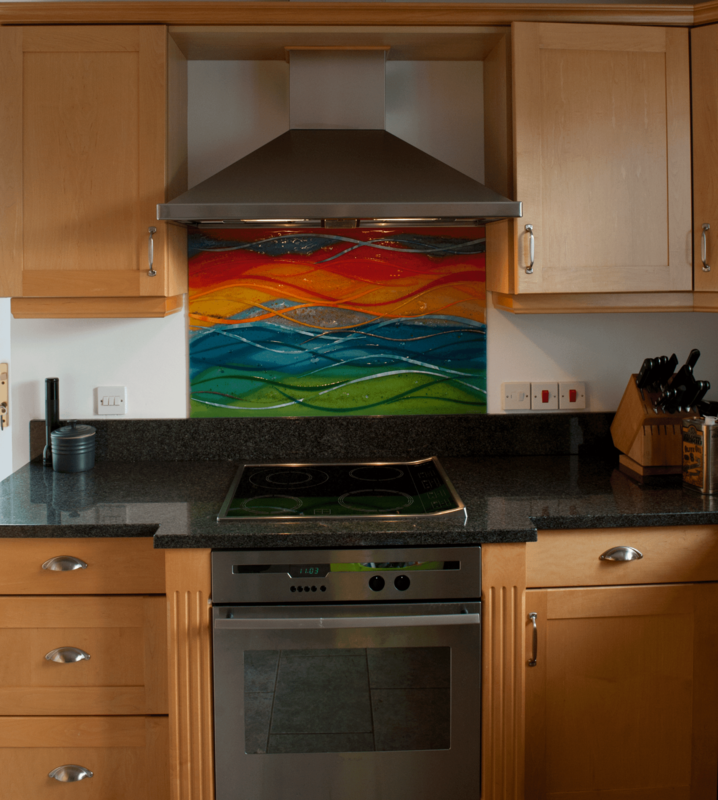 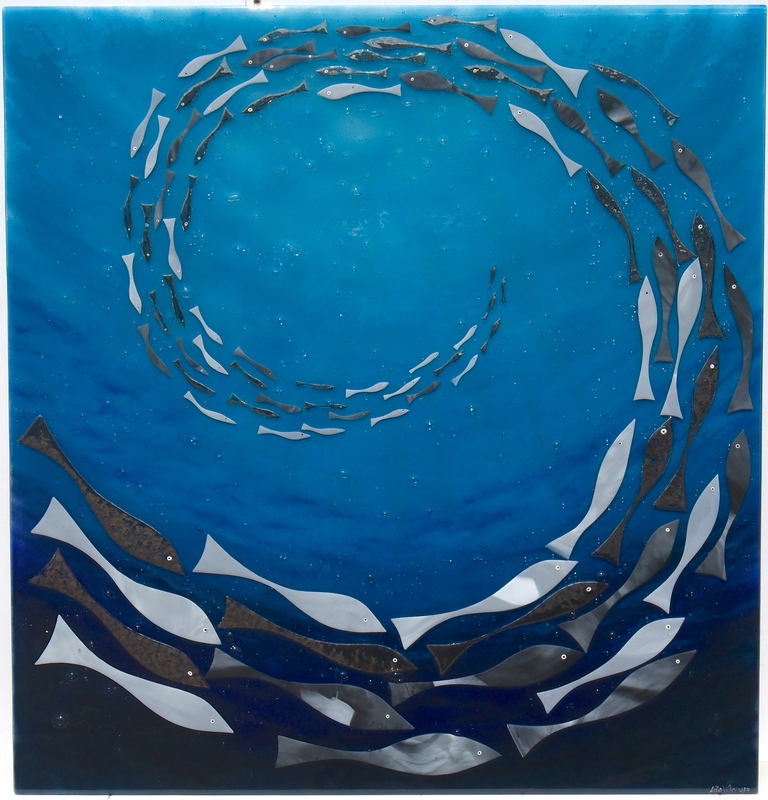 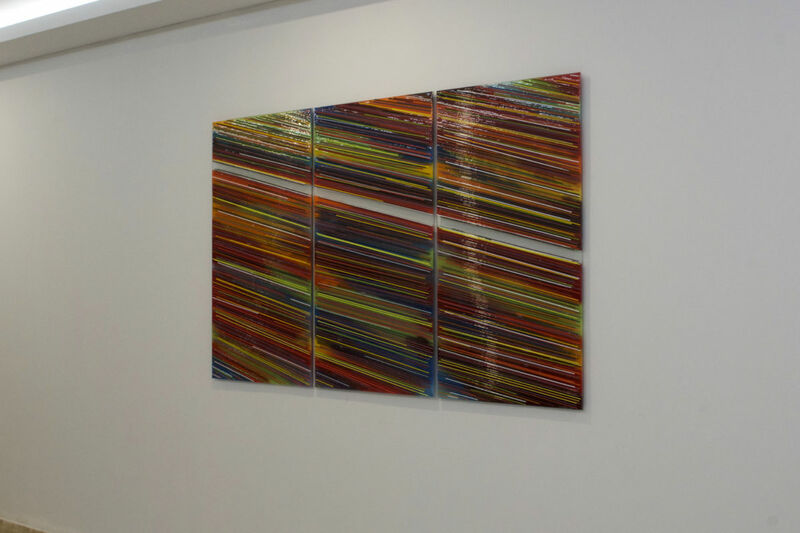 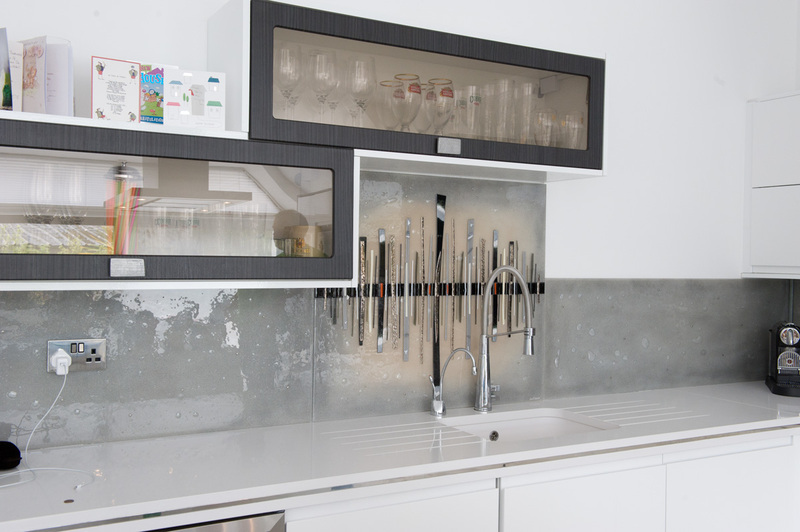 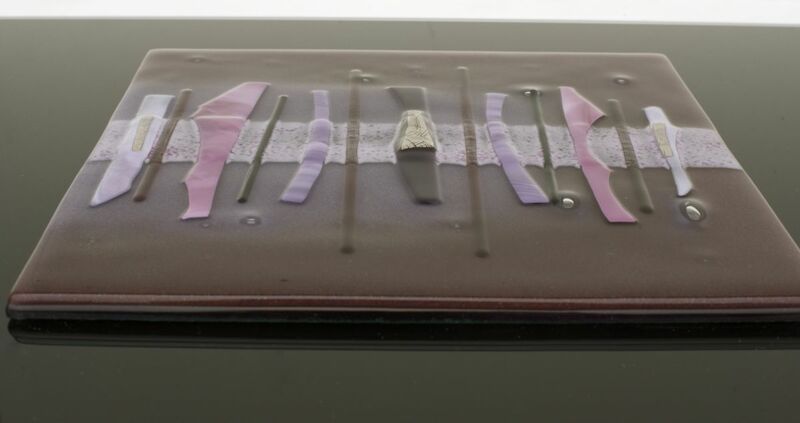 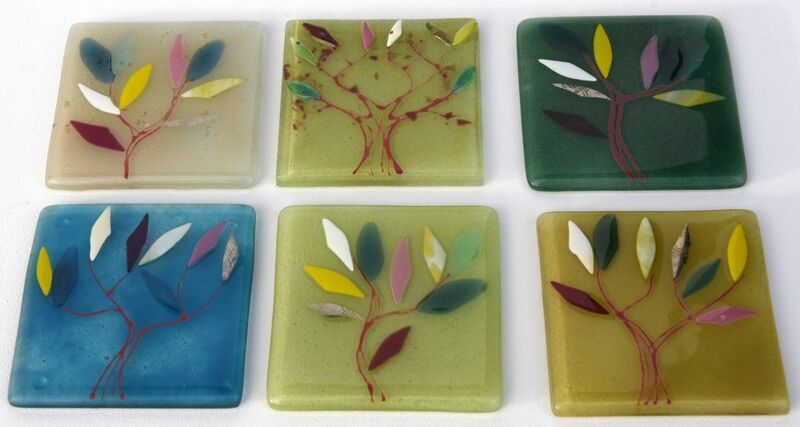 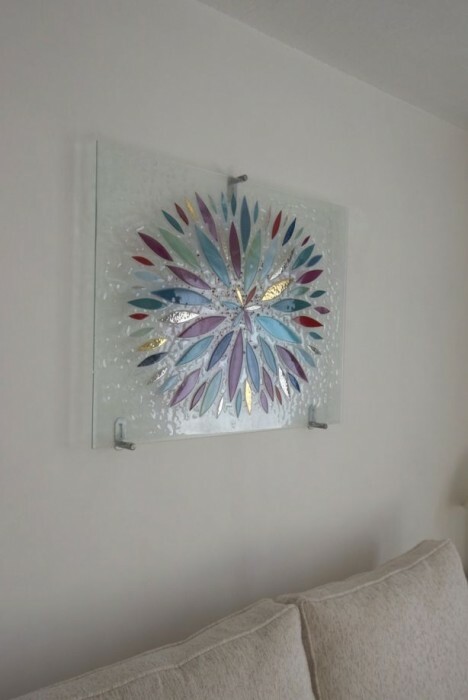 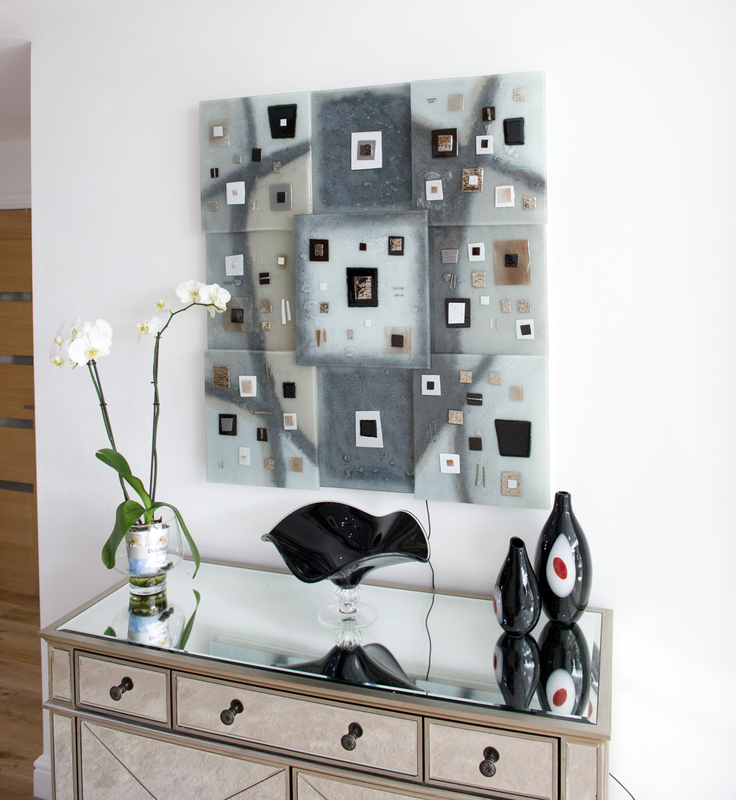 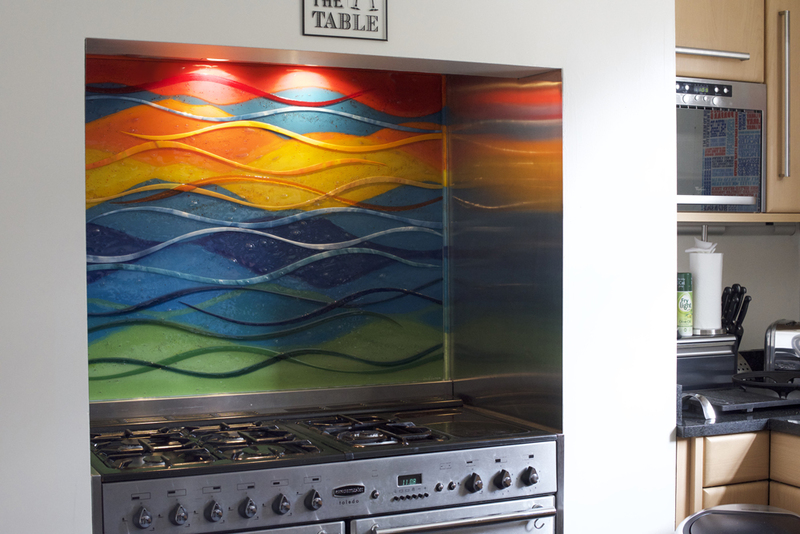 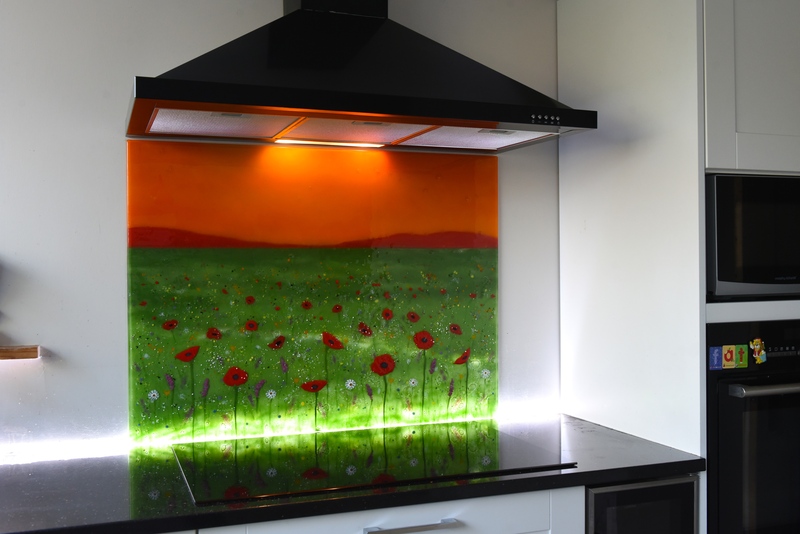 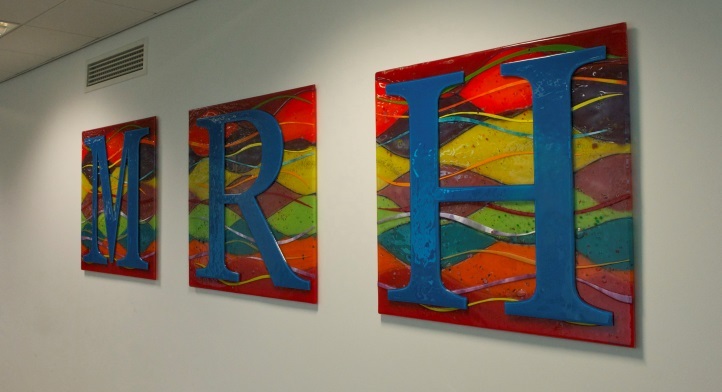 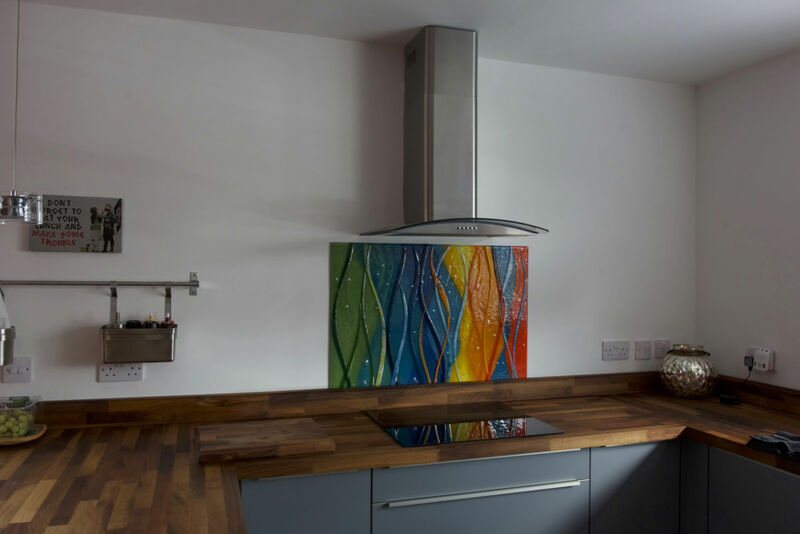 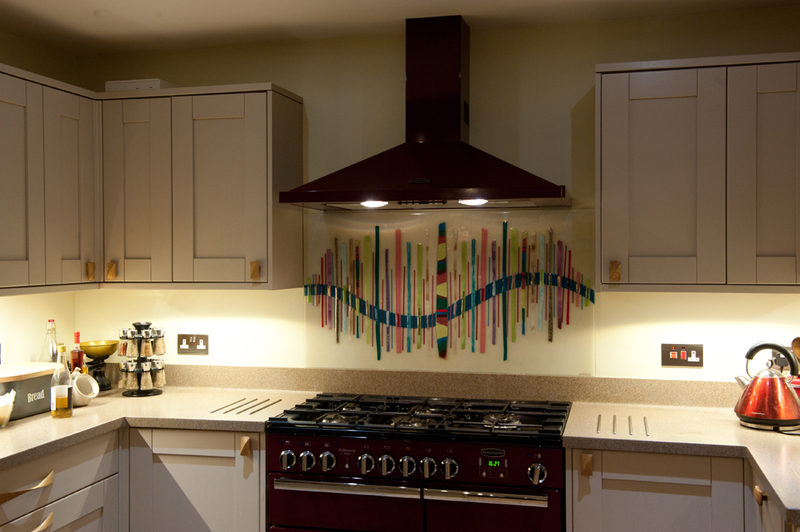 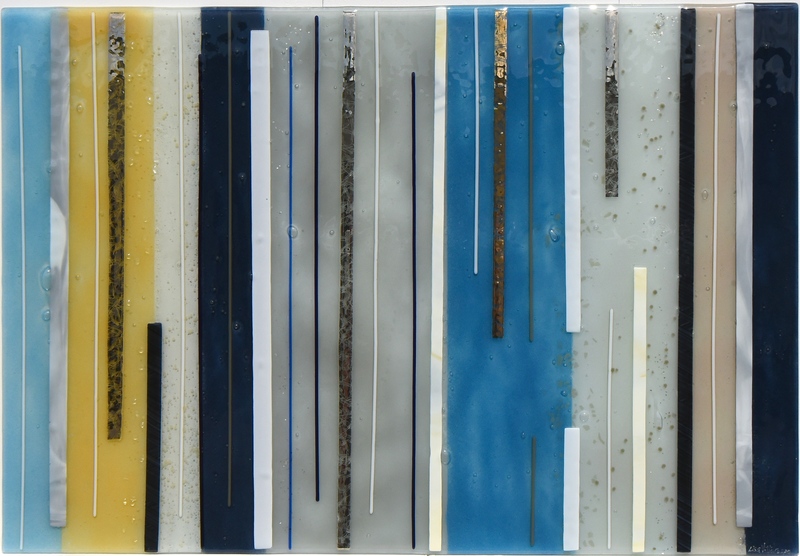 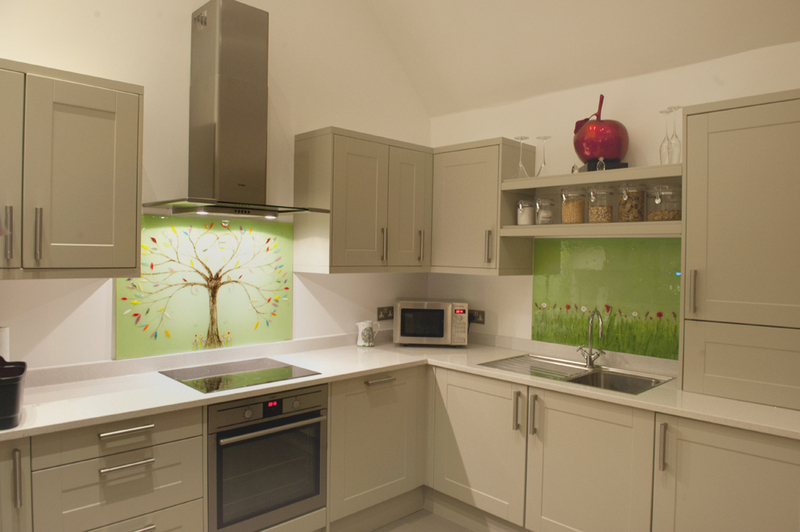 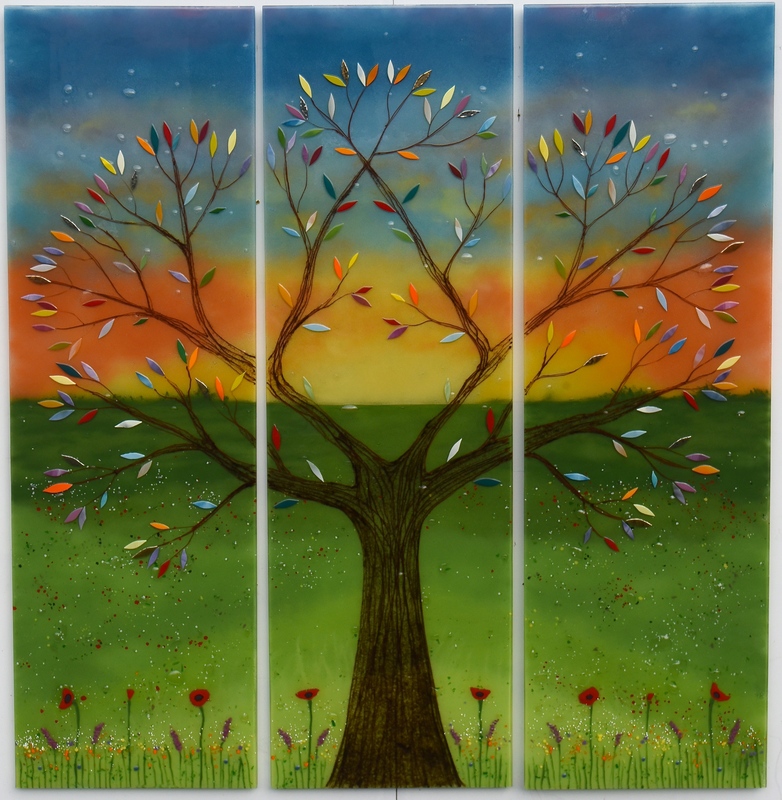 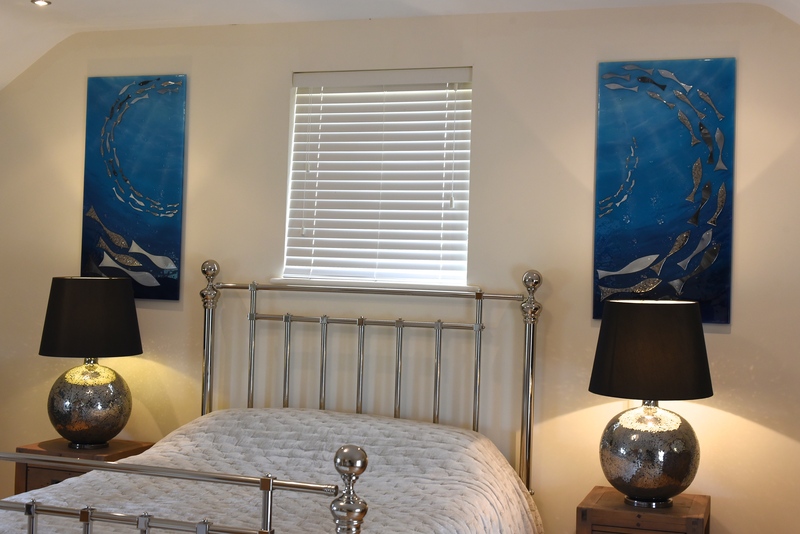 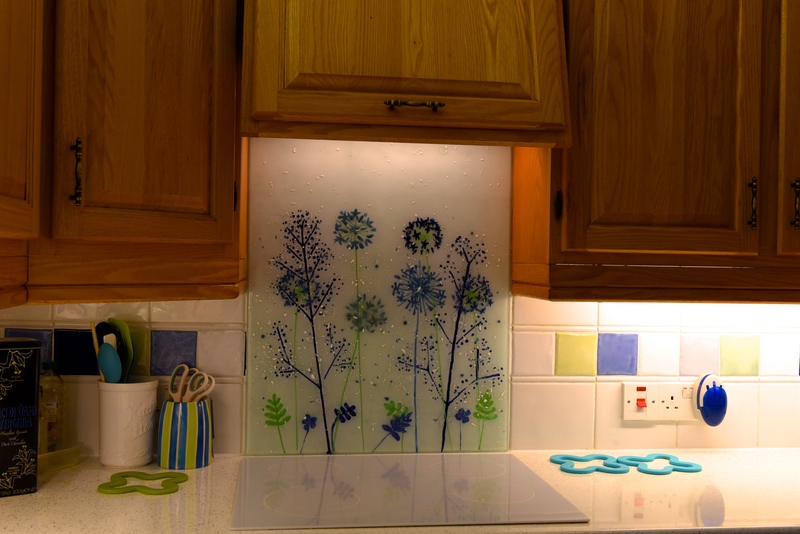 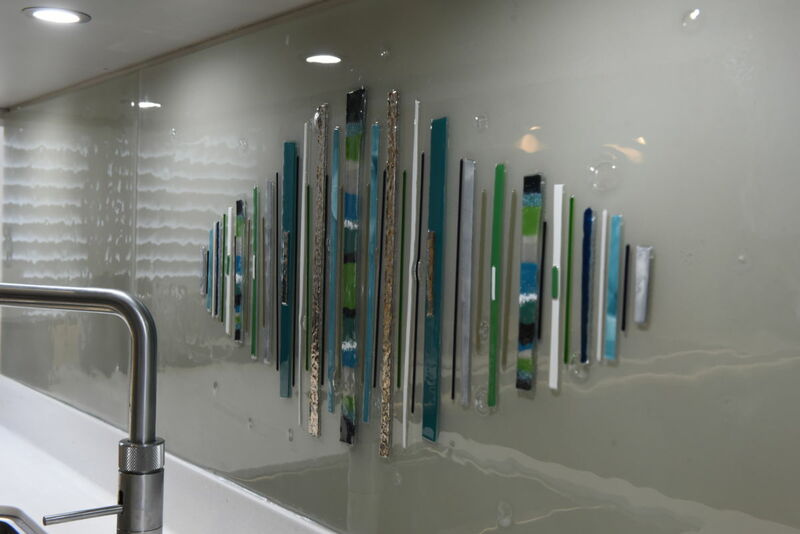 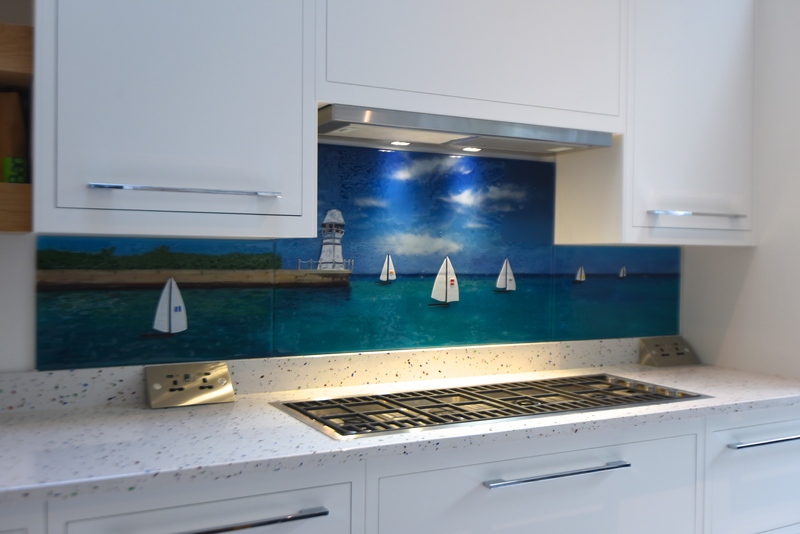 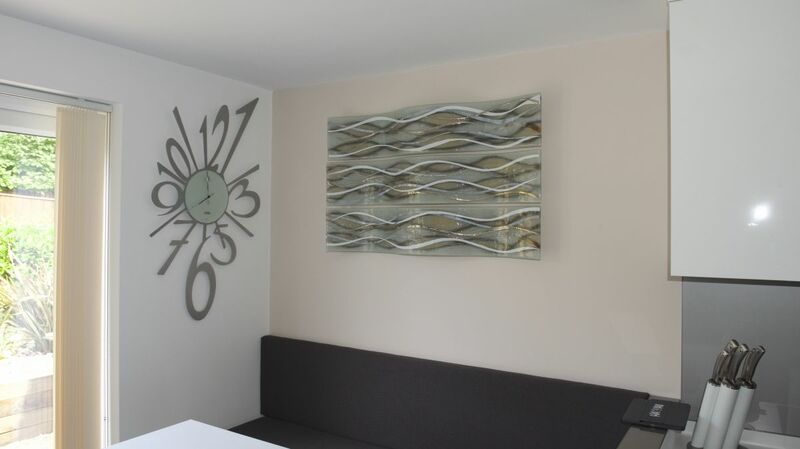 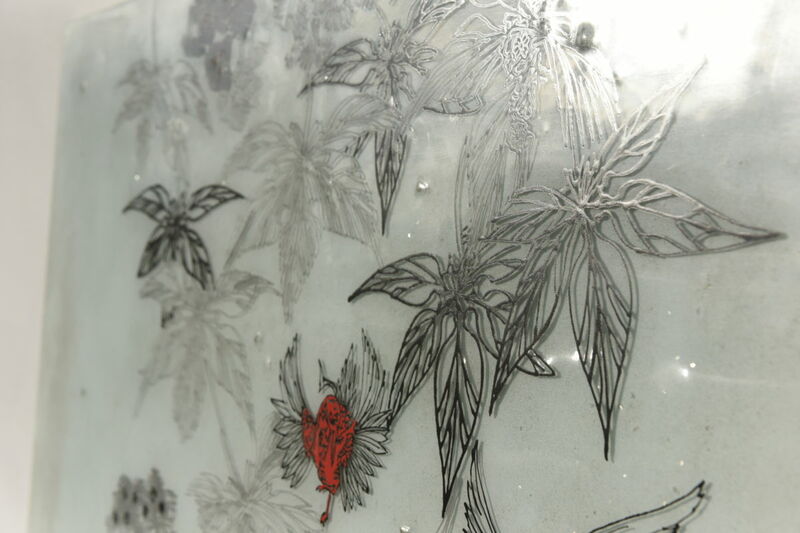 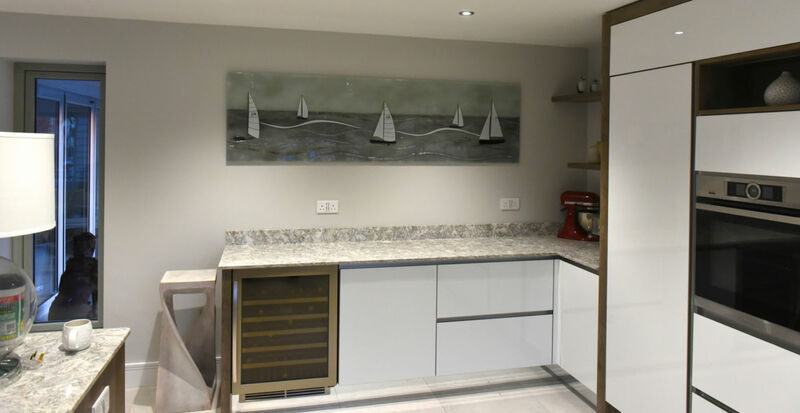 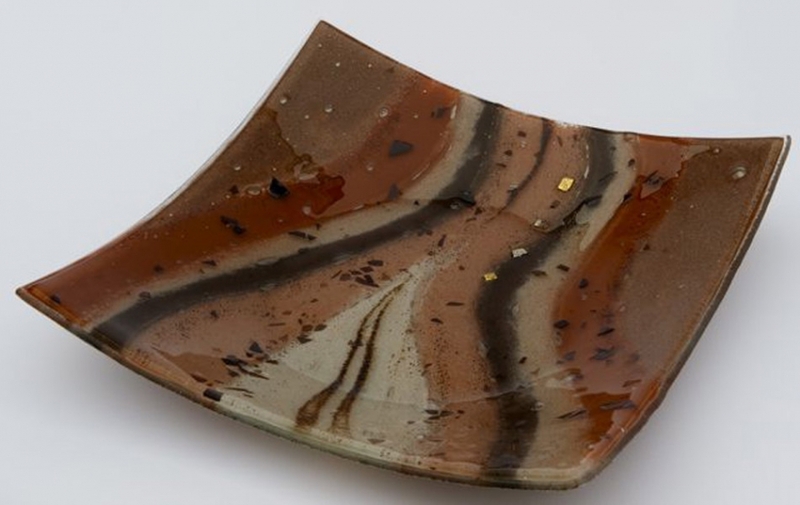 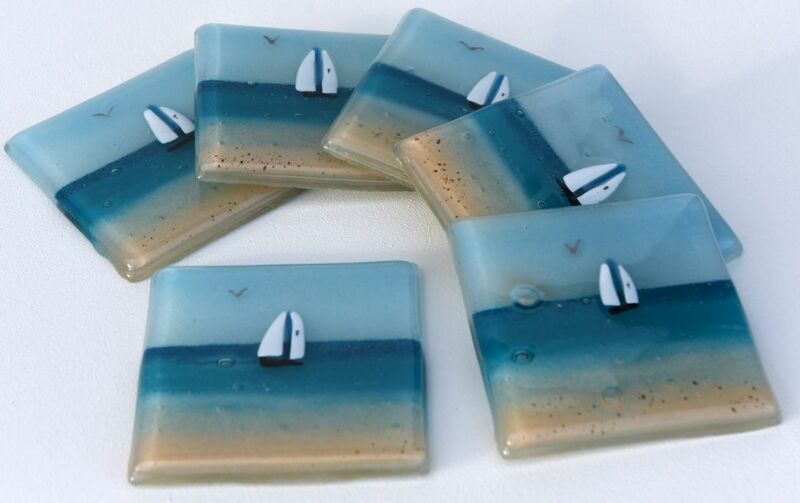 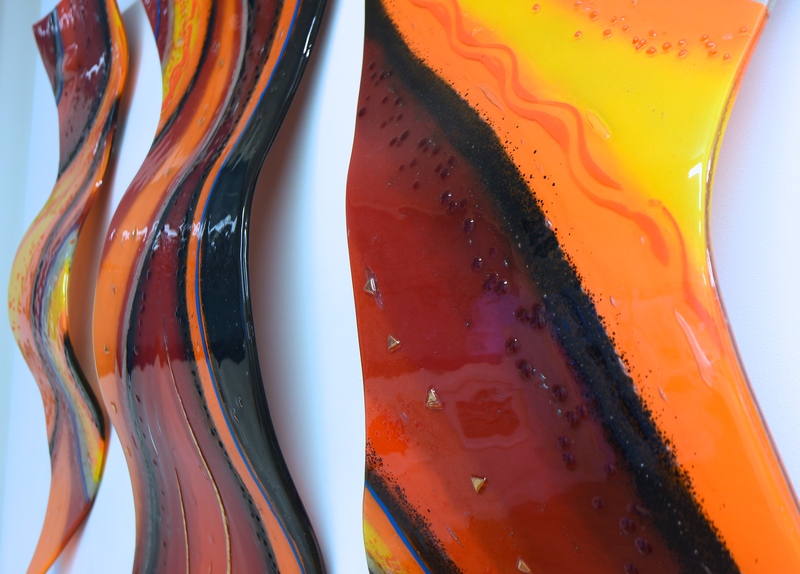 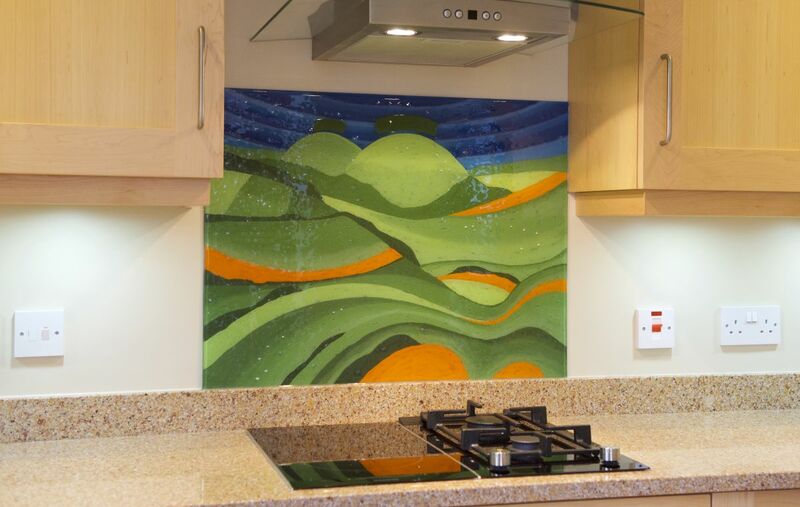 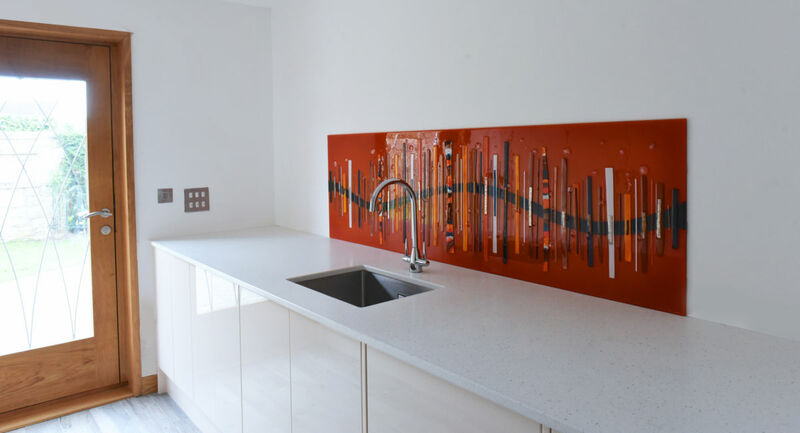 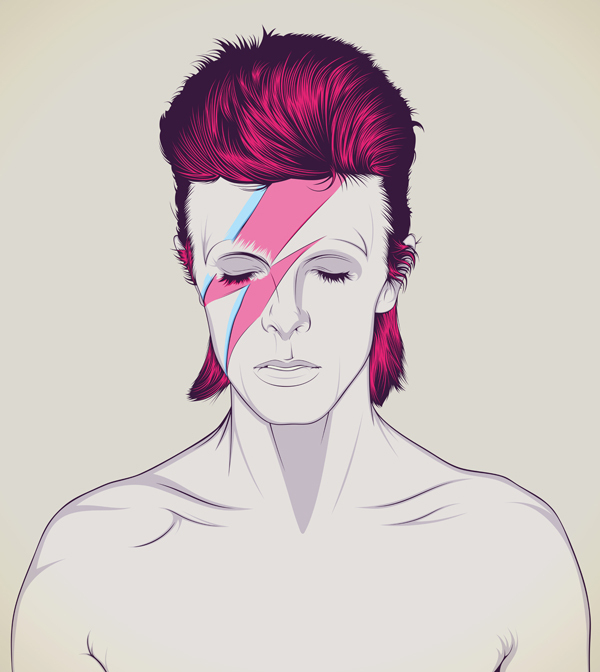 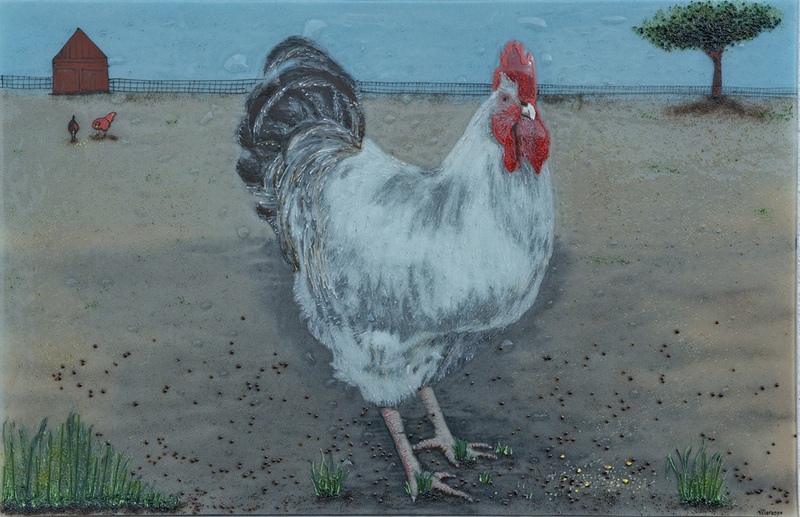 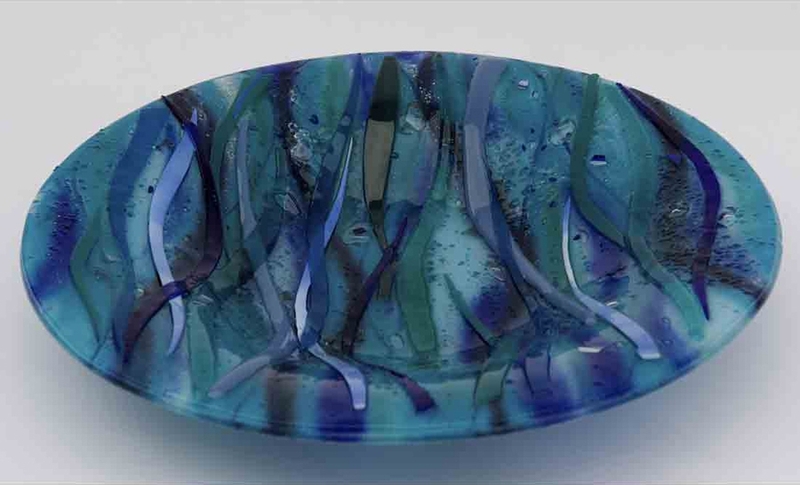 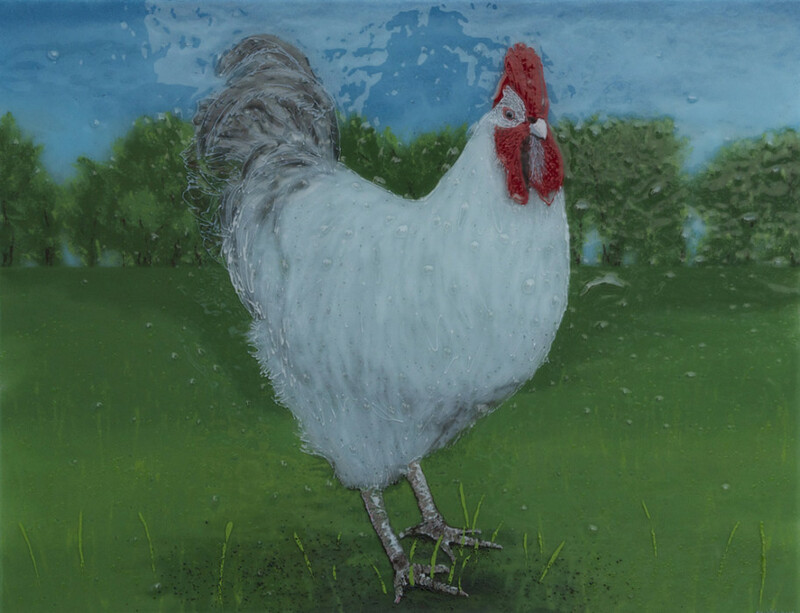 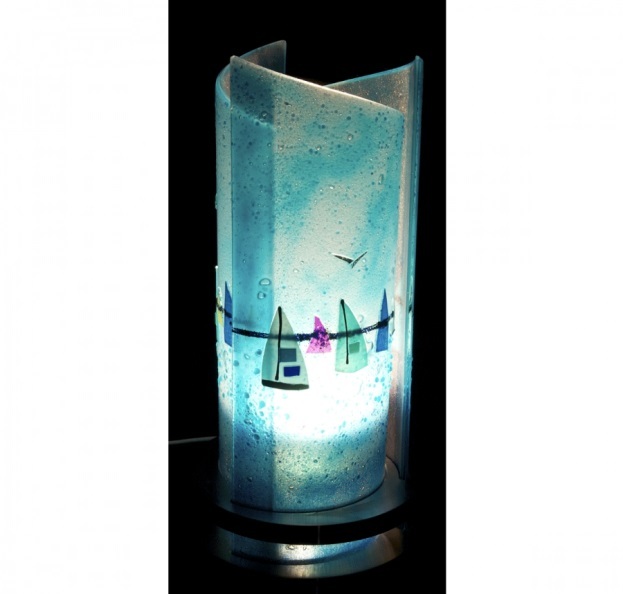 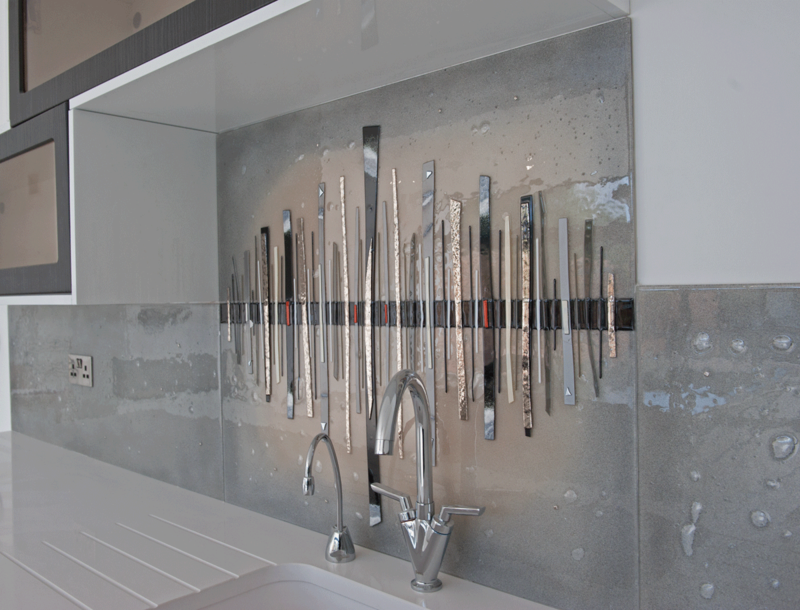 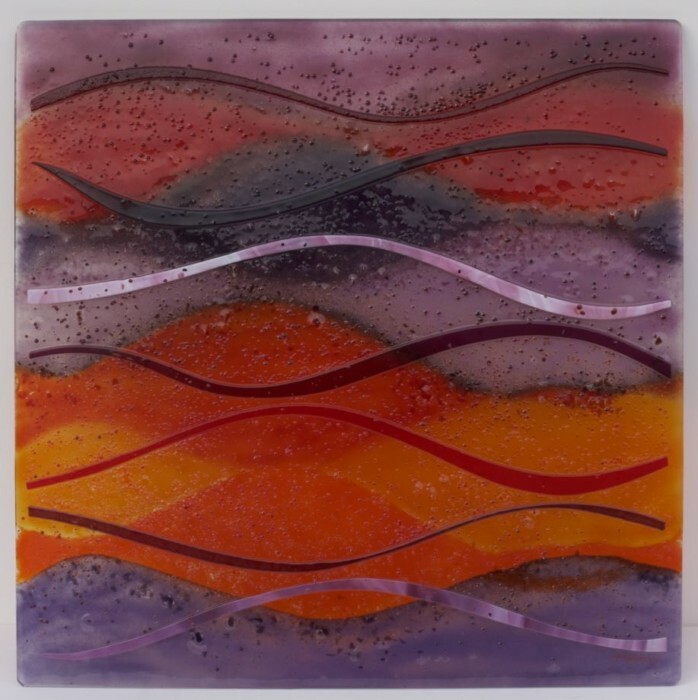 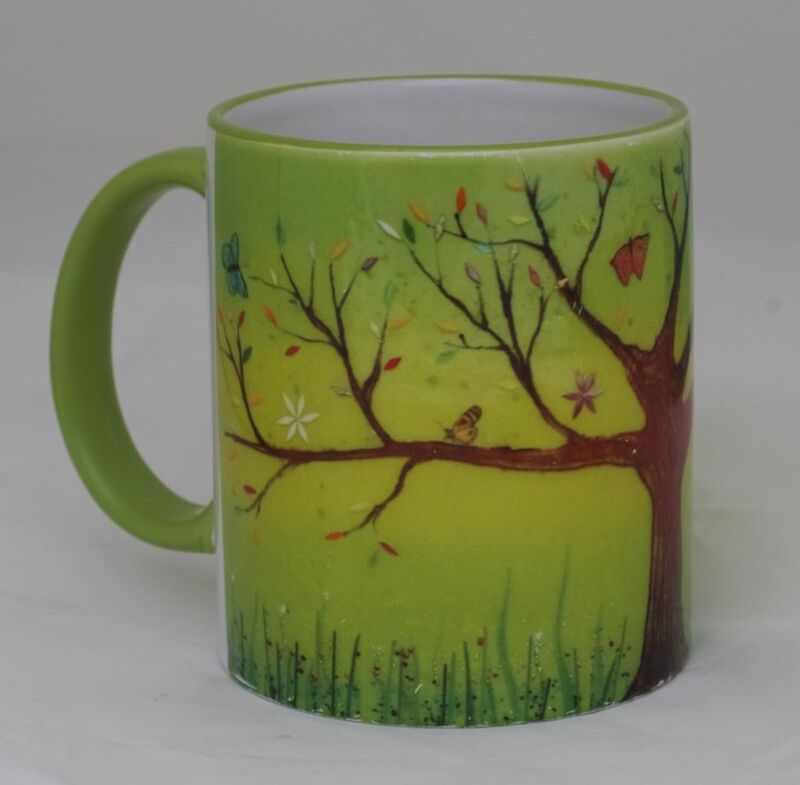 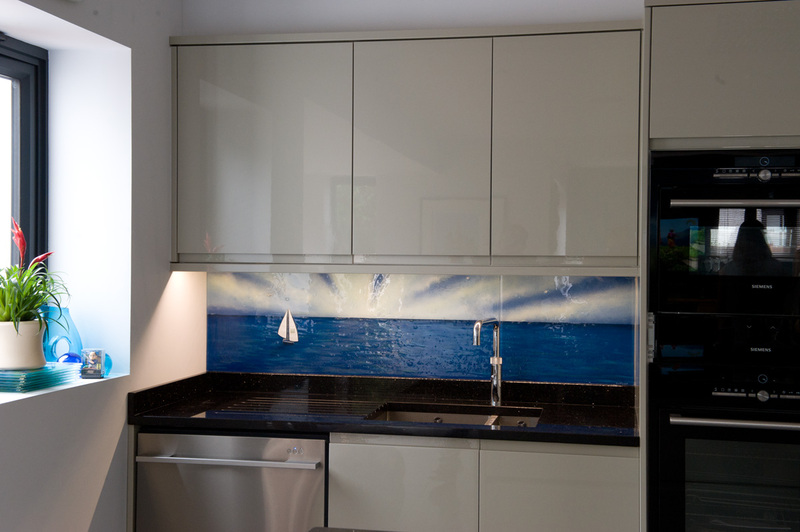 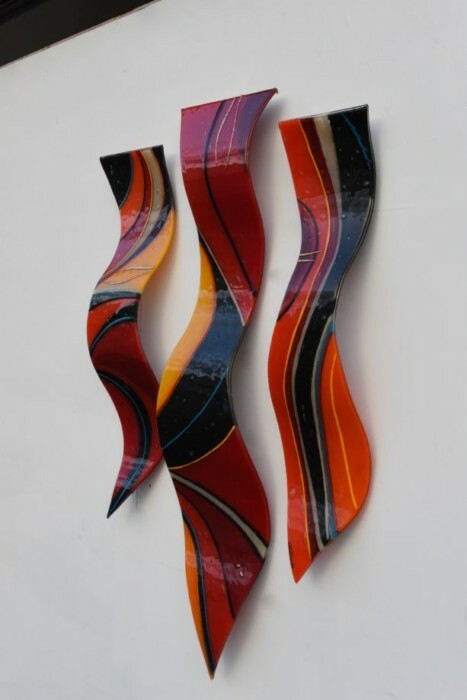 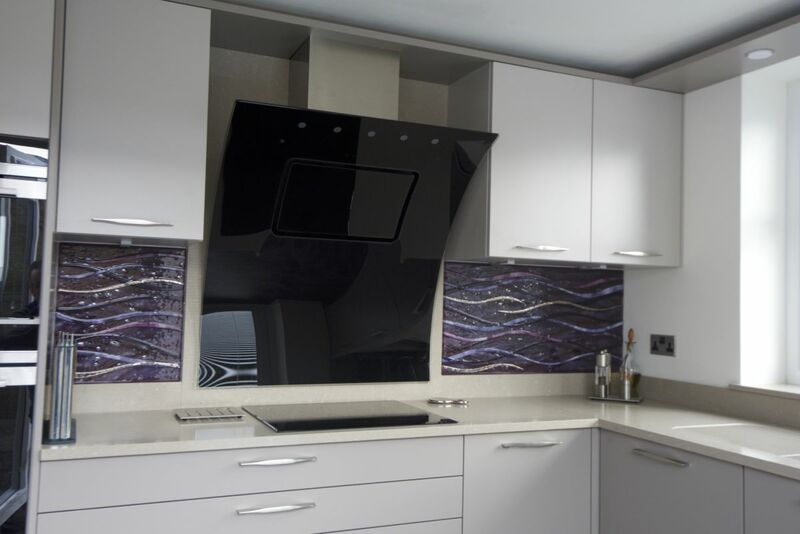 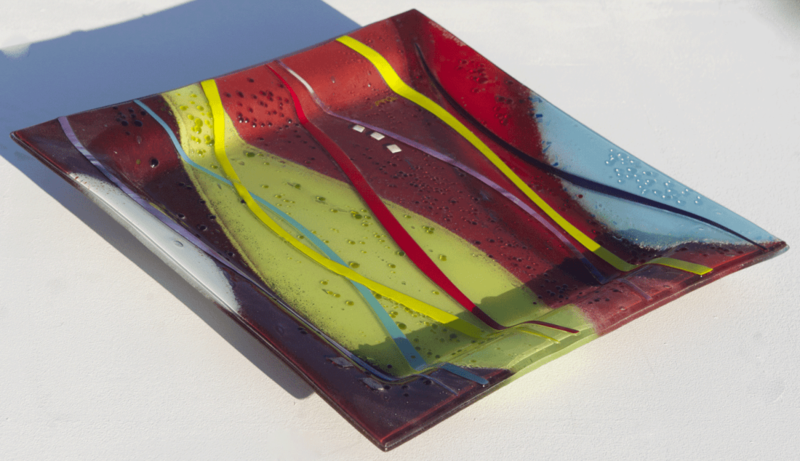 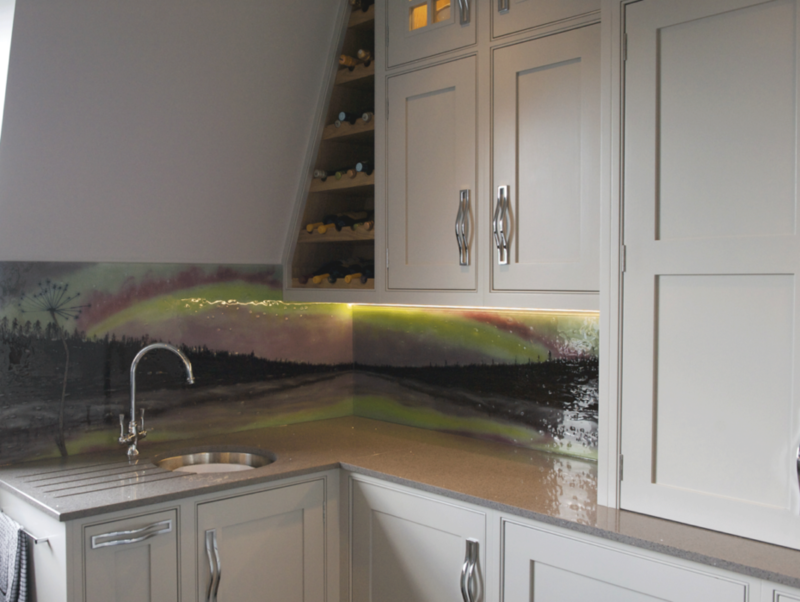 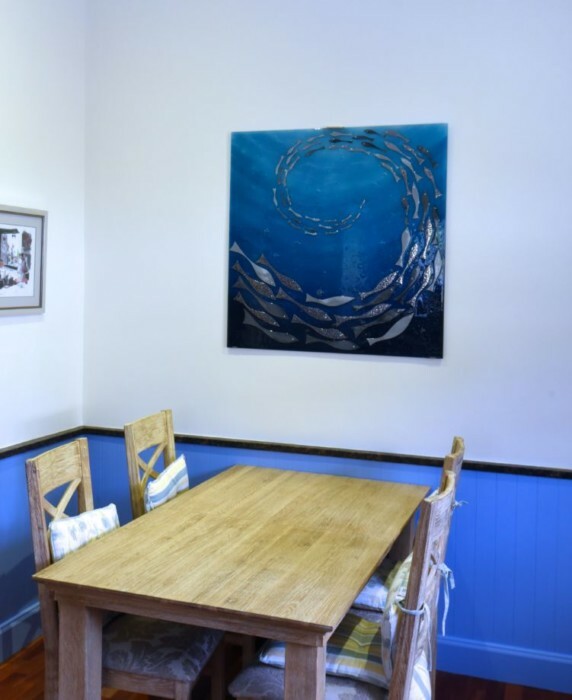 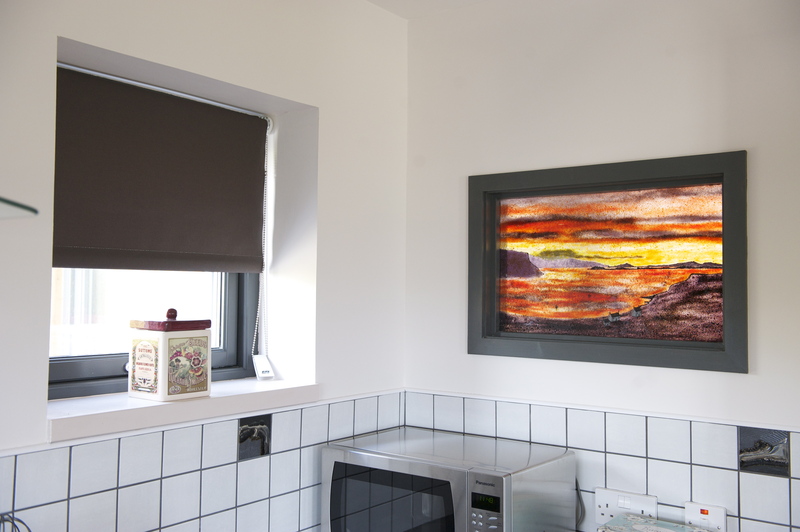 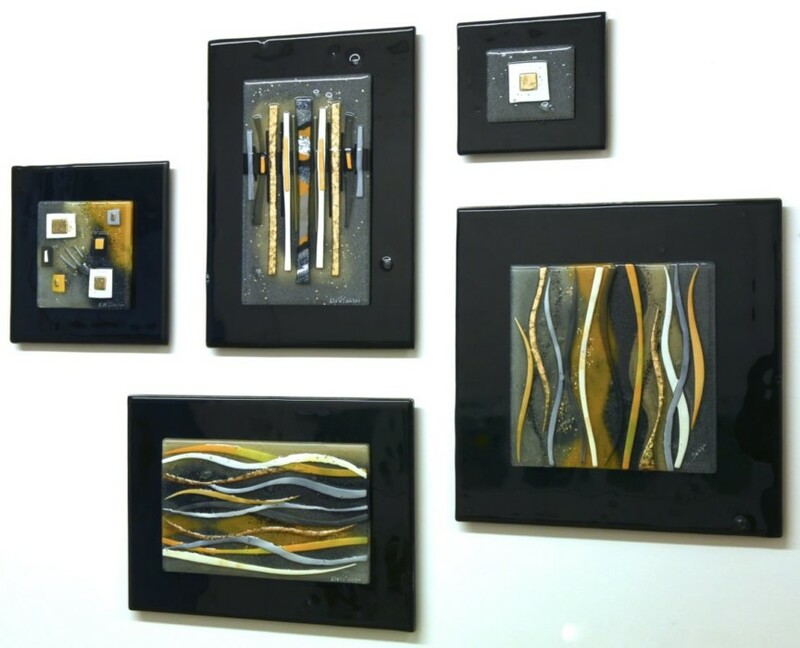 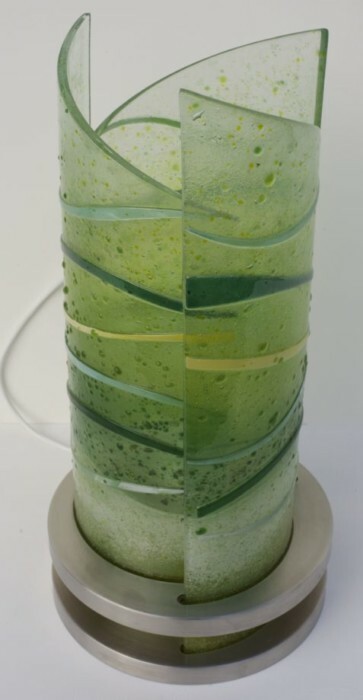 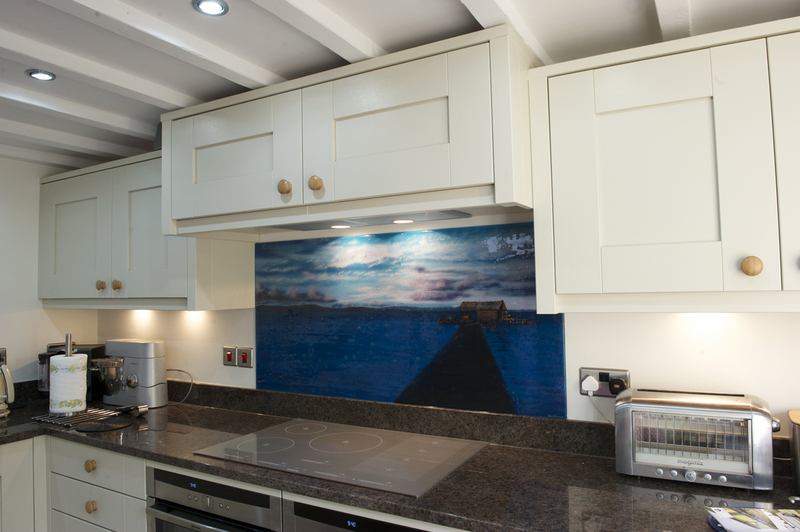 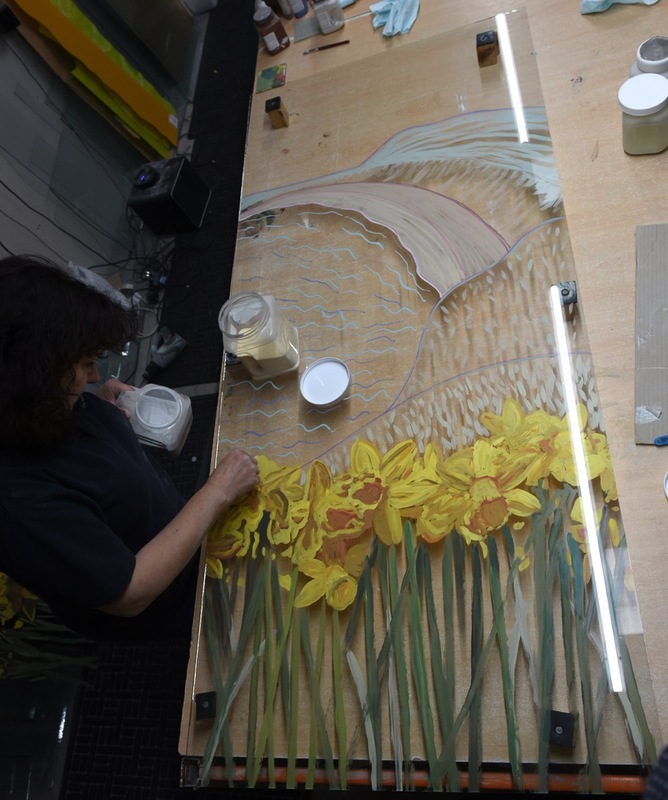 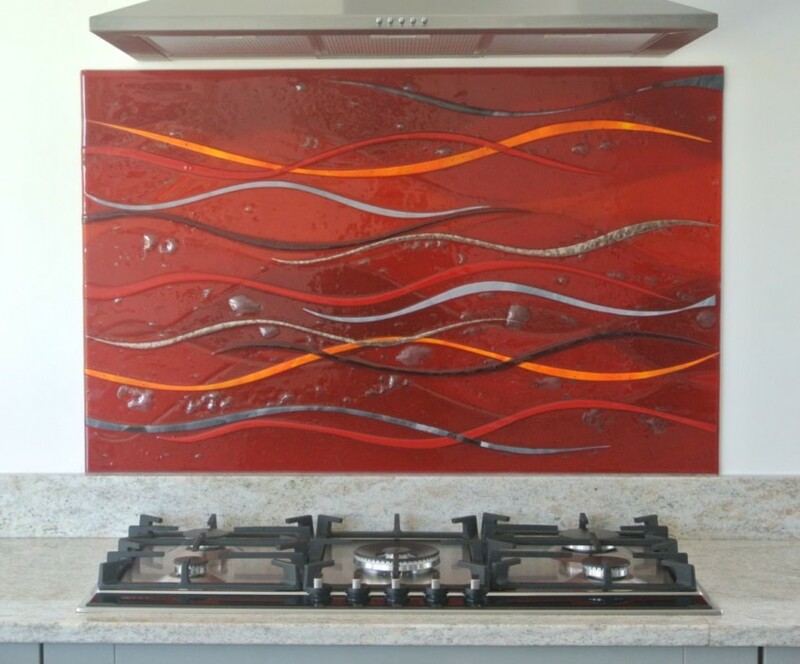 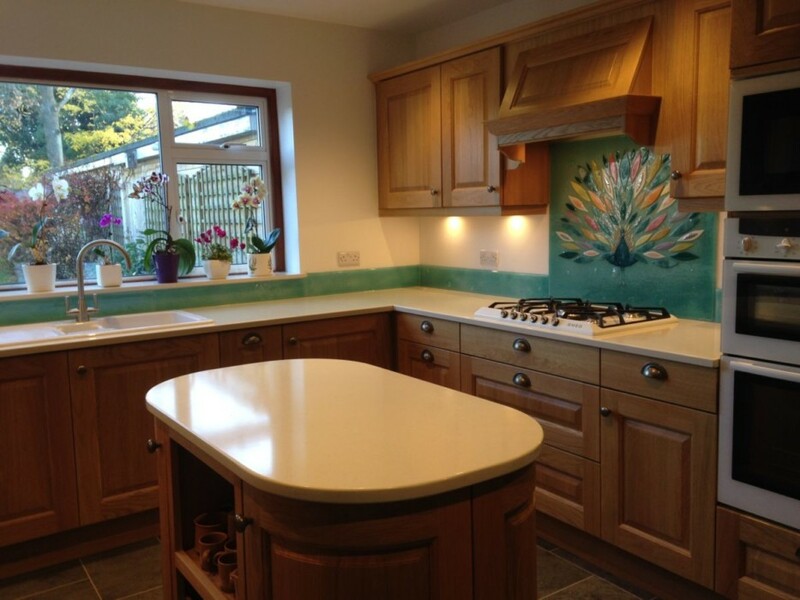 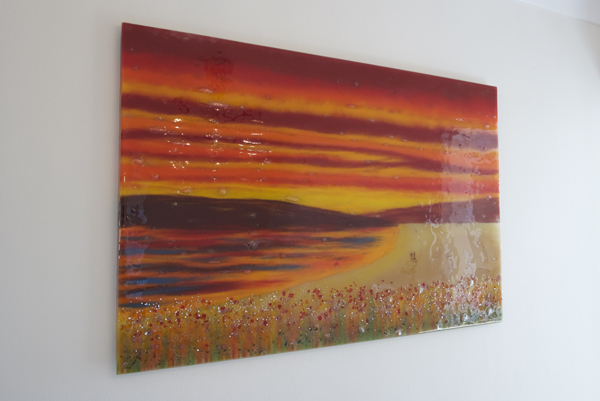 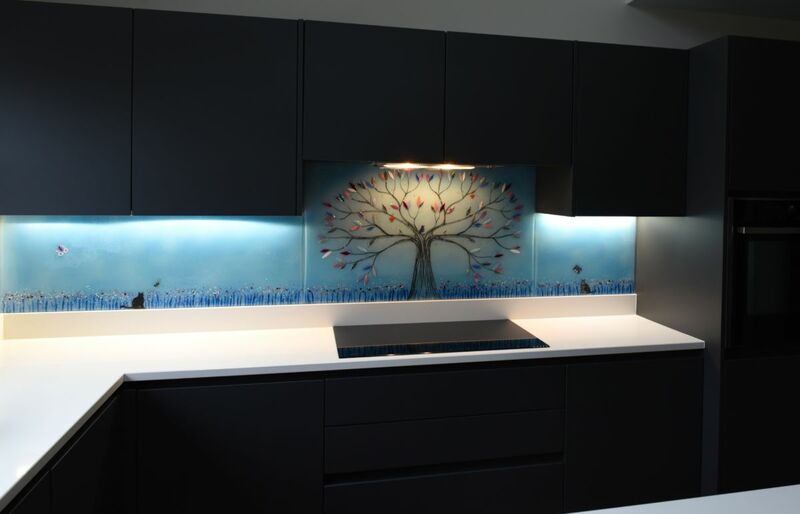 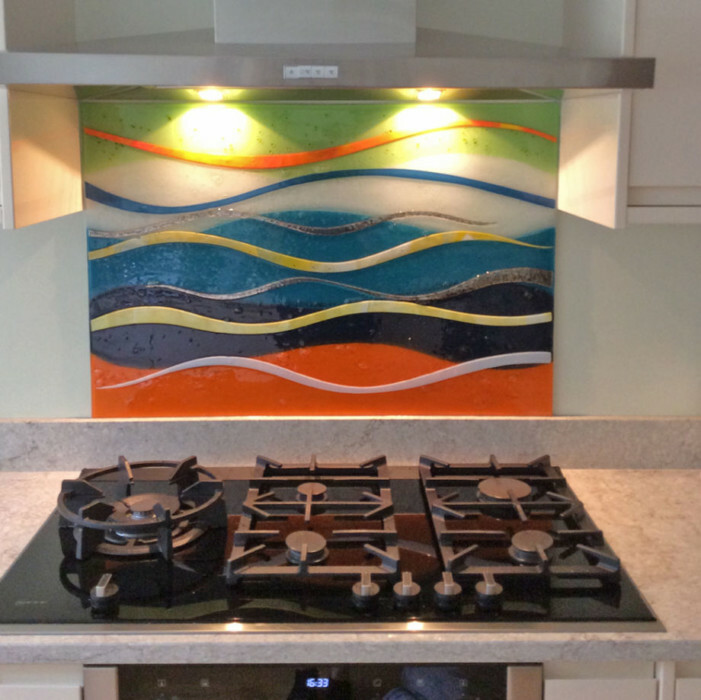 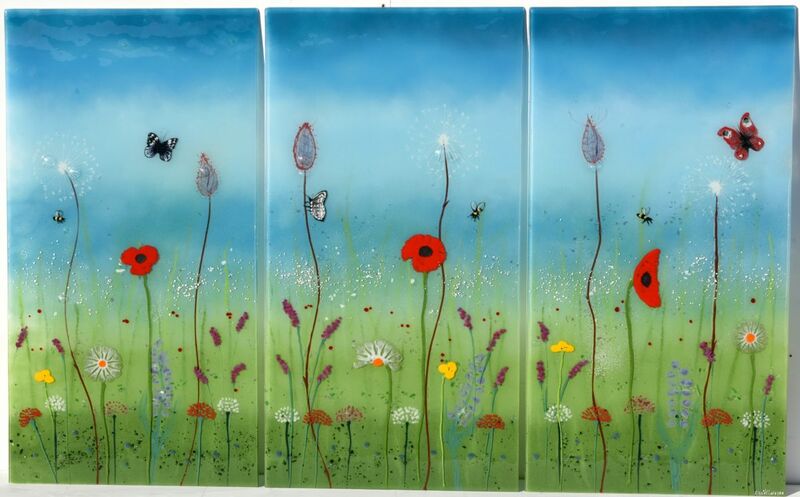 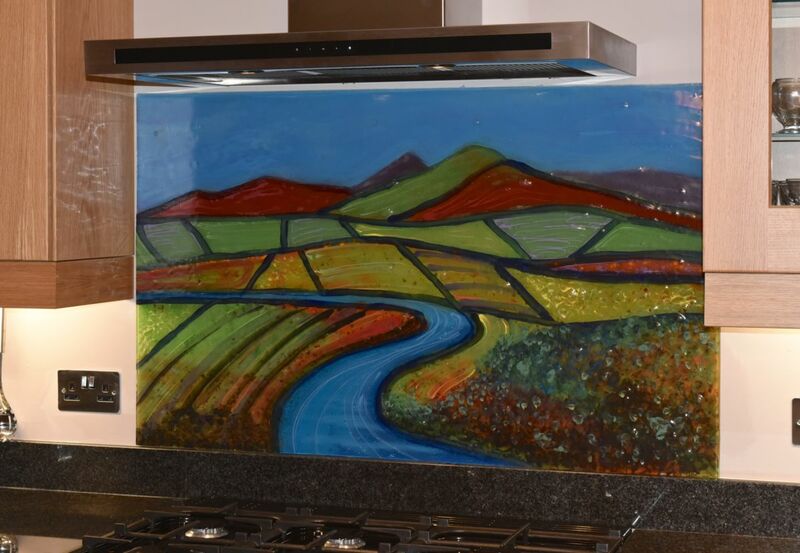 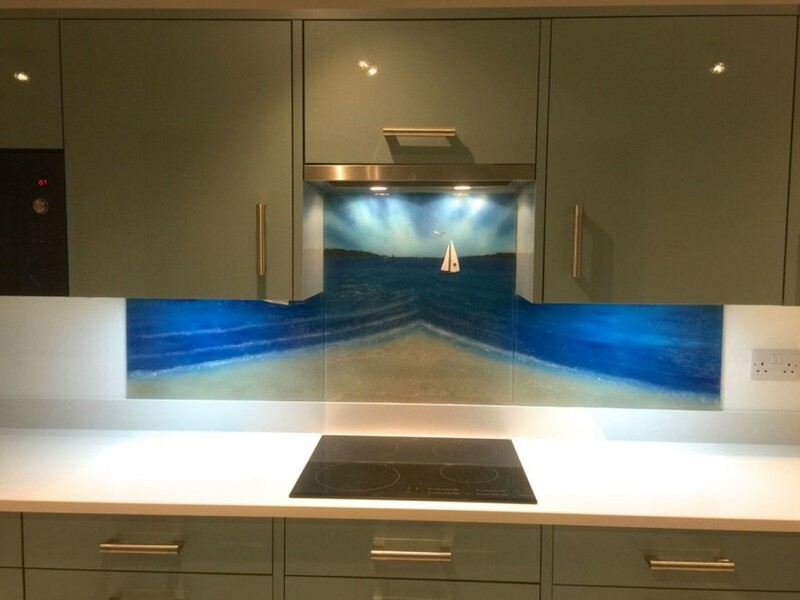 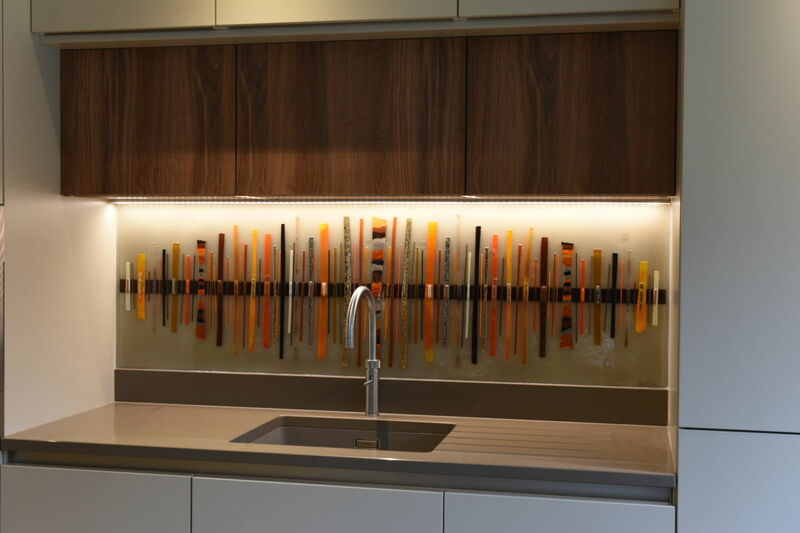 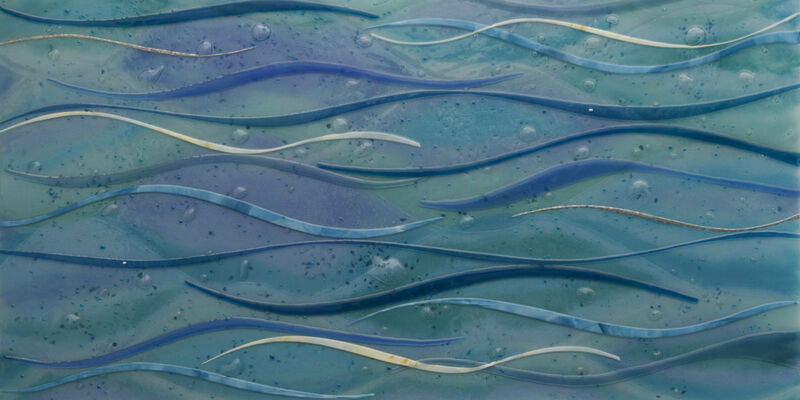 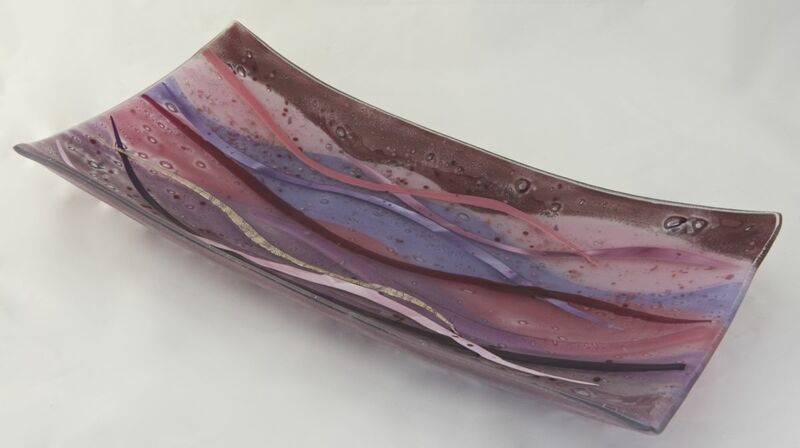 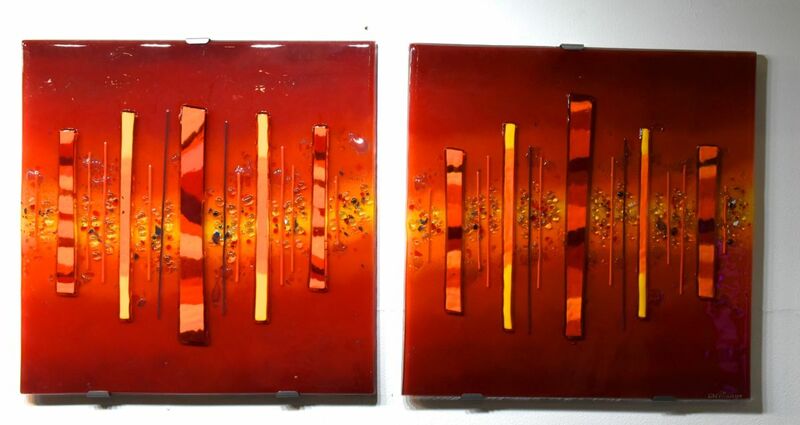 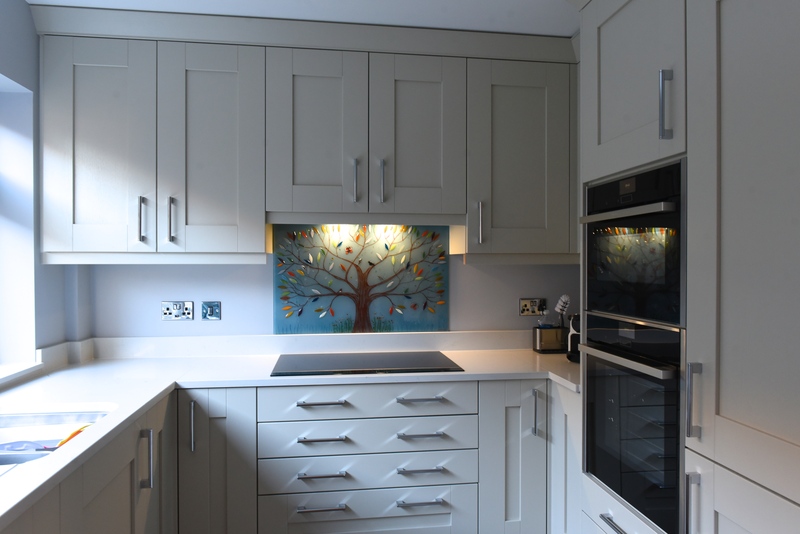 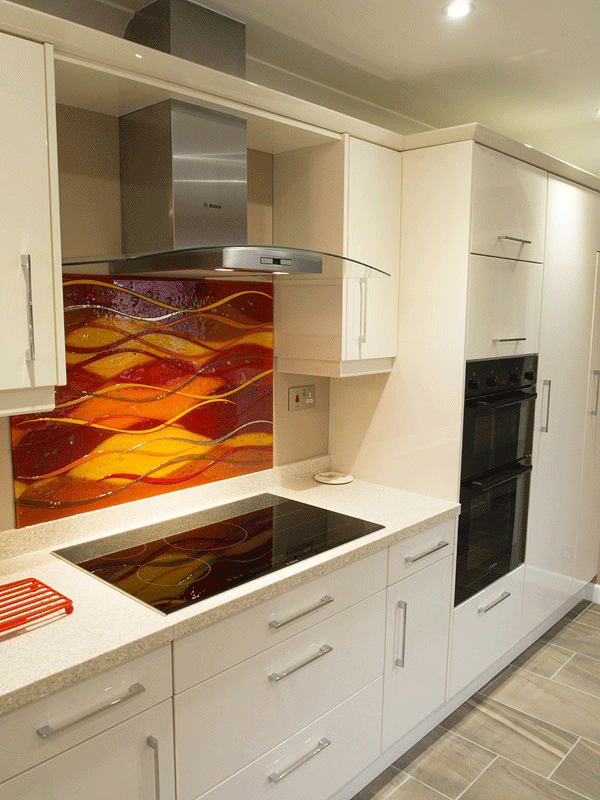 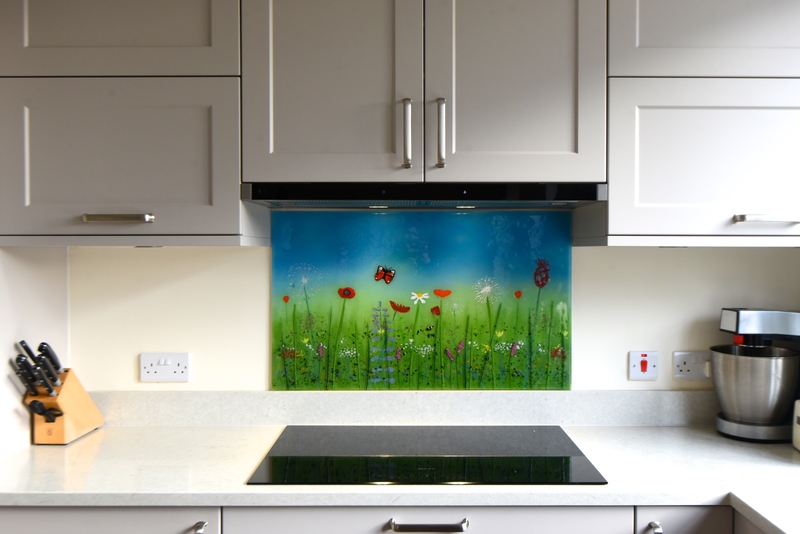 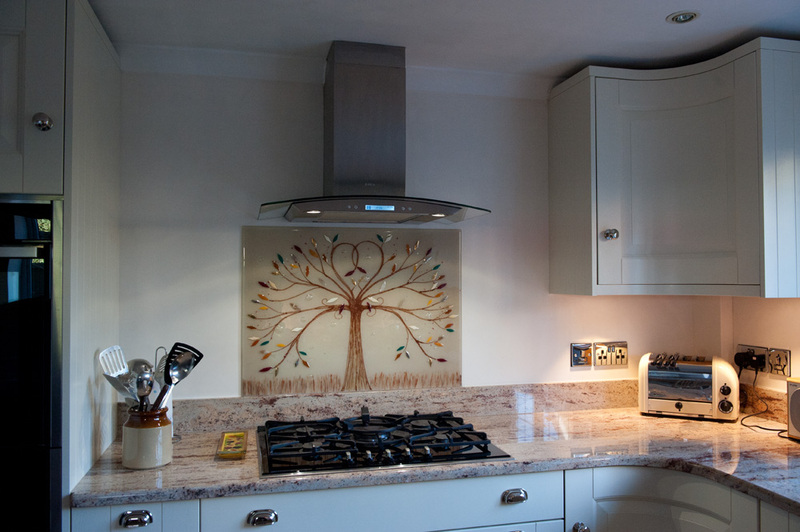 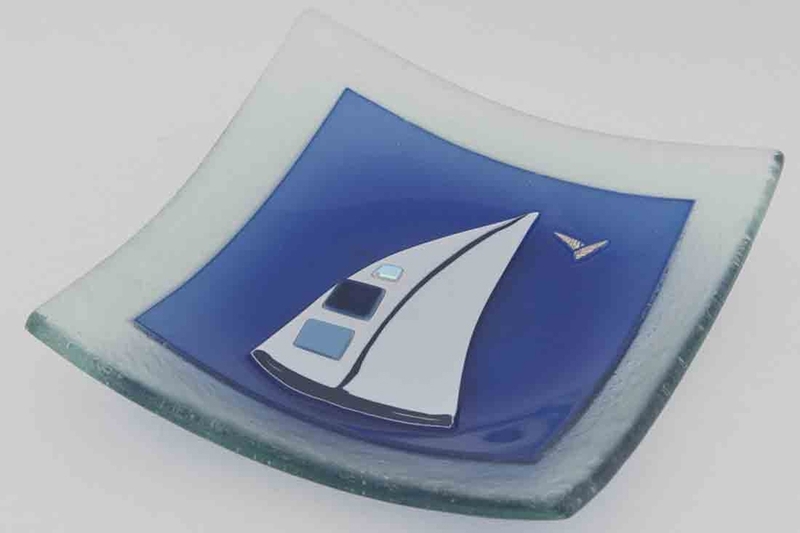 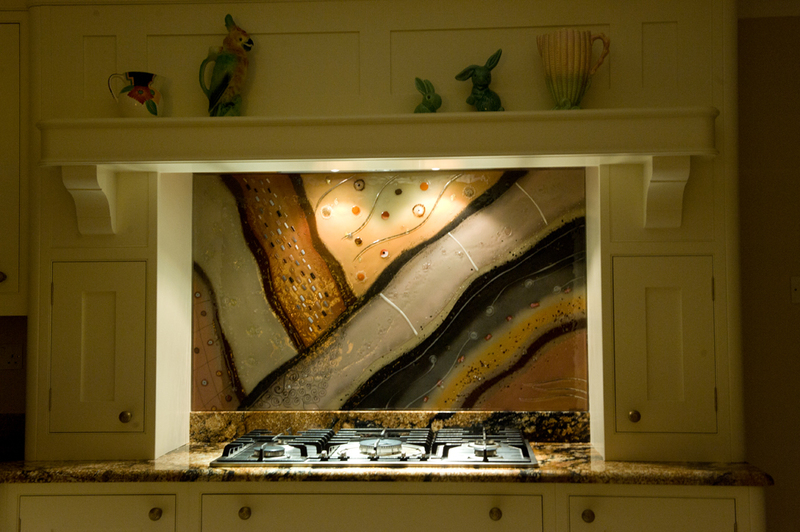 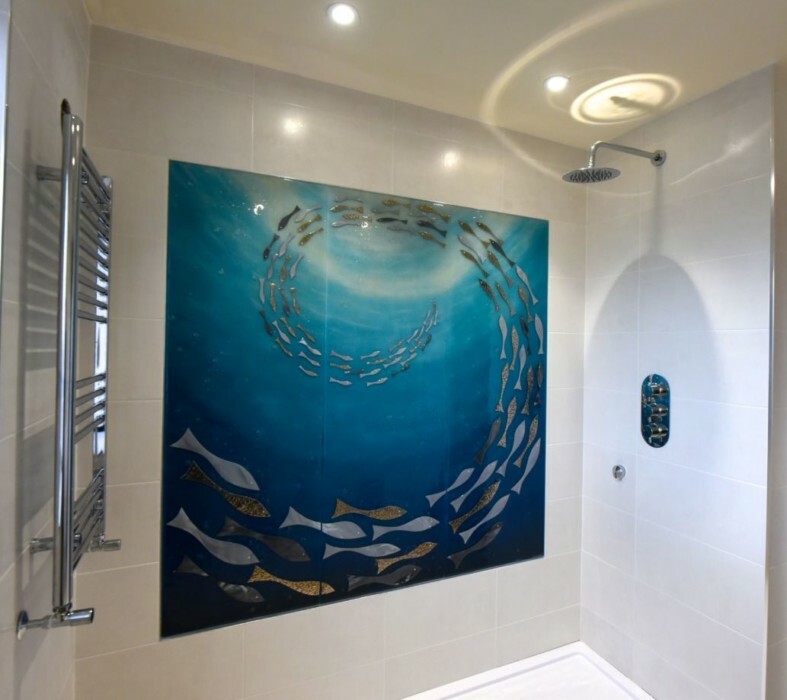 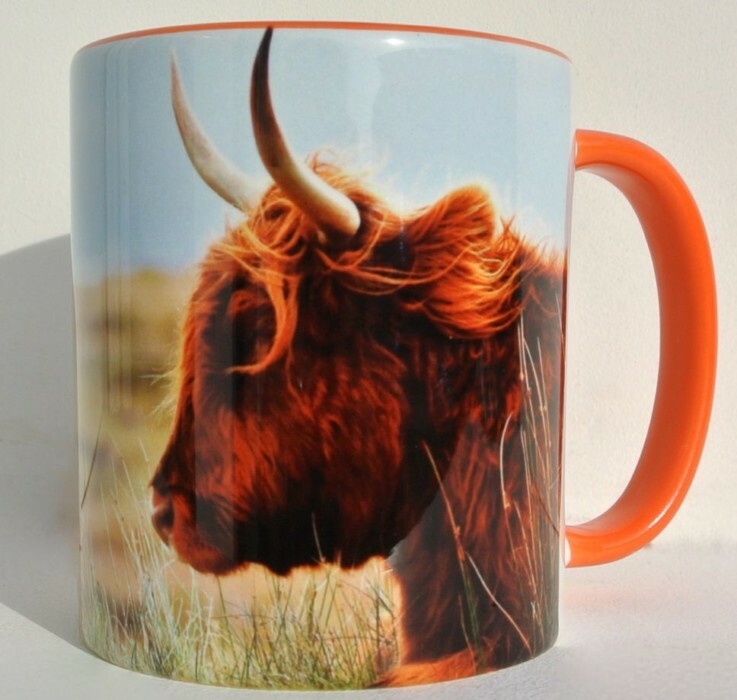 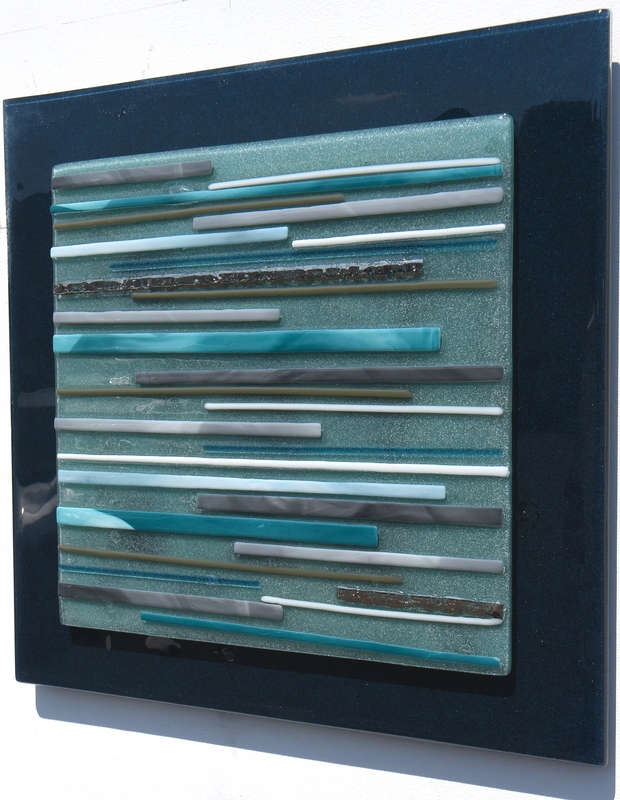 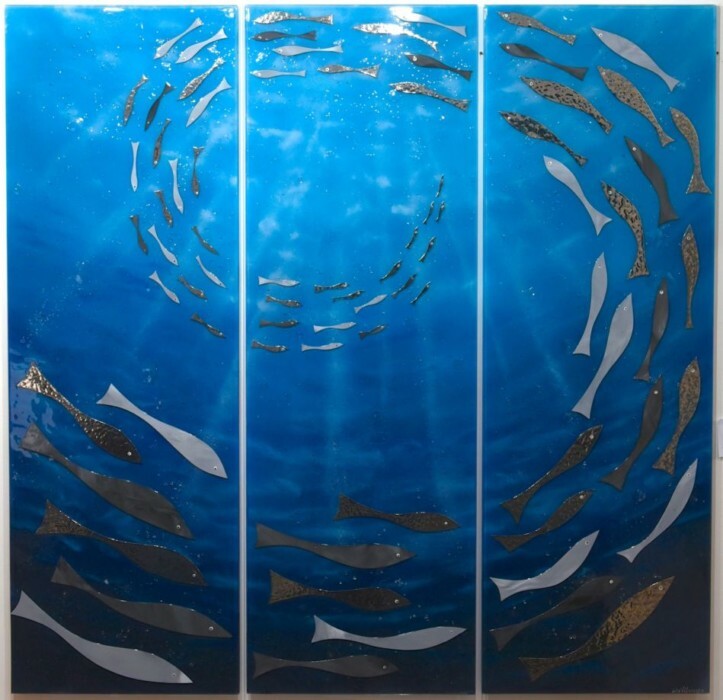 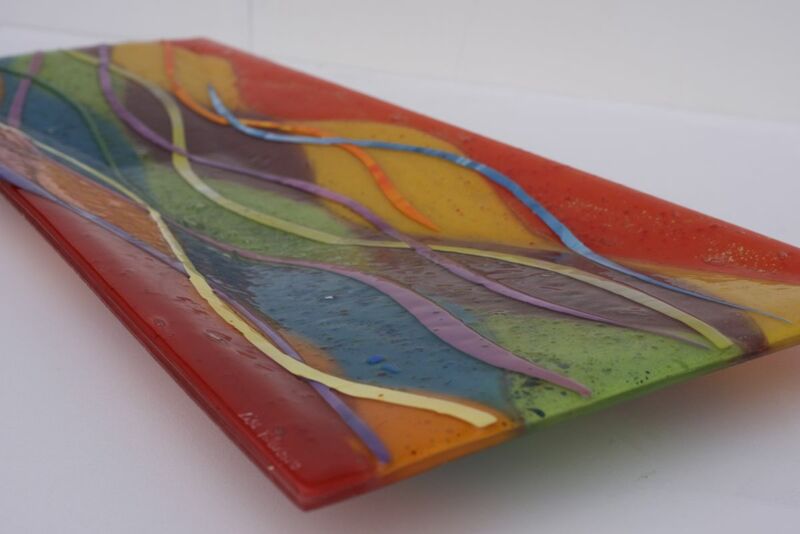 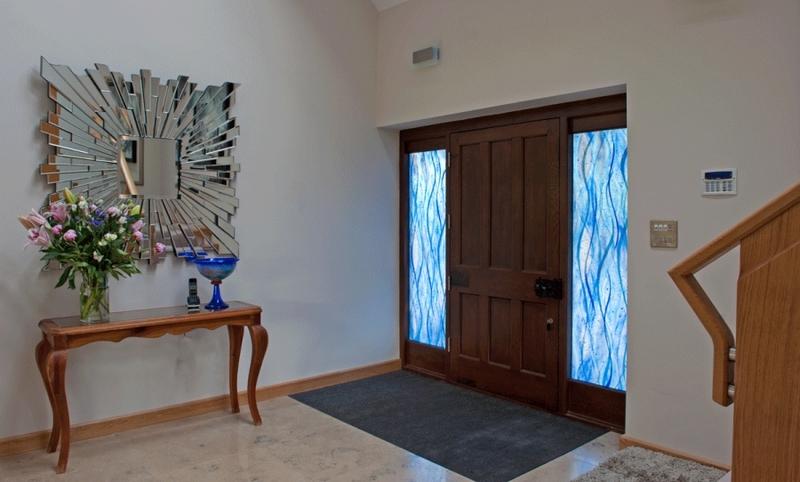 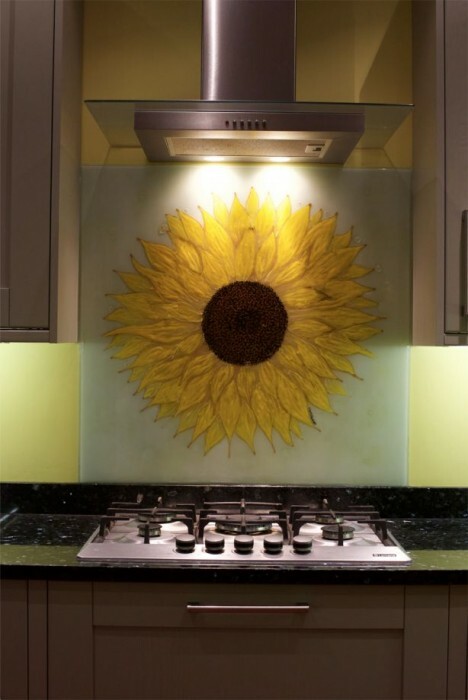 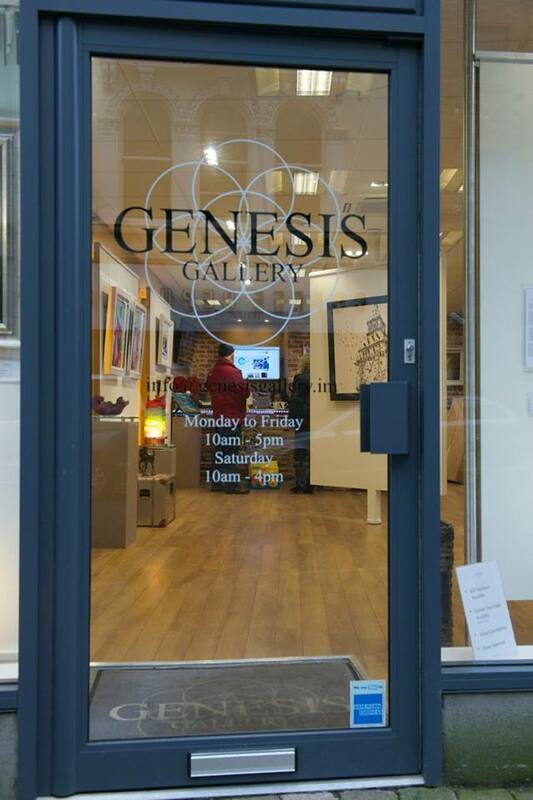 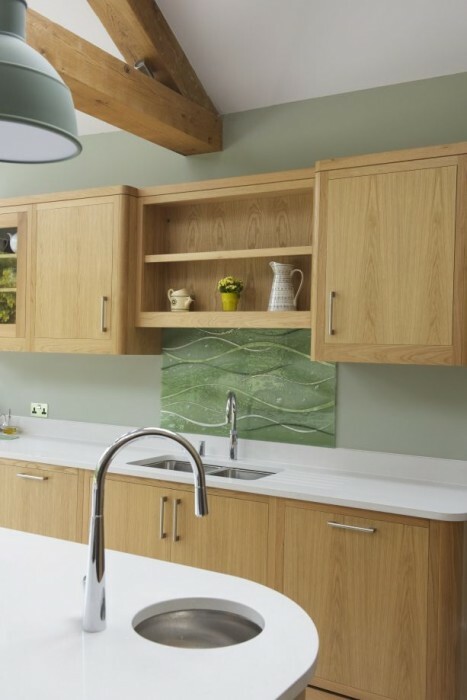 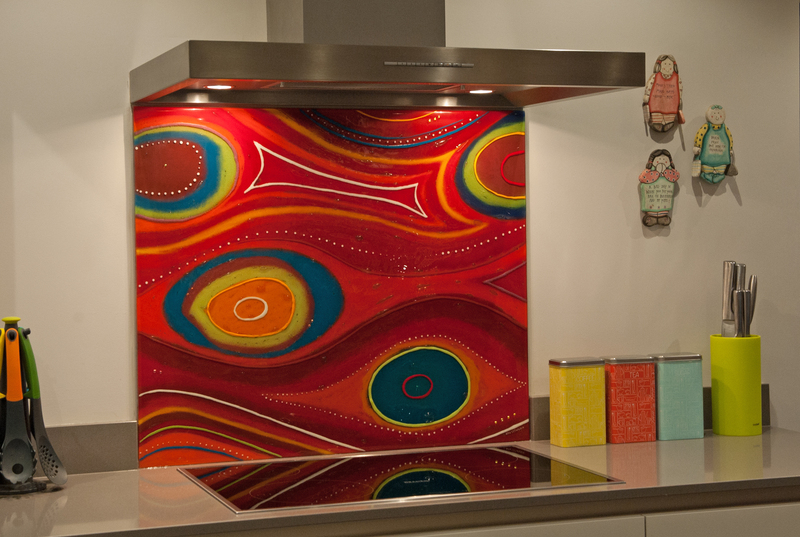 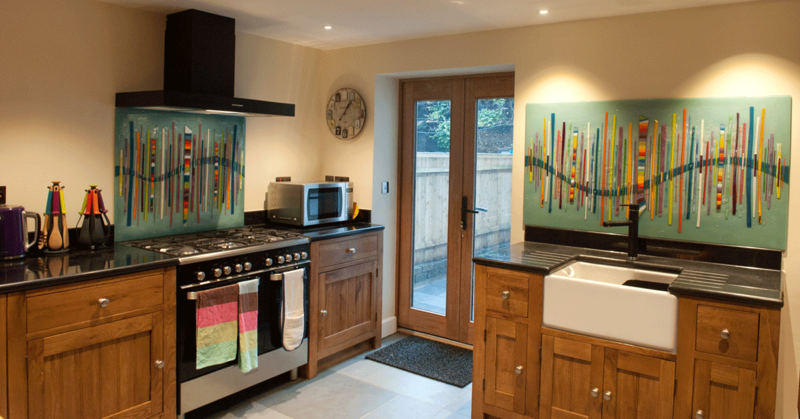 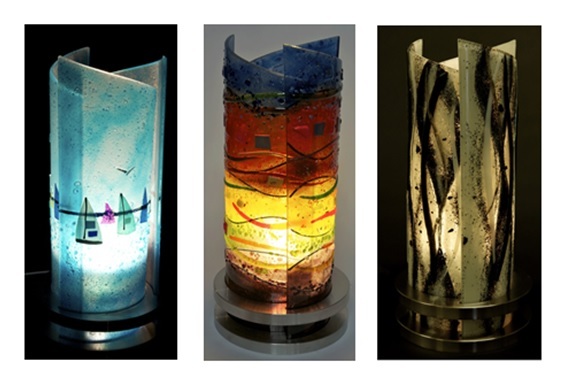 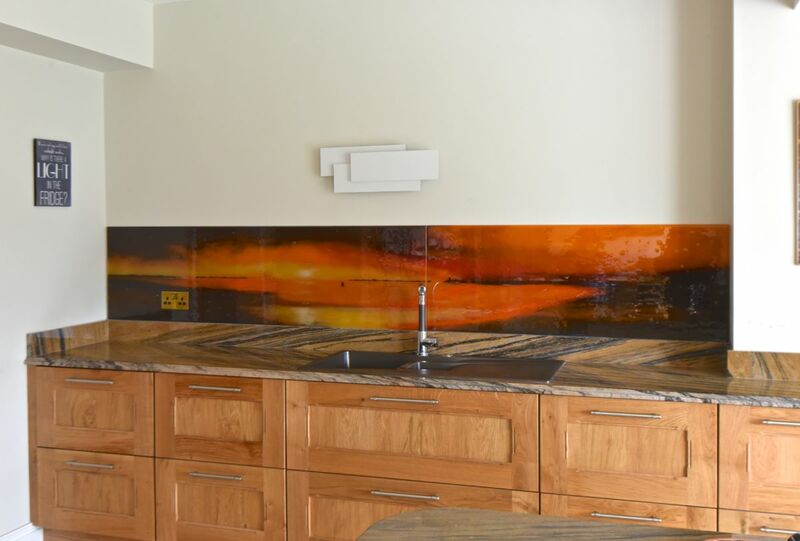 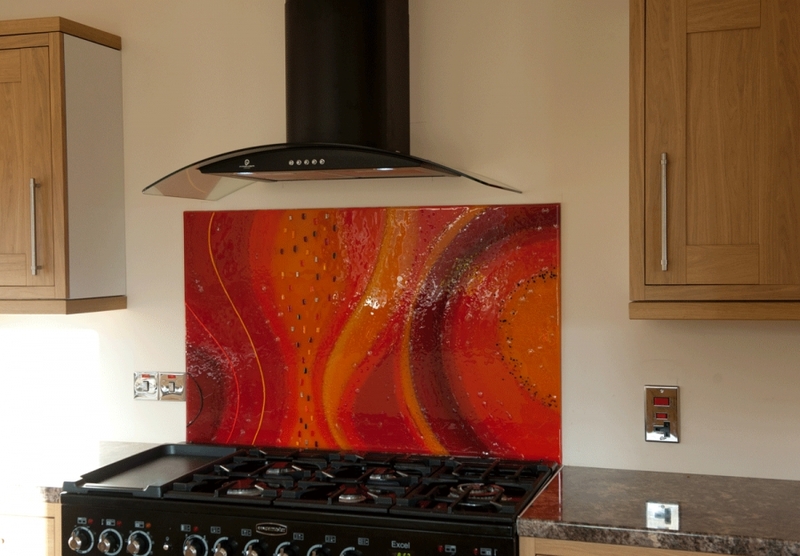 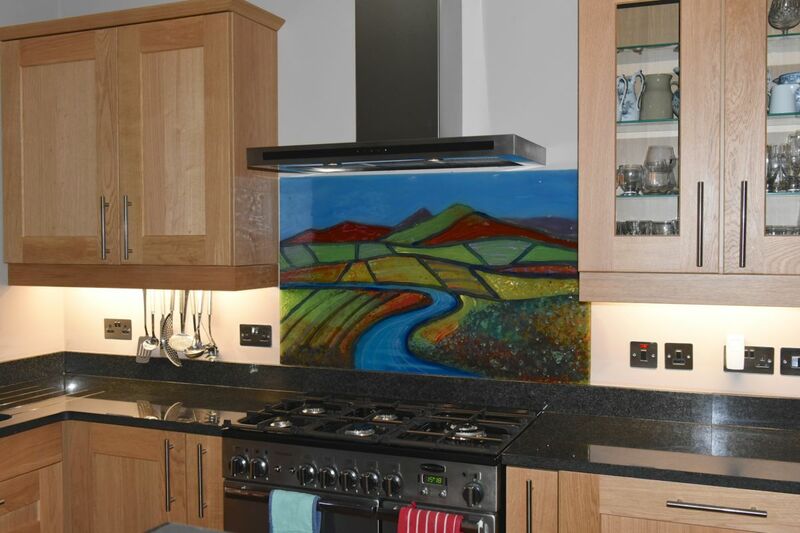 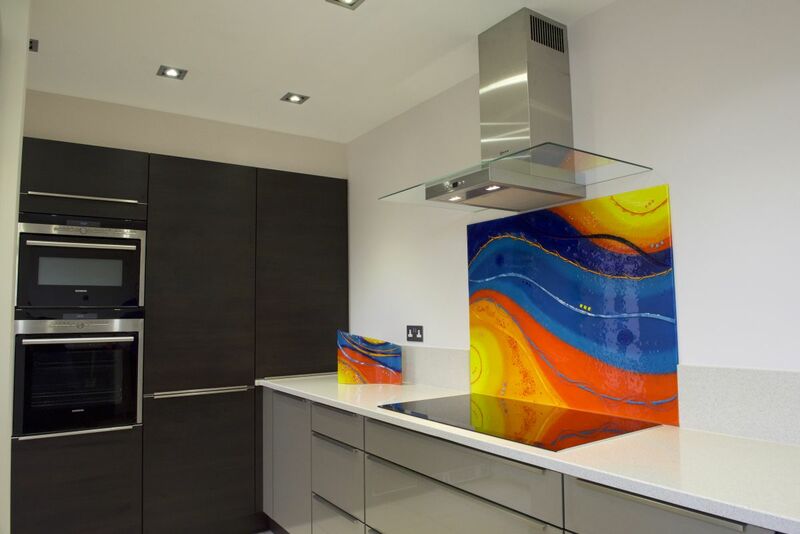 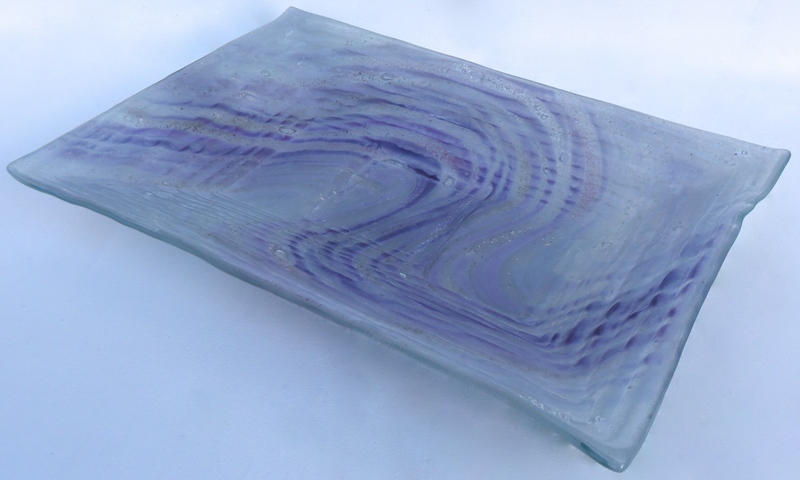 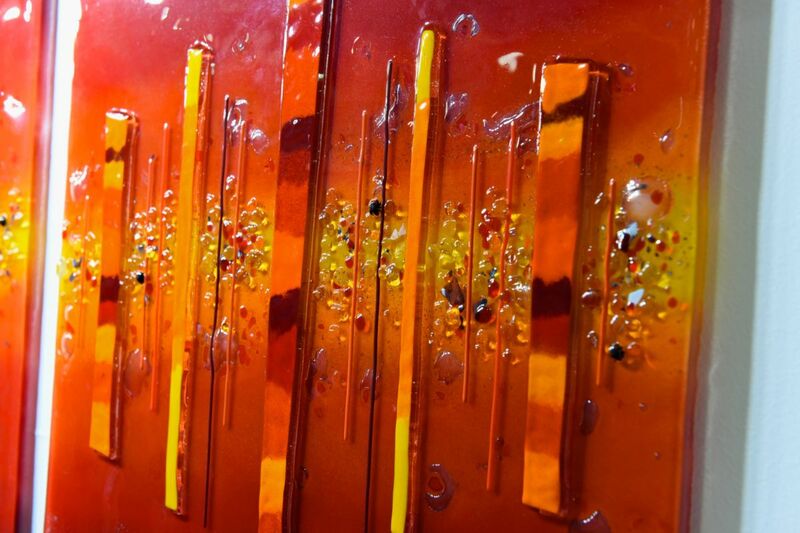 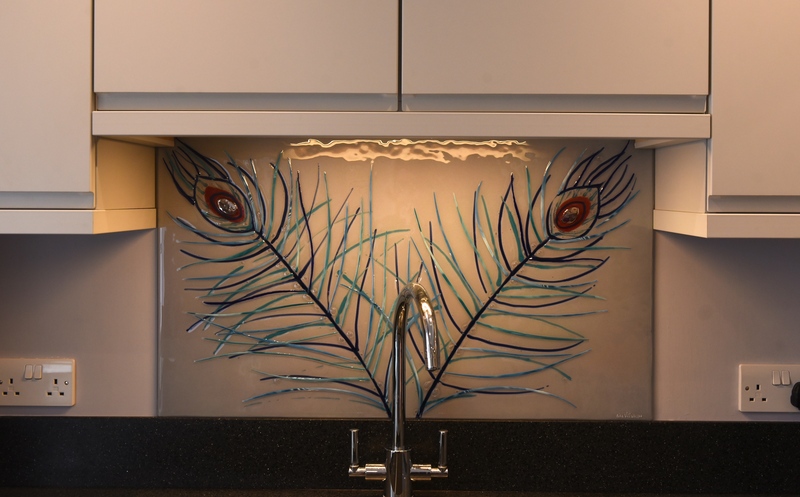 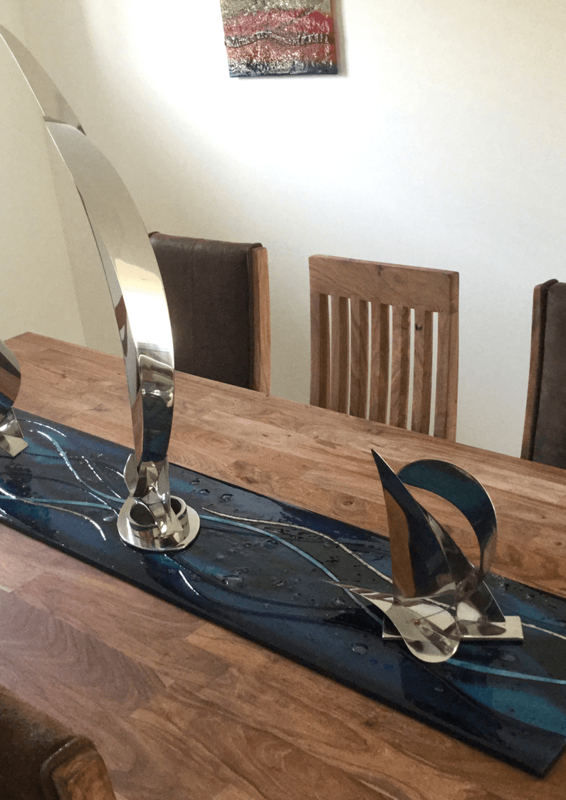 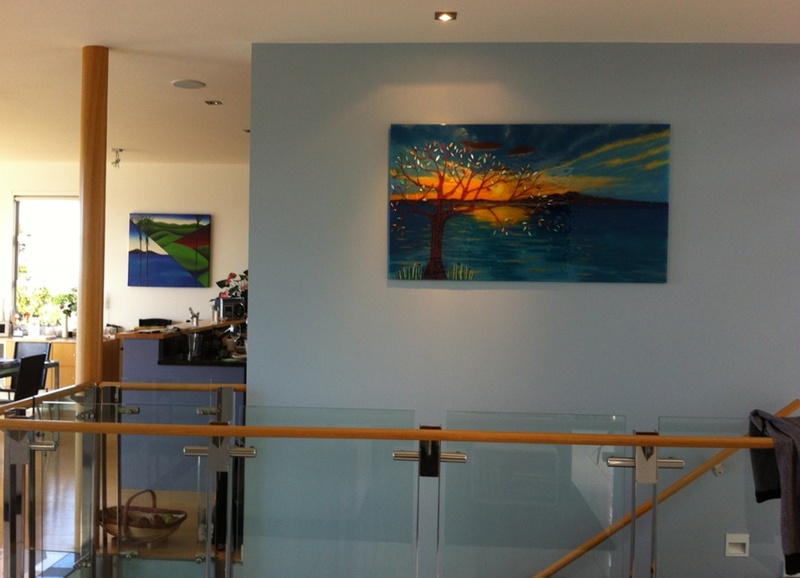 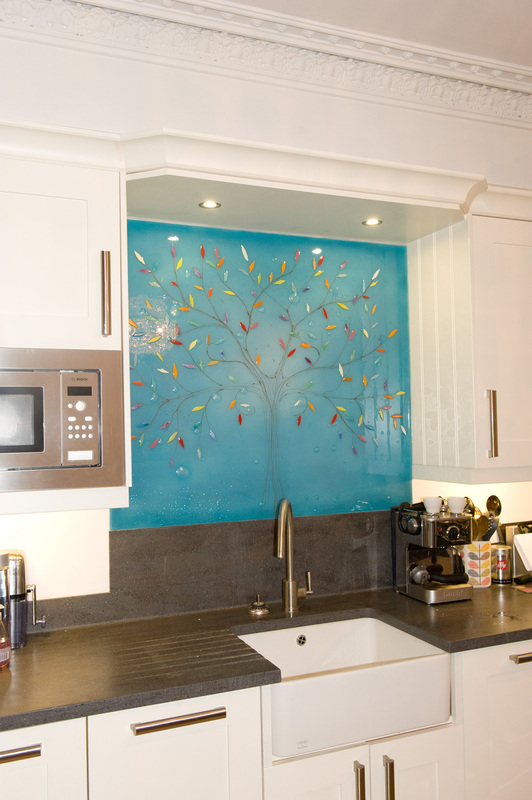 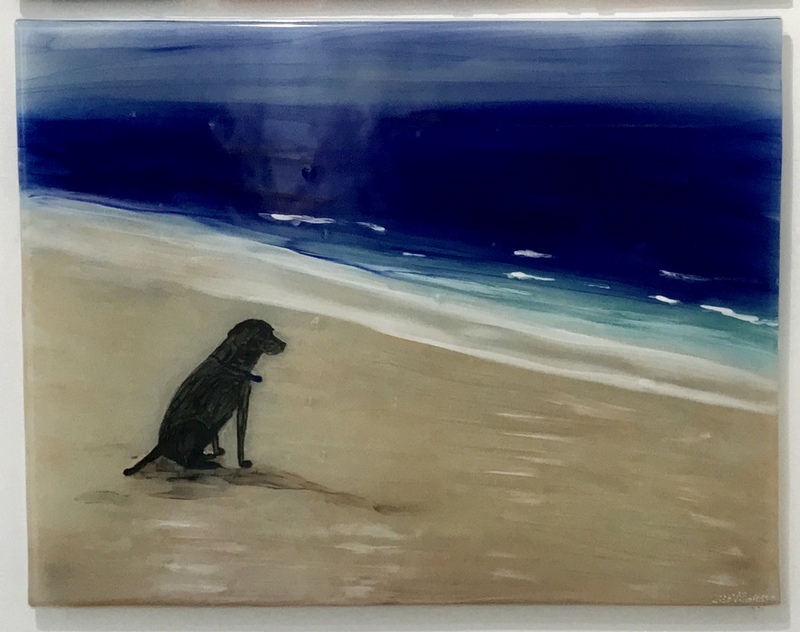 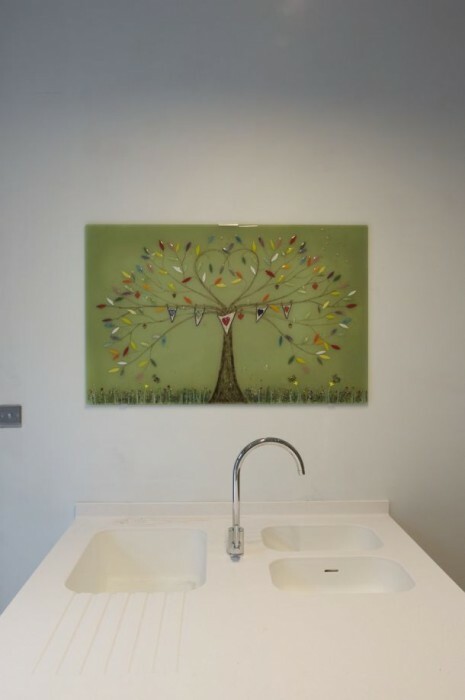 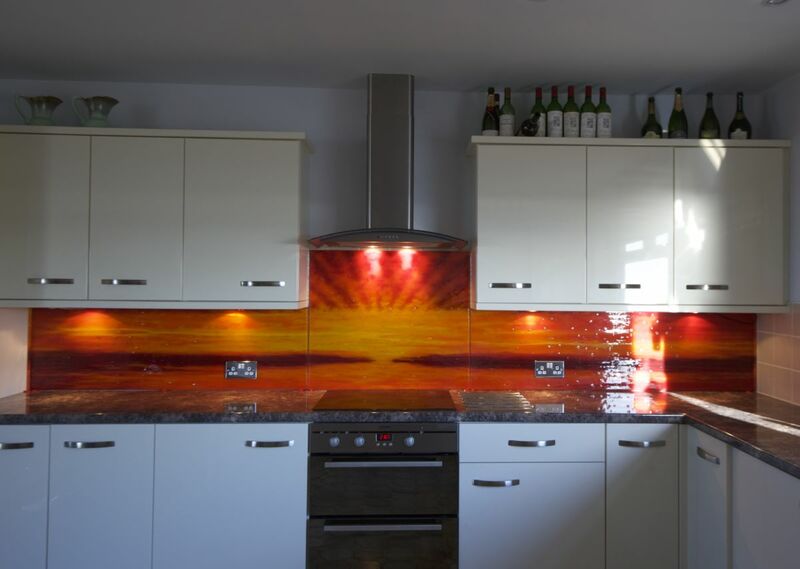 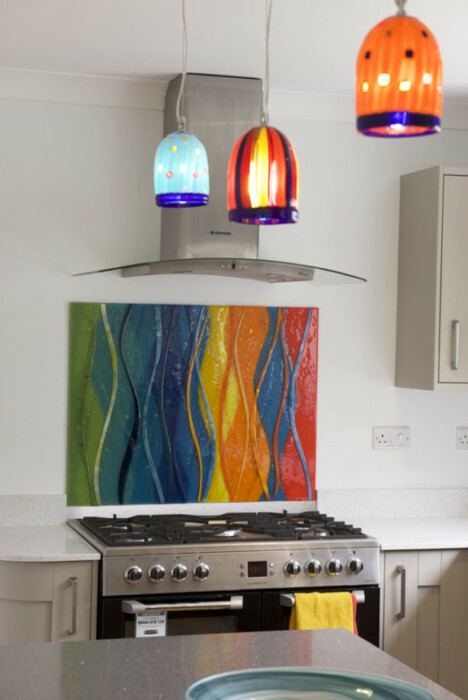 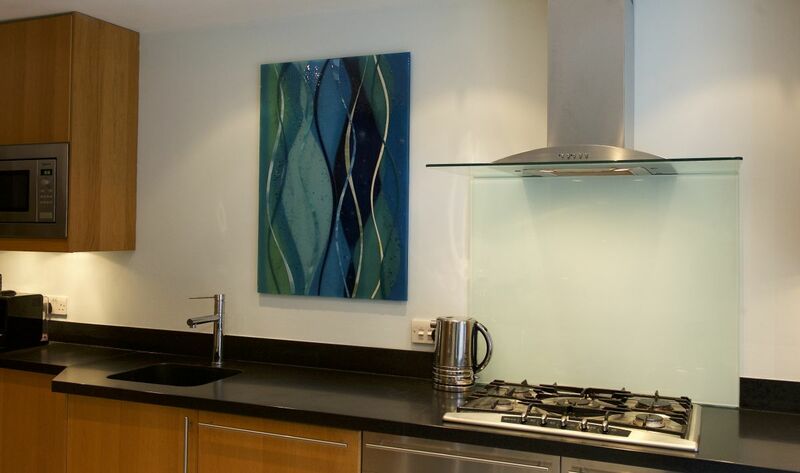 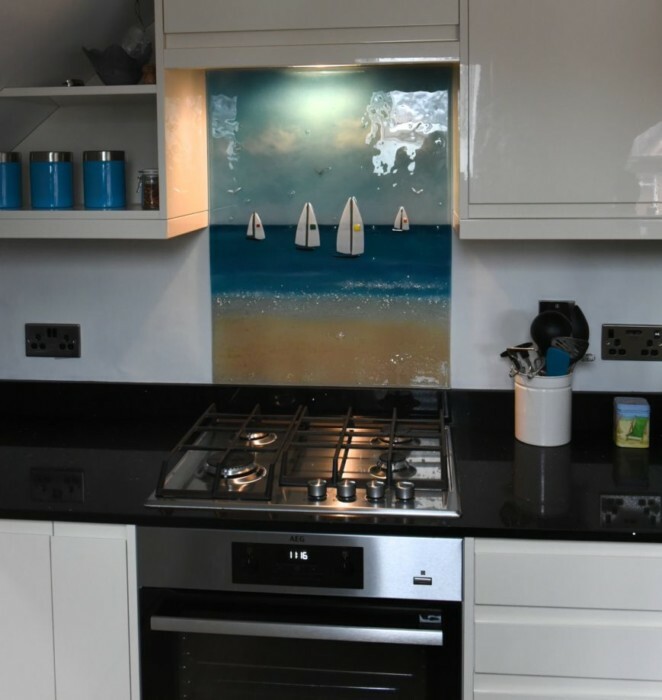 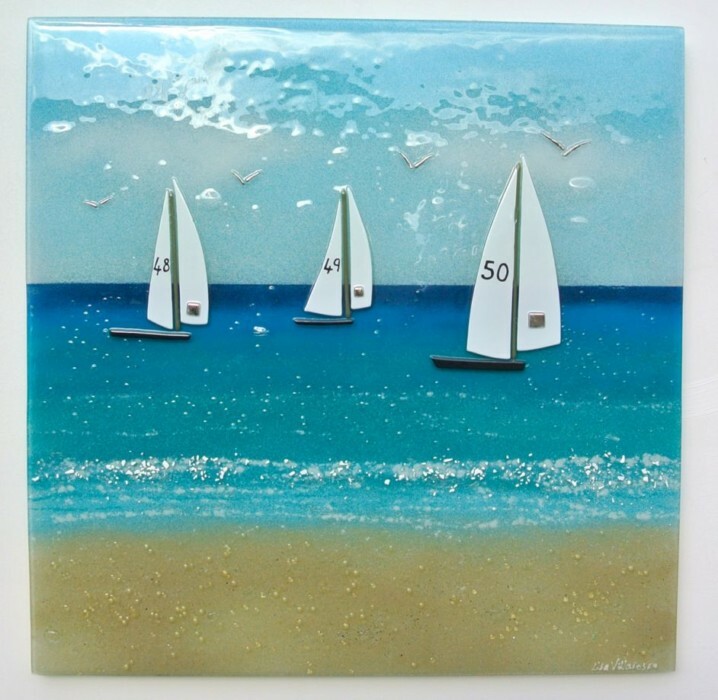 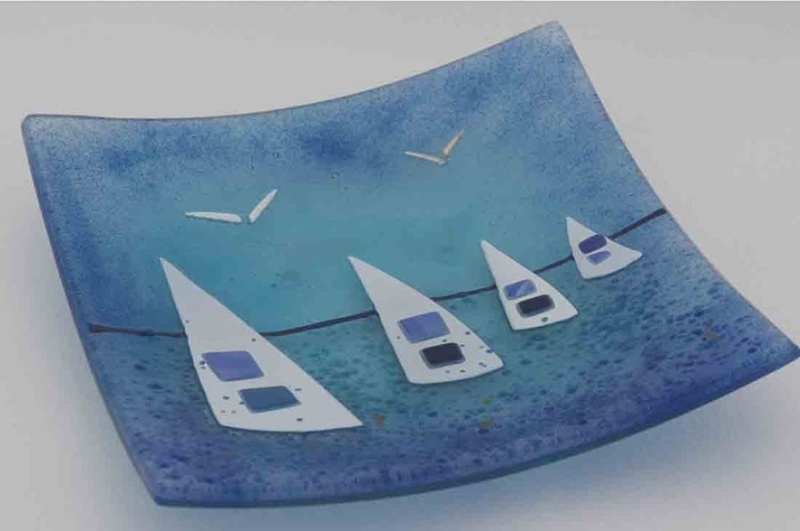 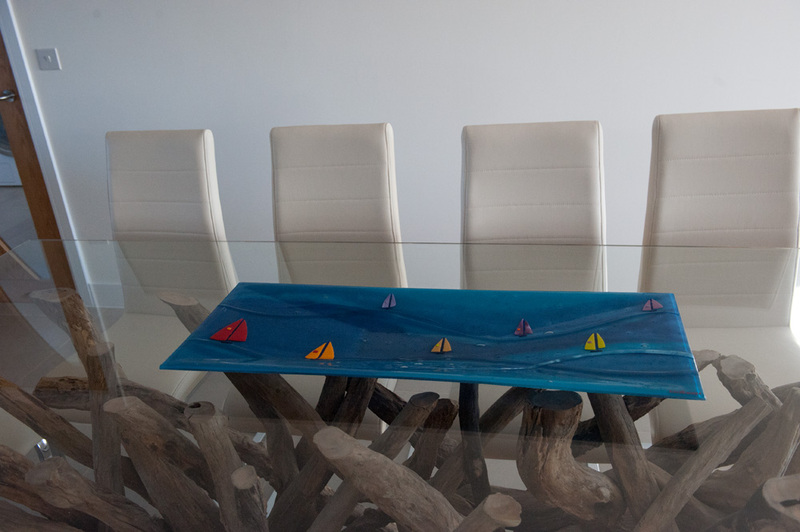 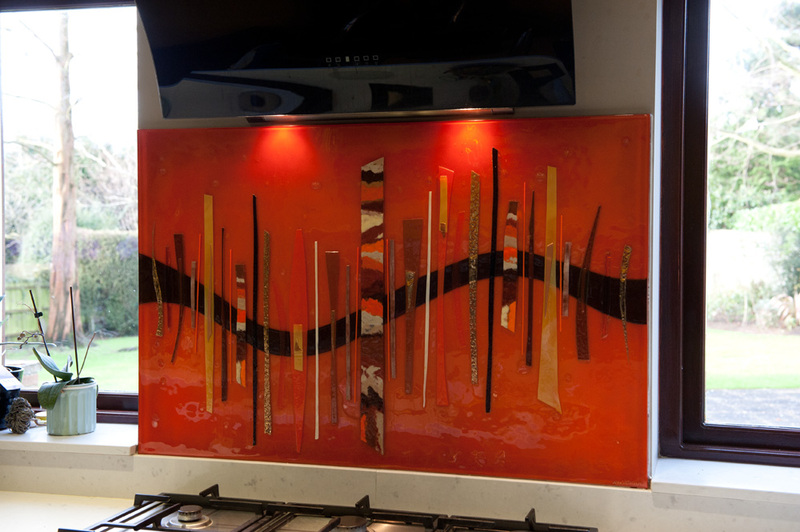 Whether you’re interested in a brand new bespoke piece or something from our available stock section, fused glass art and glass wall art alike have a unique touch that’s hard to beat. 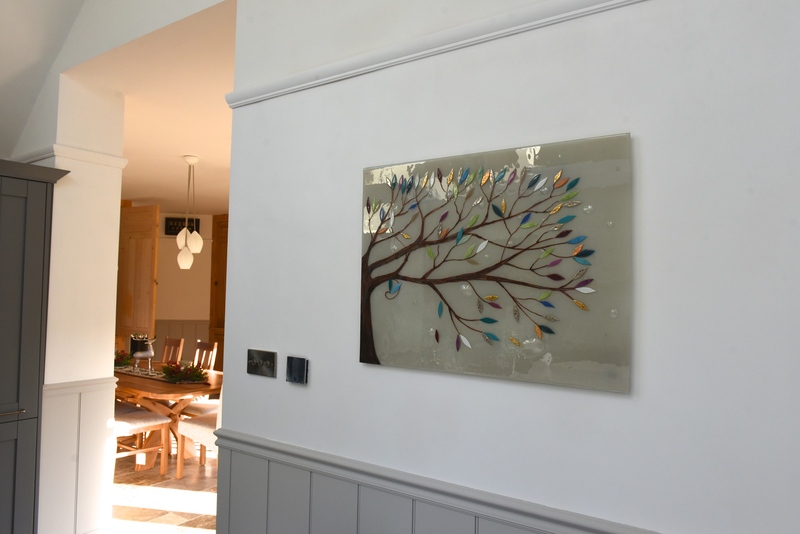 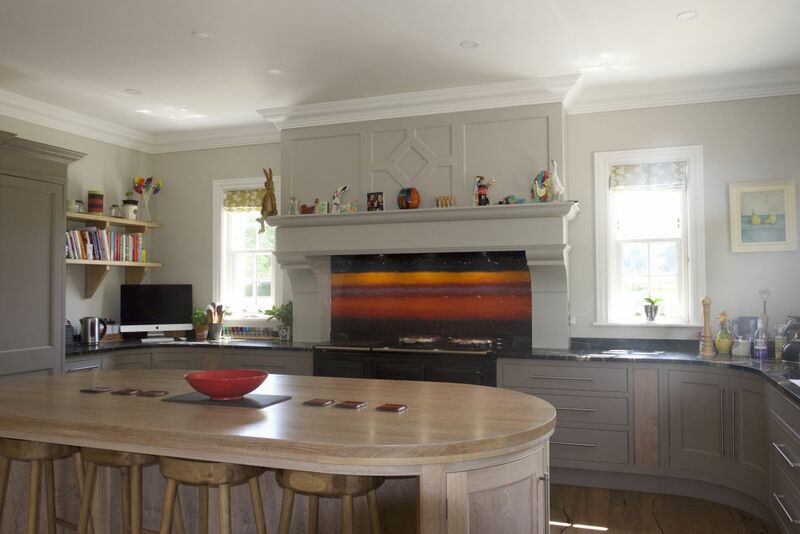 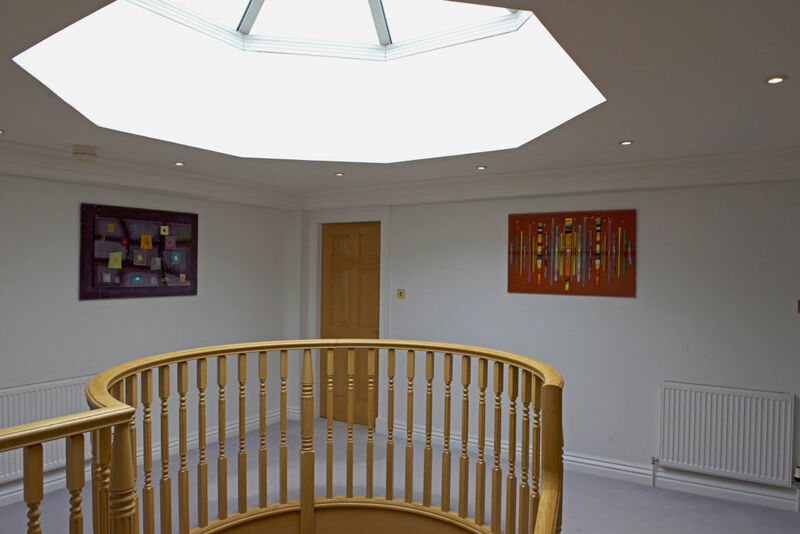 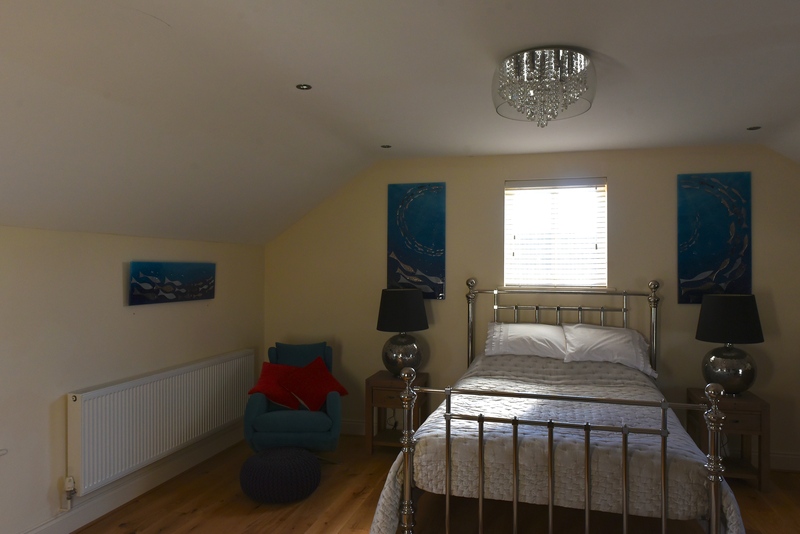 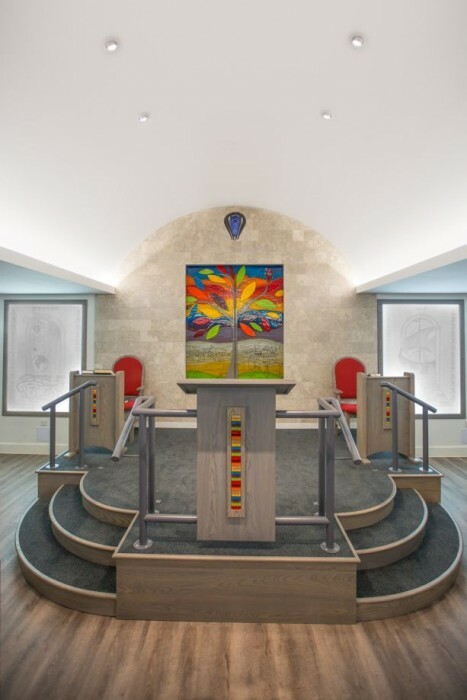 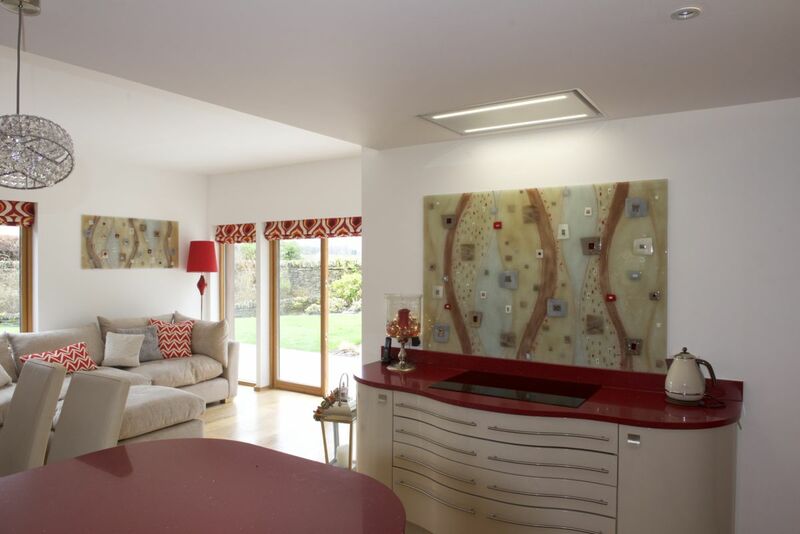 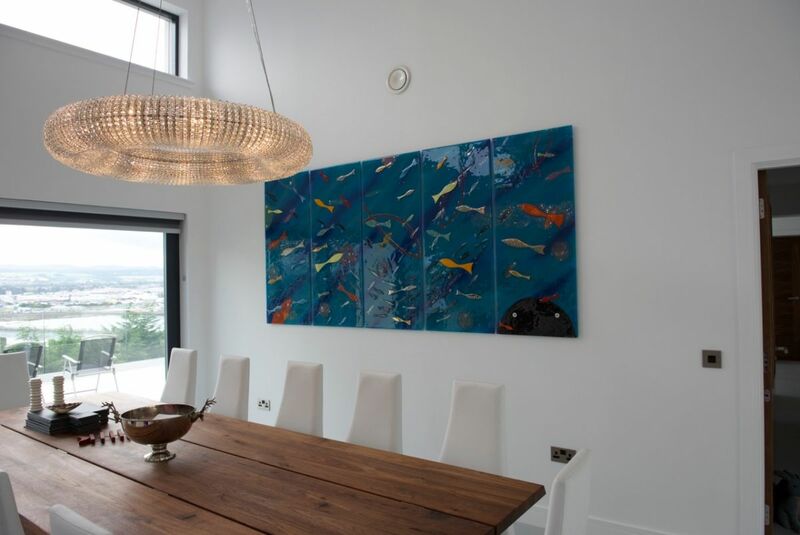 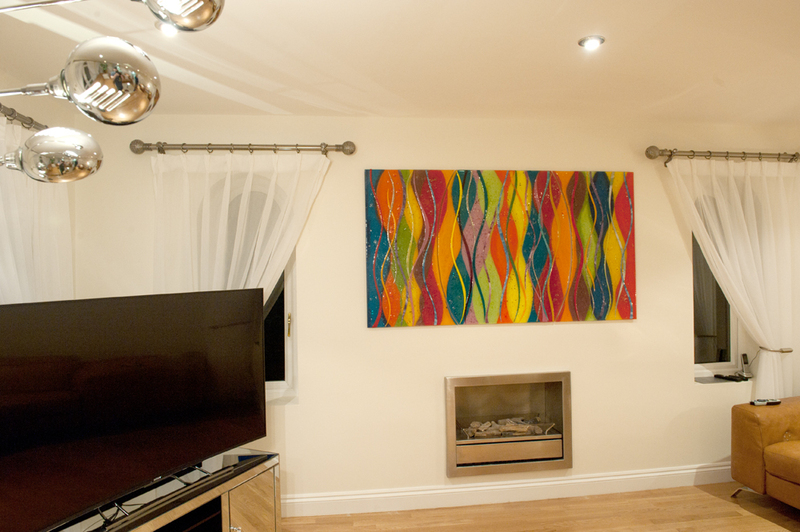 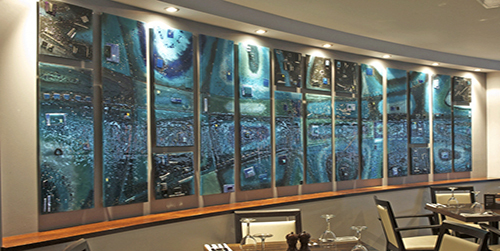 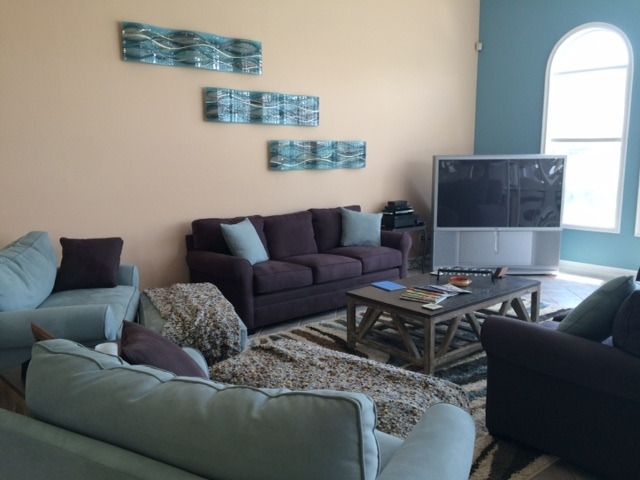 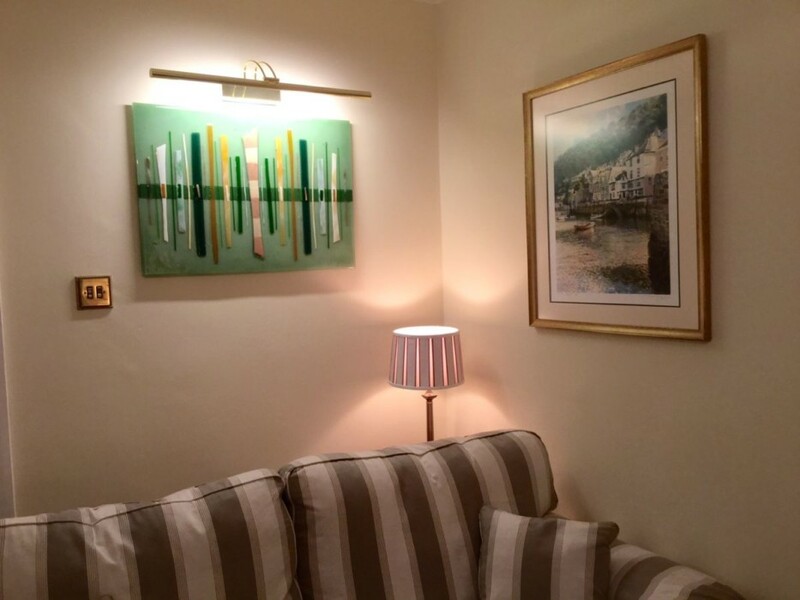 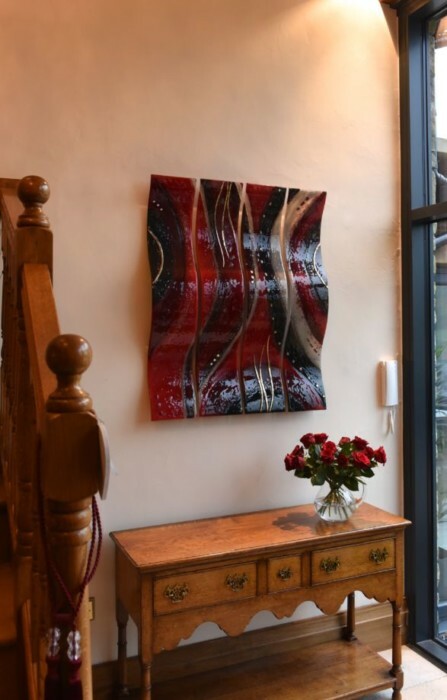 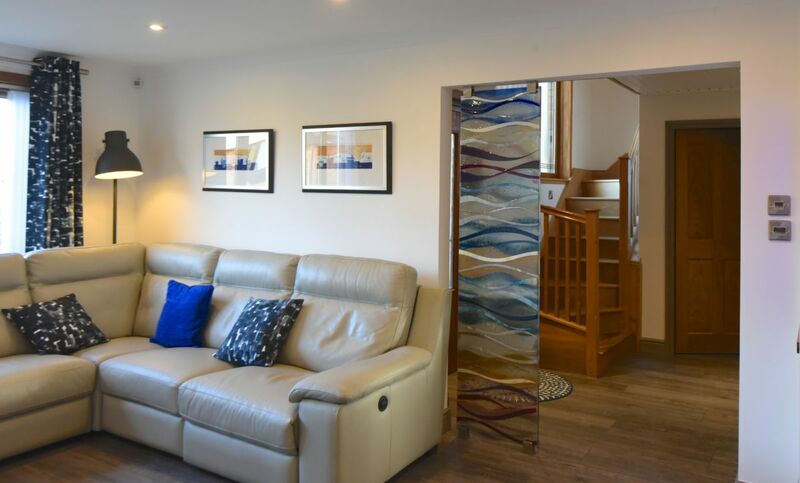 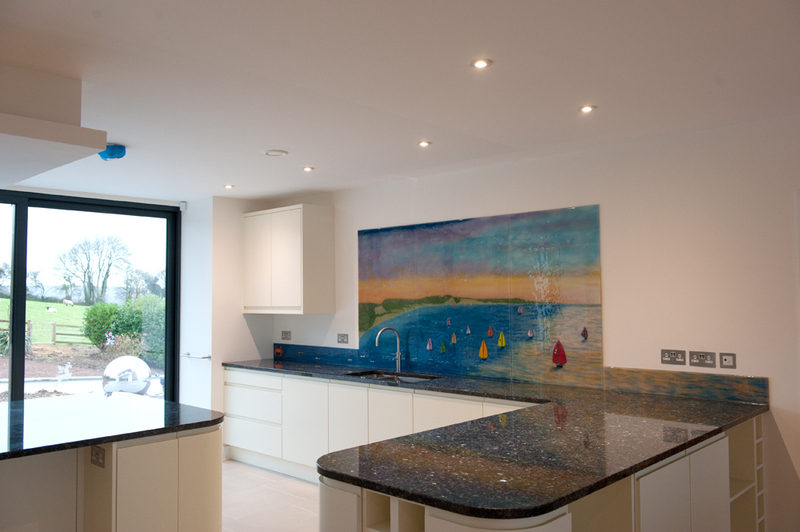 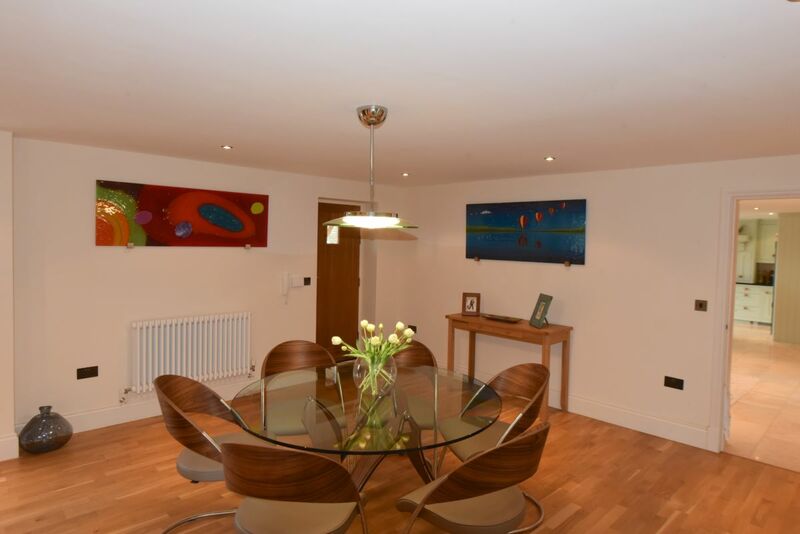 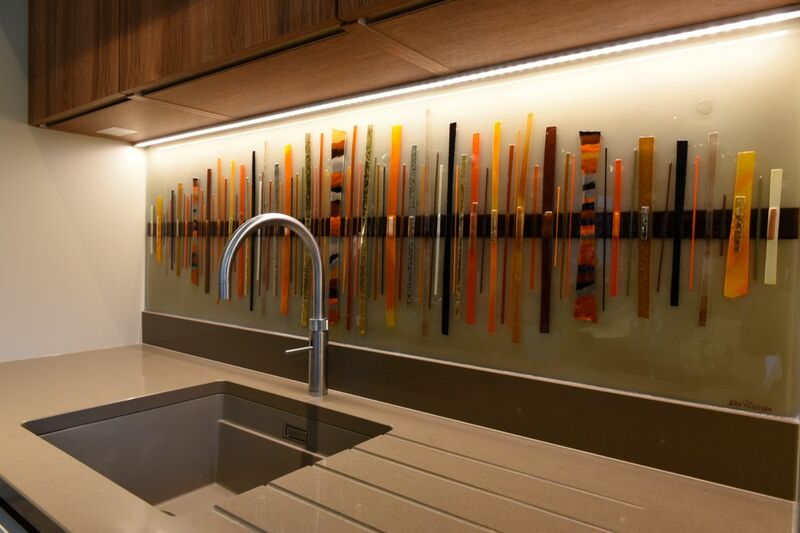 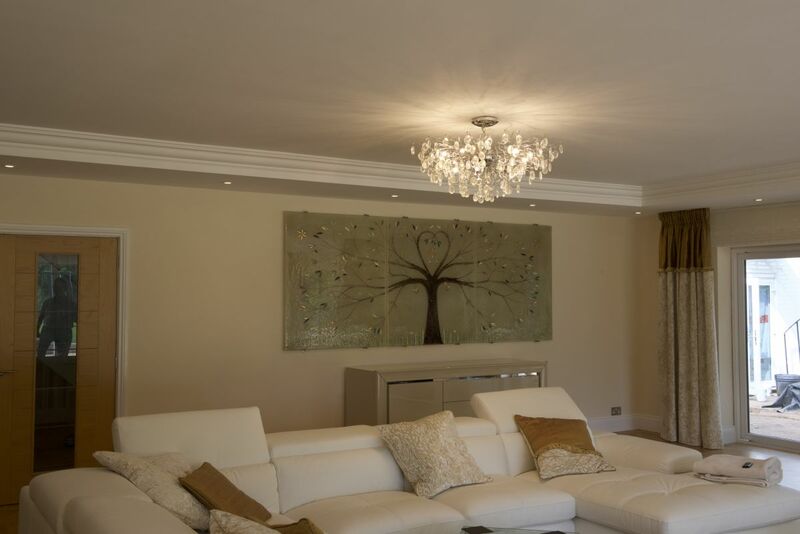 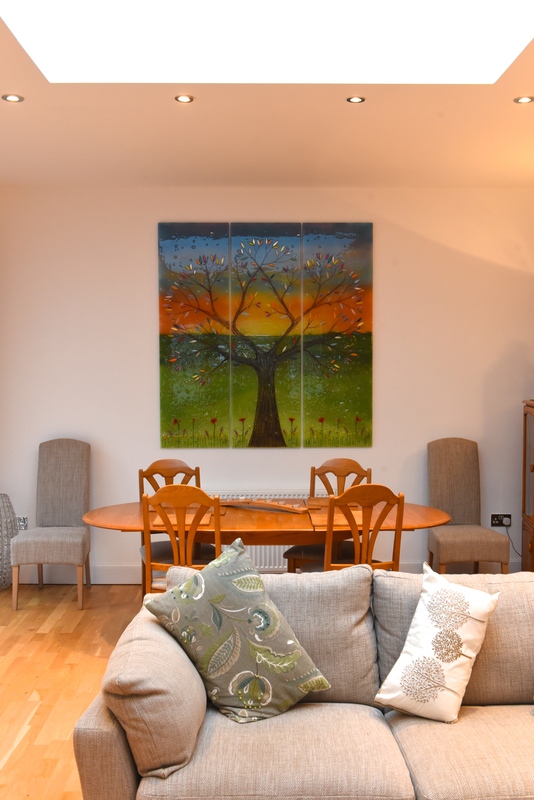 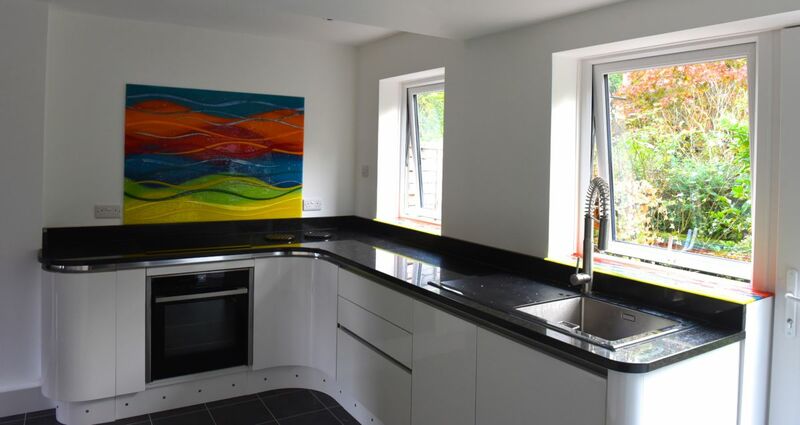 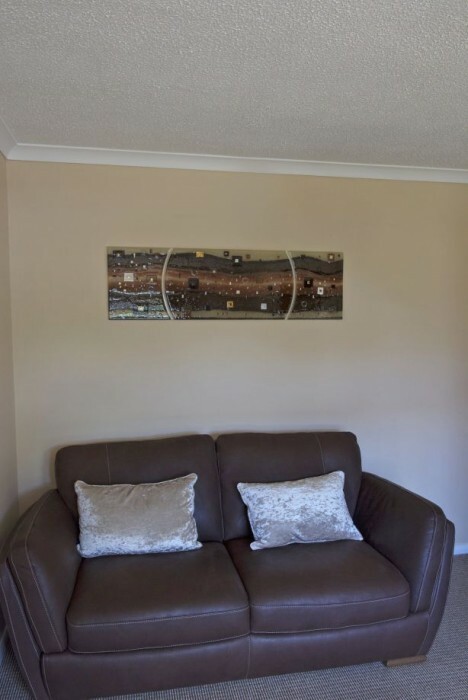 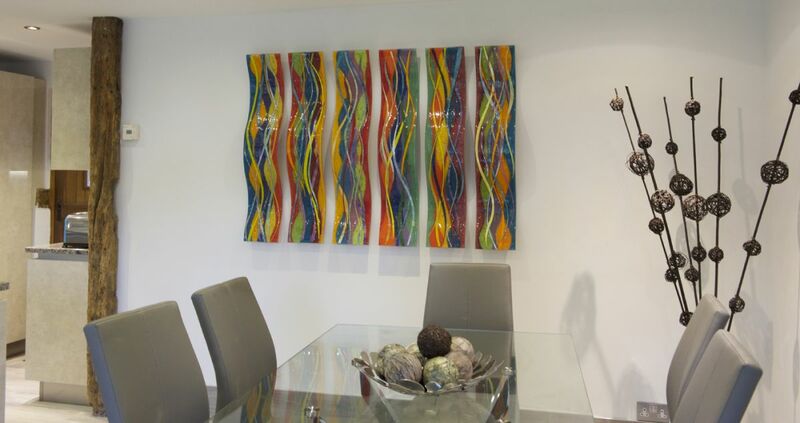 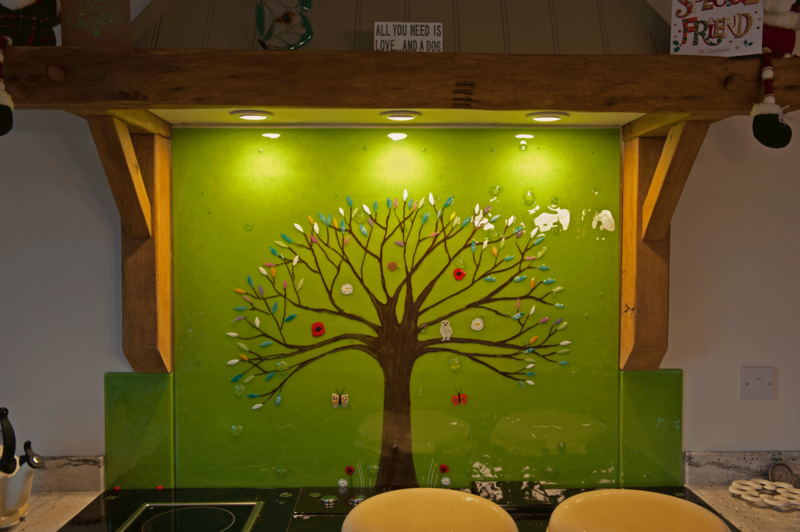 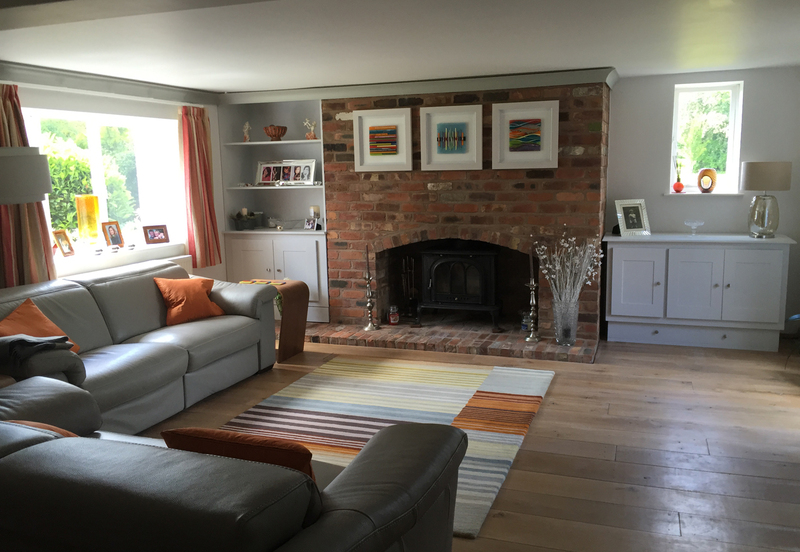 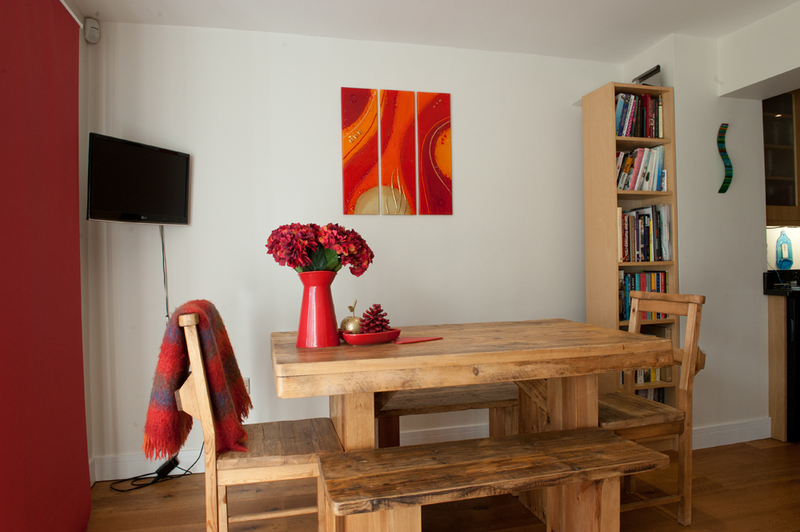 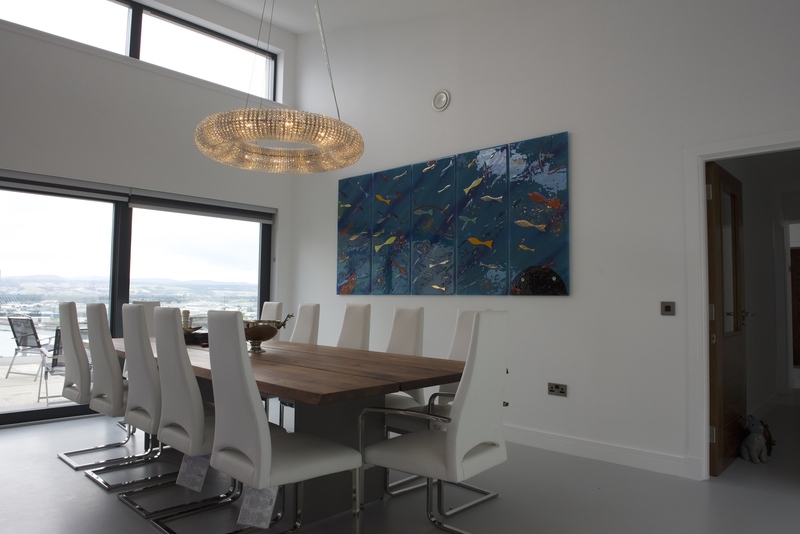 If you’d love to make your living room look as great as this one, or if there’s a room in the house that you feel could be transformed by the addition of fused glass art, make sure that you don’t wait to get in touch. 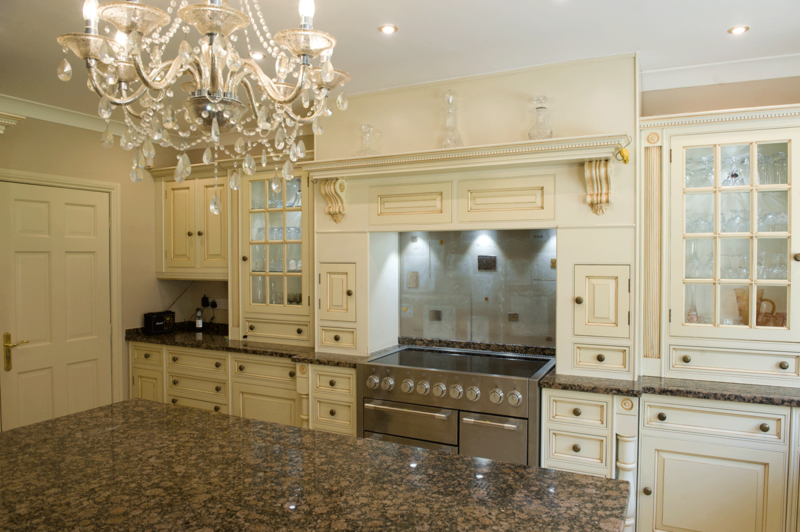 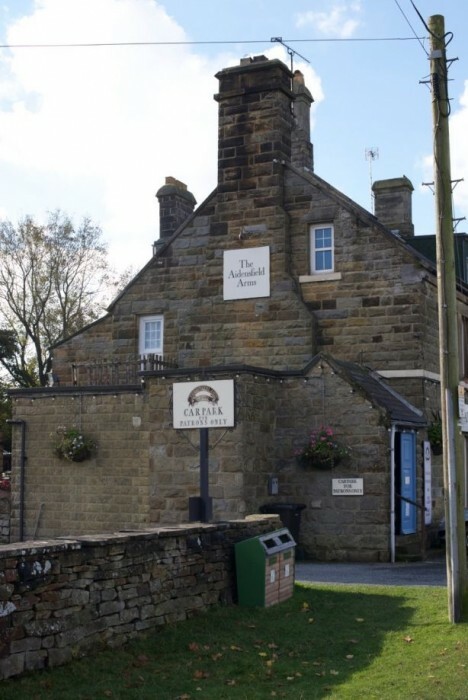 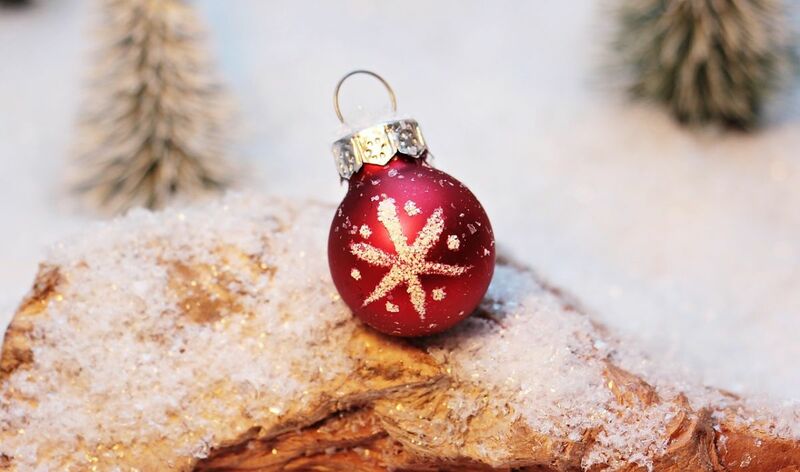 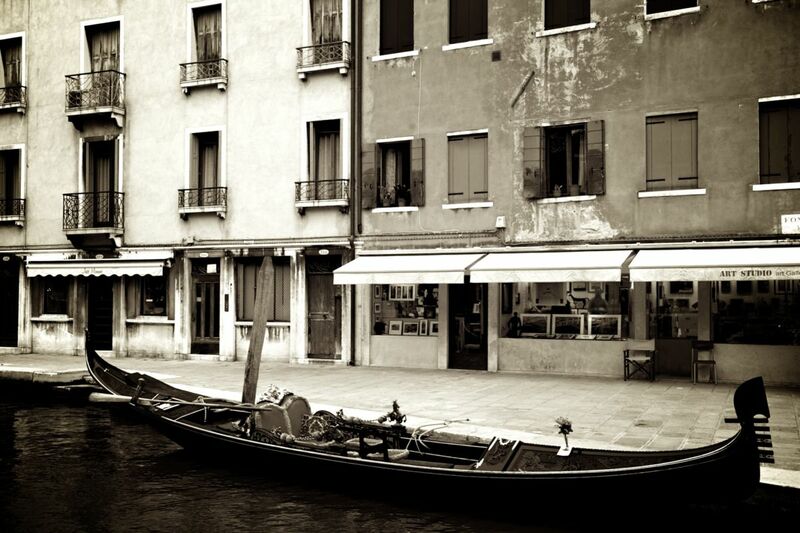 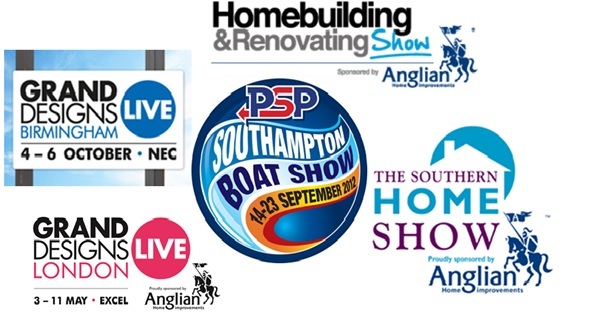 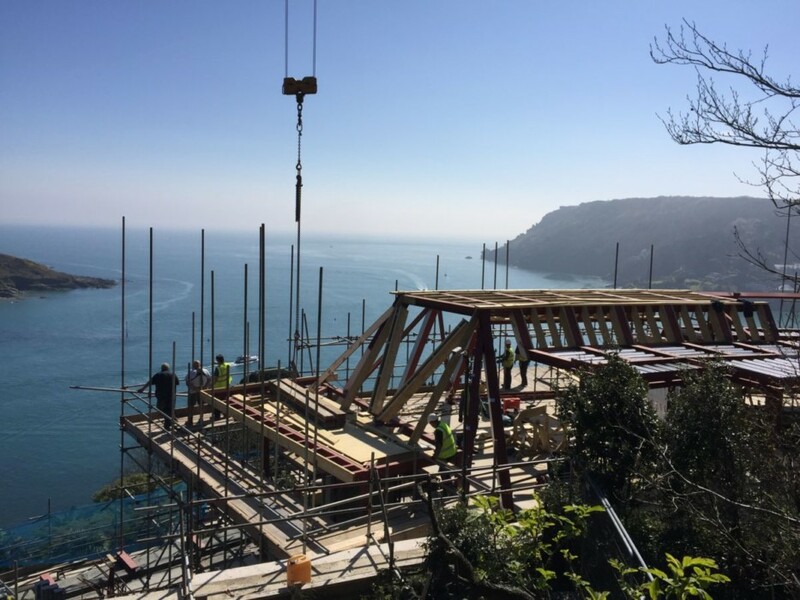 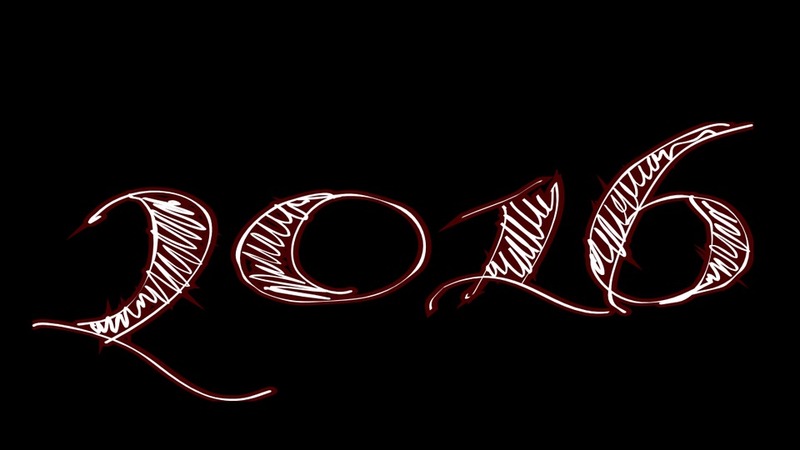 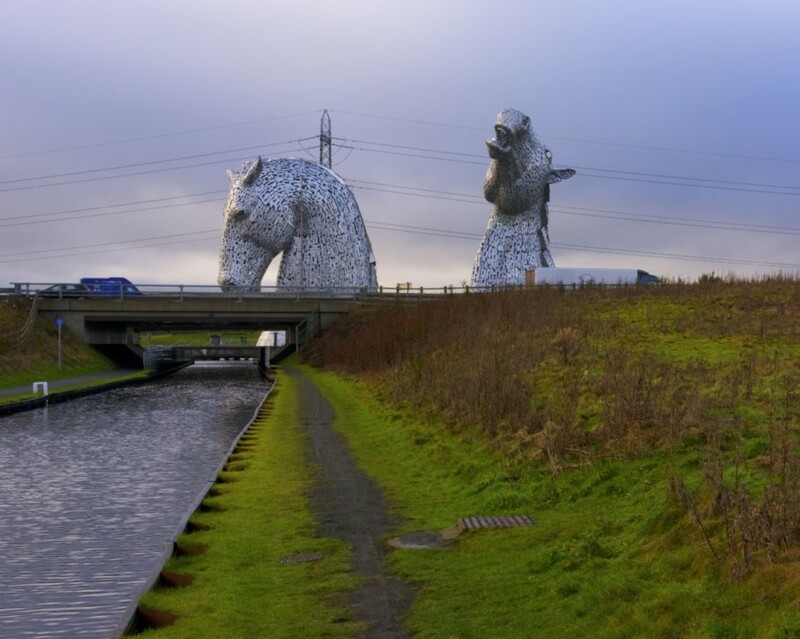 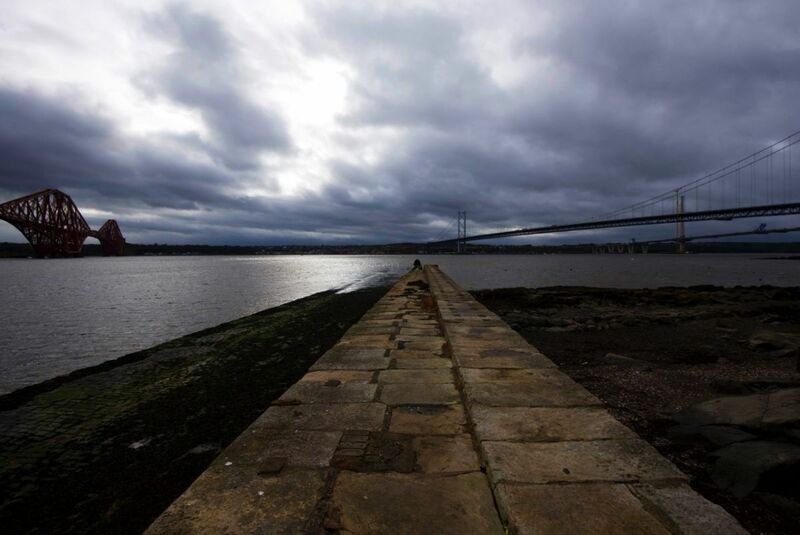 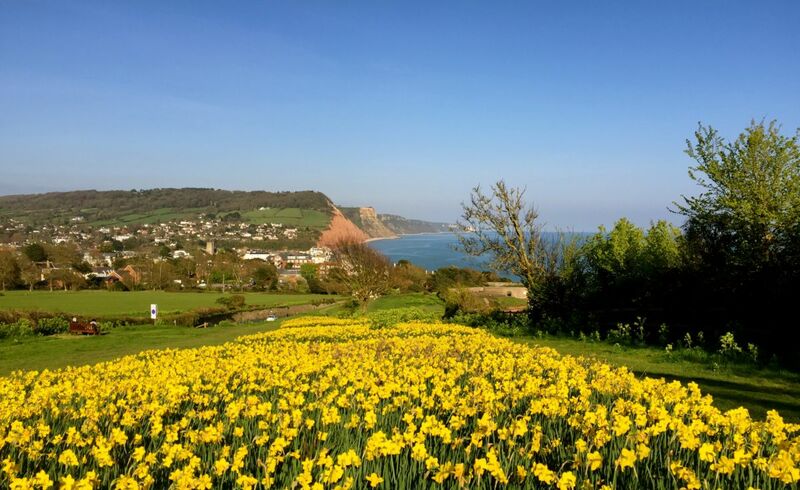 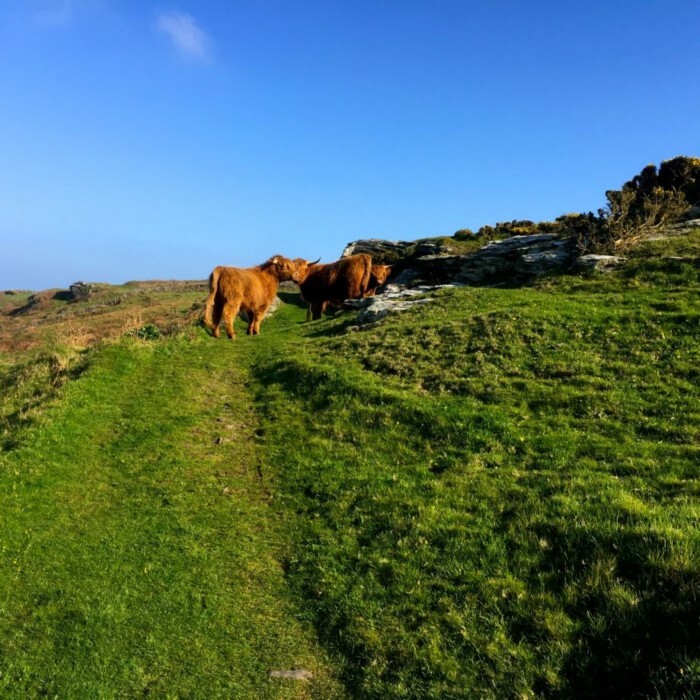 You can reach us by phone or email using the details on our contact page!